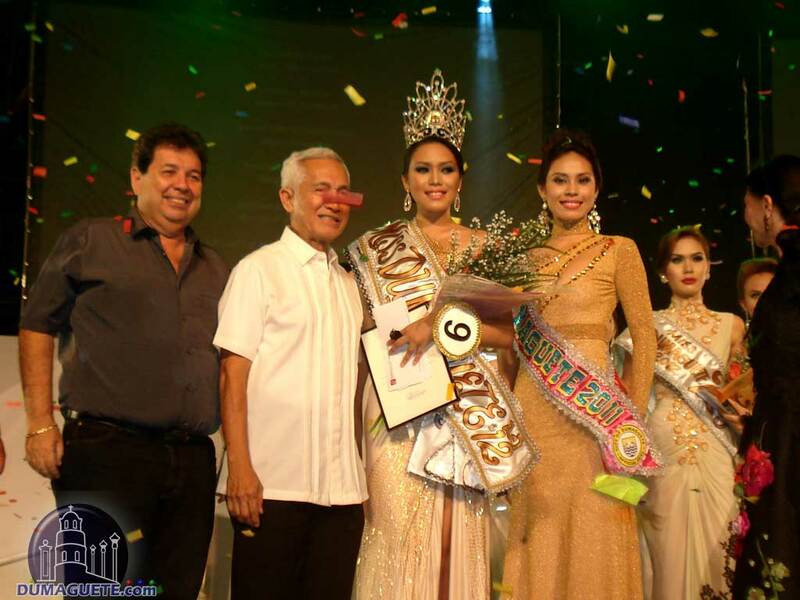 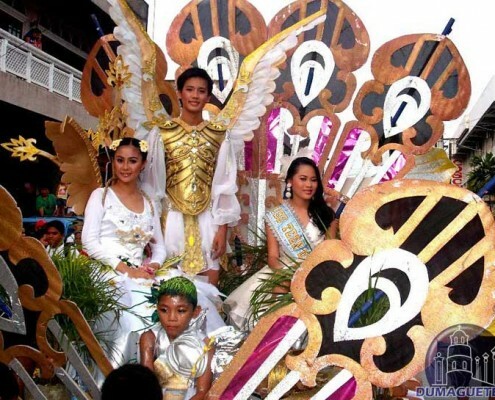 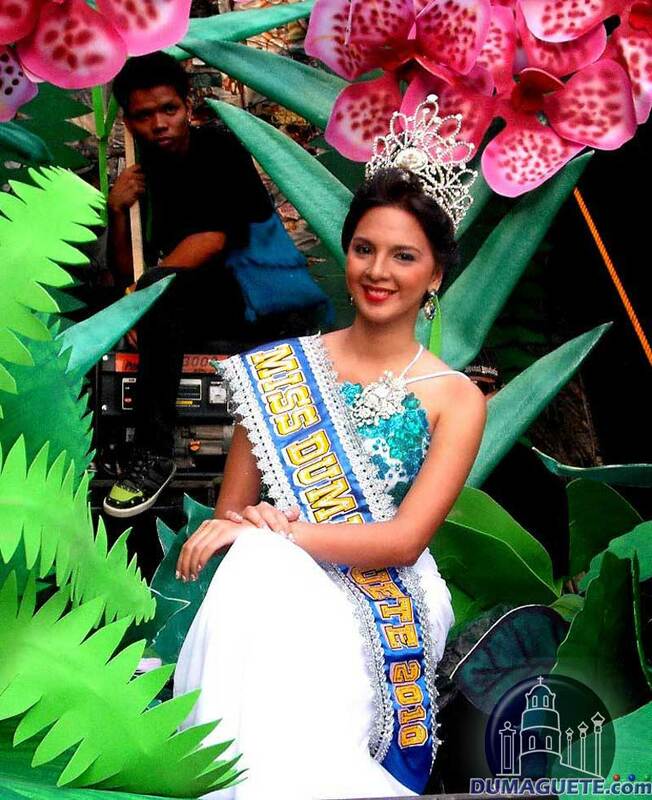 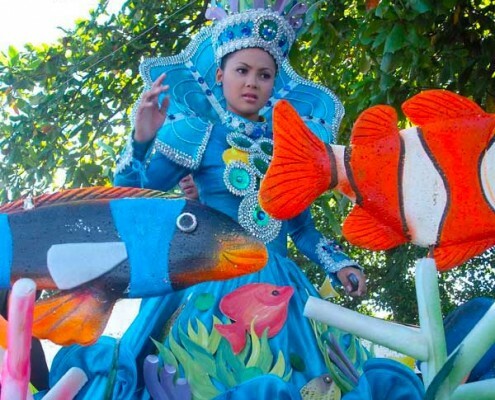 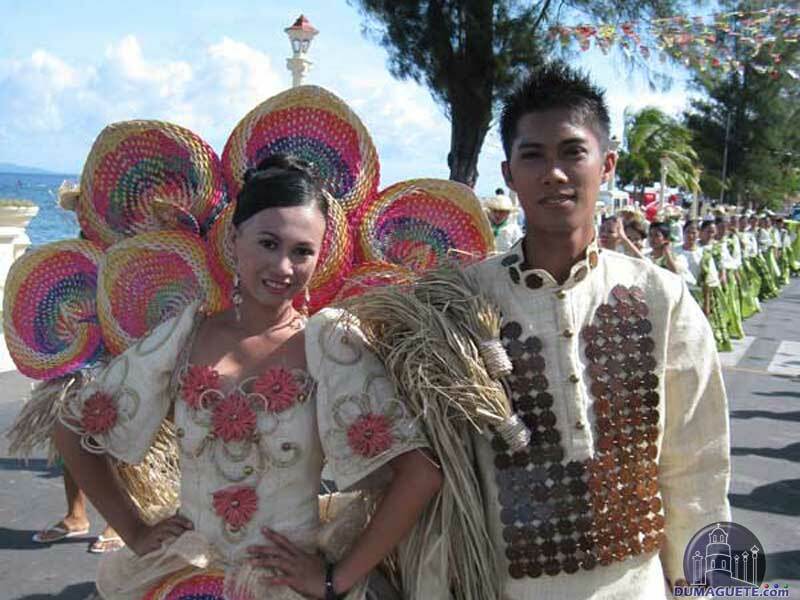 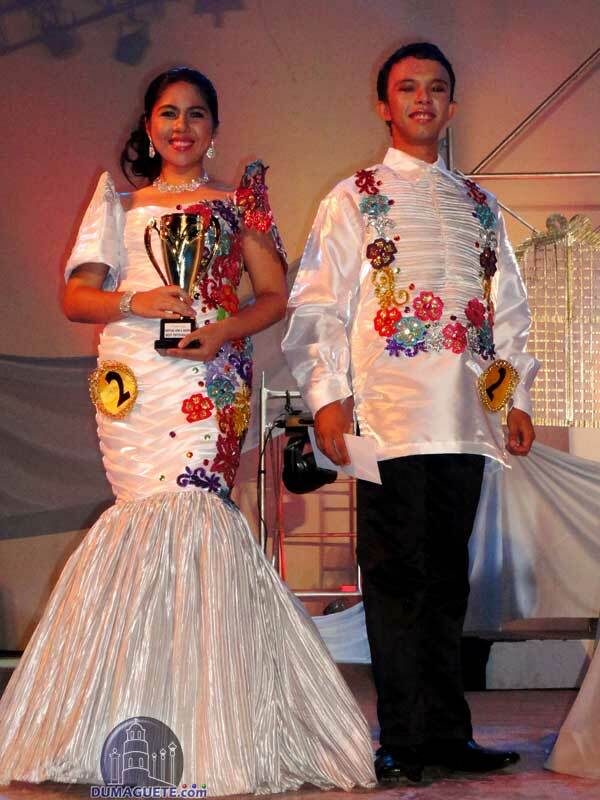 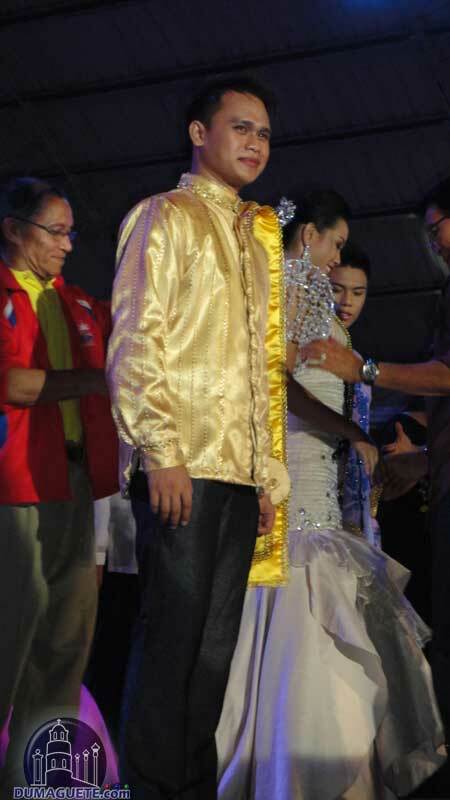 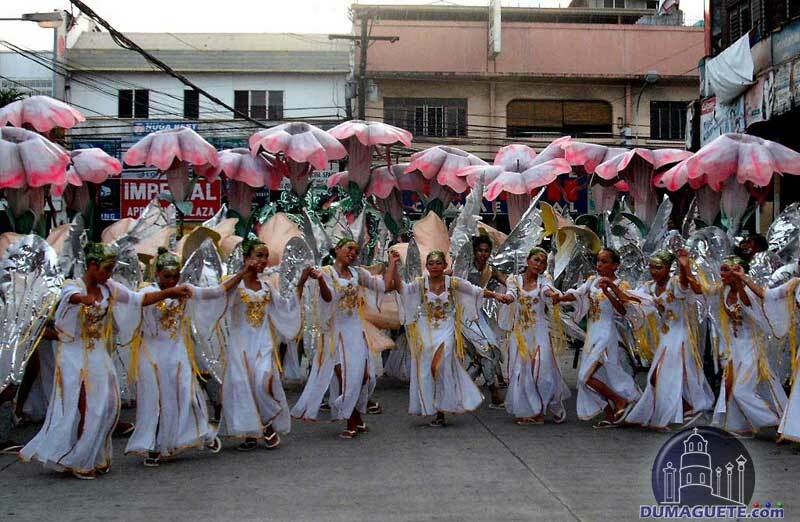 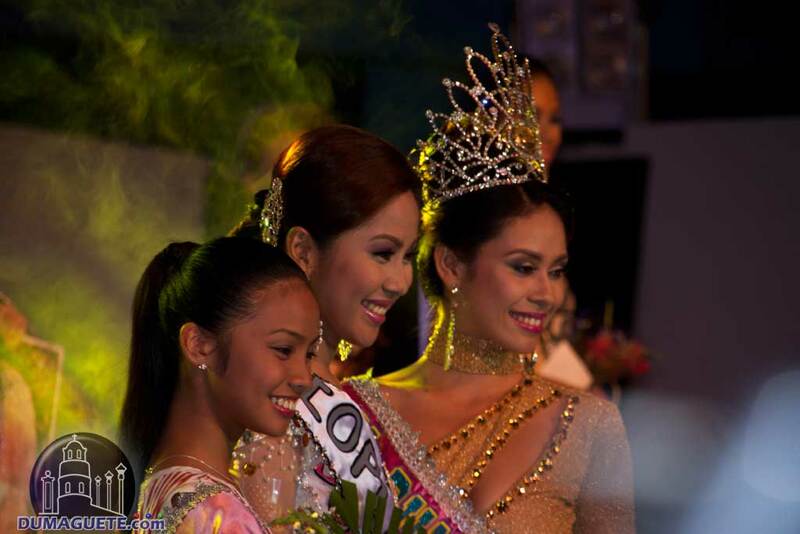 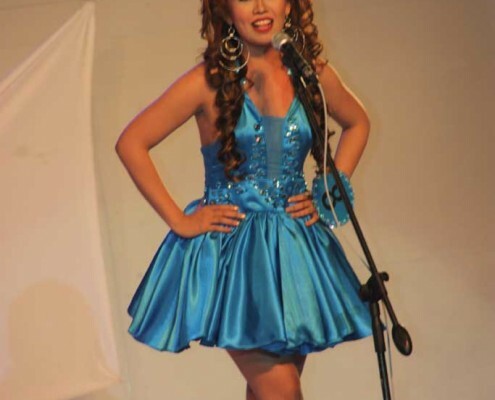 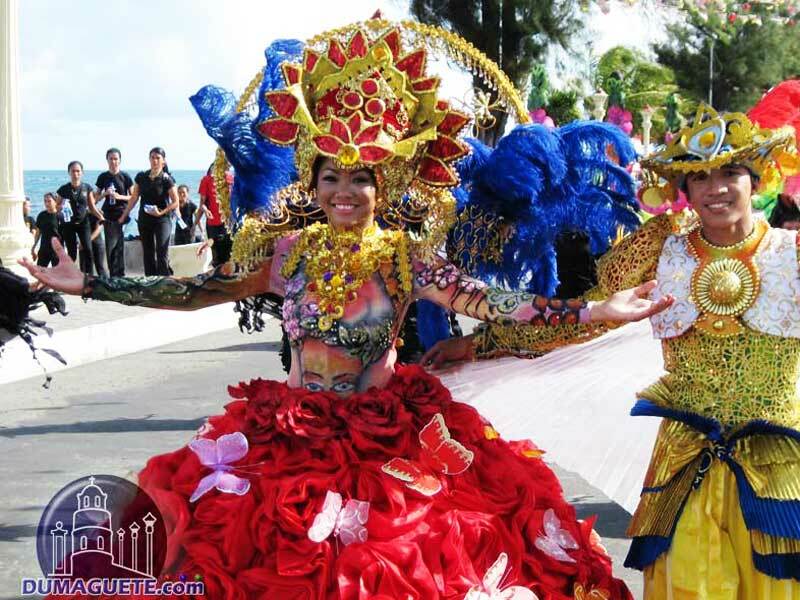 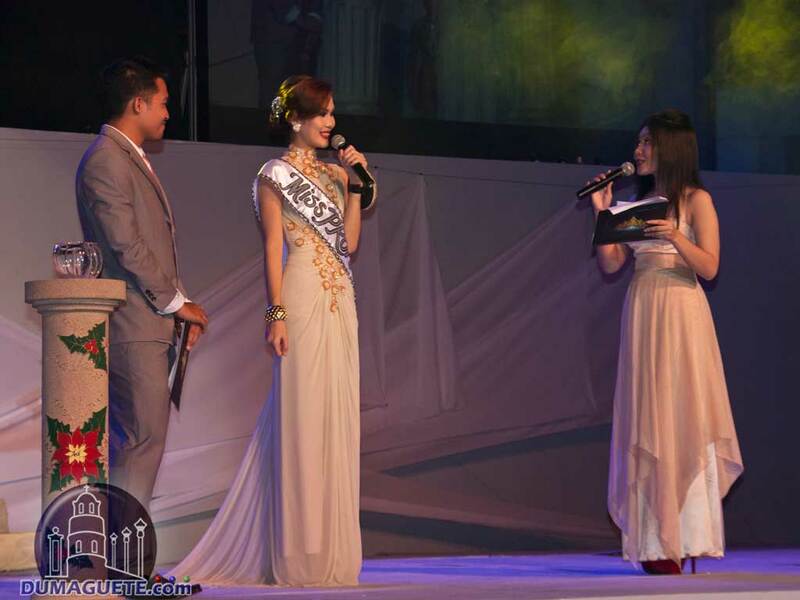 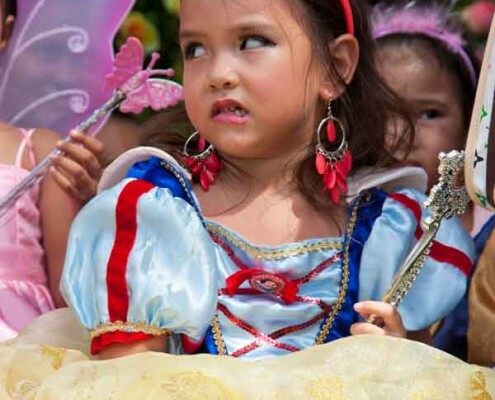 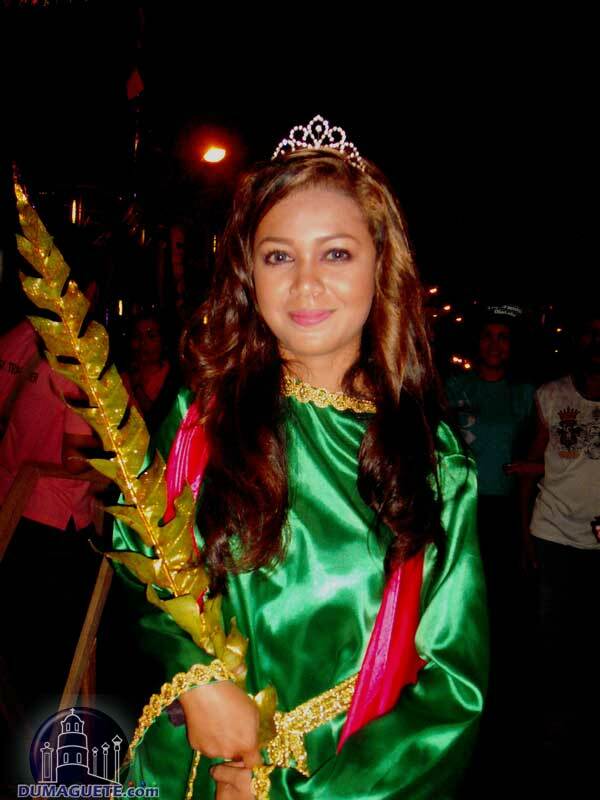 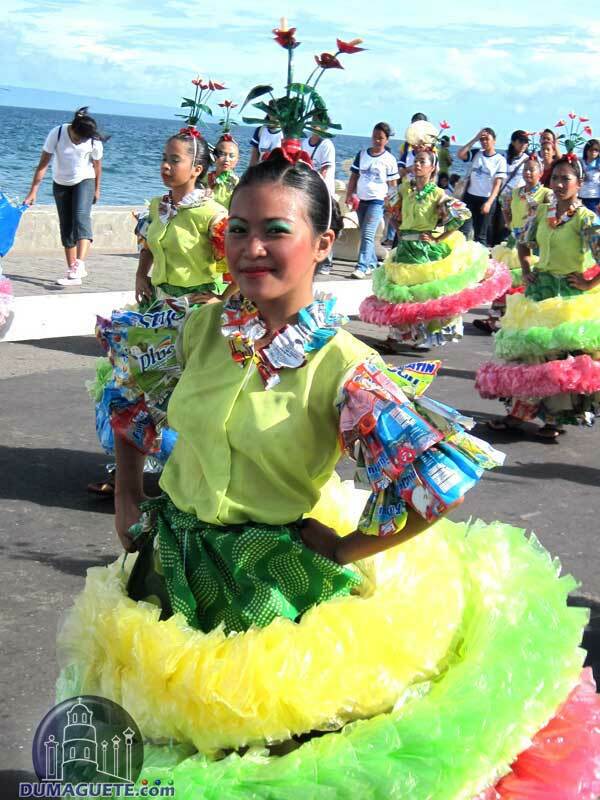 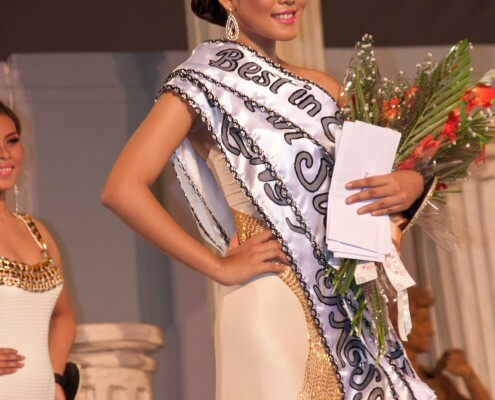 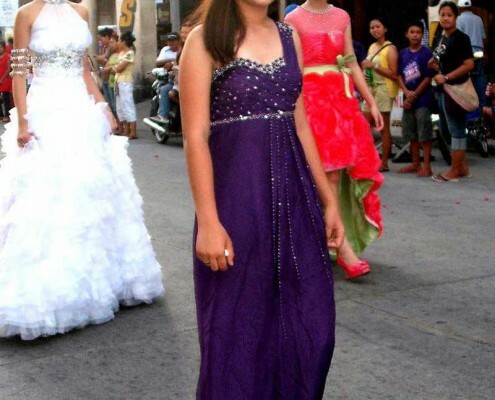 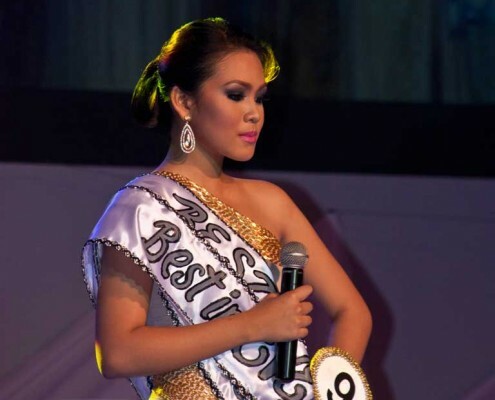 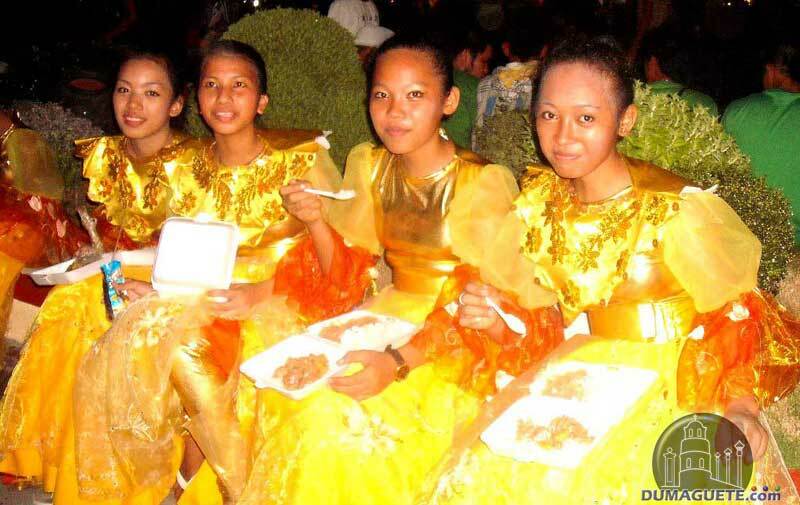 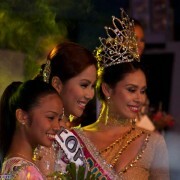 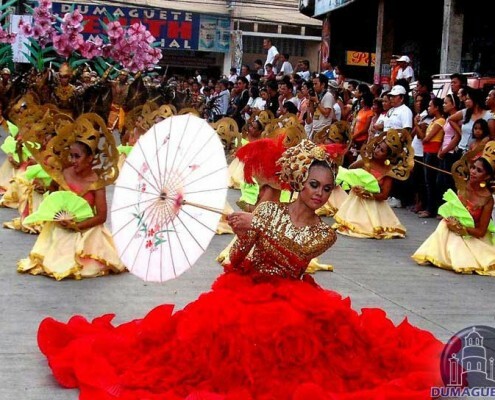 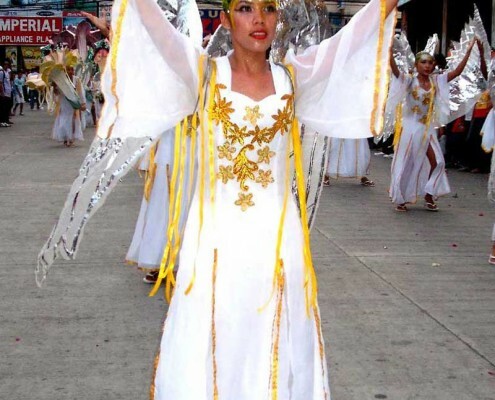 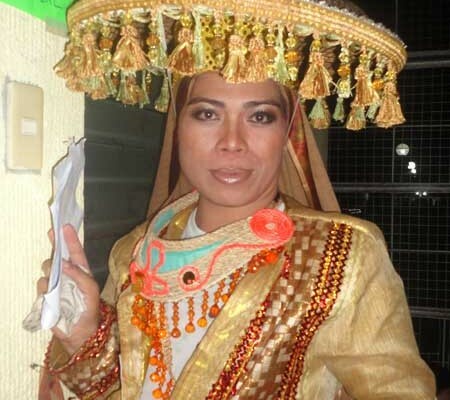 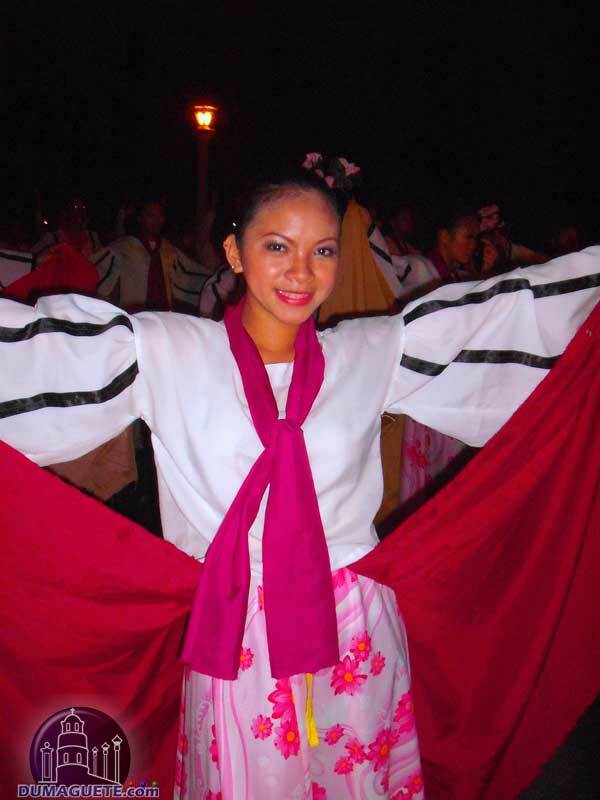 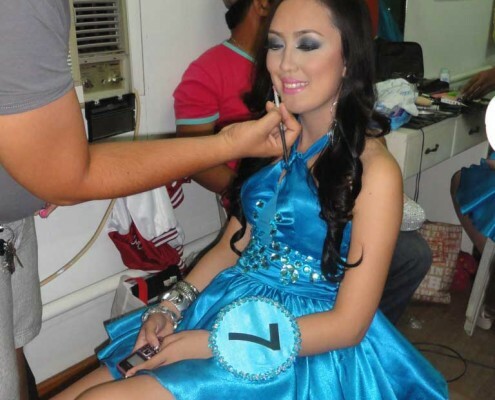 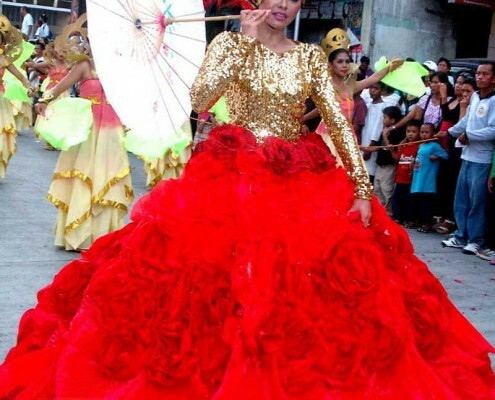 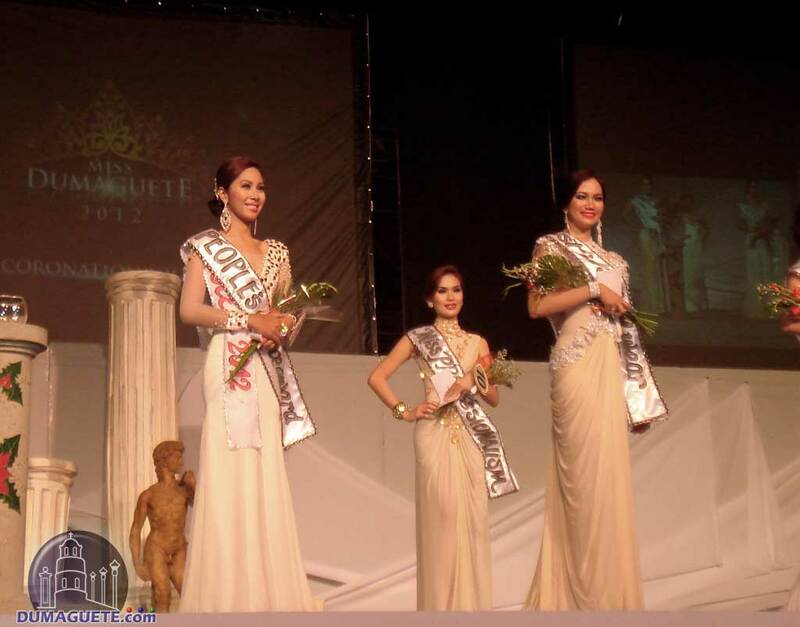 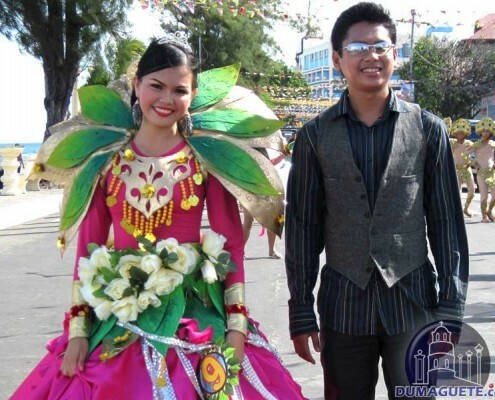 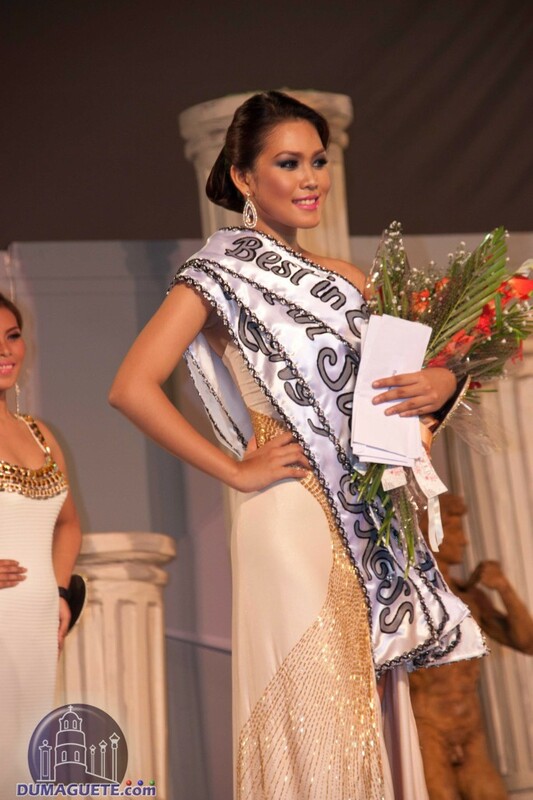 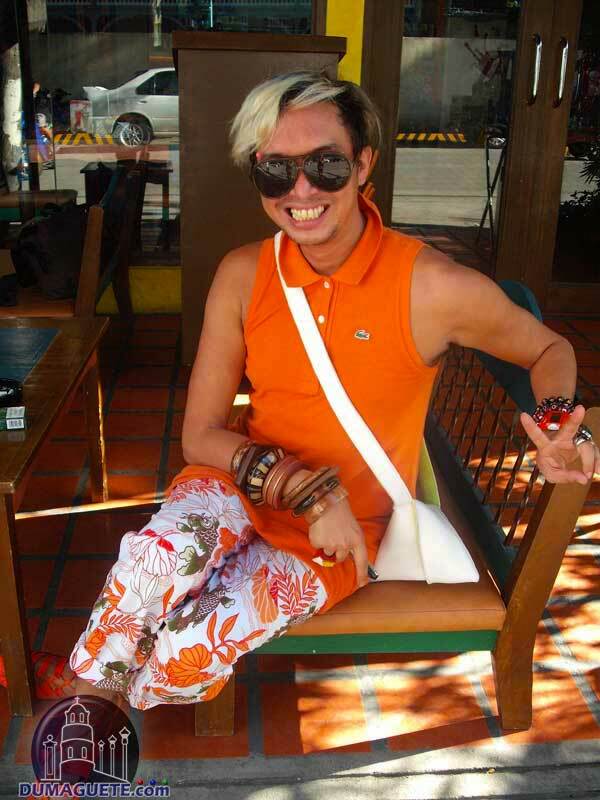 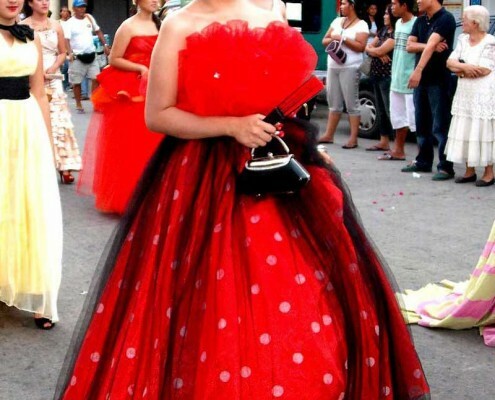 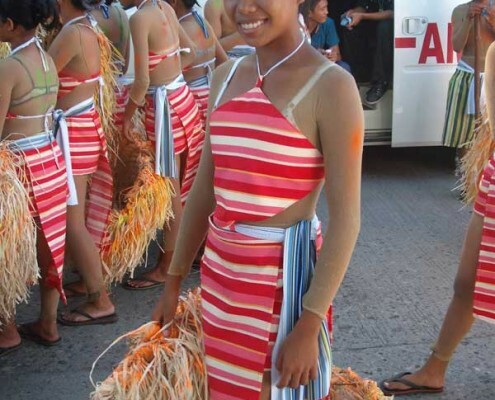 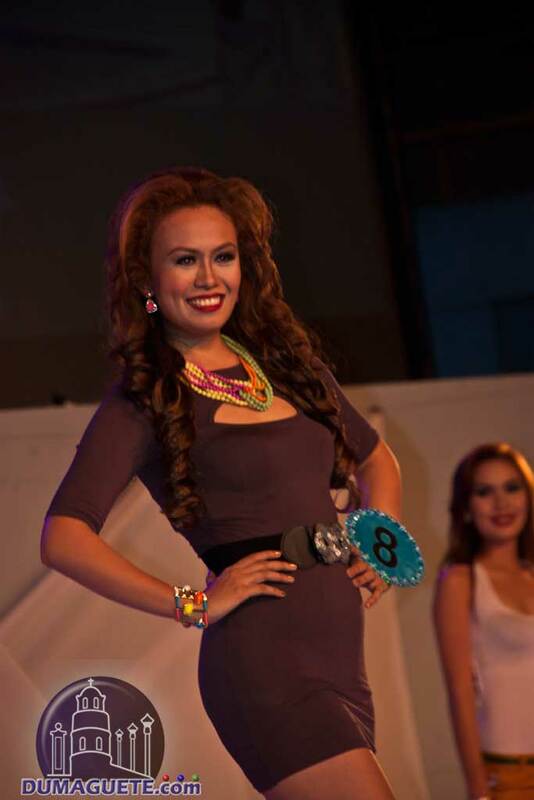 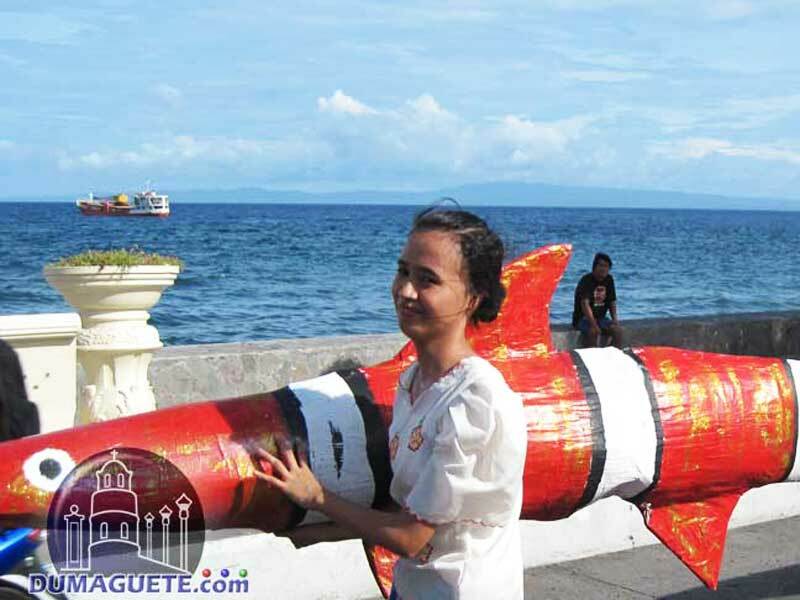 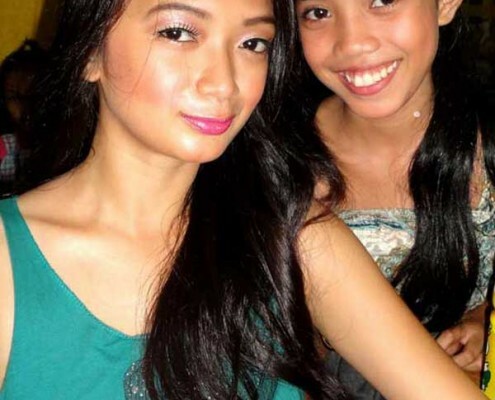 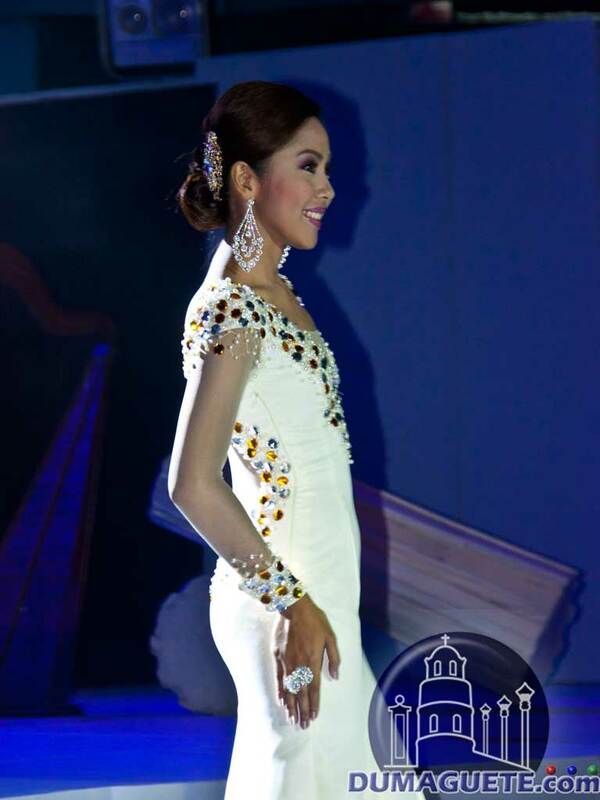 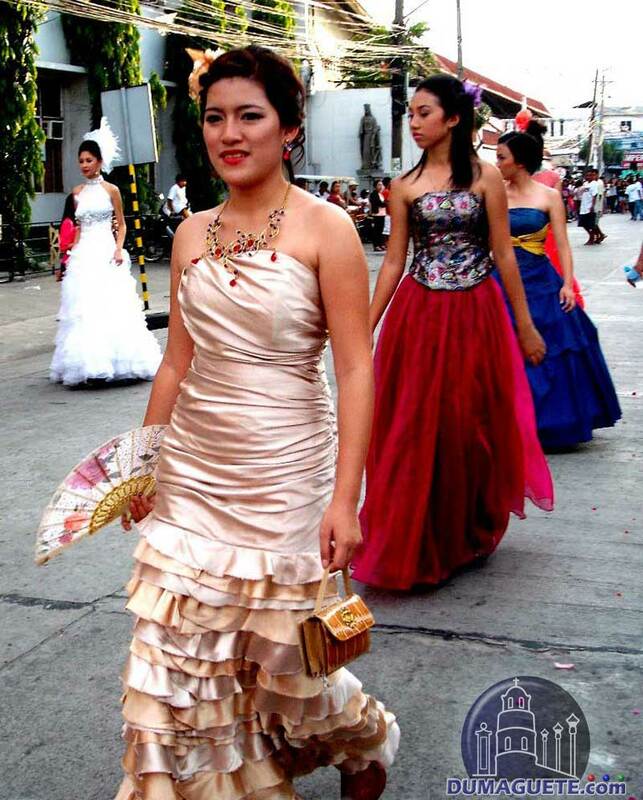 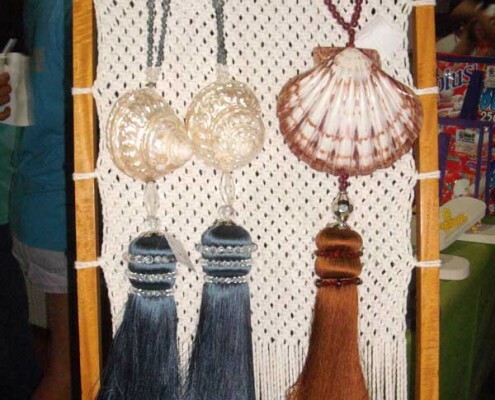 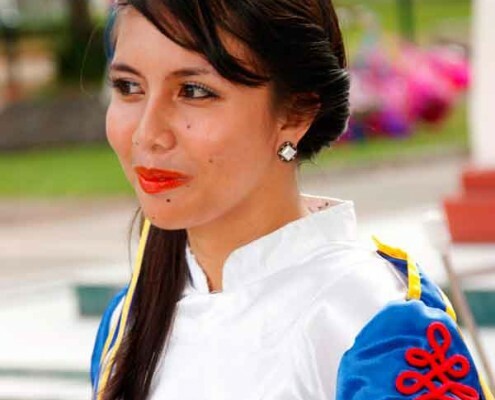 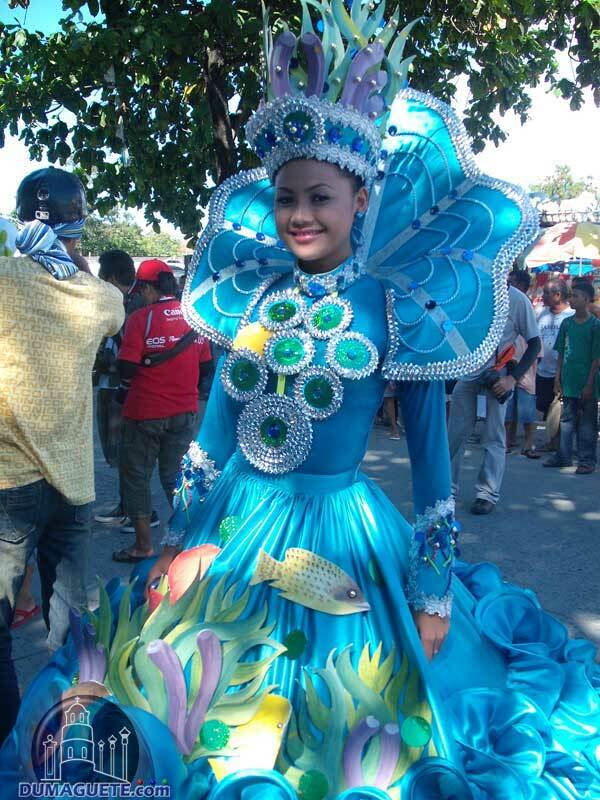 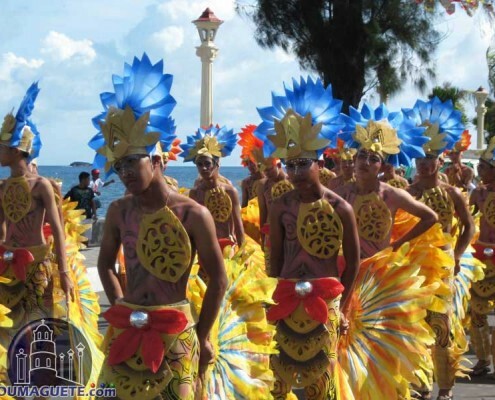 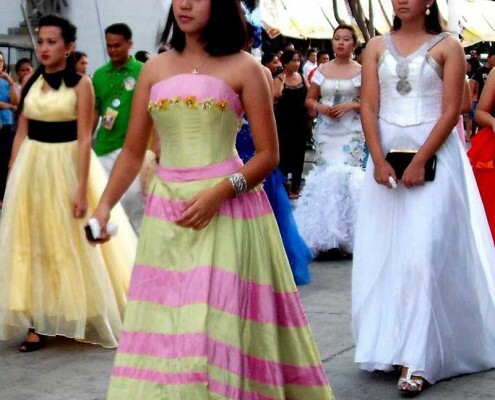 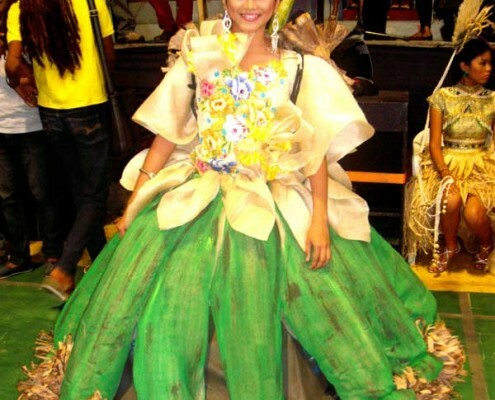 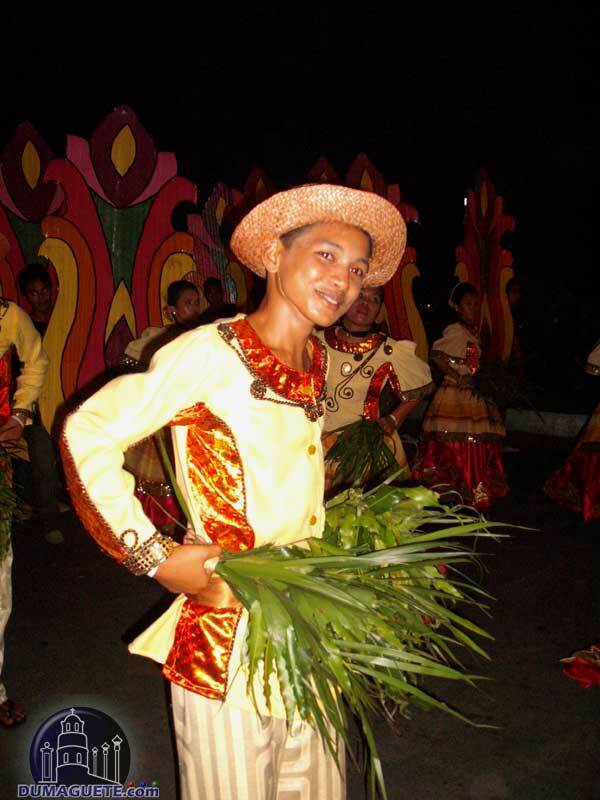 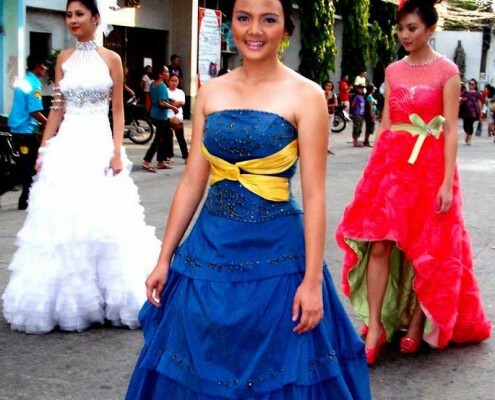 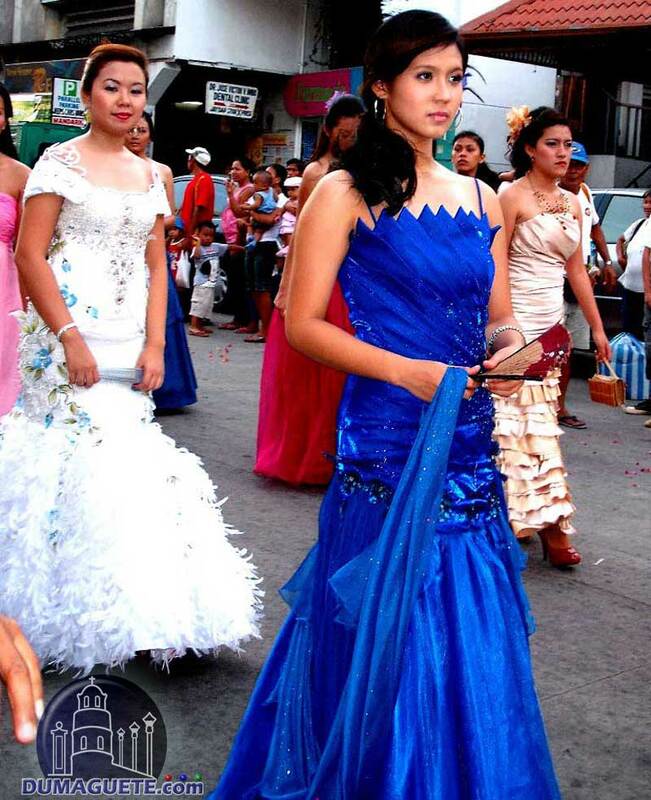 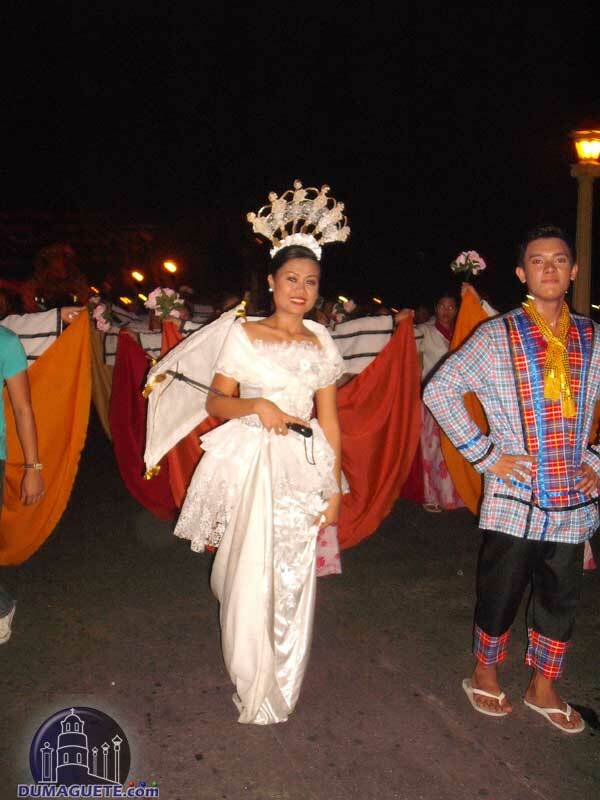 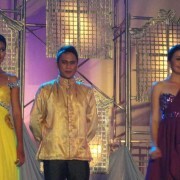 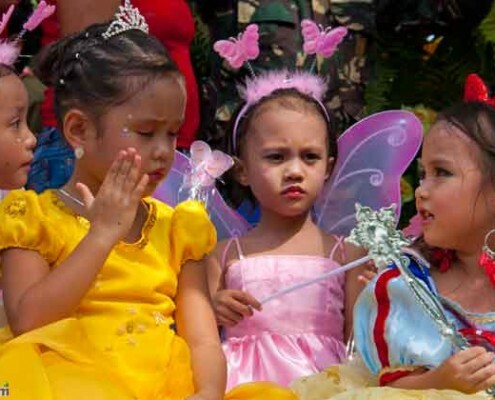 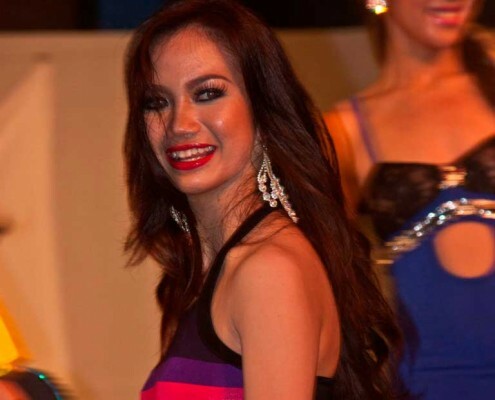 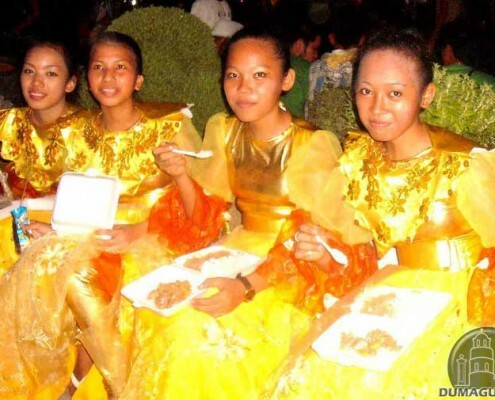 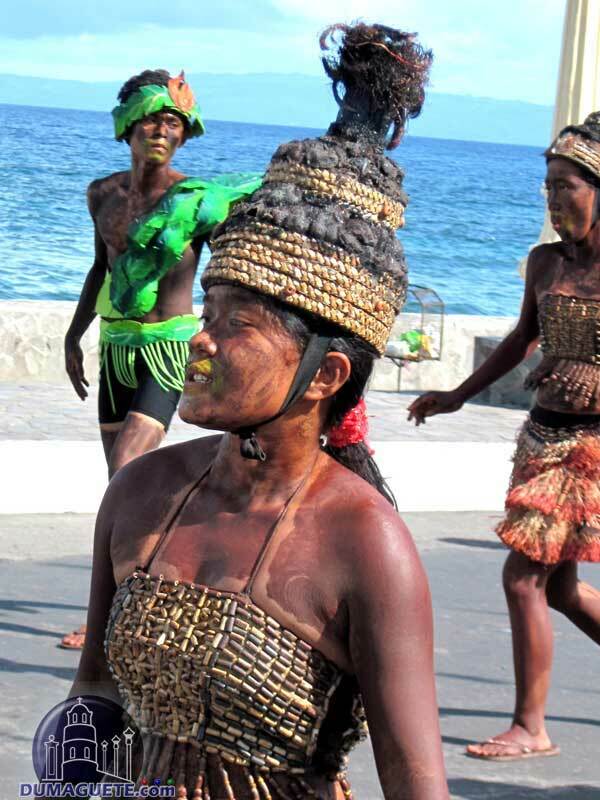 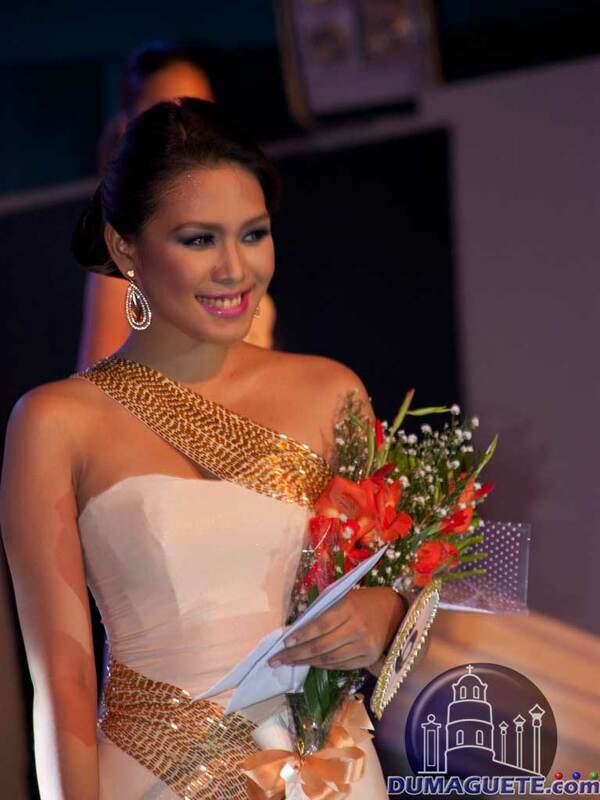 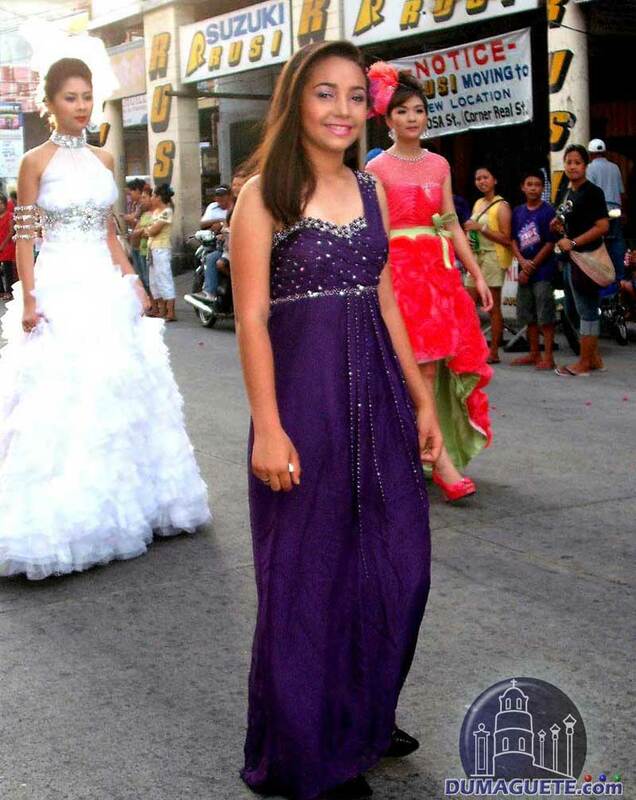 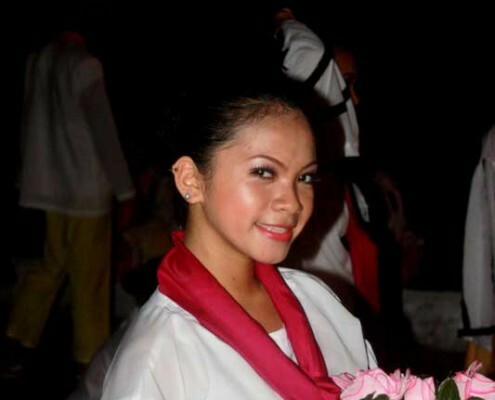 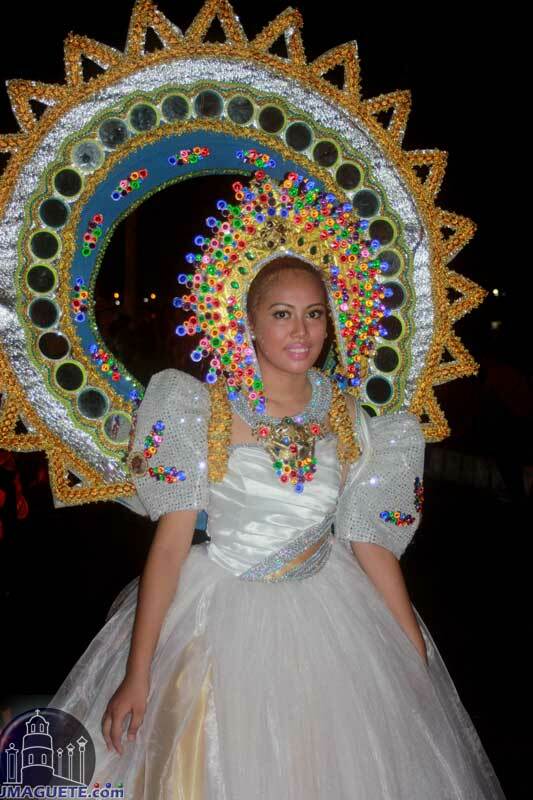 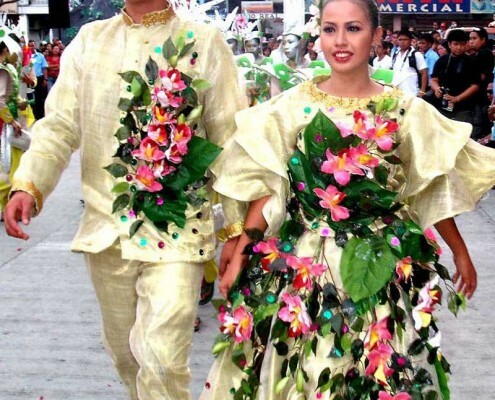 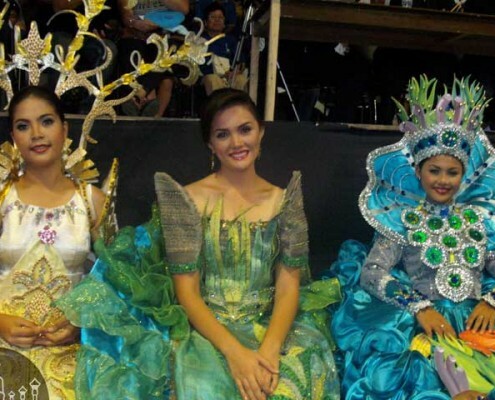 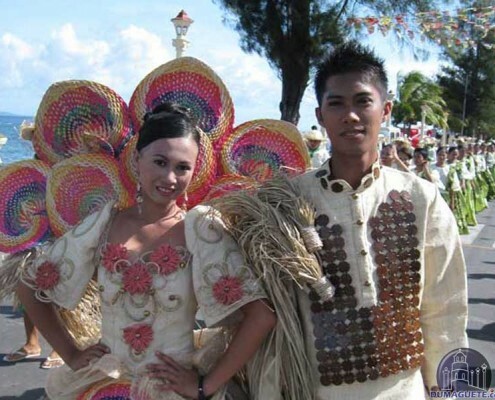 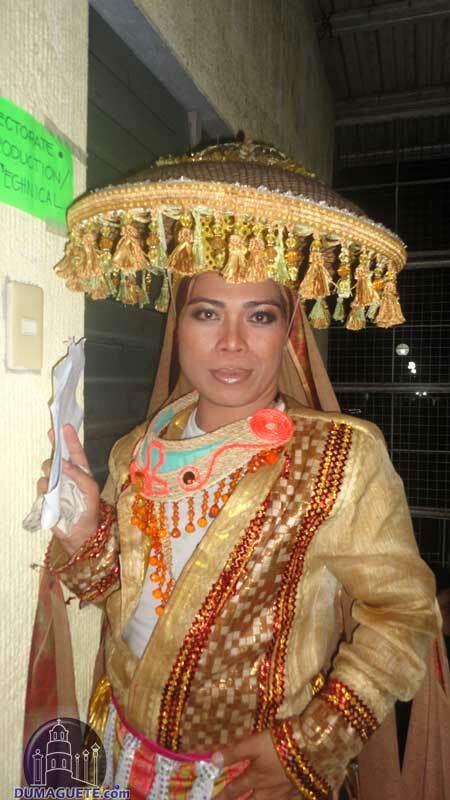 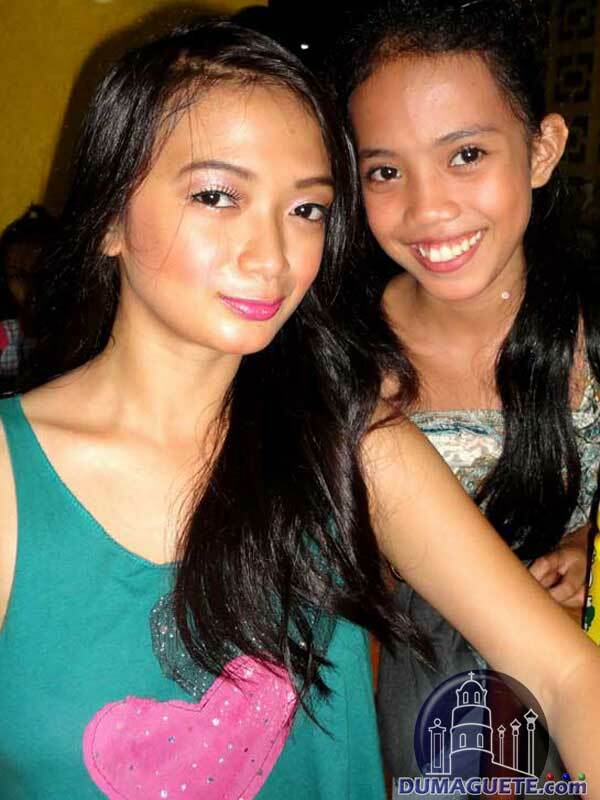 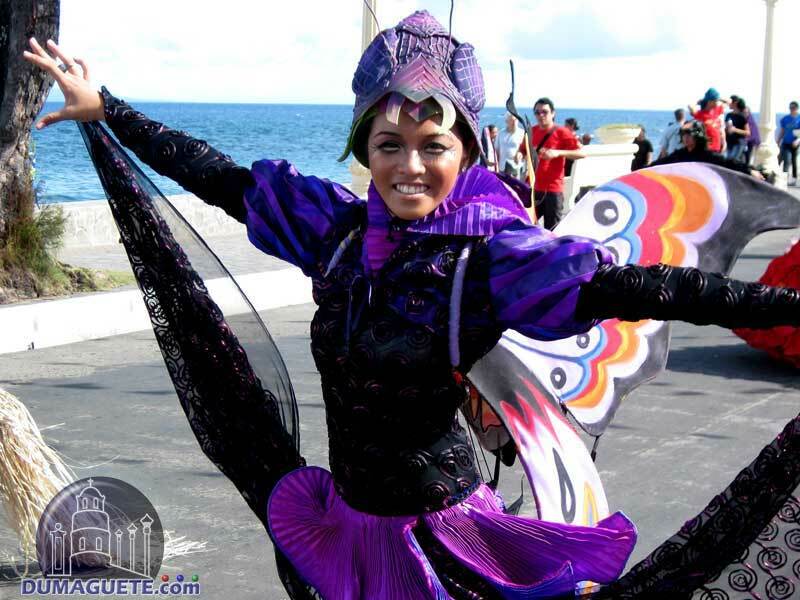 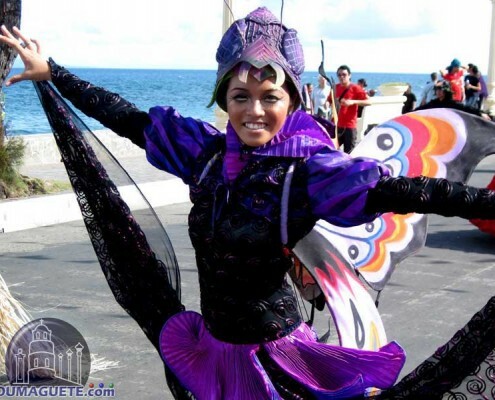 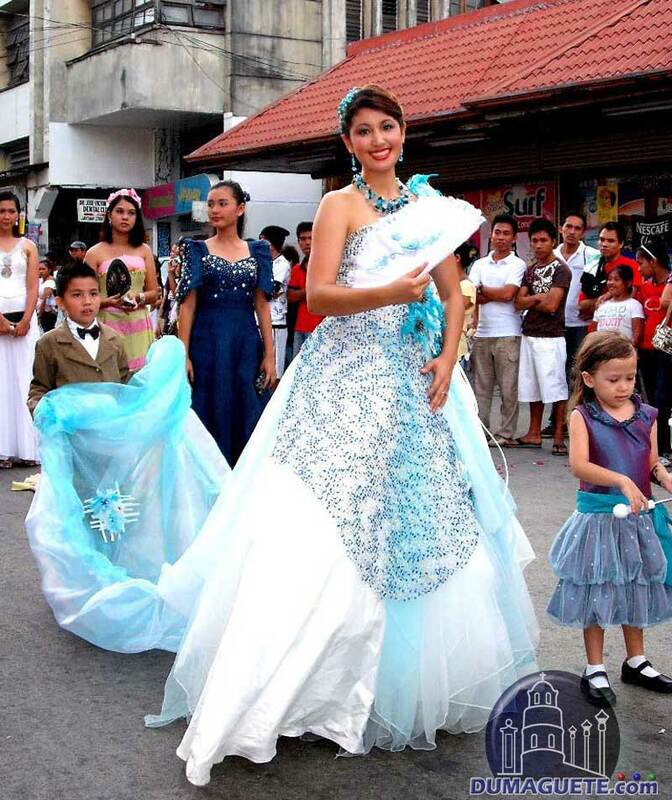 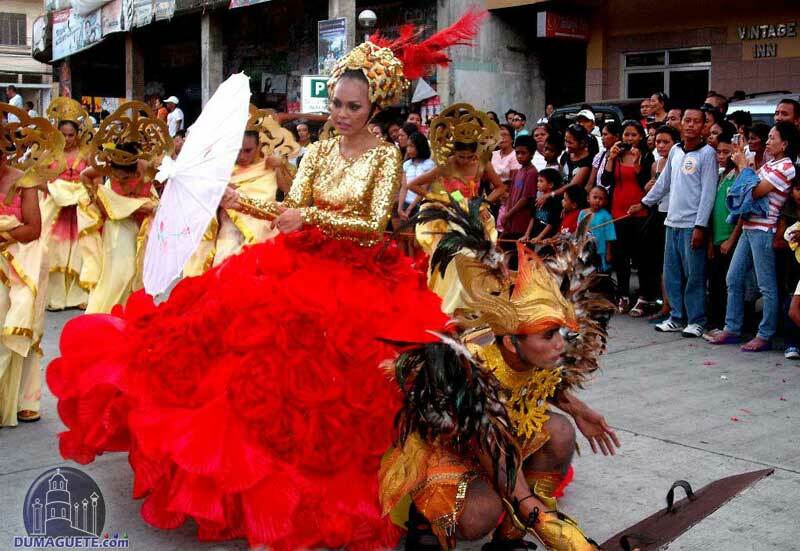 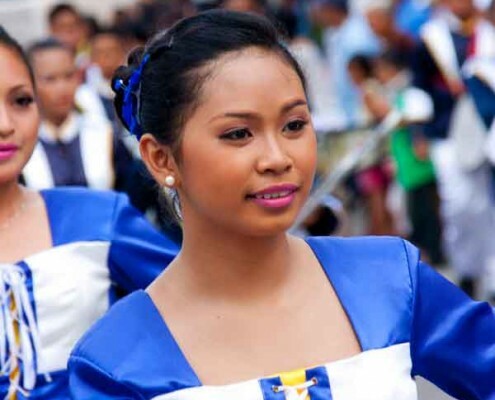 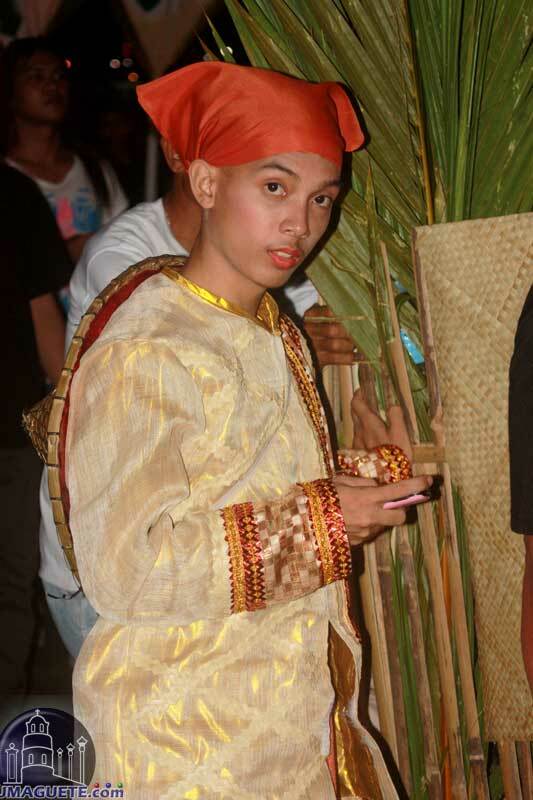 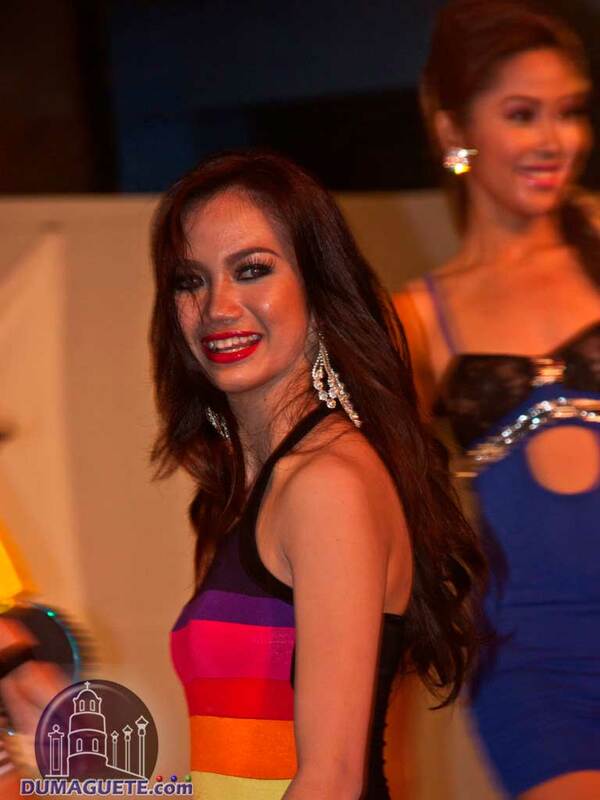 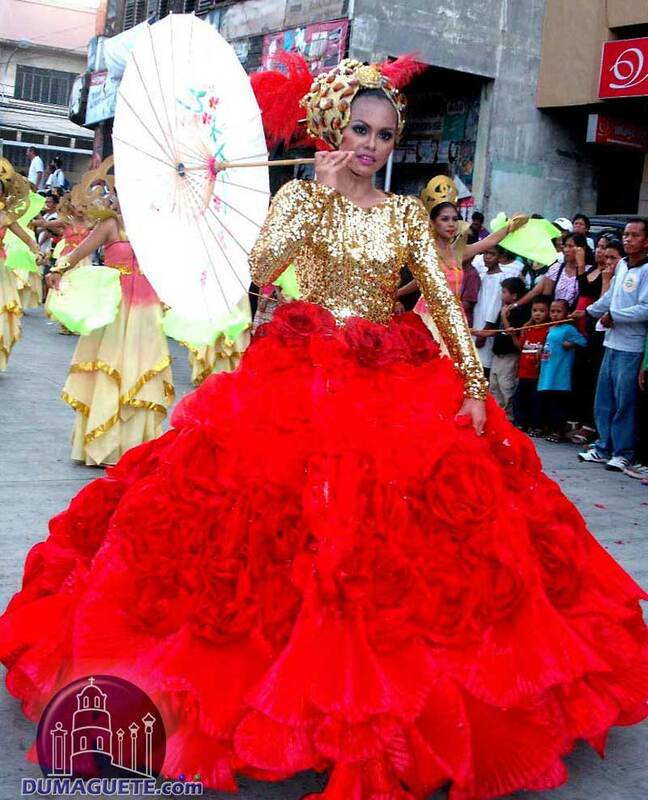 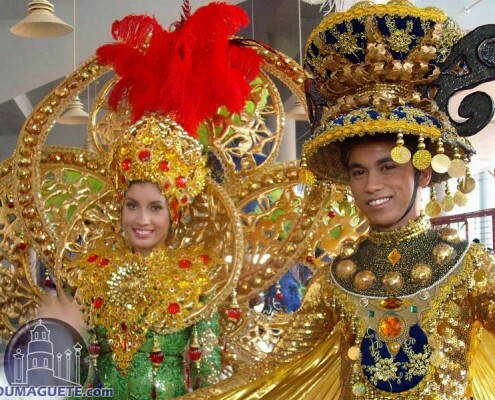 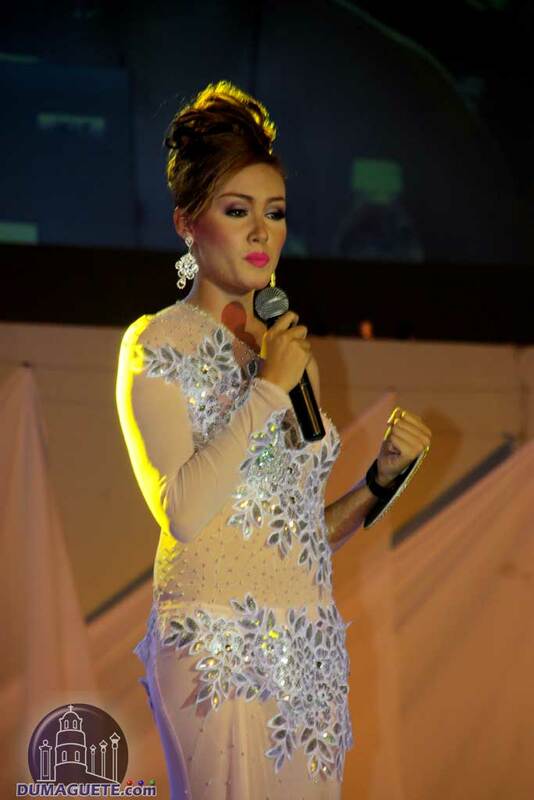 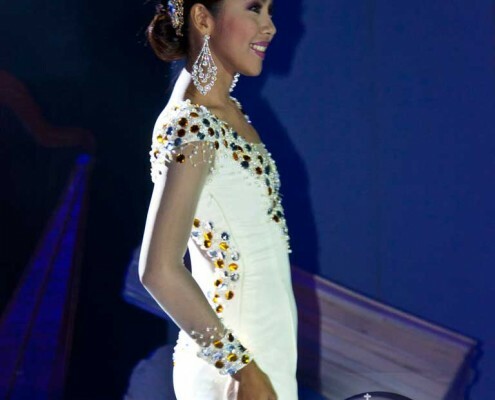 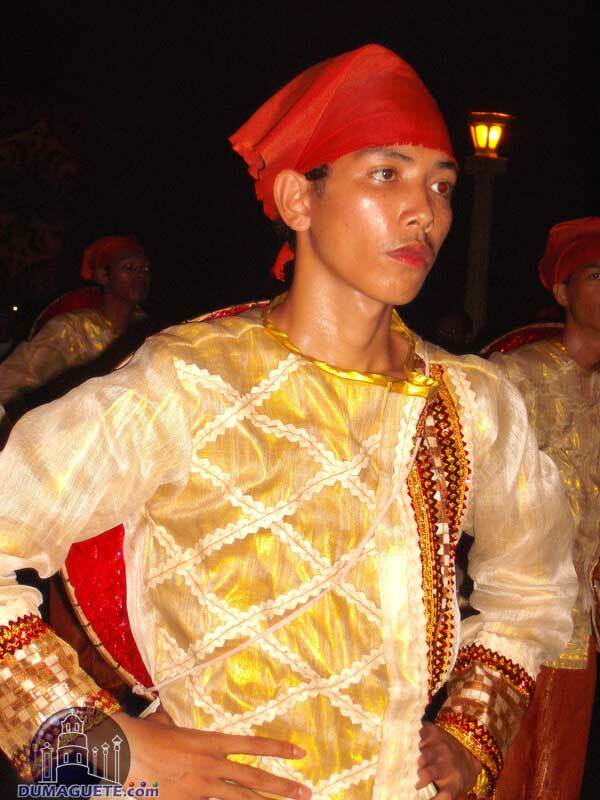 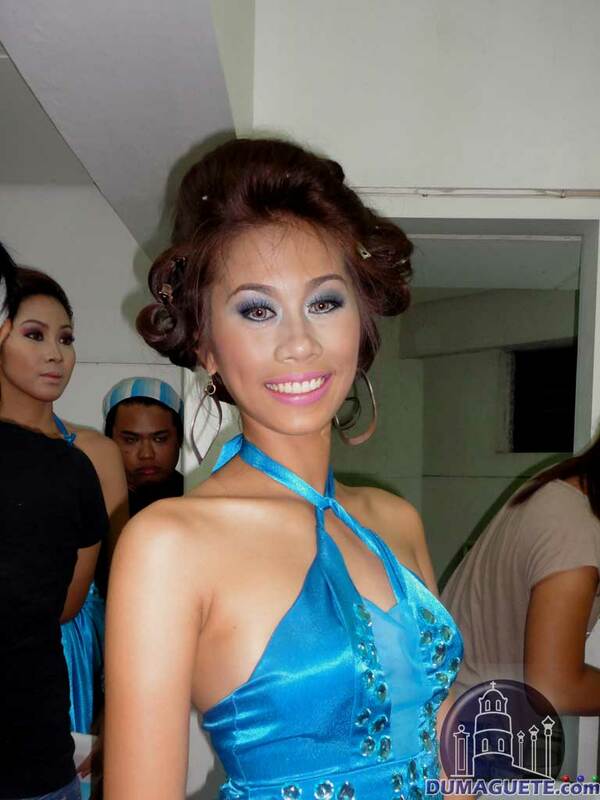 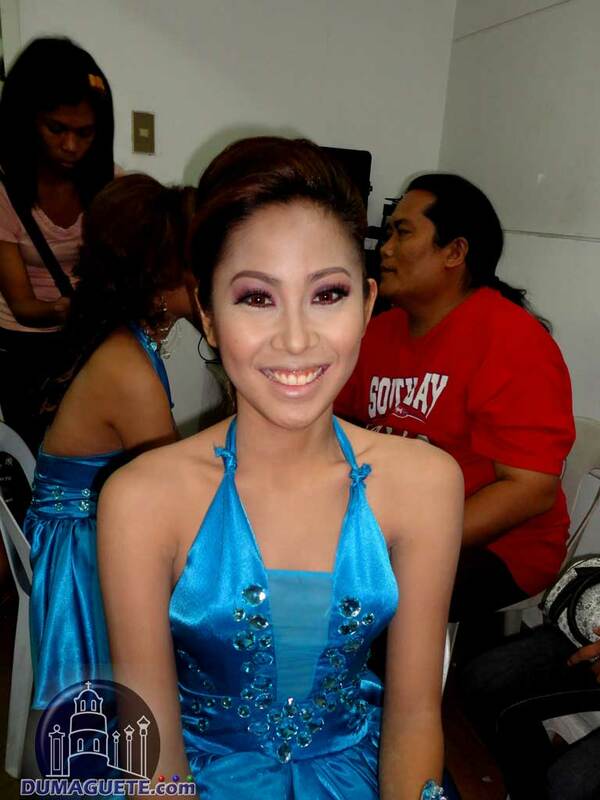 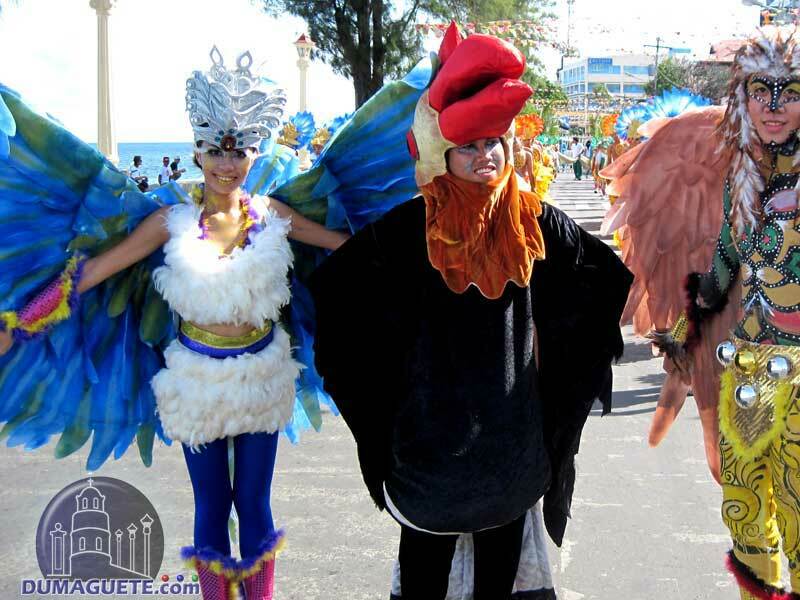 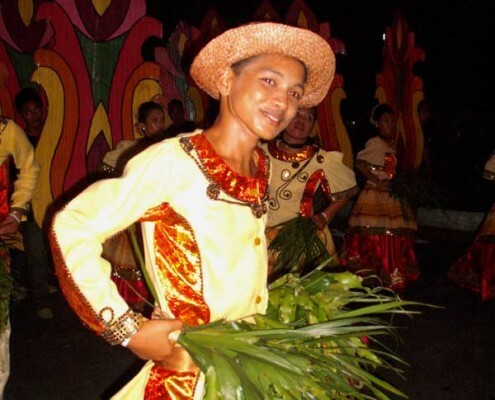 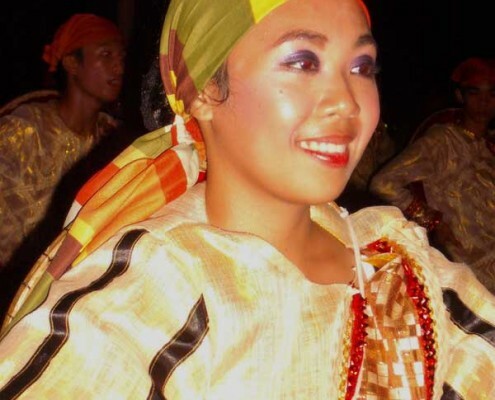 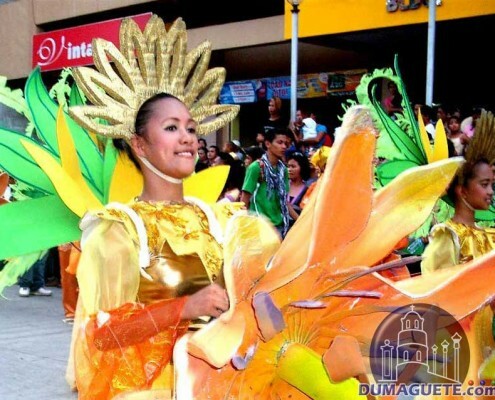 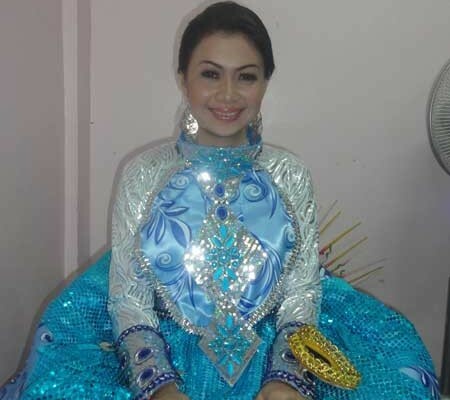 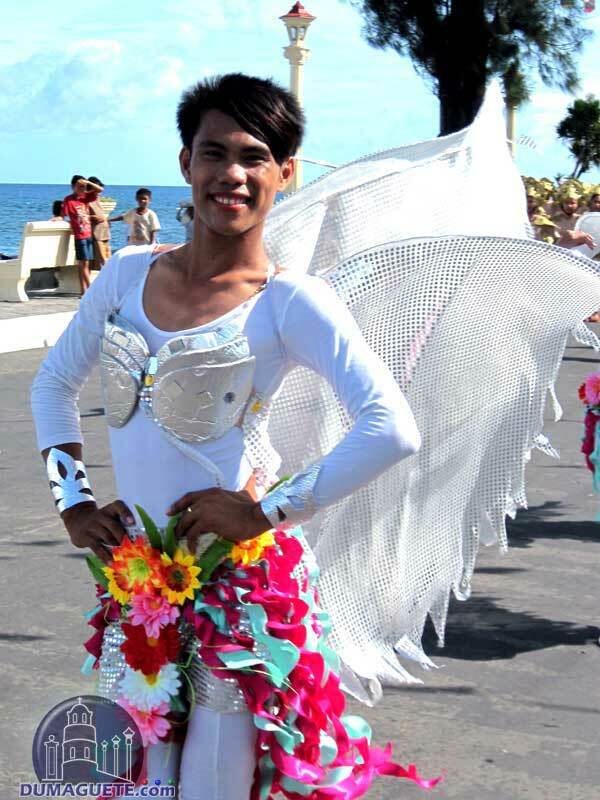 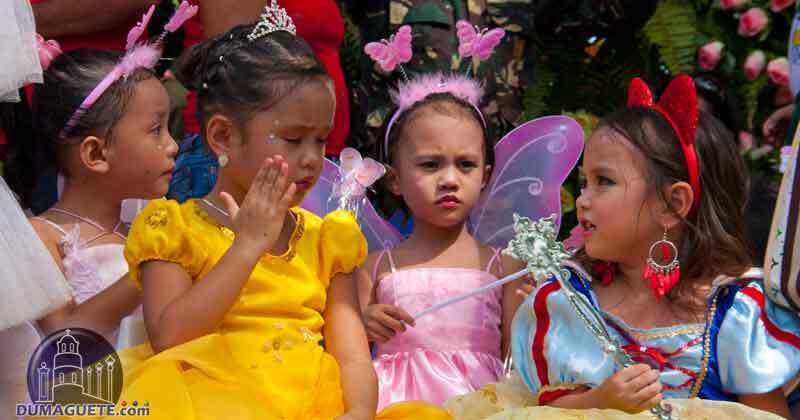 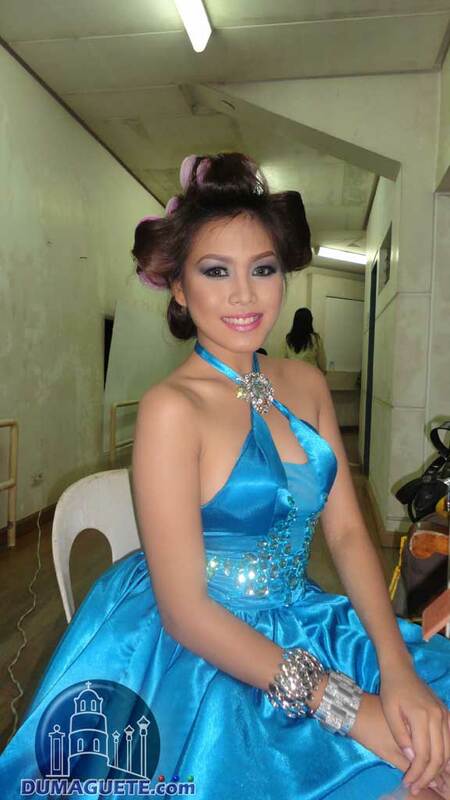 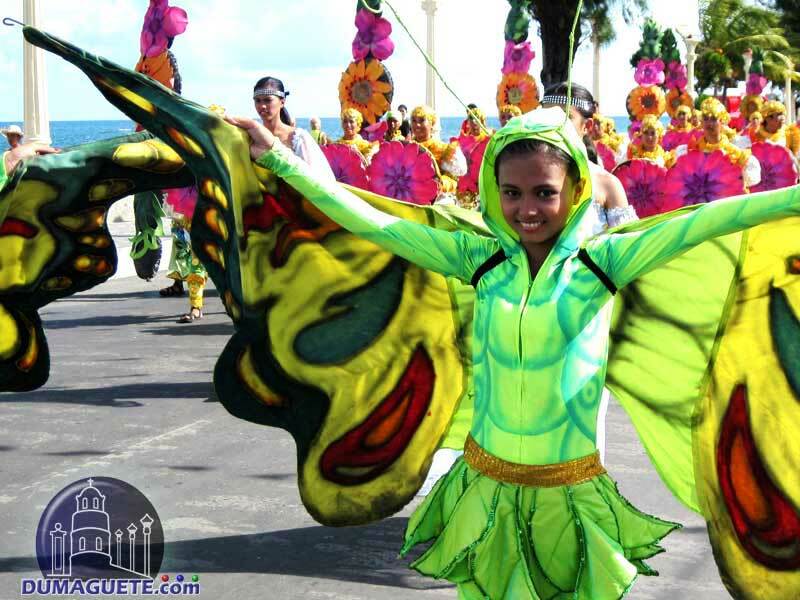 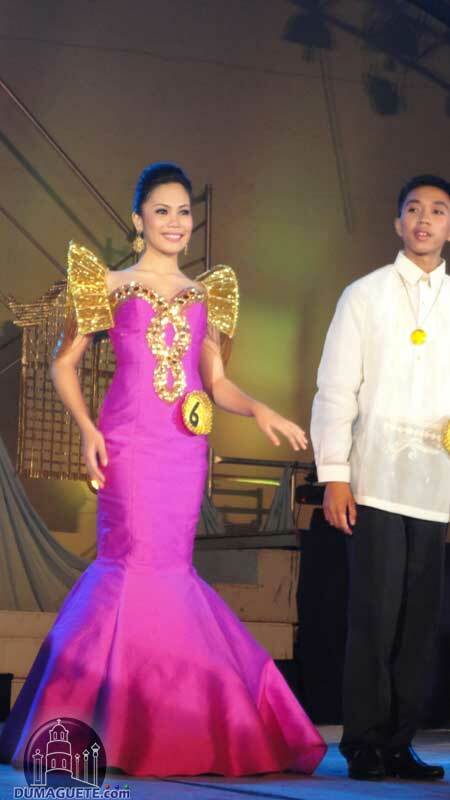 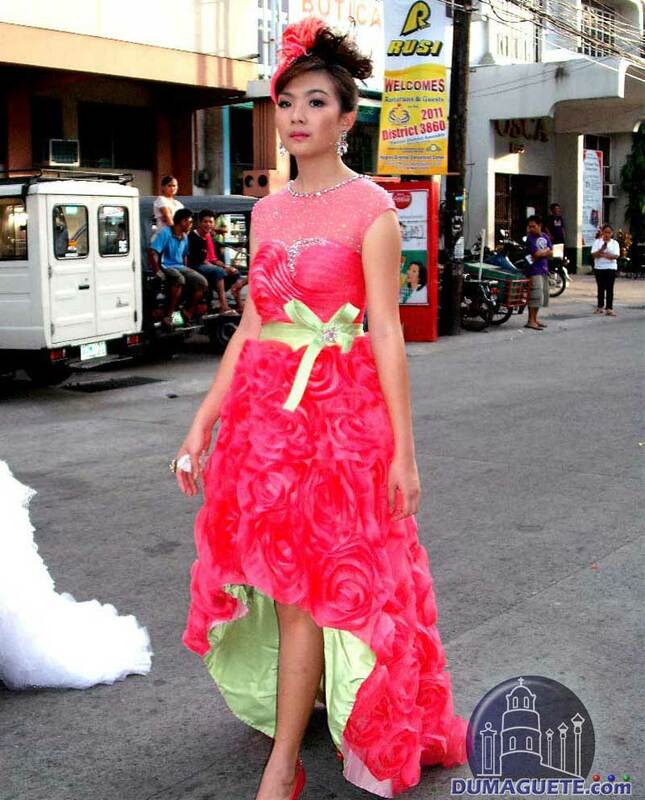 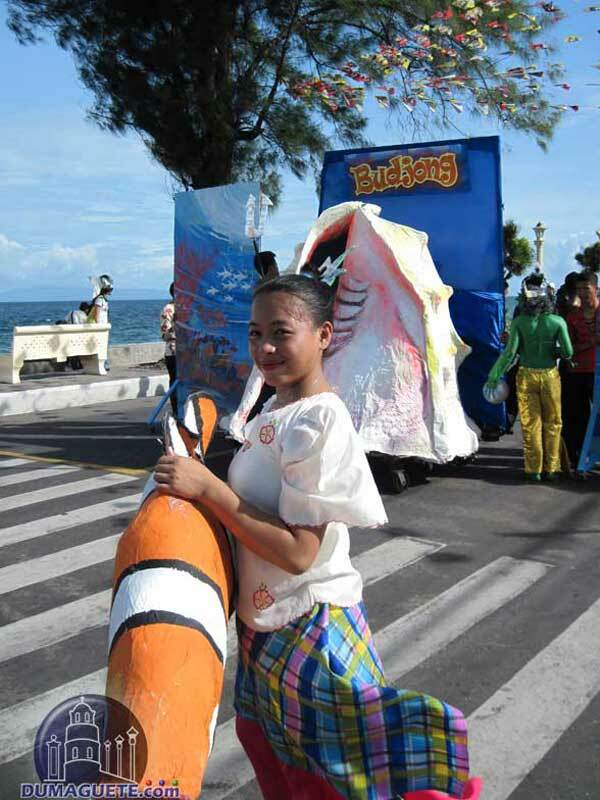 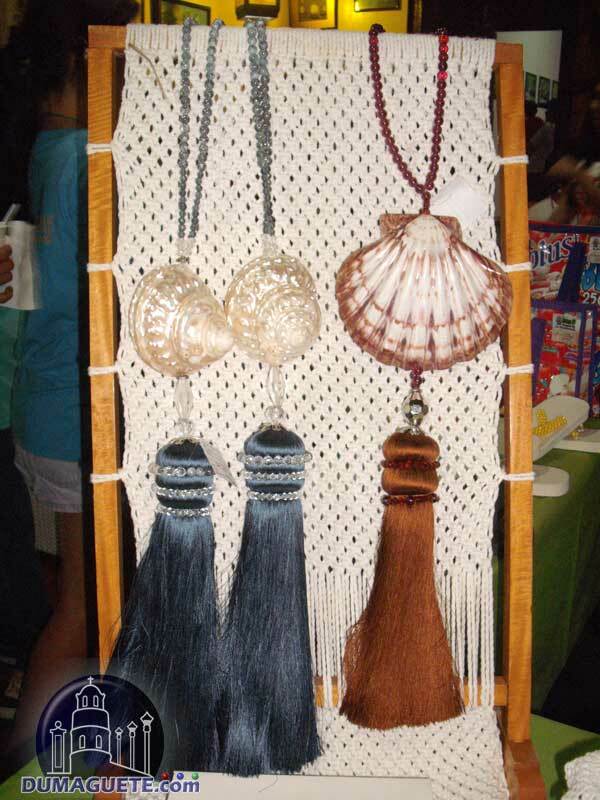 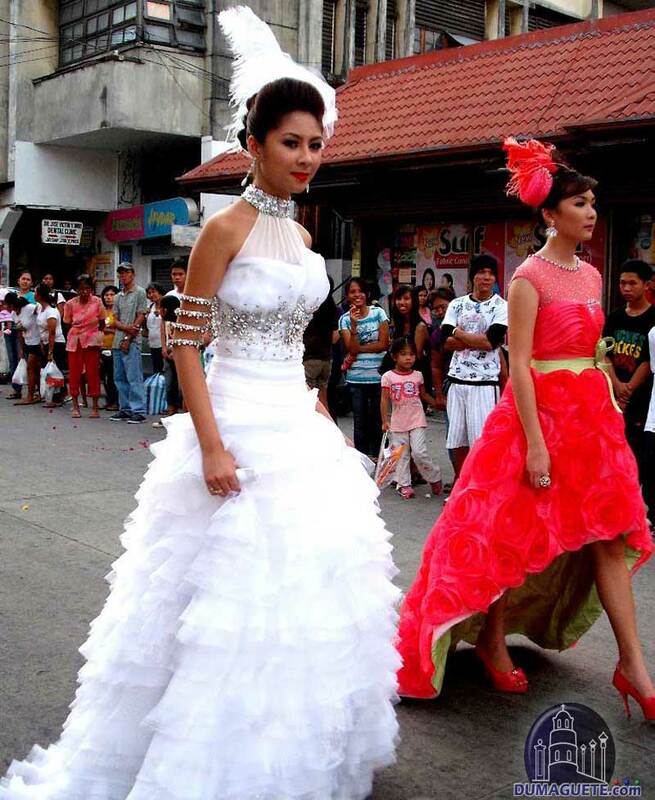 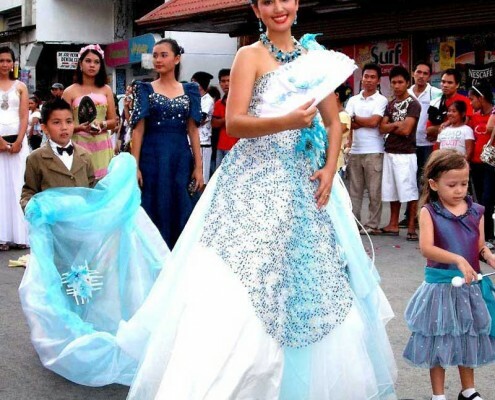 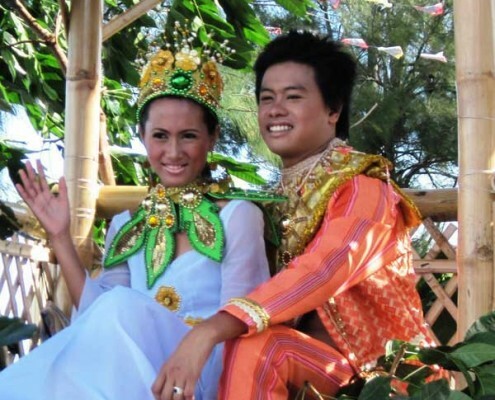 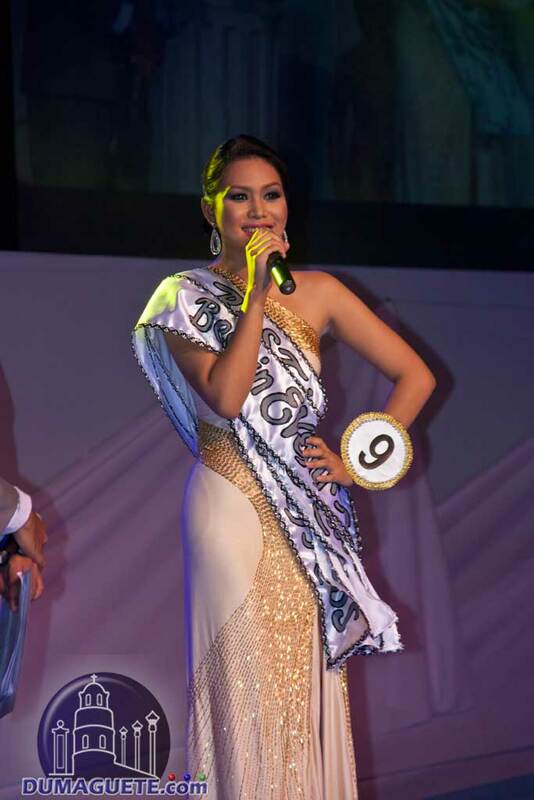 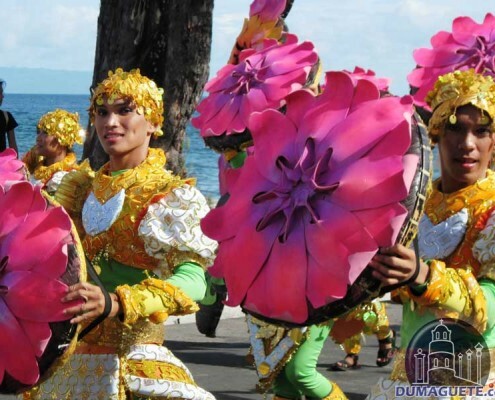 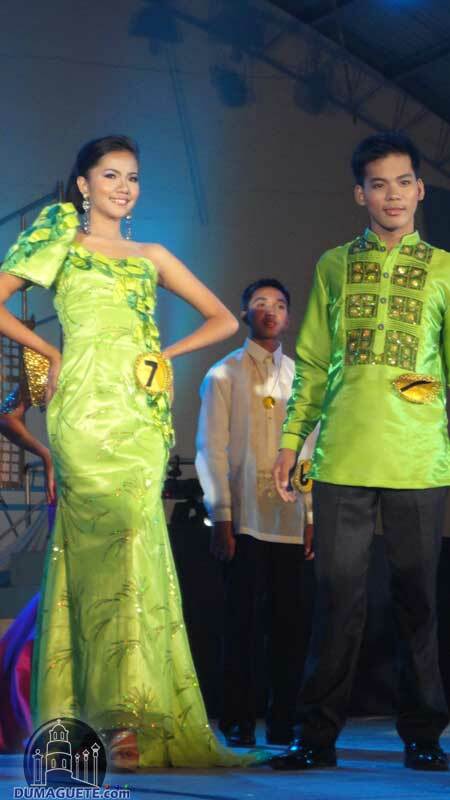 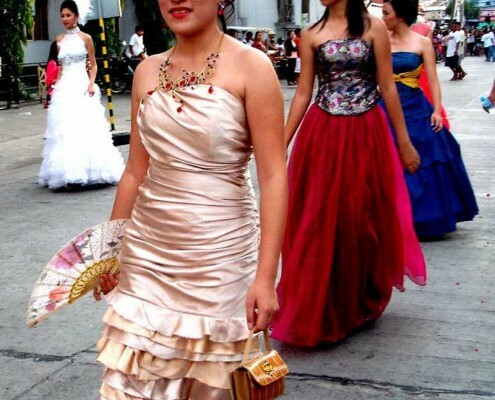 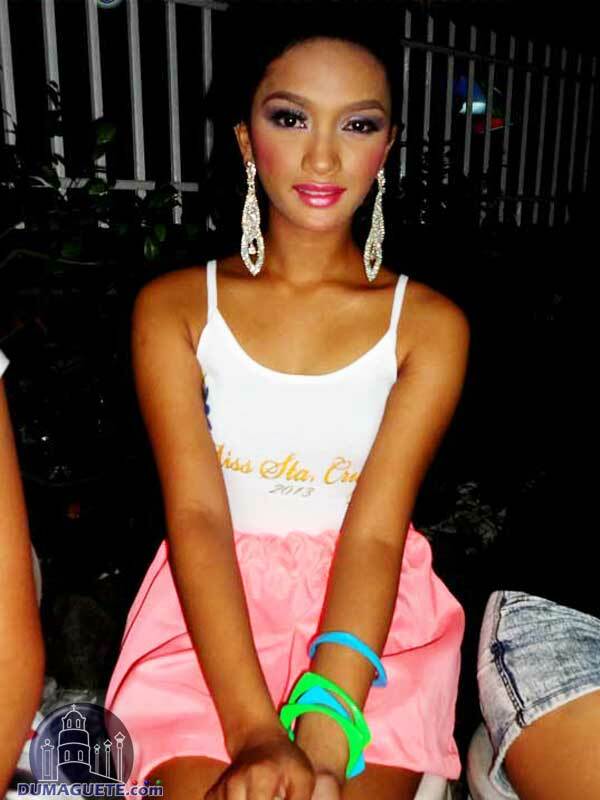 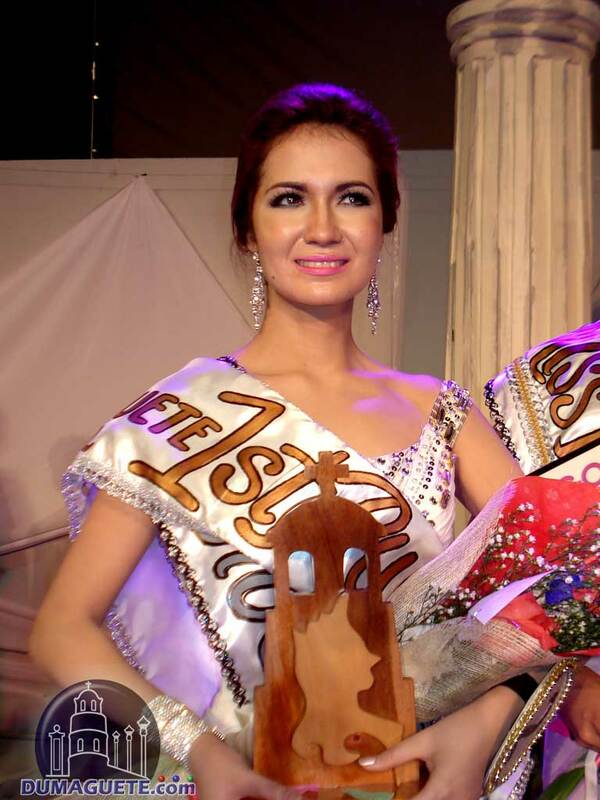 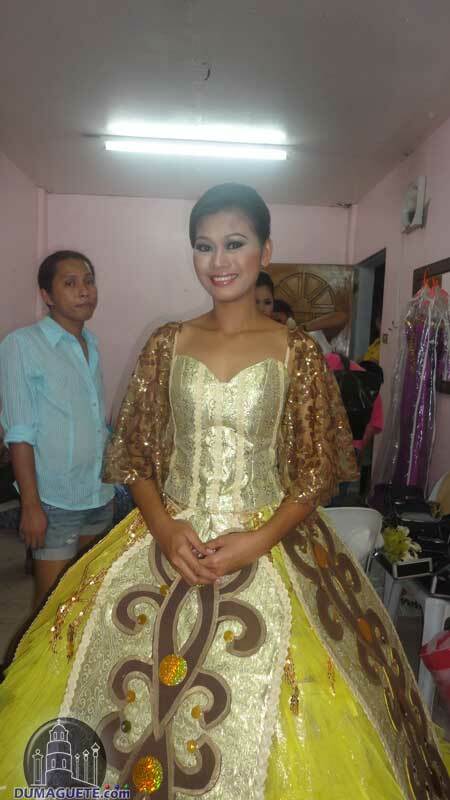 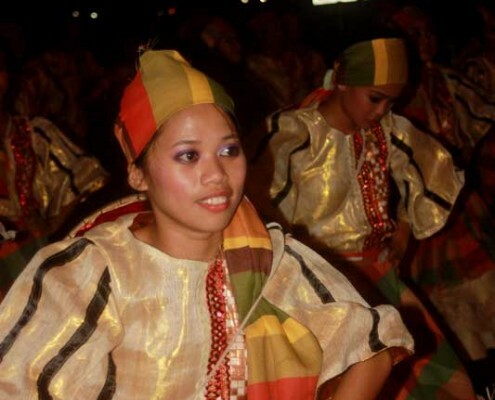 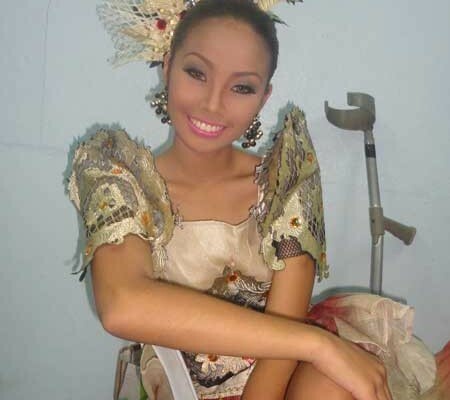 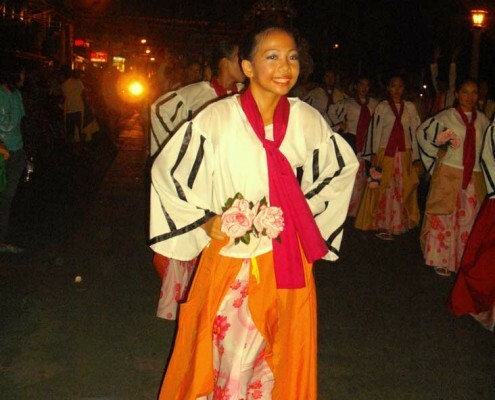 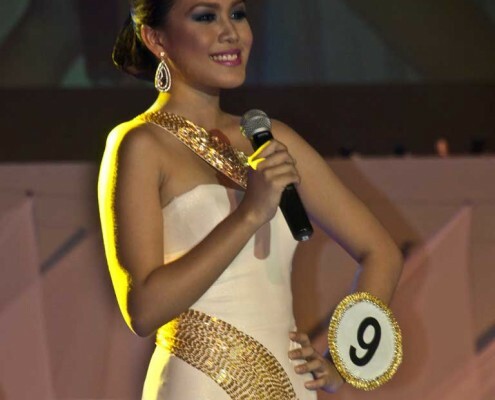 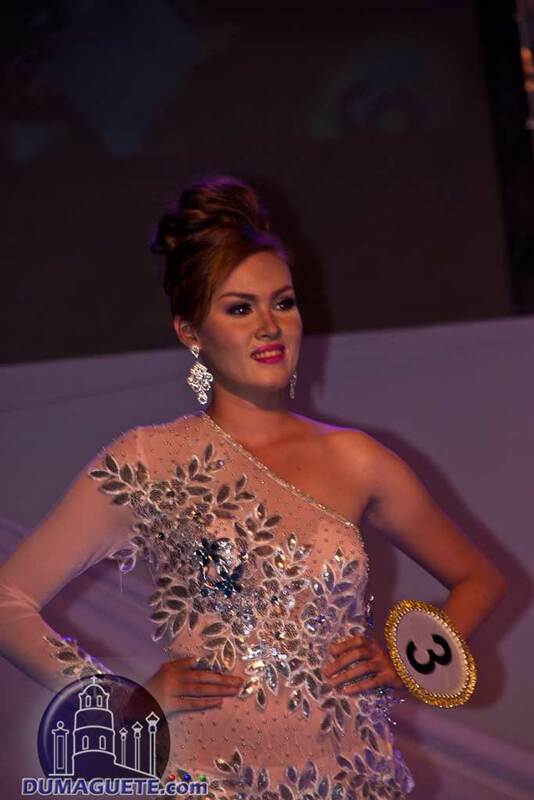 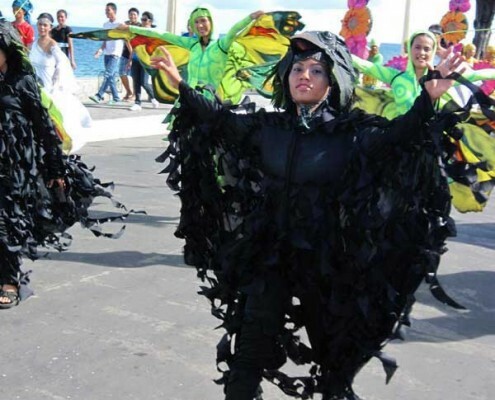 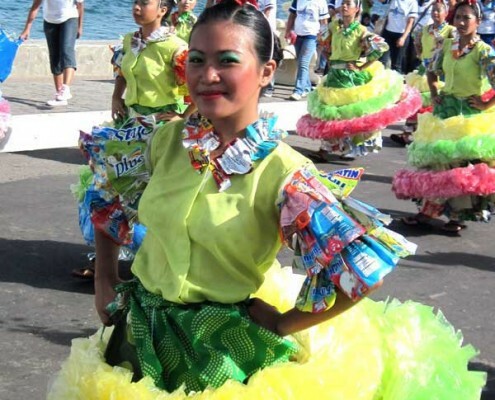 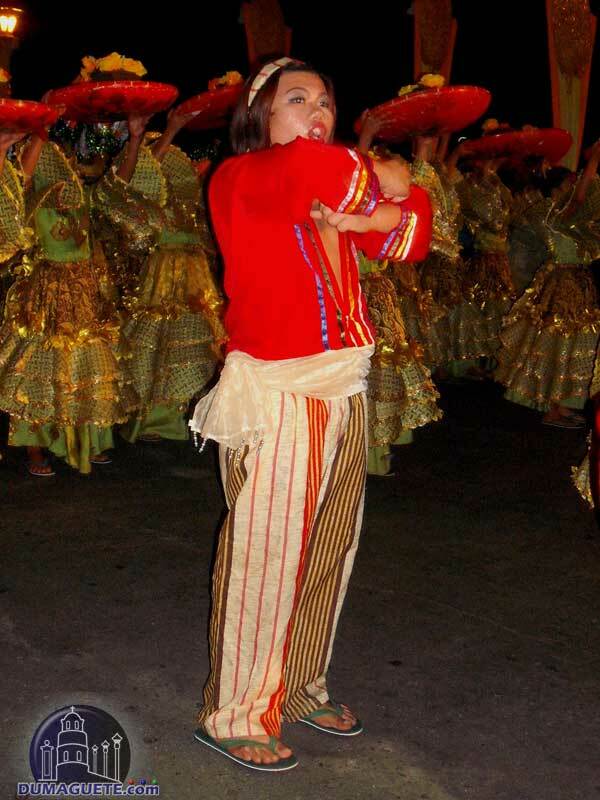 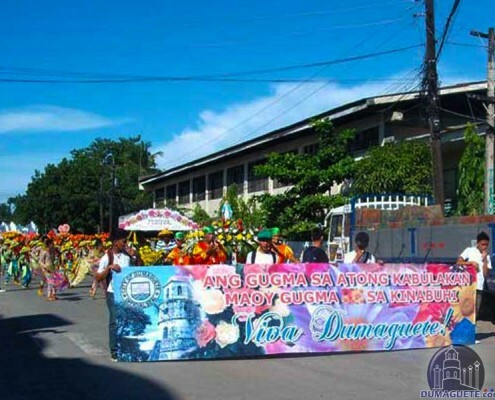 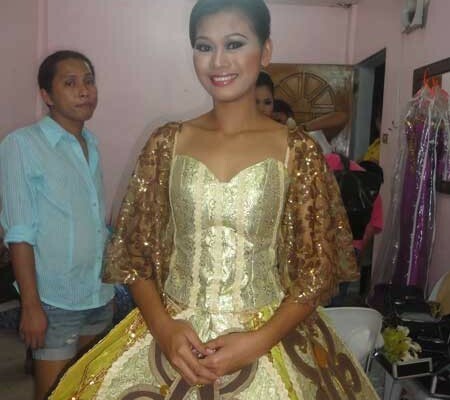 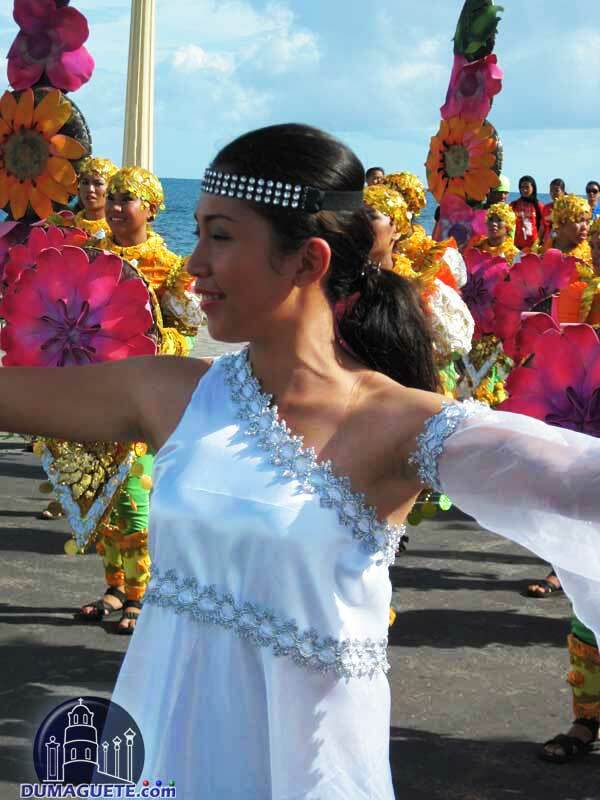 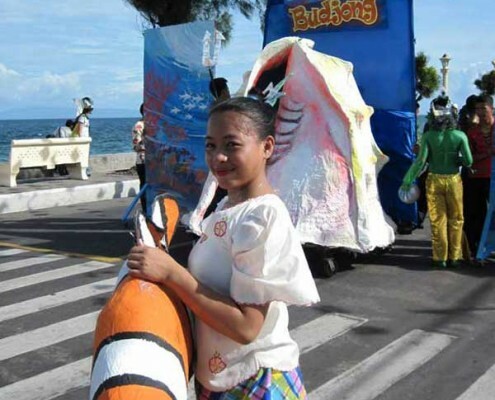 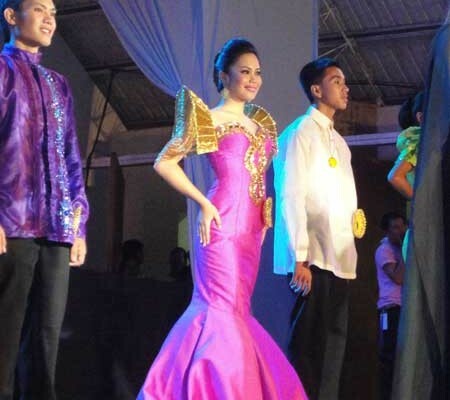 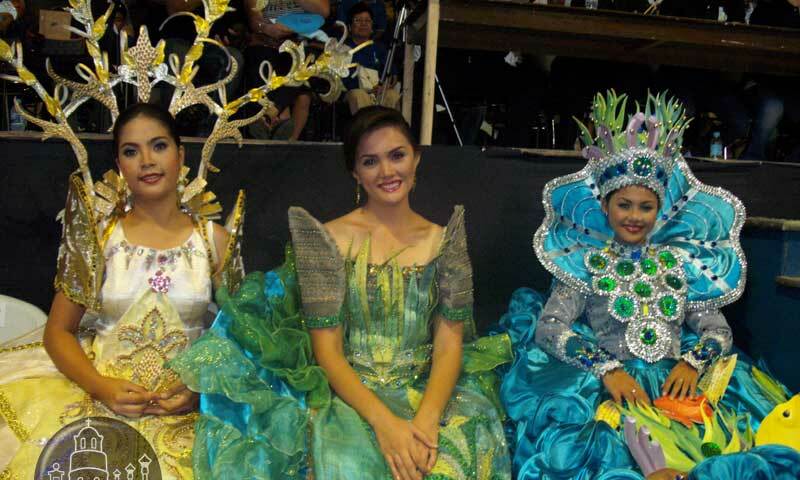 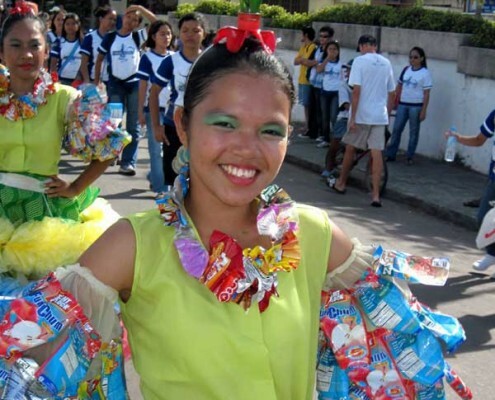 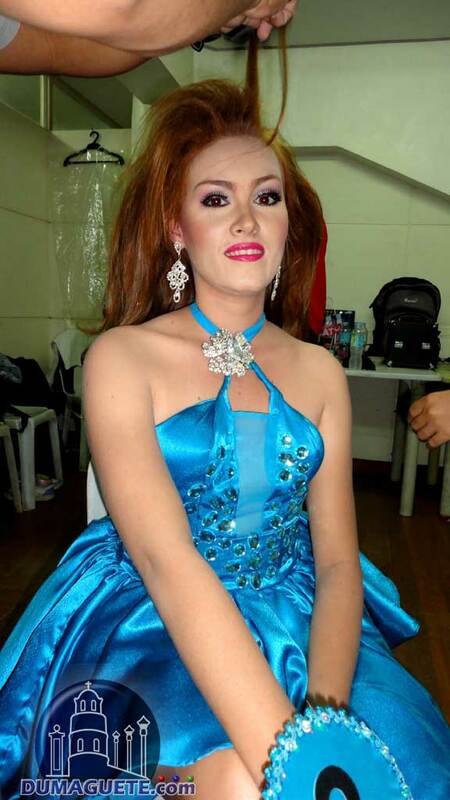 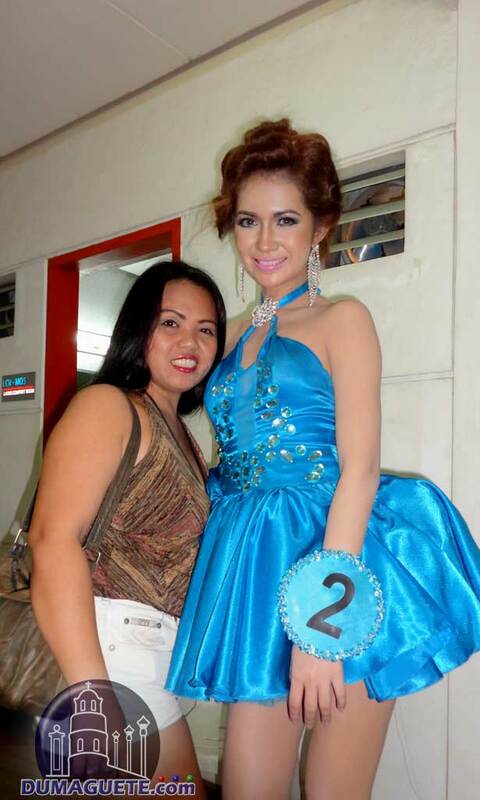 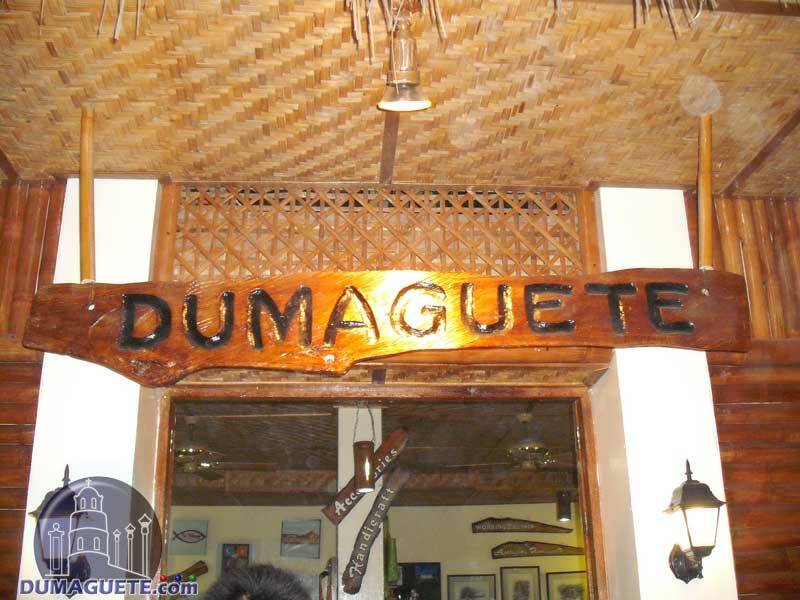 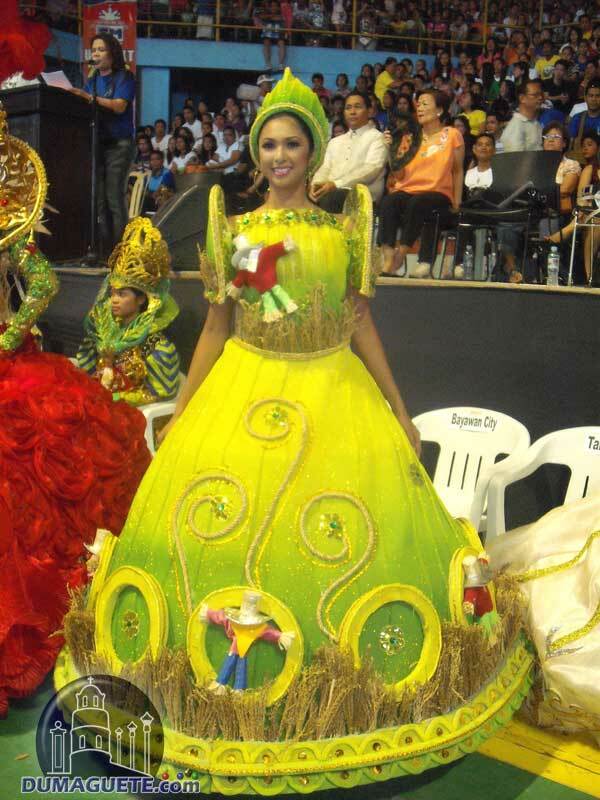 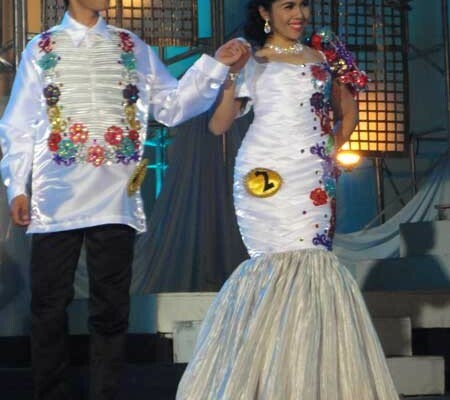 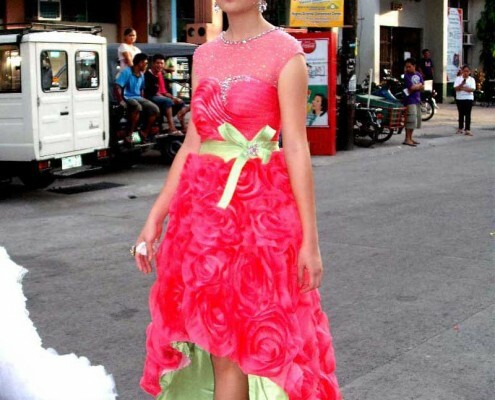 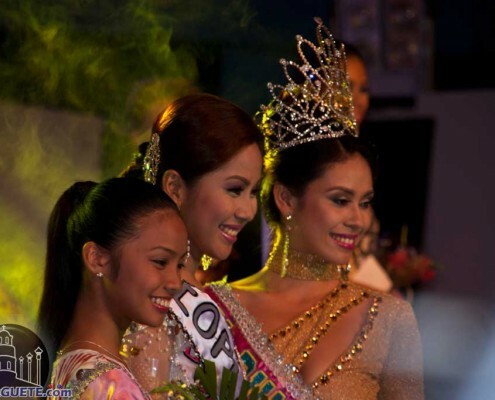 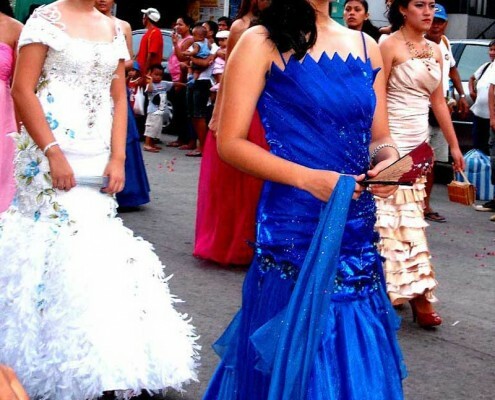 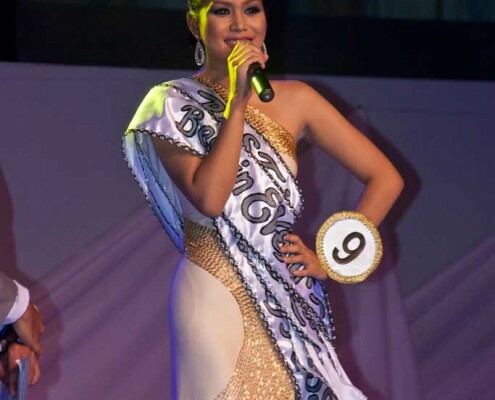 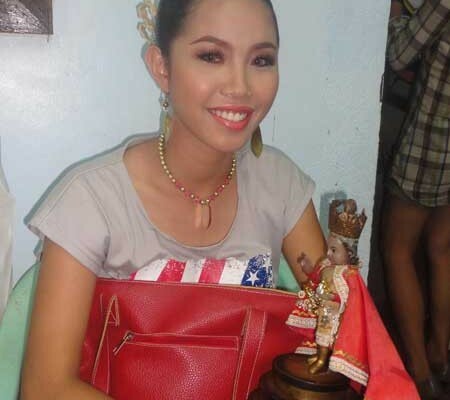 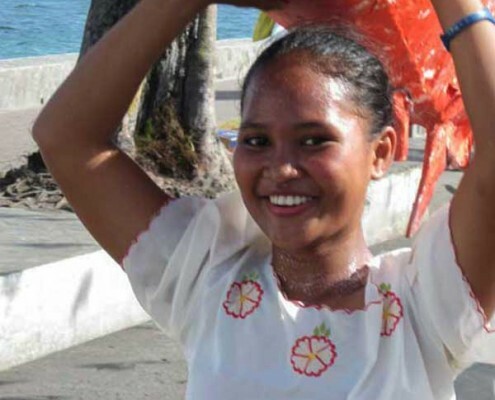 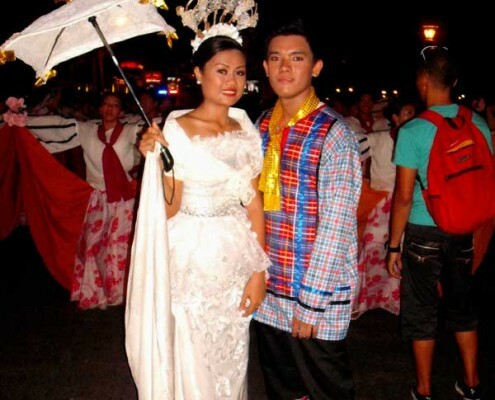 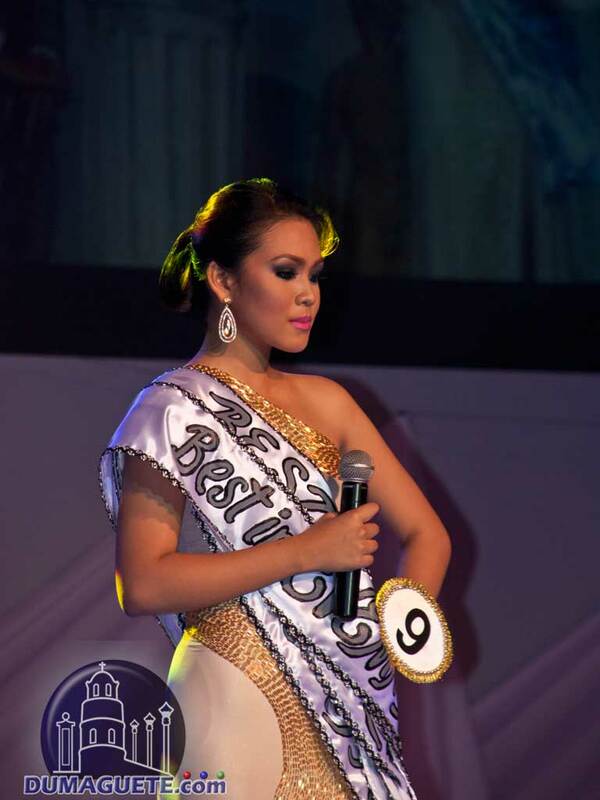 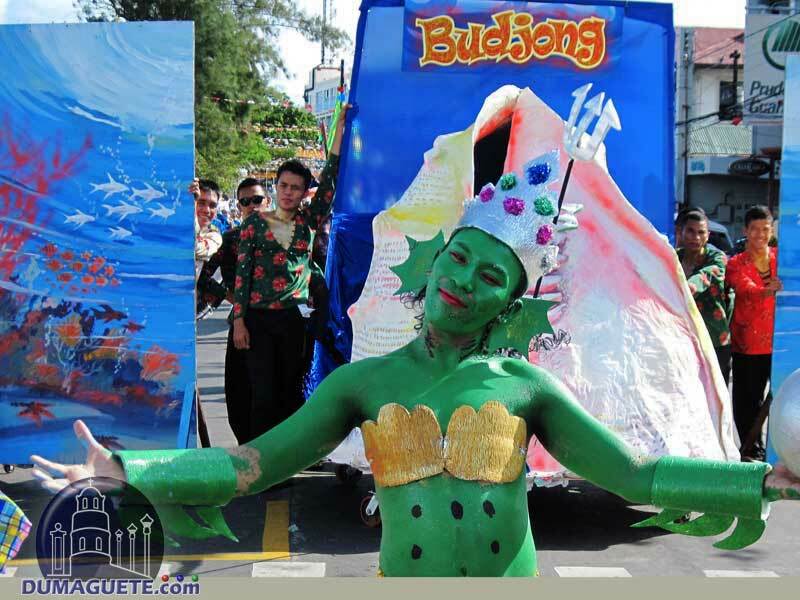 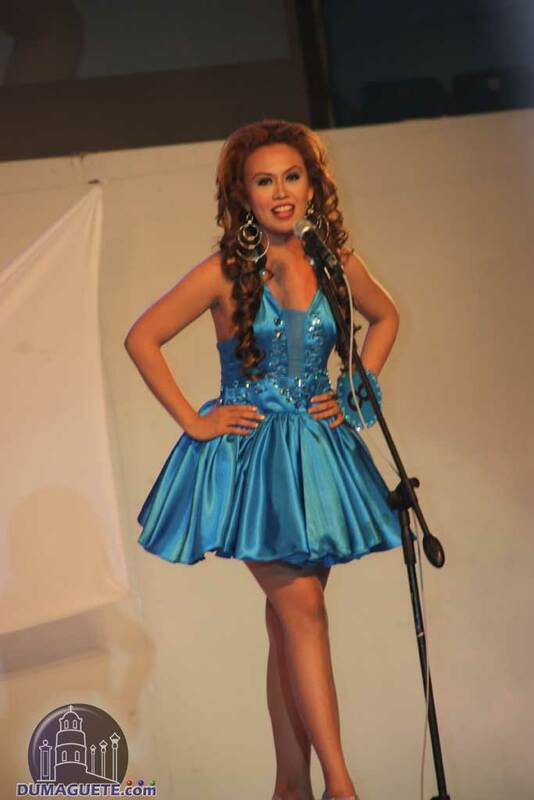 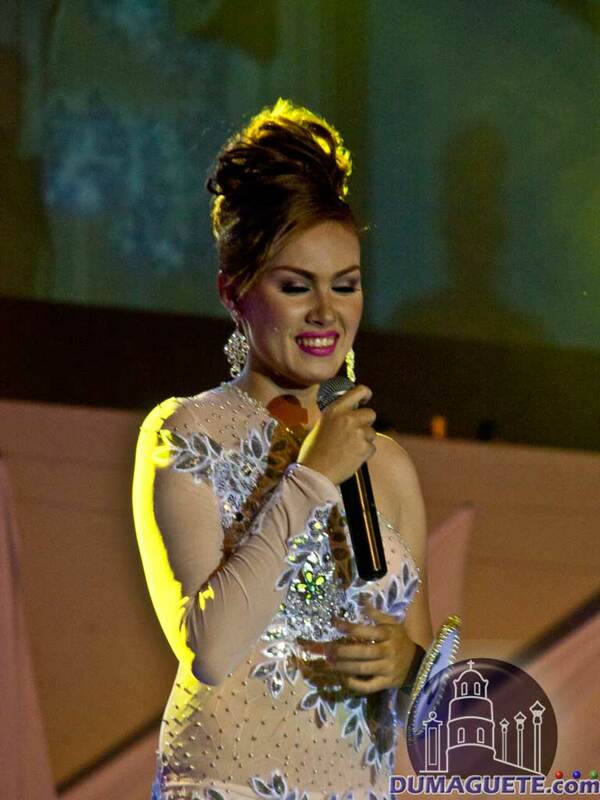 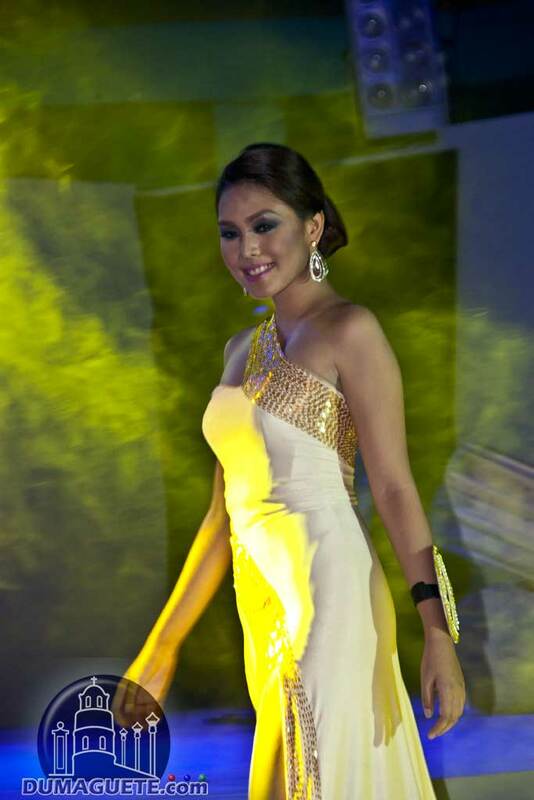 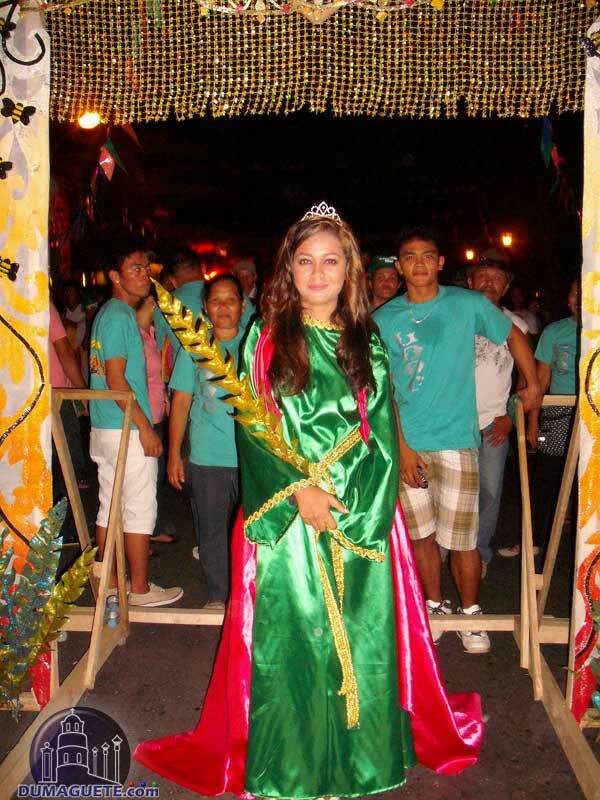 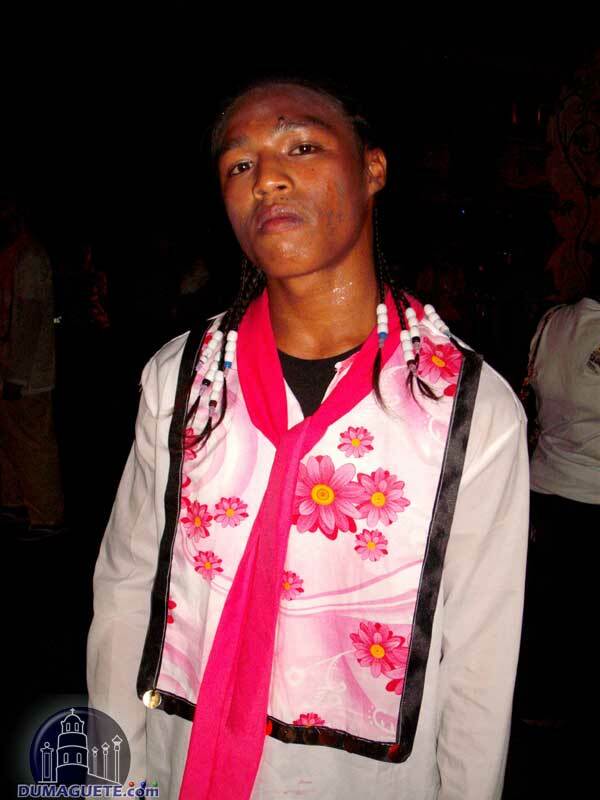 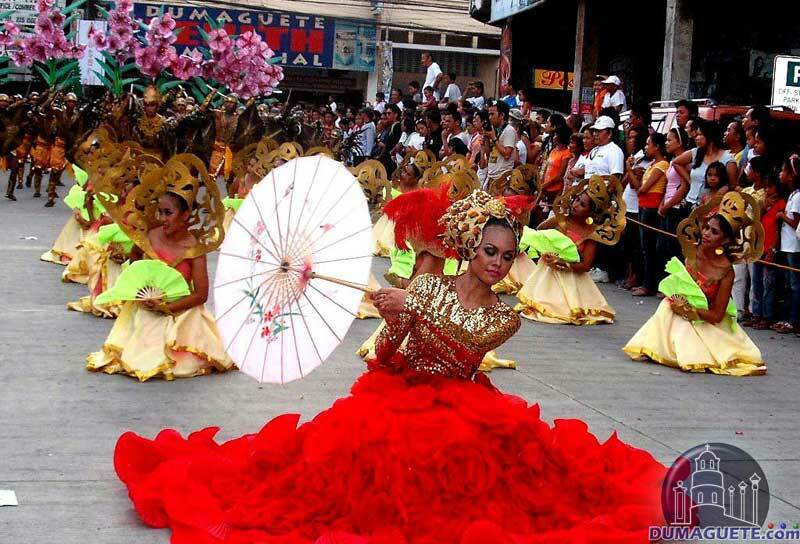 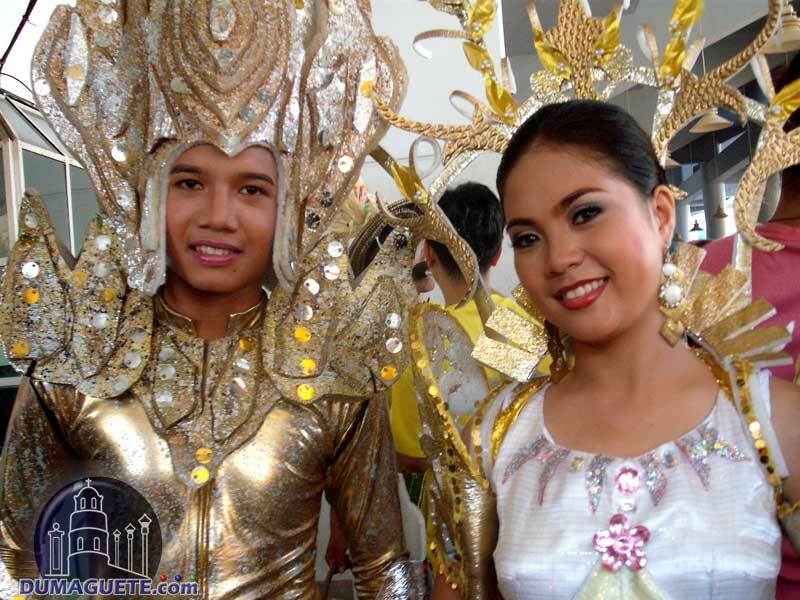 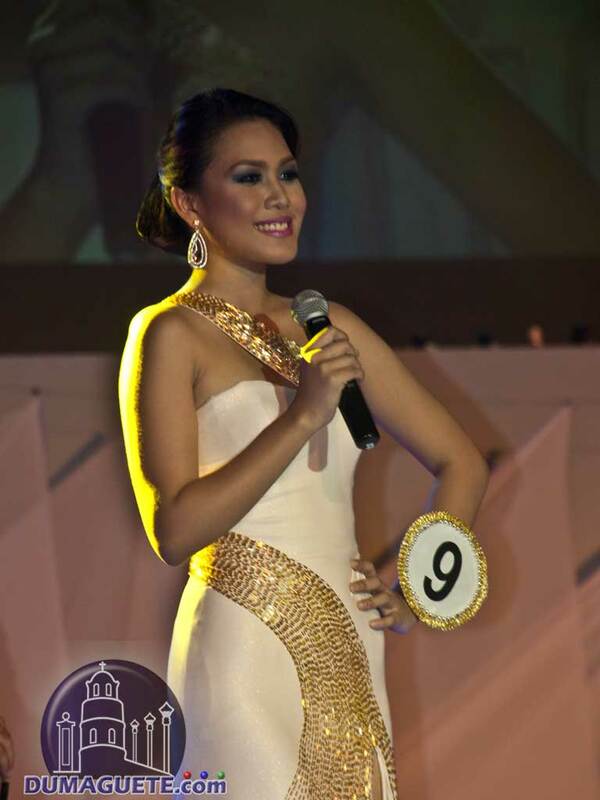 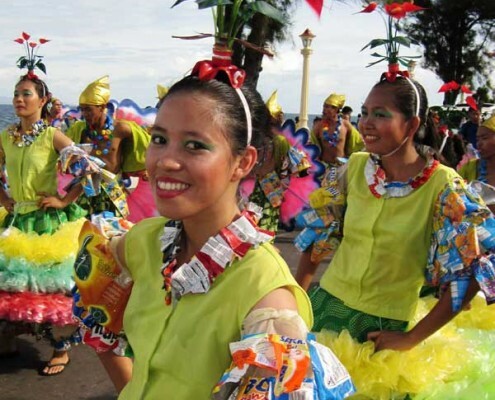 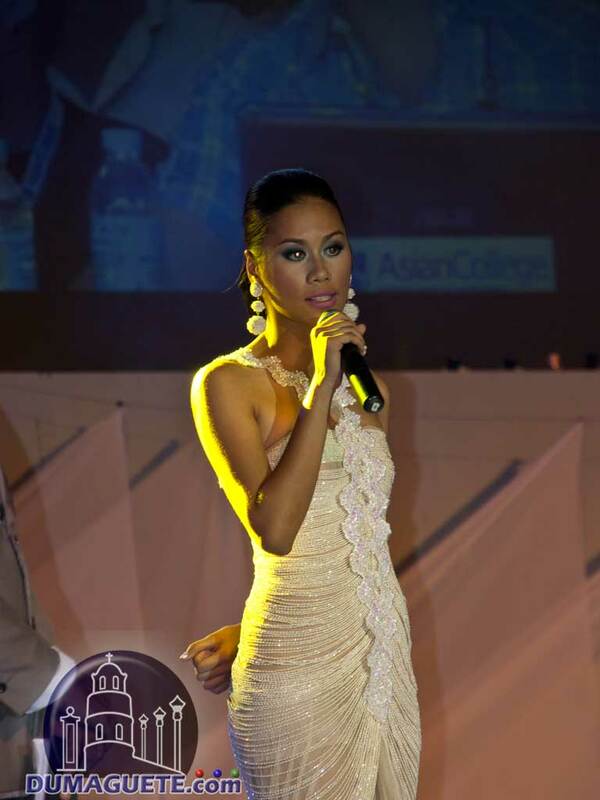 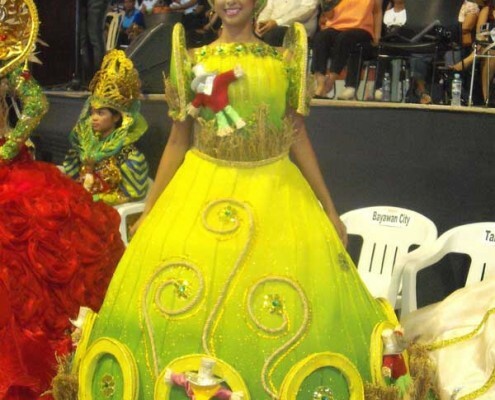 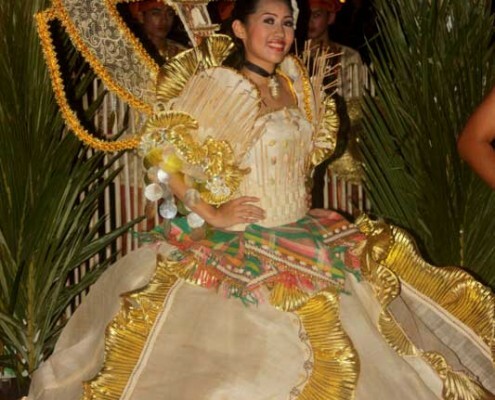 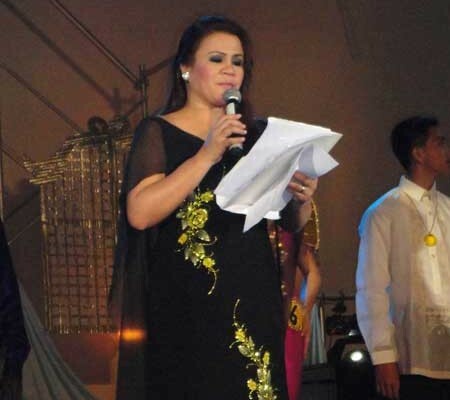 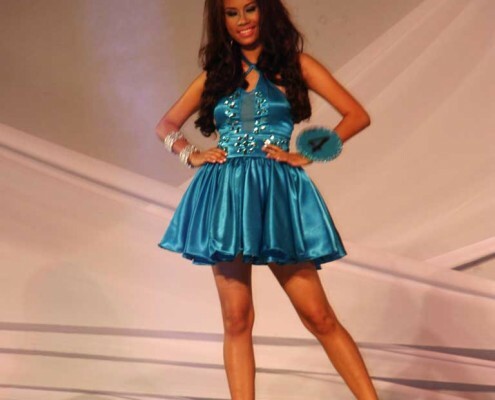 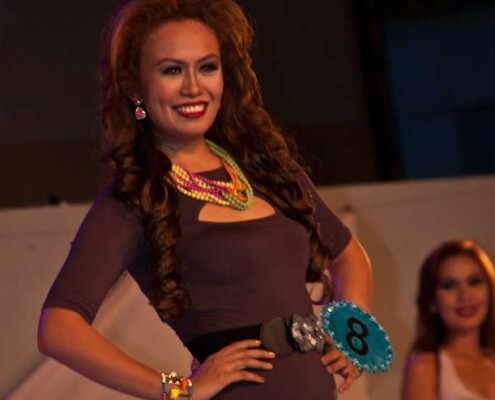 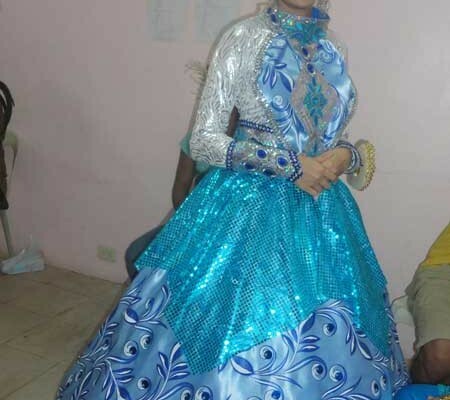 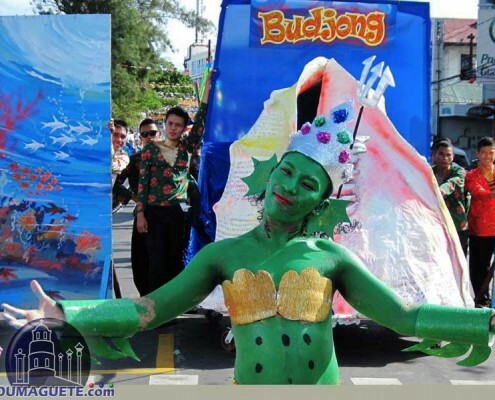 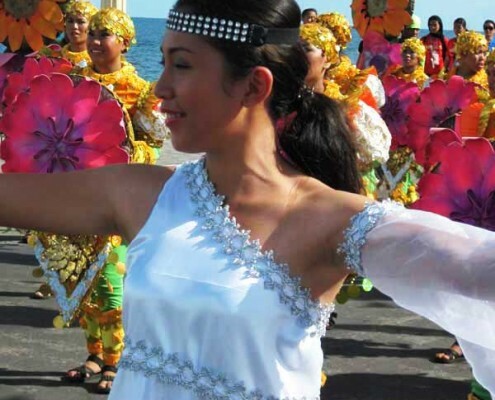 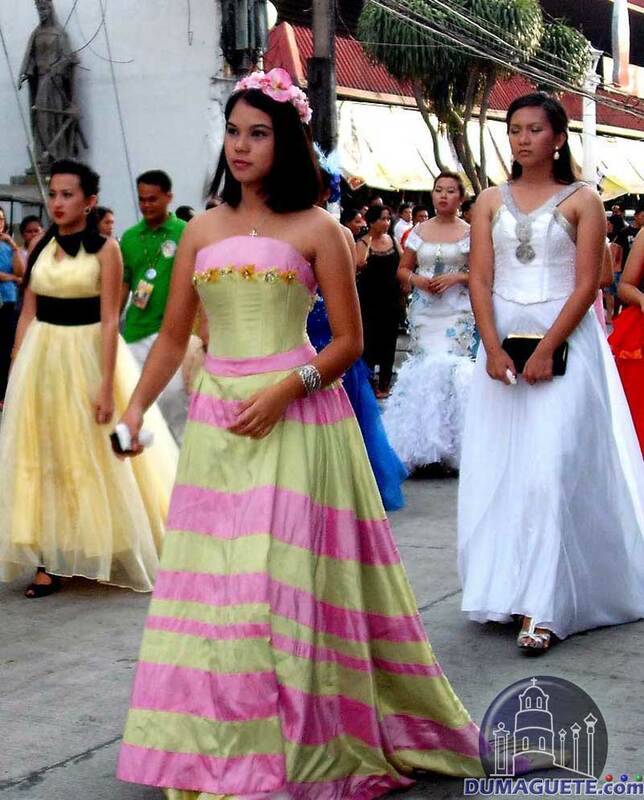 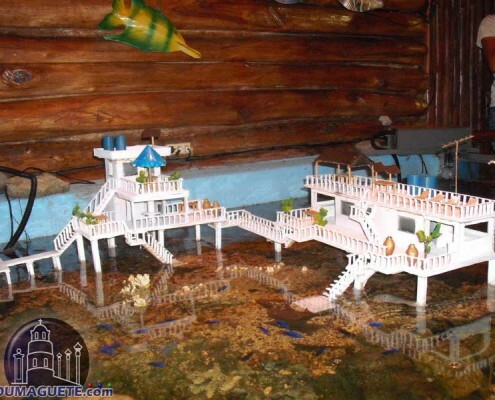 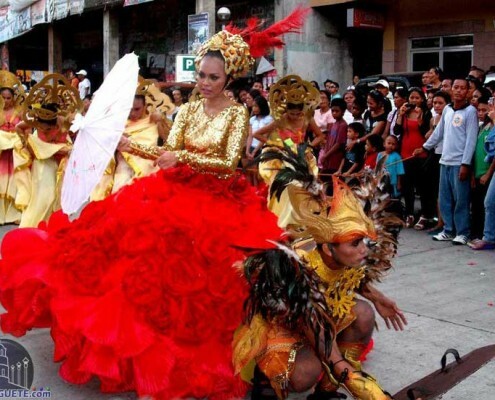 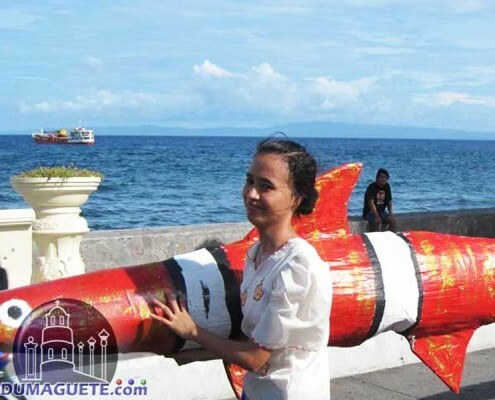 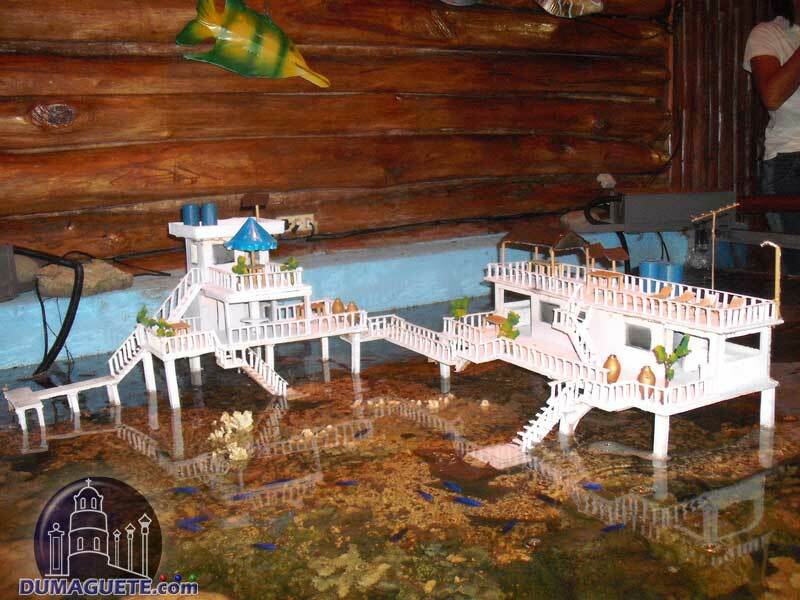 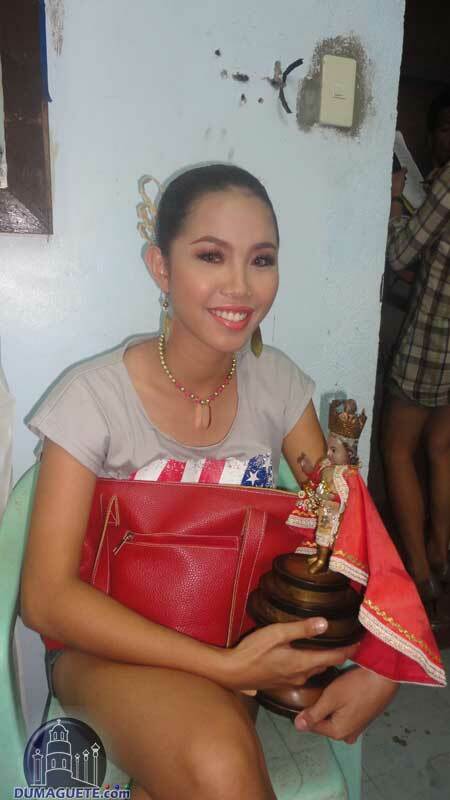 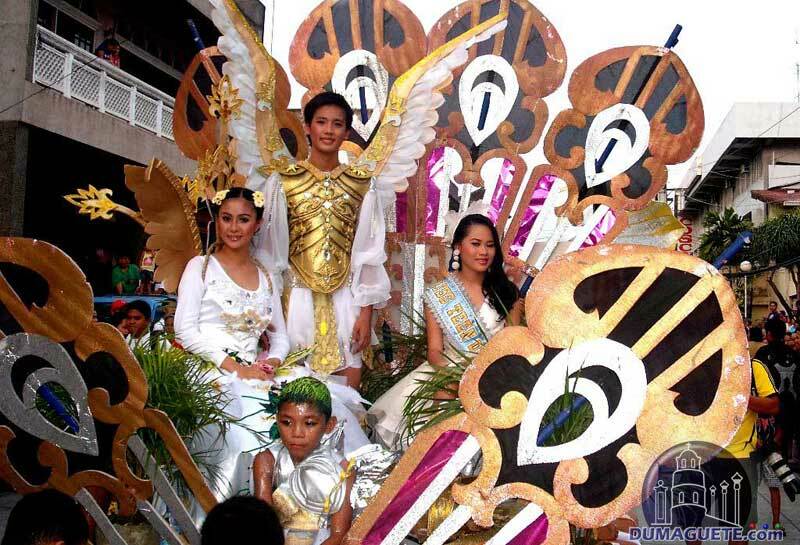 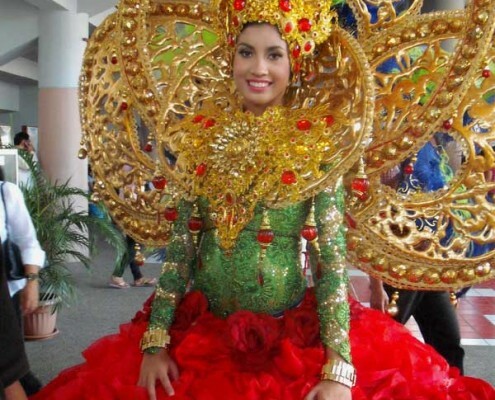 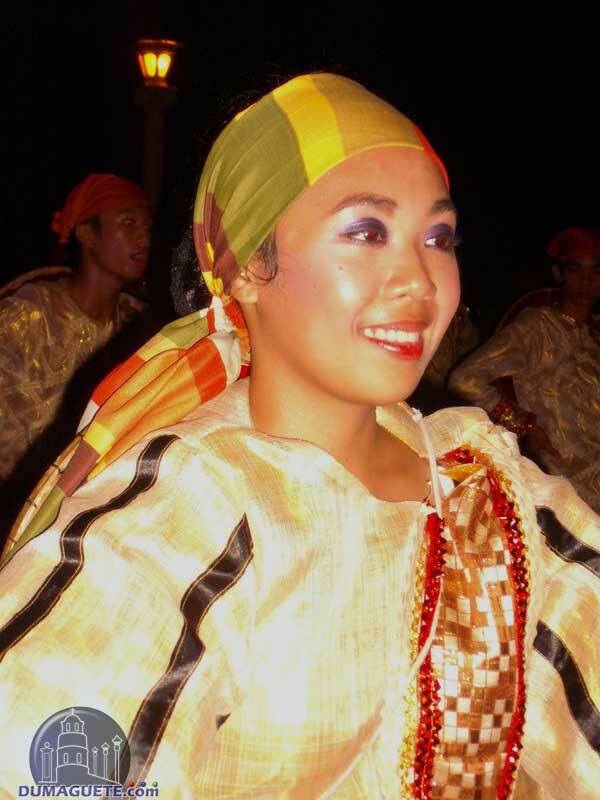 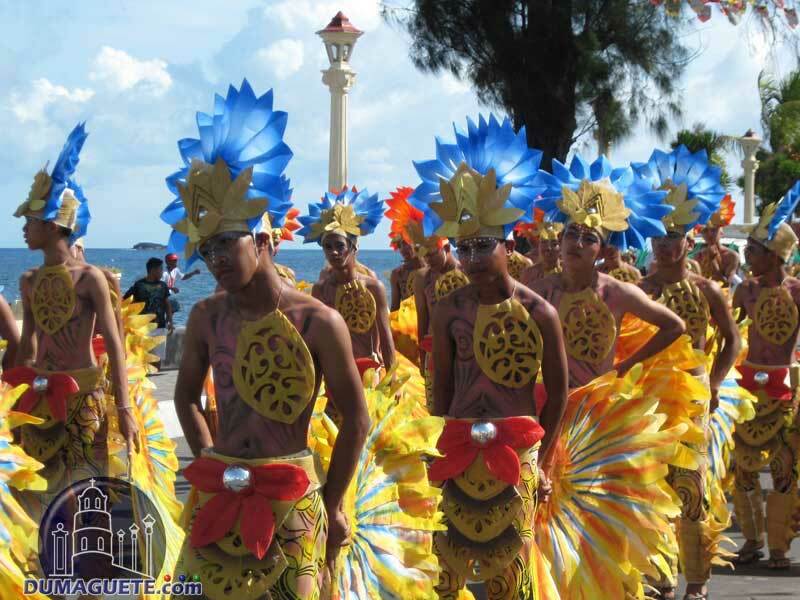 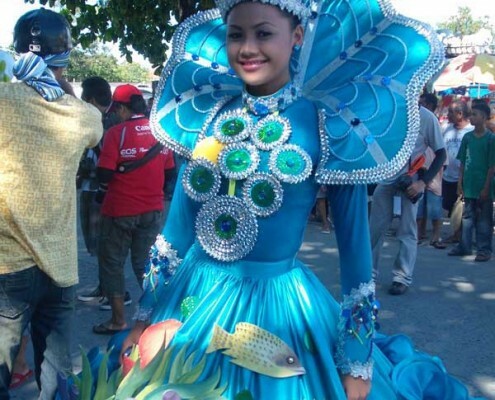 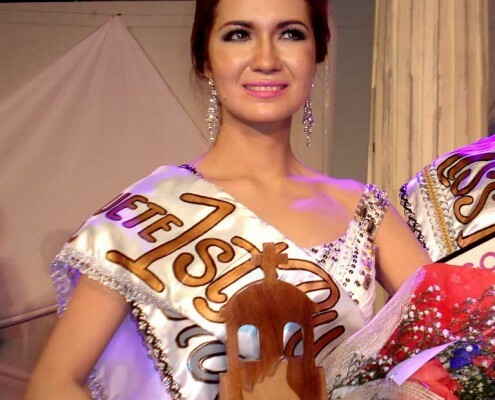 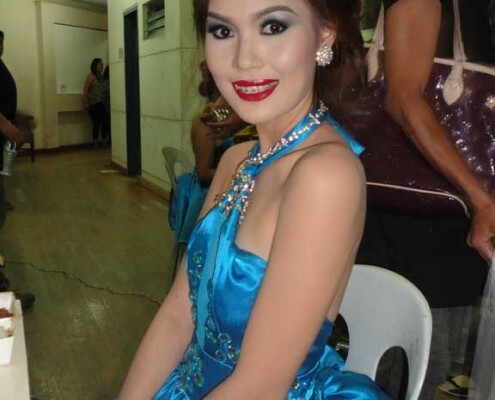 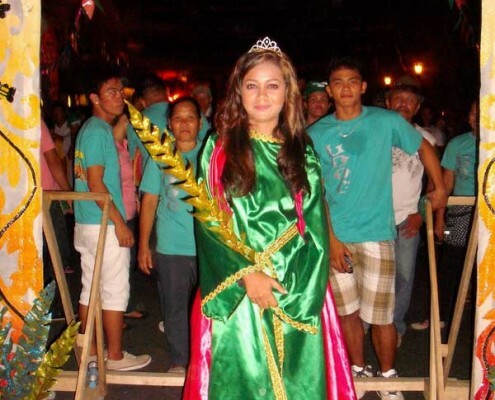 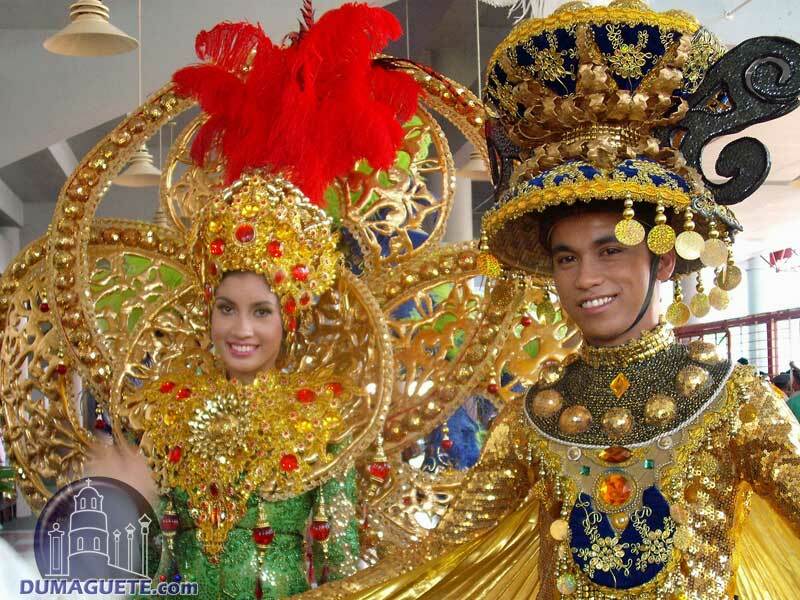 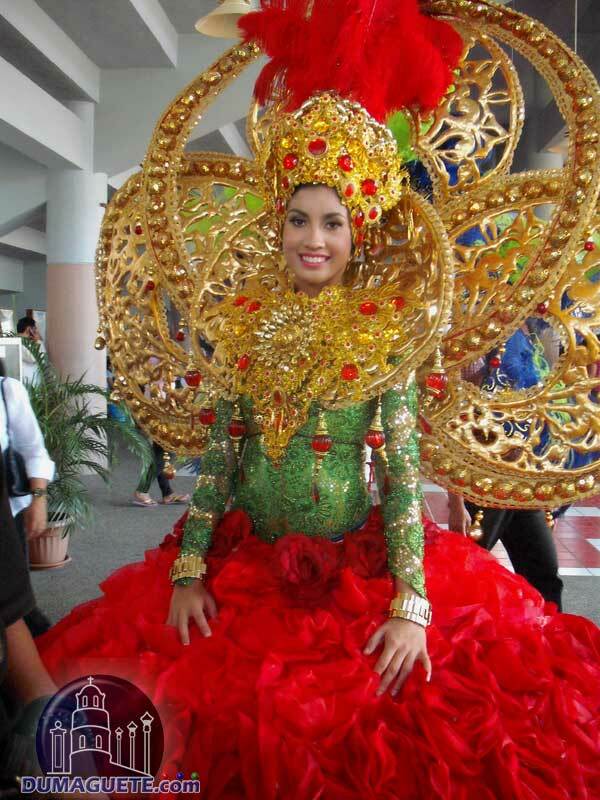 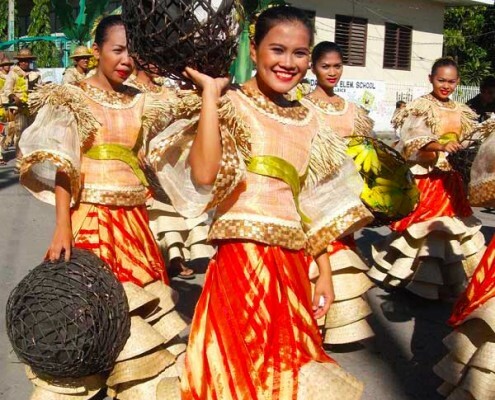 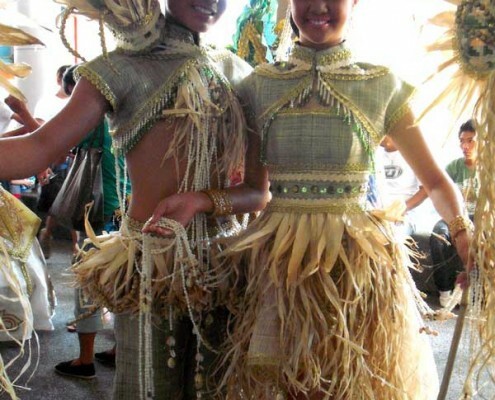 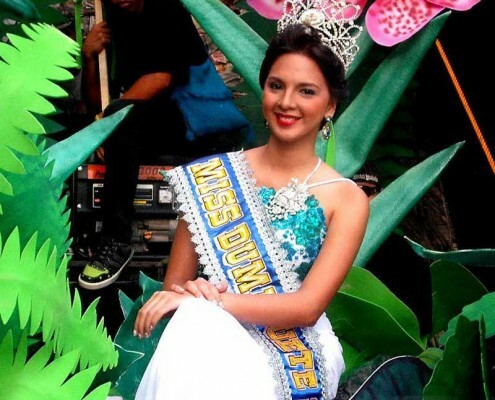 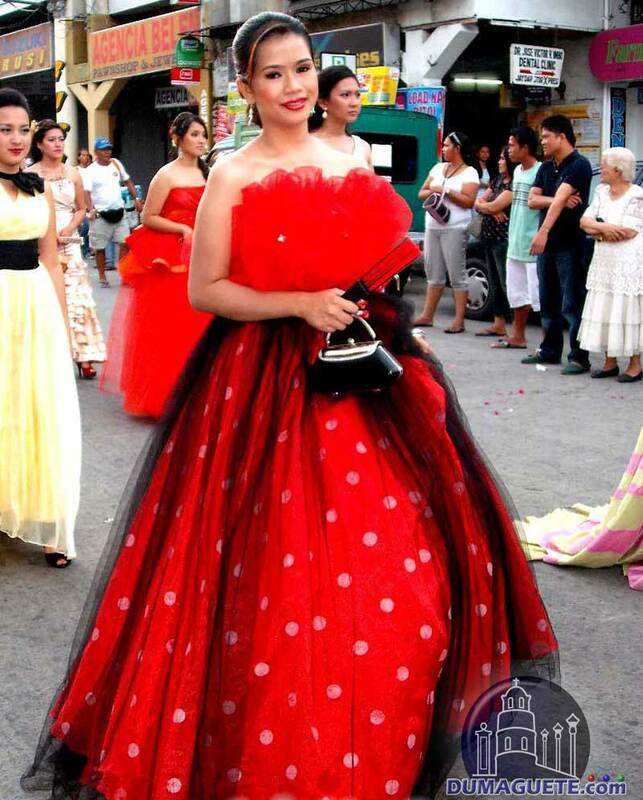 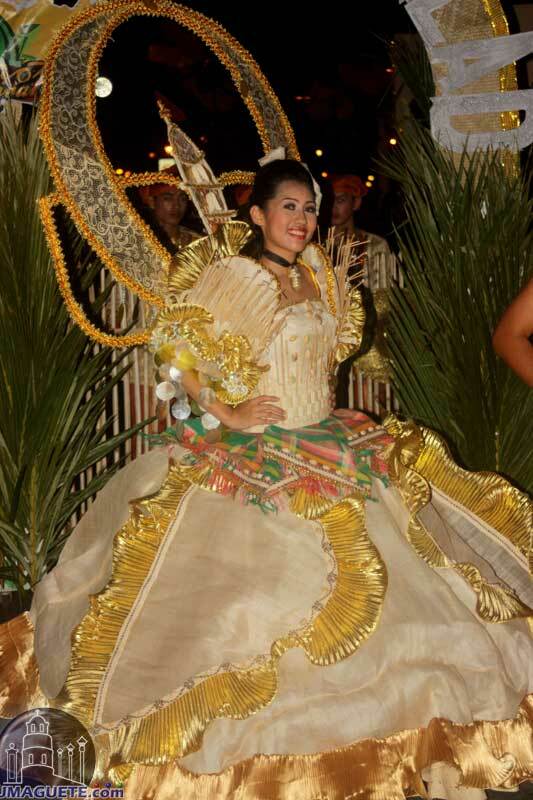 The Miss Dumaguete Beauty Pageant is without any doubts one of the highlights of each years Fiesta in Dumaguete. 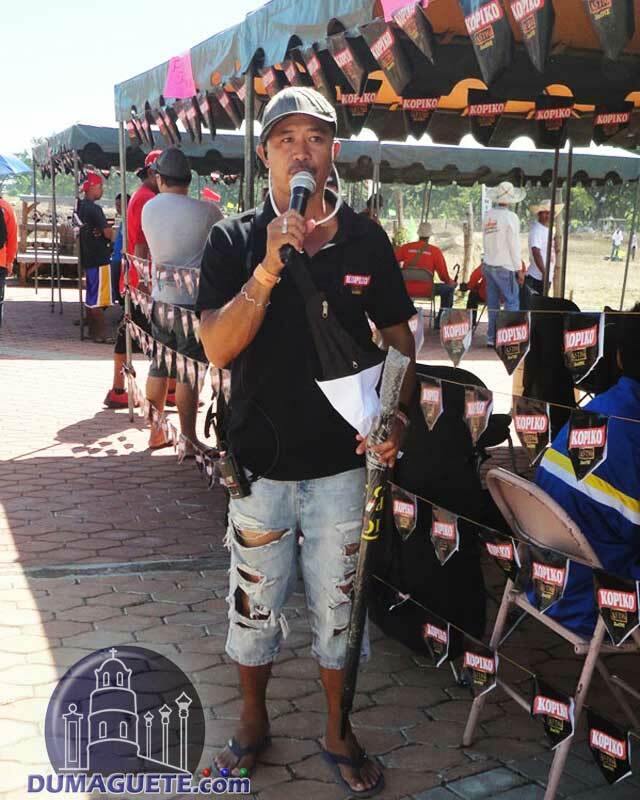 Like each year, the Macias Sports complex was filled with thousands of spectators, cheering for the candidates. 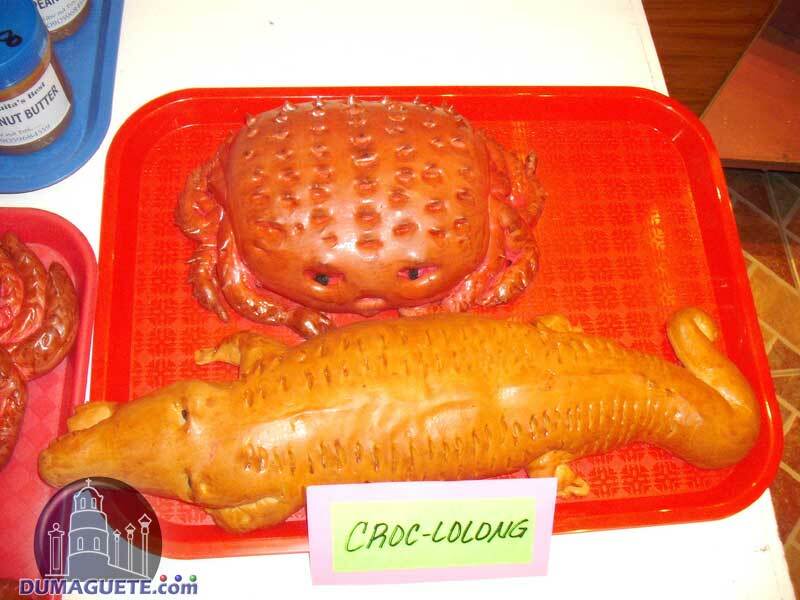 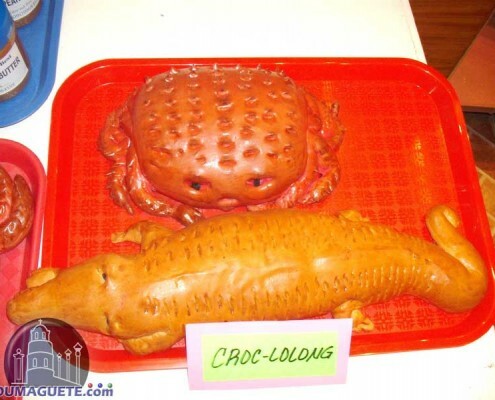 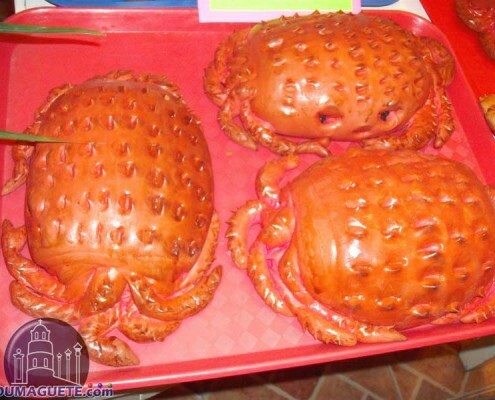 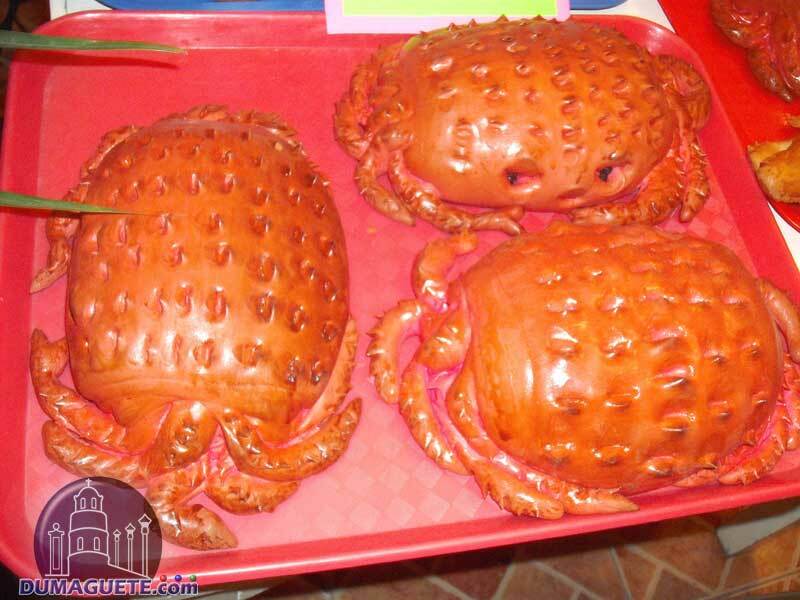 But before it got there, they all had to go through some weeks of screening and endless presentations. 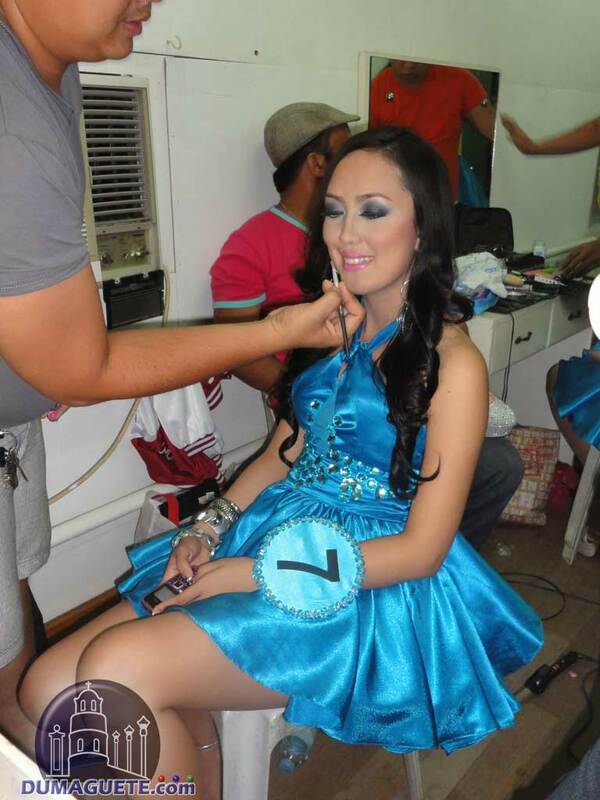 Before the lovely ladies entered the stage we were able to sneak backstage and take some snapshots during their preparation for the show. 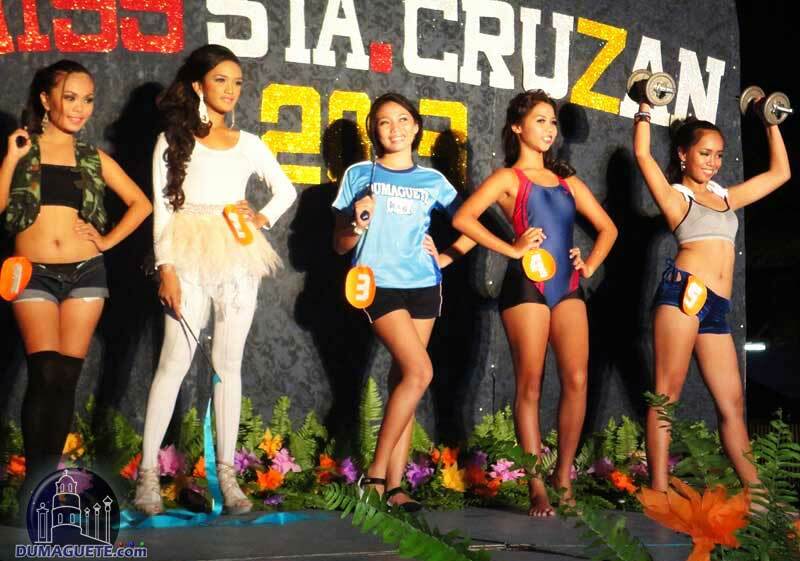 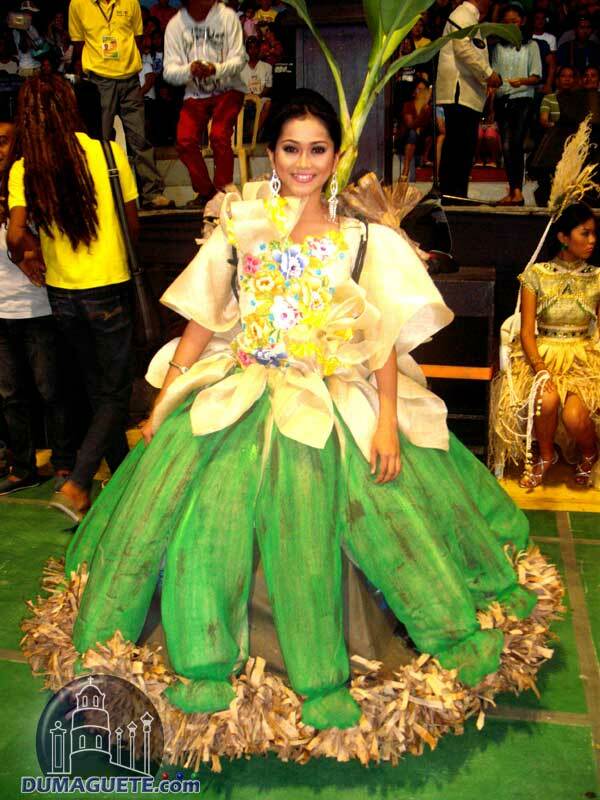 The Miss Dumaguete 2012 beauty pageant started with the production number followed by casual- and beachwear. 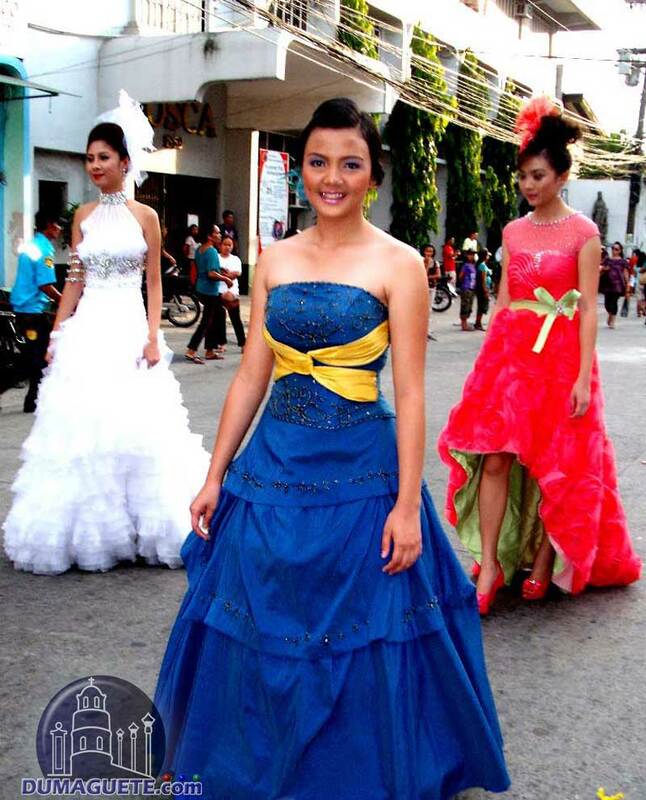 Finally the ten stunning candidates got into beautiful gowns for the last round and the awarding of all minor and major awards. 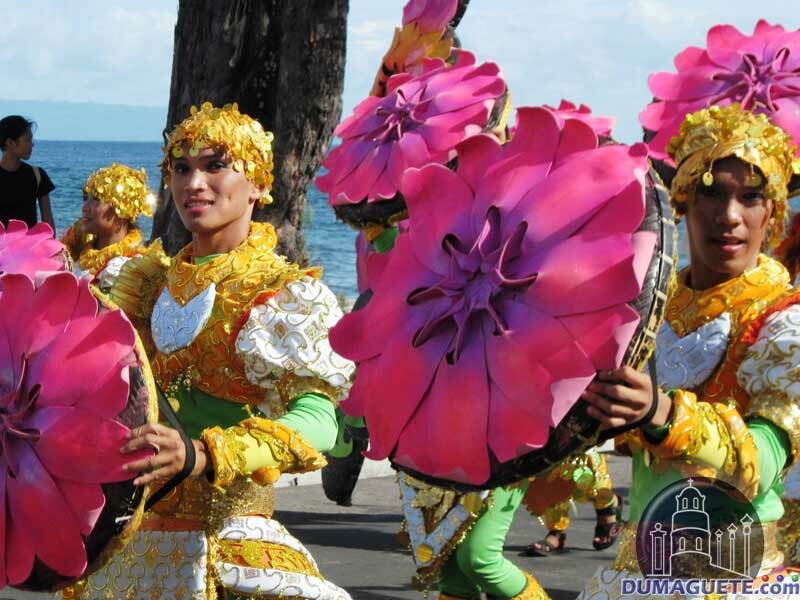 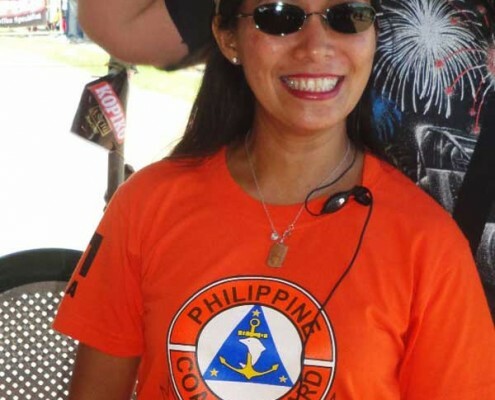 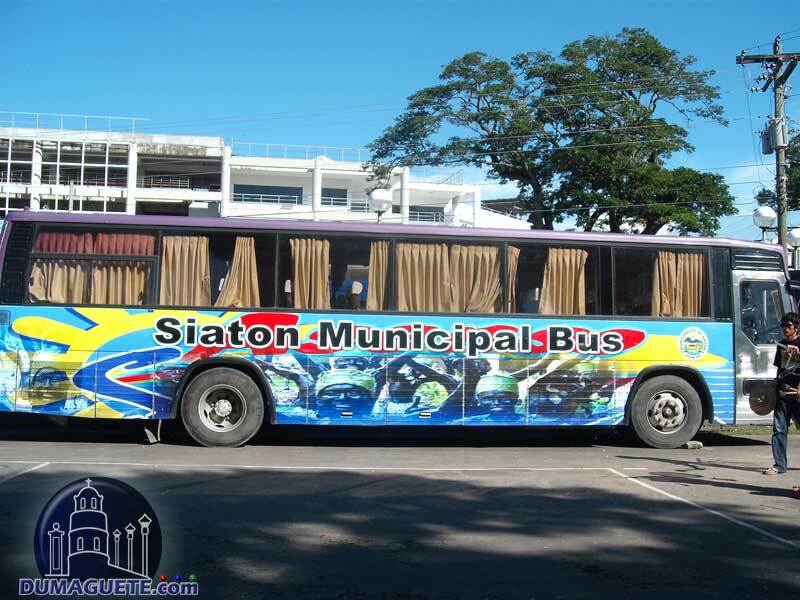 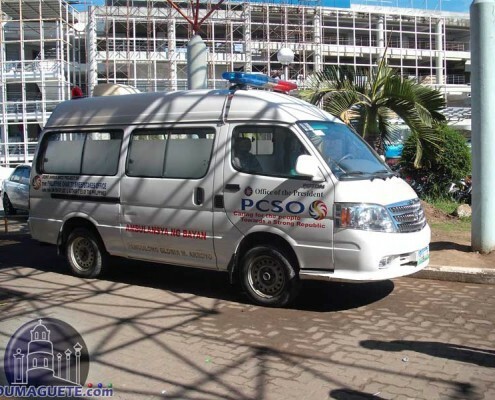 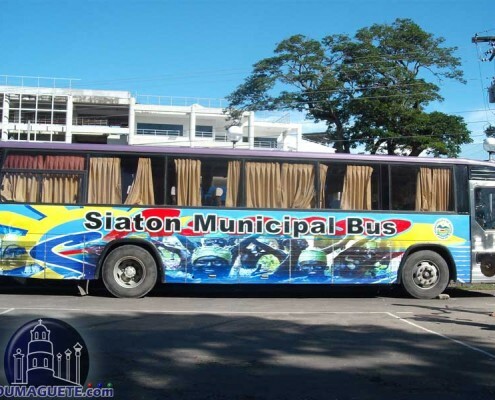 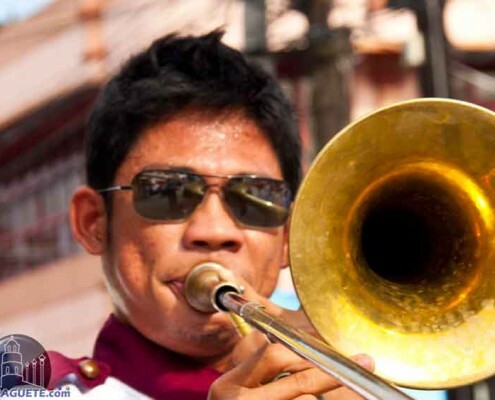 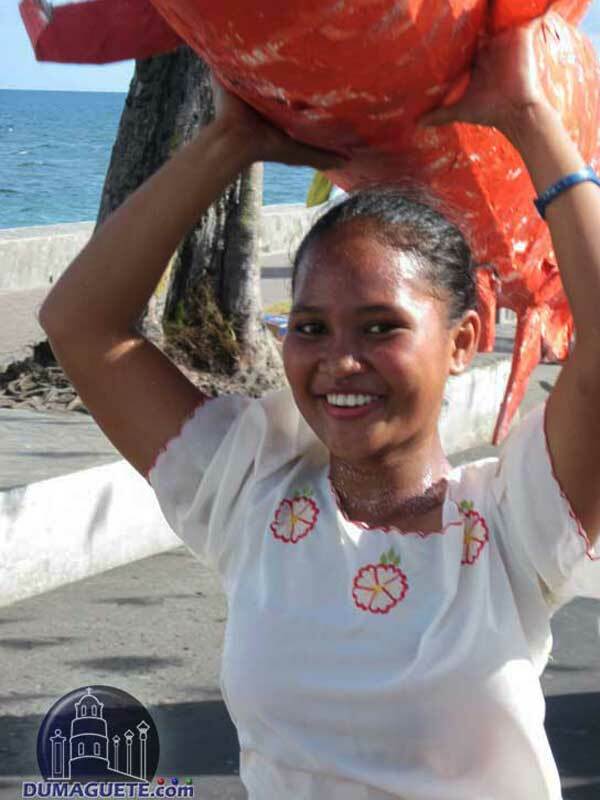 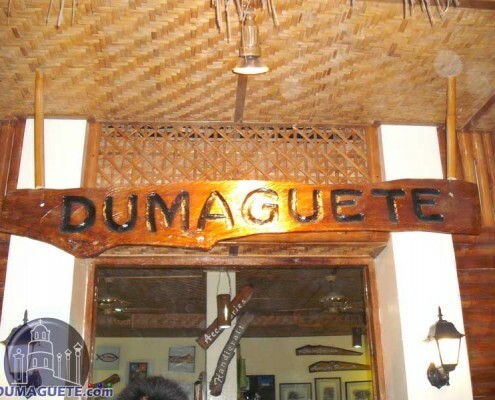 Dumaguete is also dubbed as the unofficial “Motorcycle Capital of the Philippines“. It is therefore not surprising that the City has an active Motocross Scene. 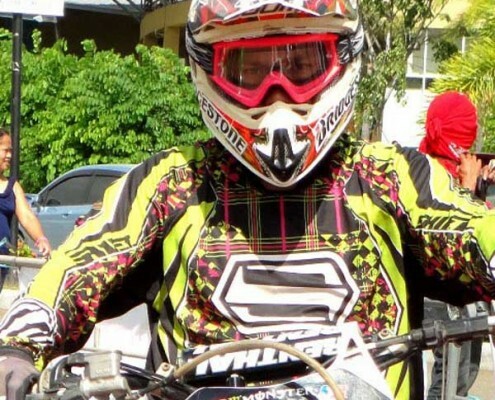 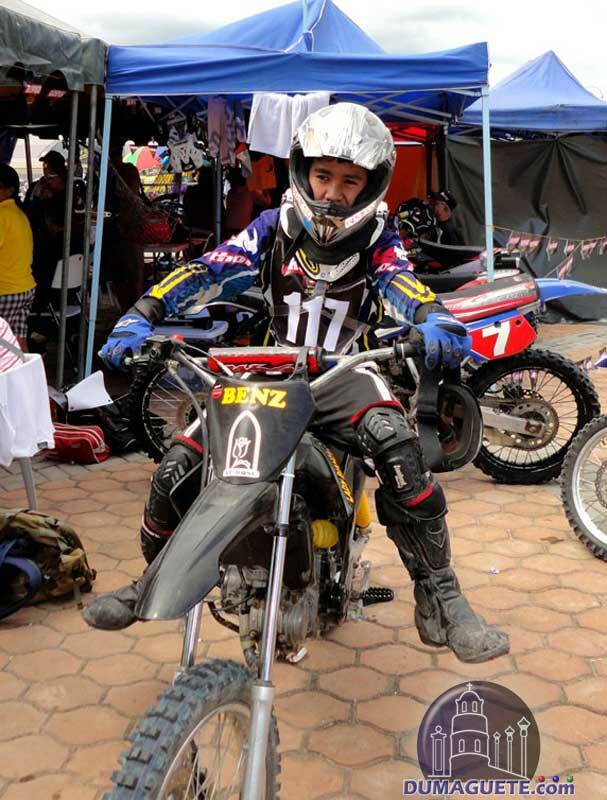 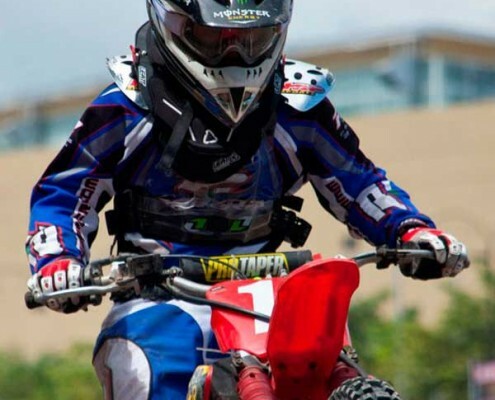 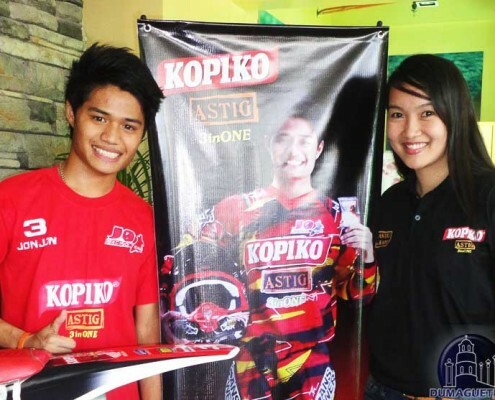 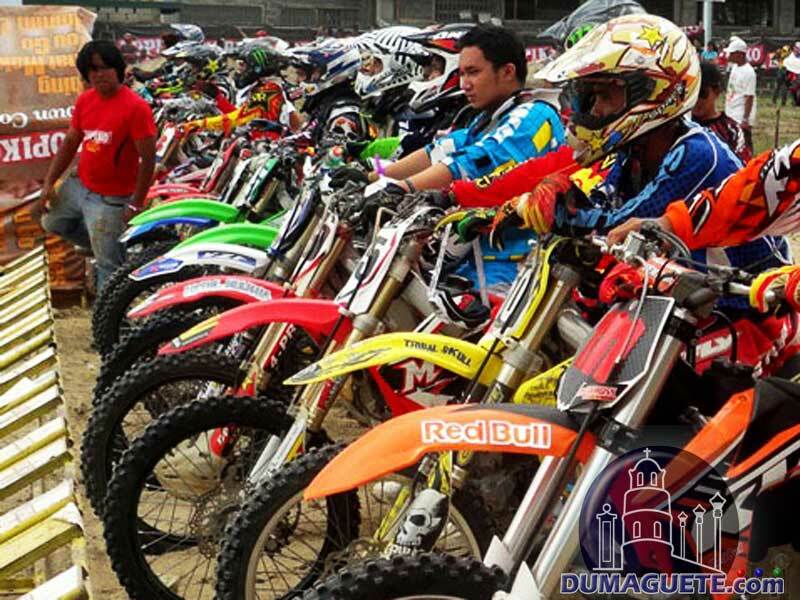 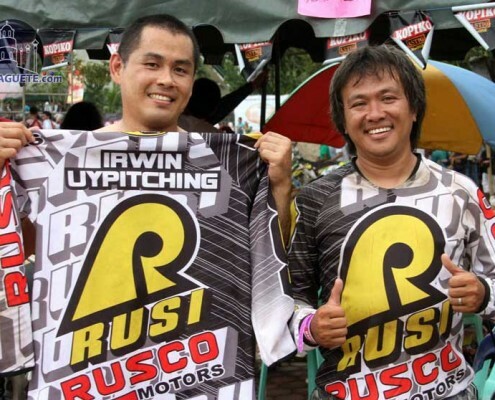 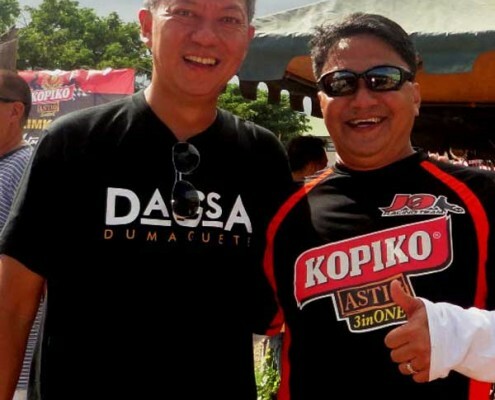 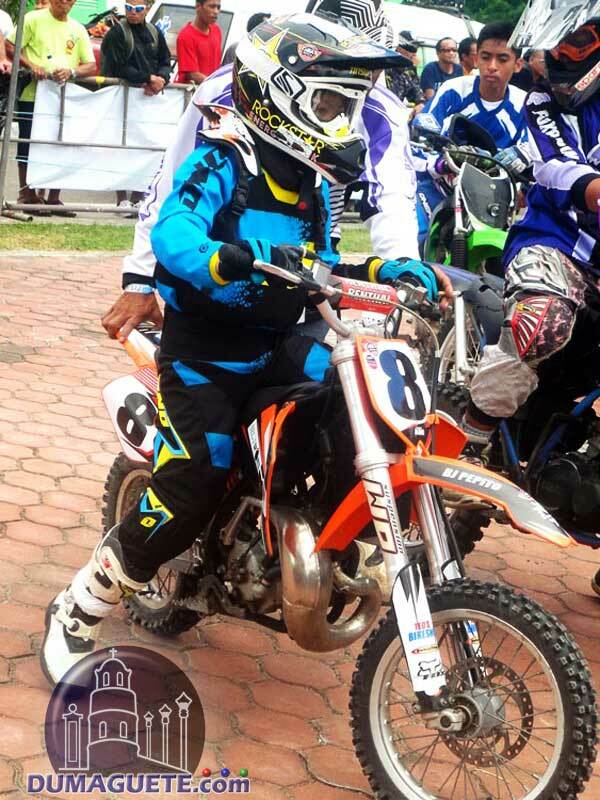 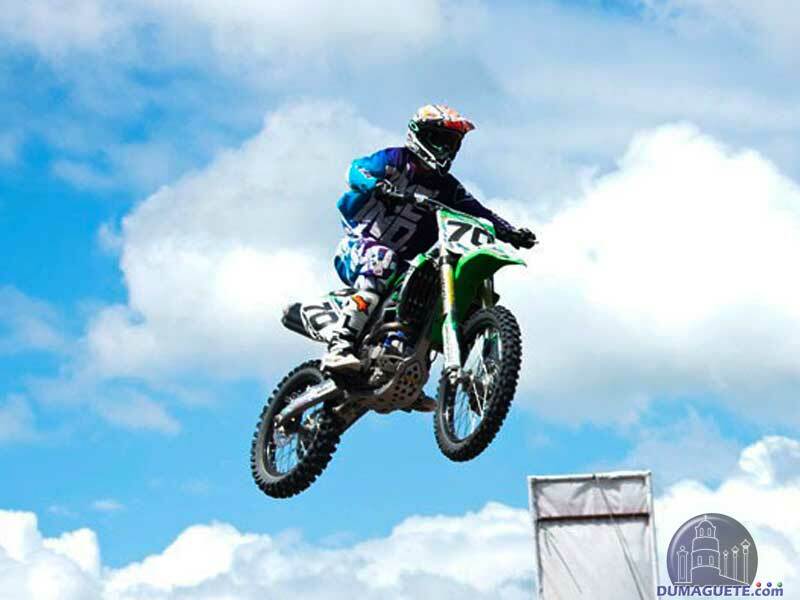 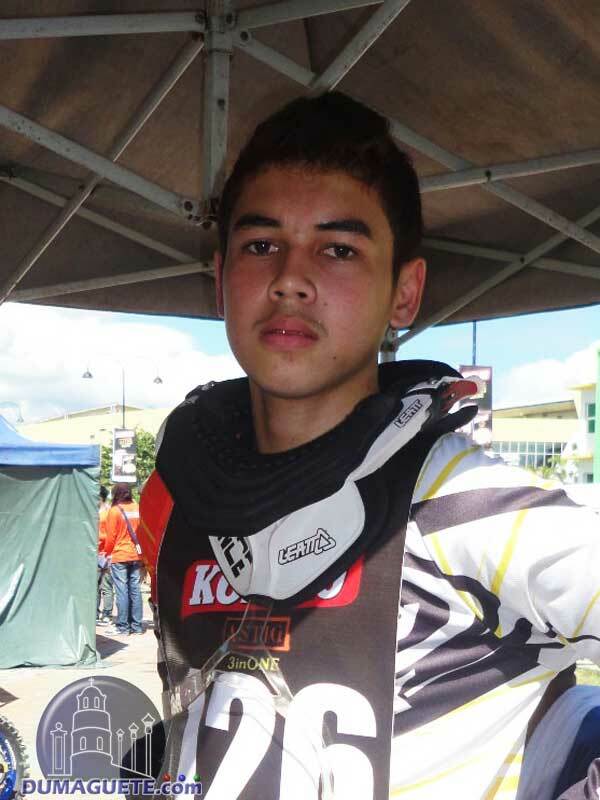 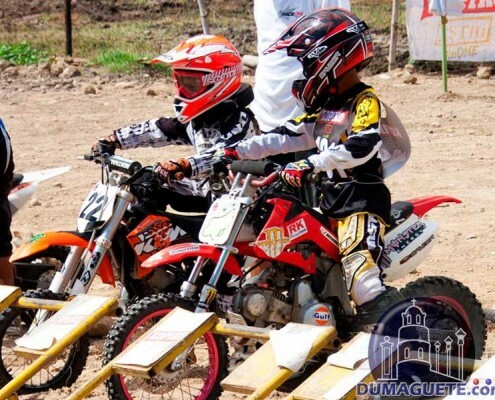 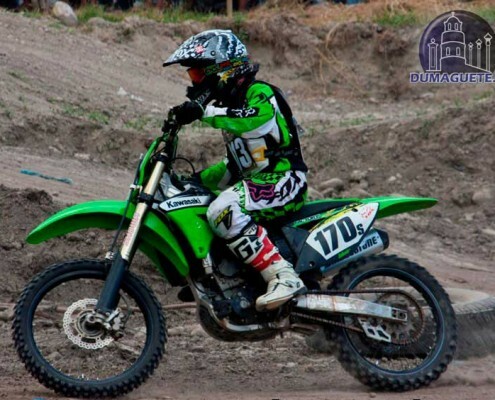 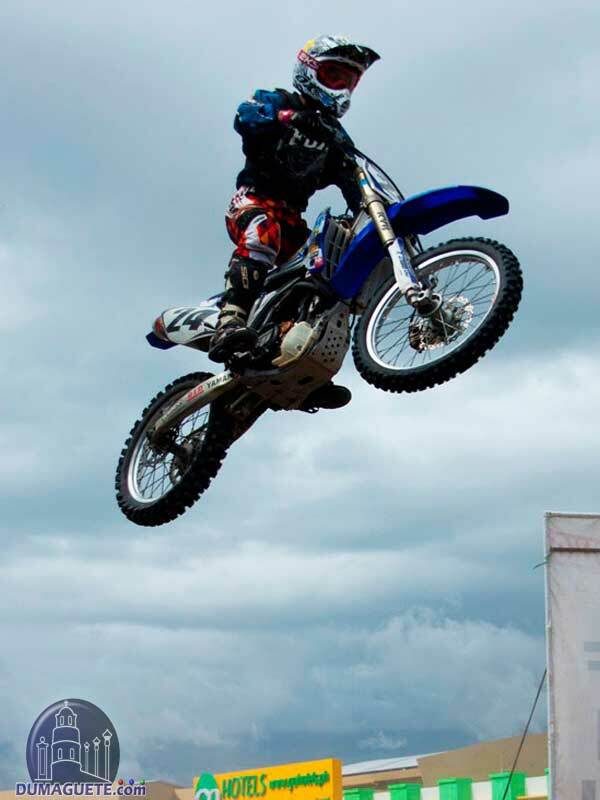 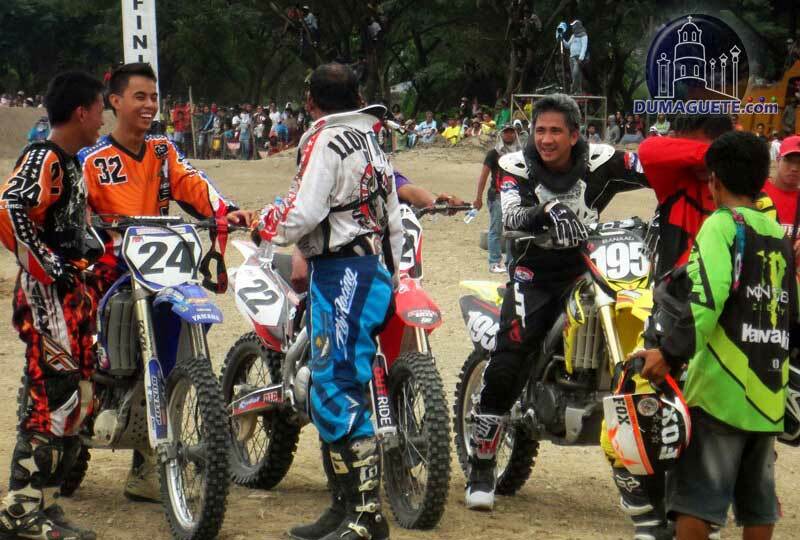 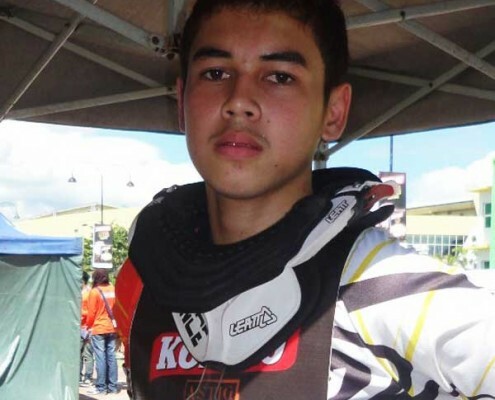 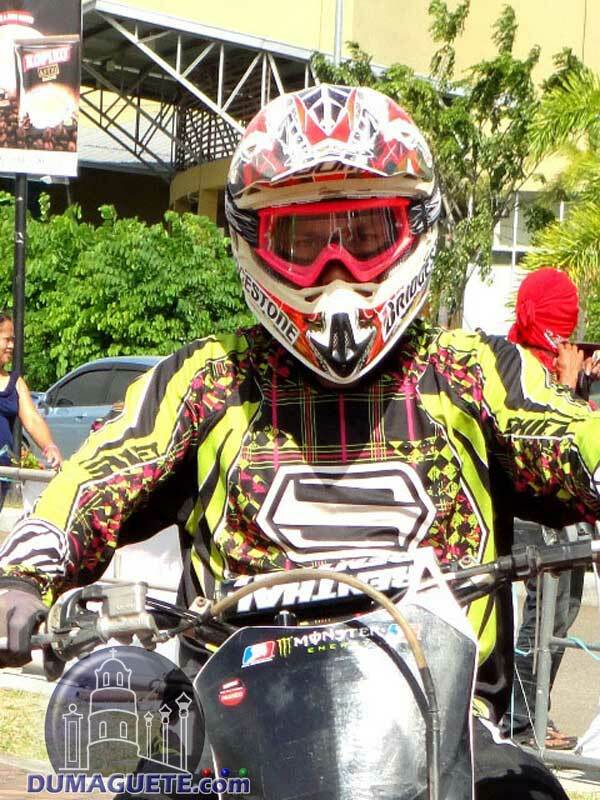 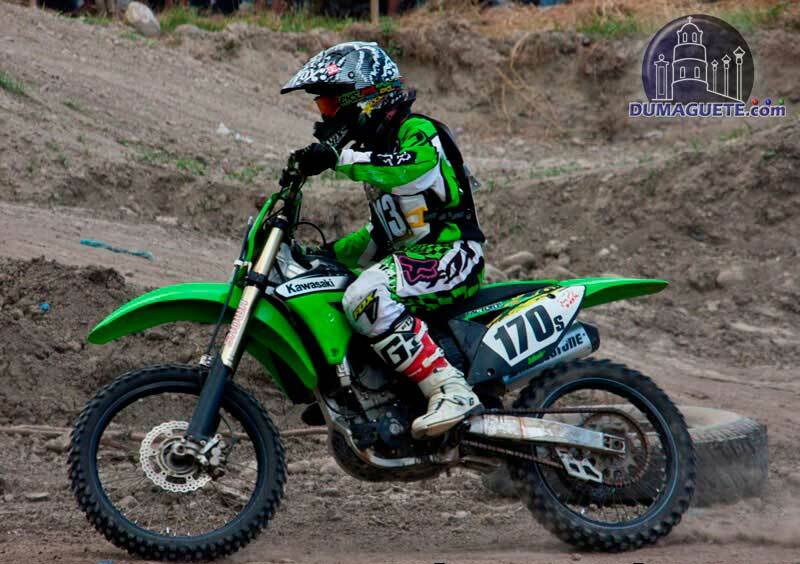 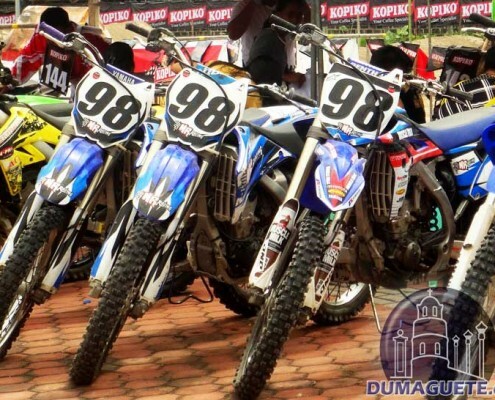 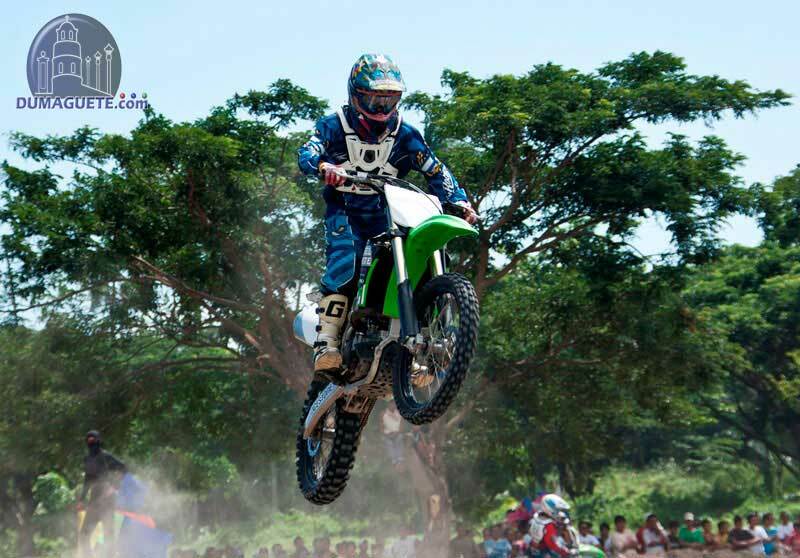 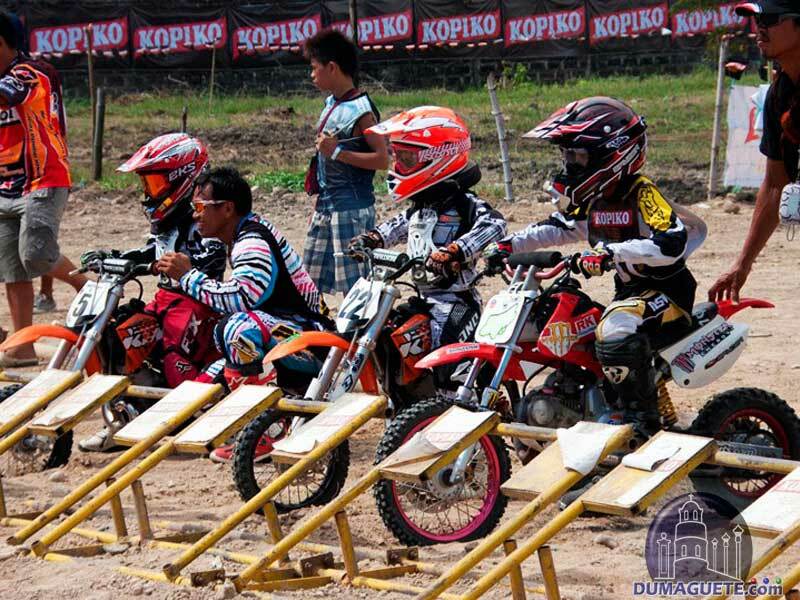 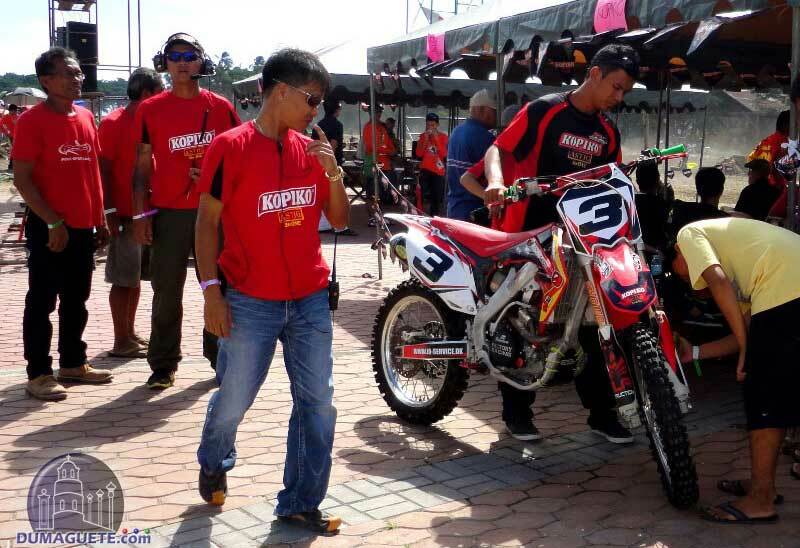 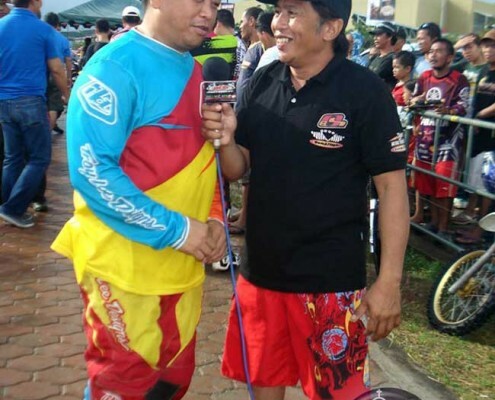 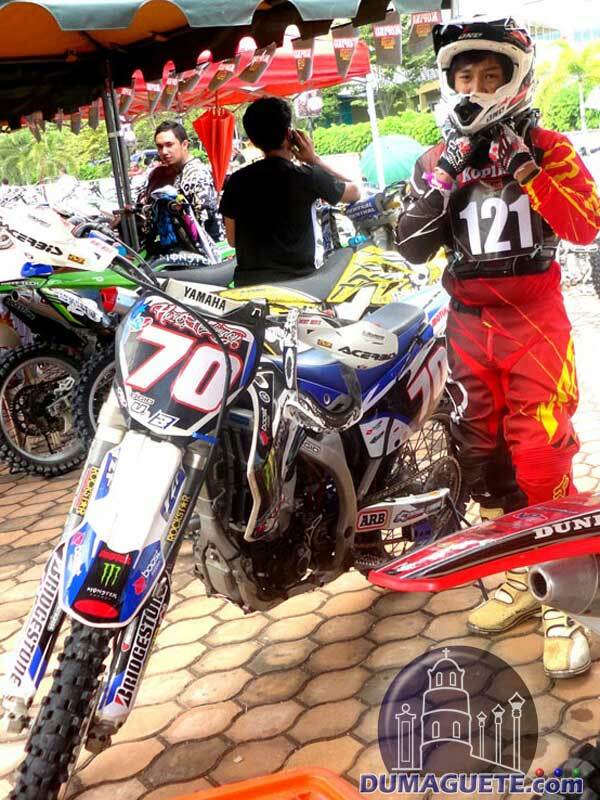 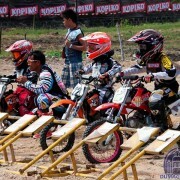 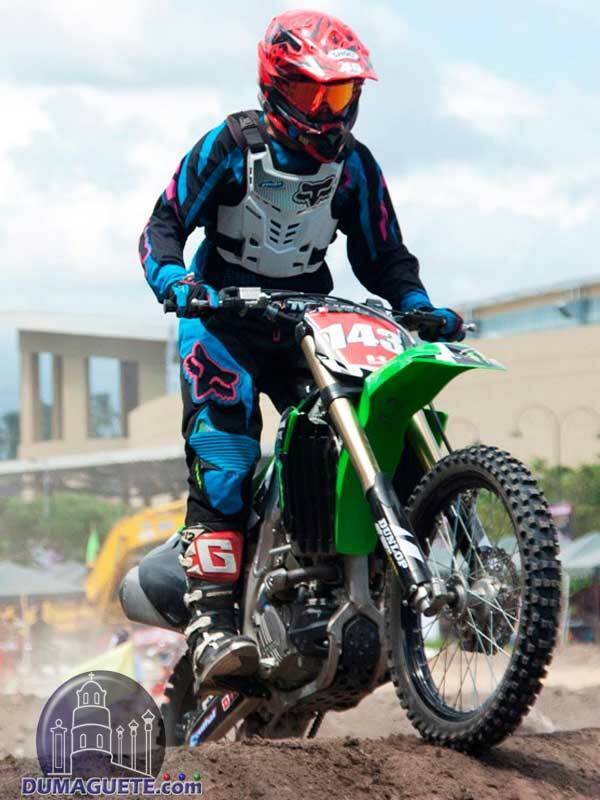 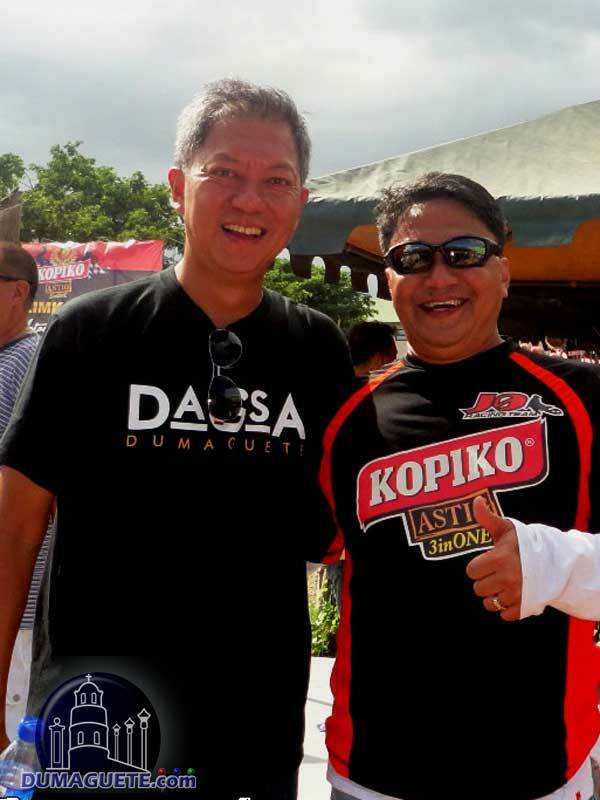 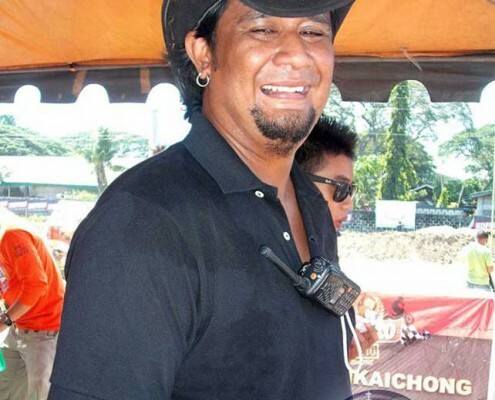 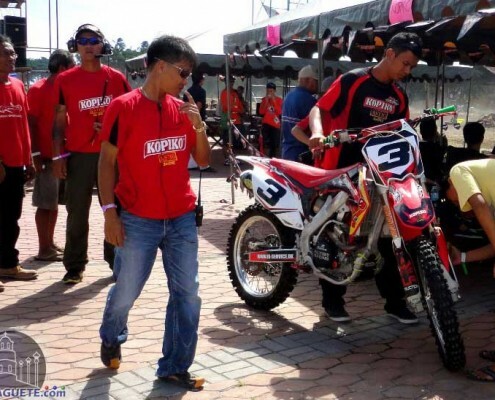 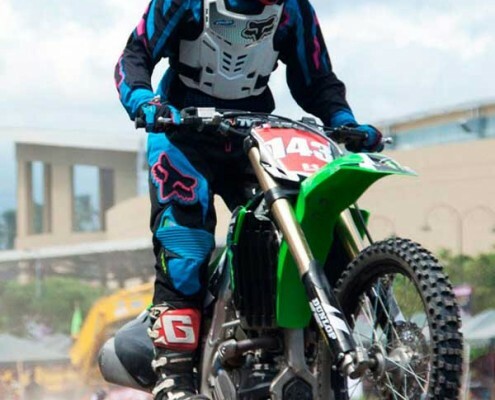 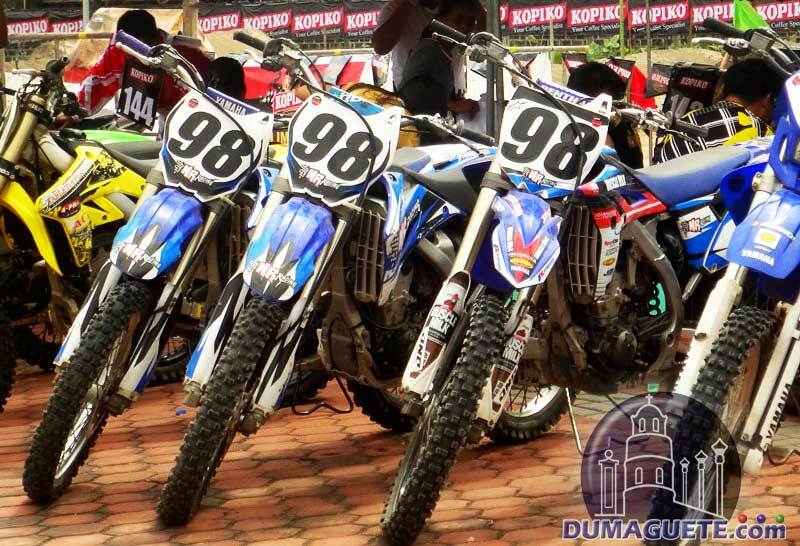 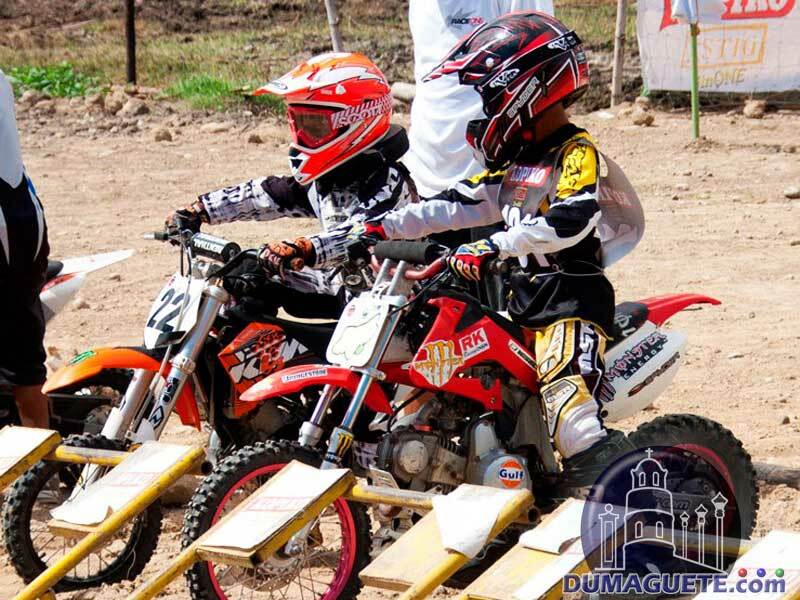 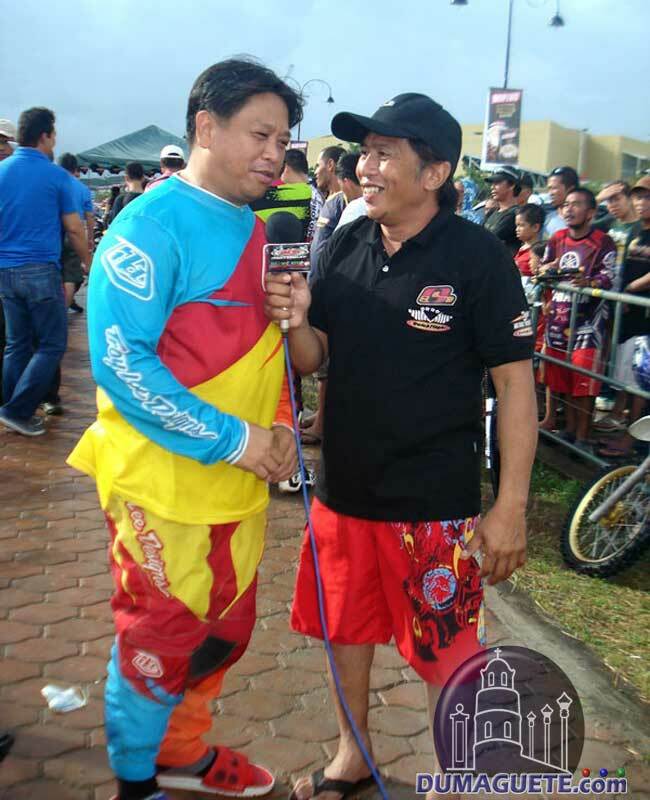 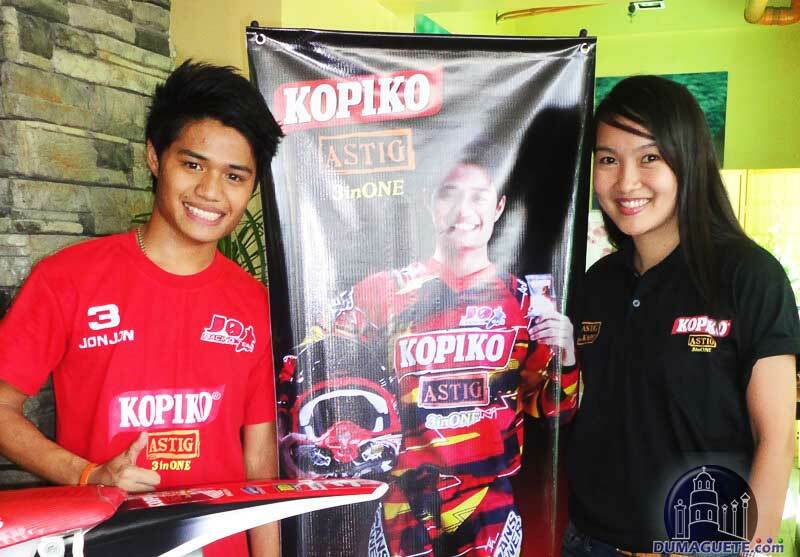 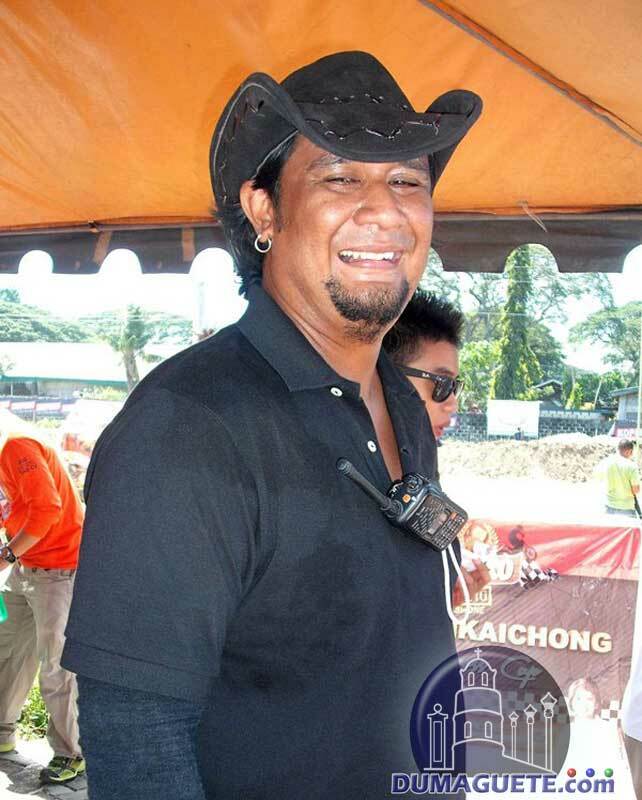 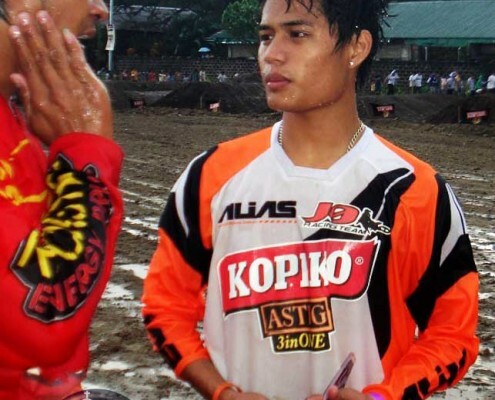 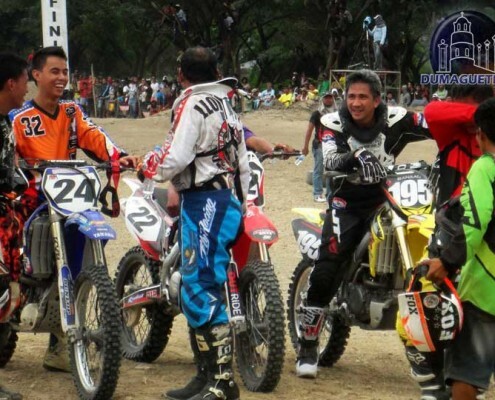 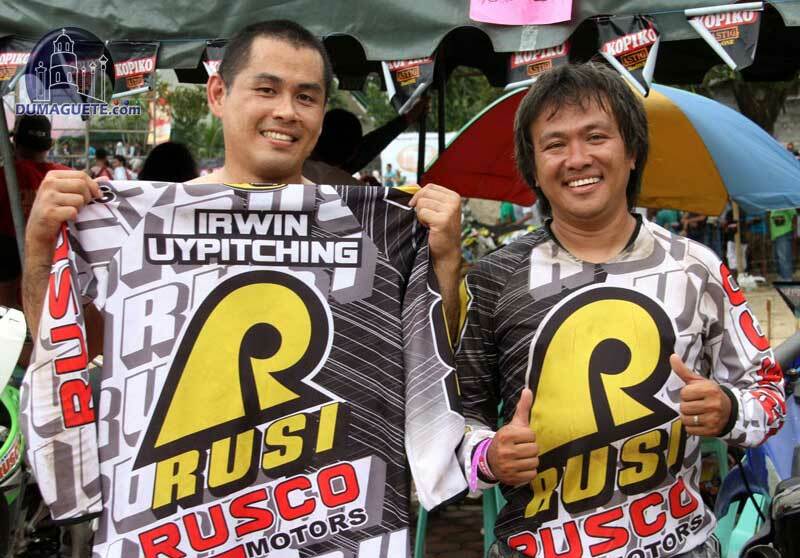 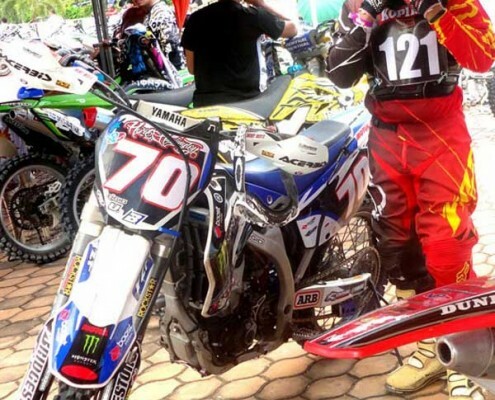 Several Motocross events are taking place in Dumaguete and Negros all around the year. 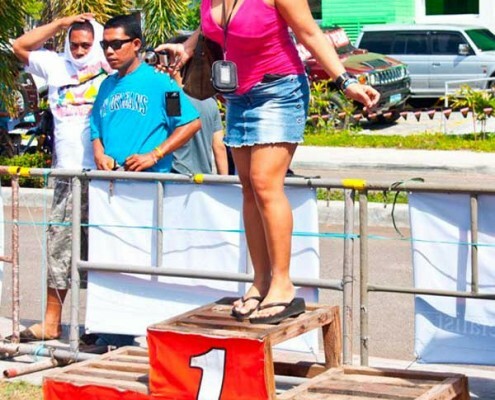 Thousands of spectators along the racetrack cheering for their favorites and getting excited. 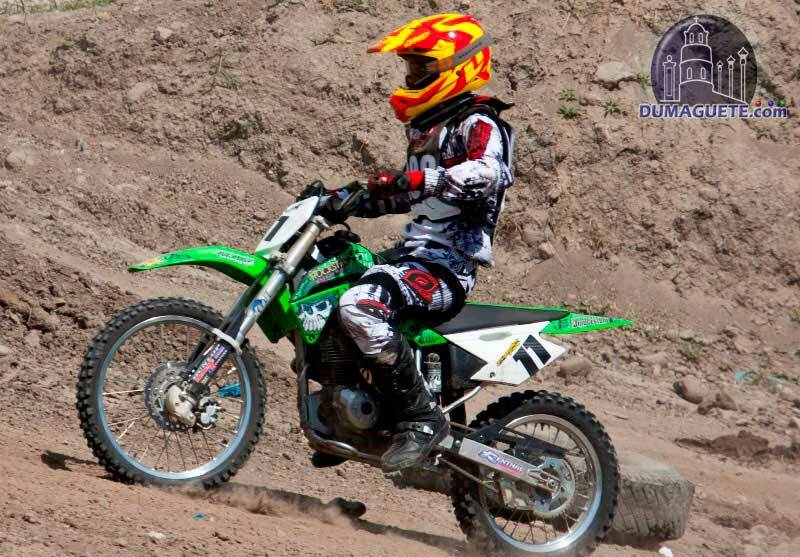 Each event has different categories, from Junior Motocross on their small bikes to semi-pros on their high-tech racing machines. 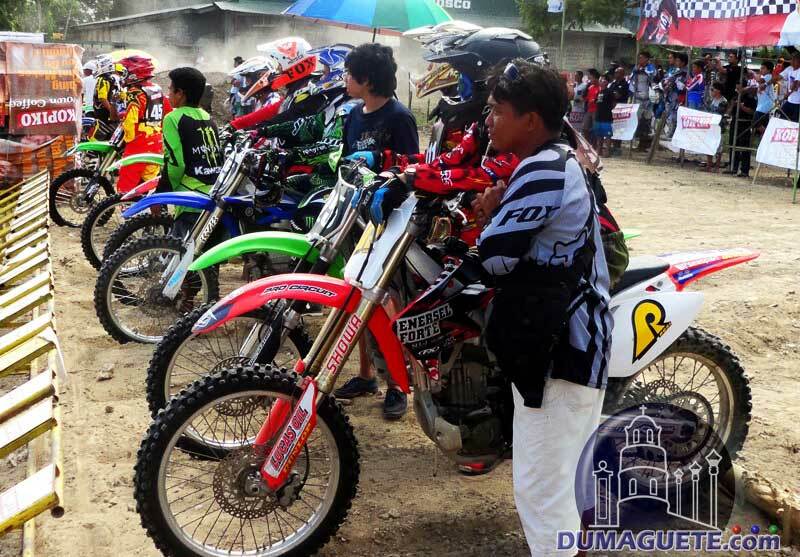 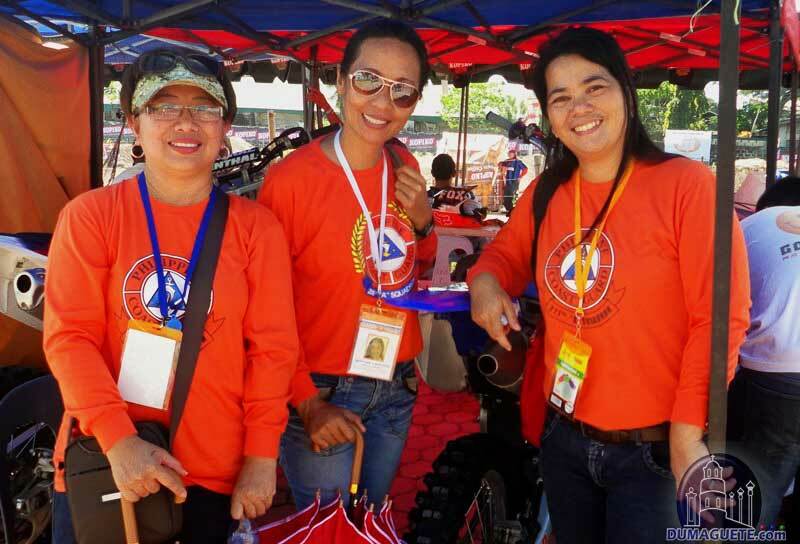 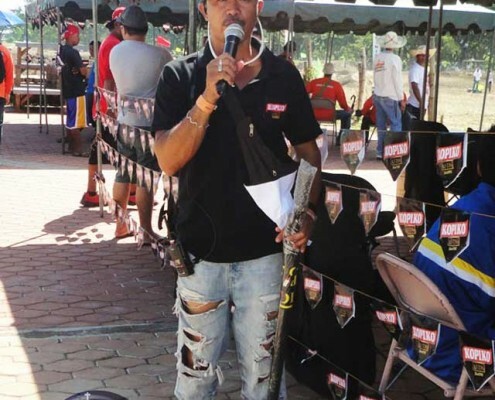 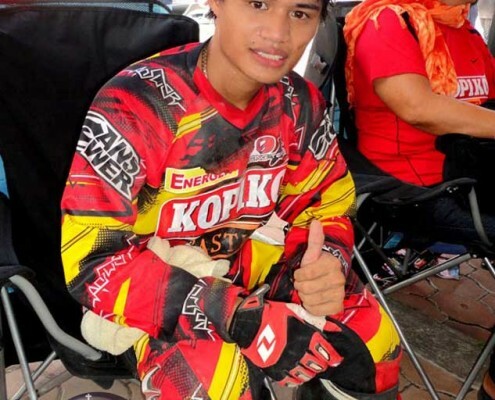 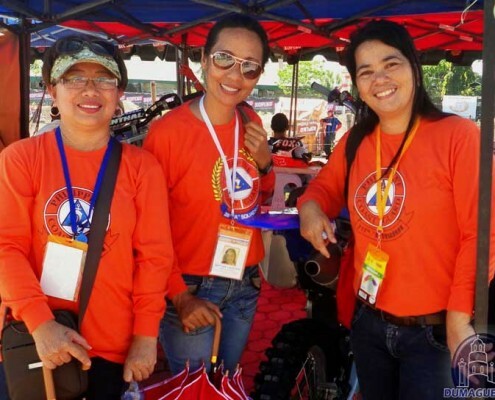 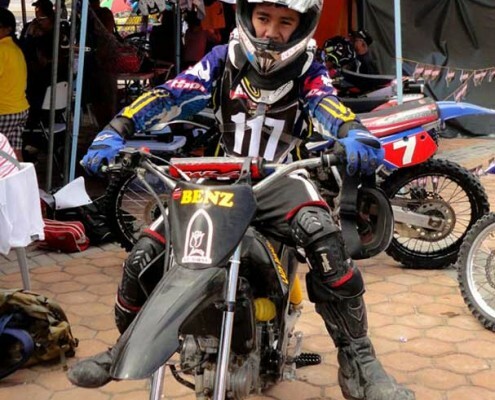 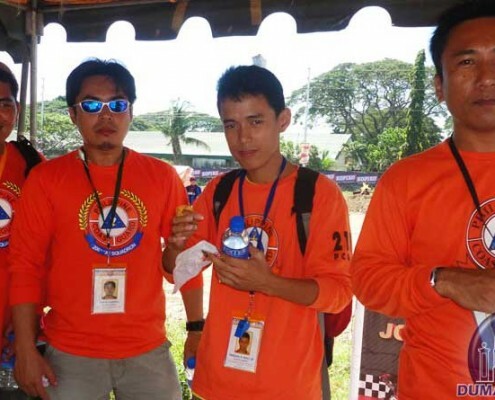 The smell of gasoline, the noise, the tension which can be felt everywhere puts all what a motorsport event needs can be found at the Motocross Events in Dumaguete. 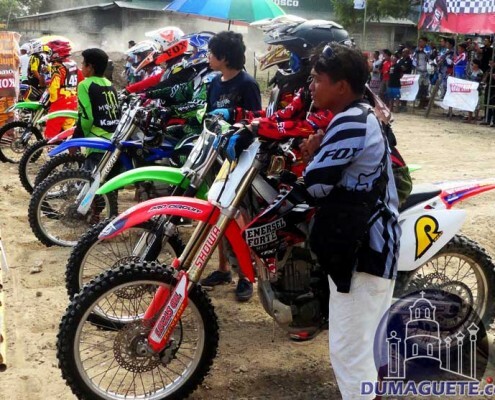 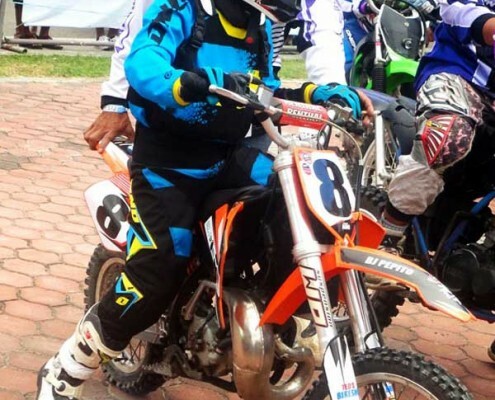 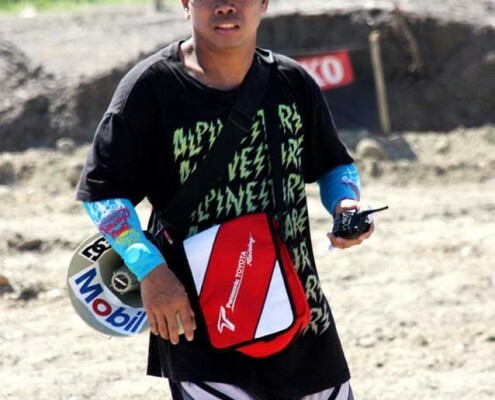 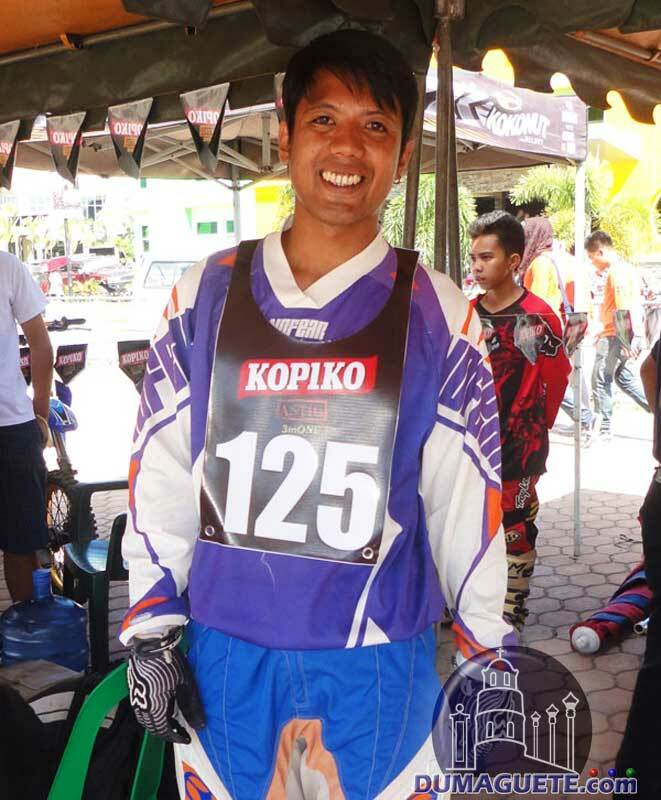 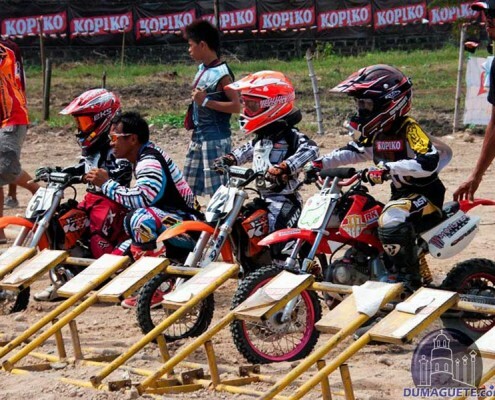 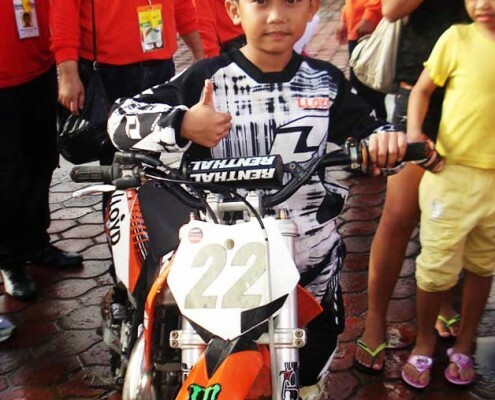 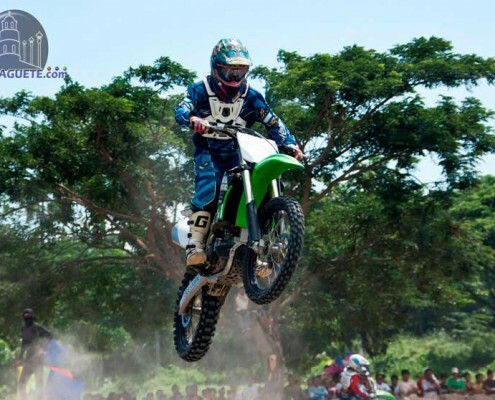 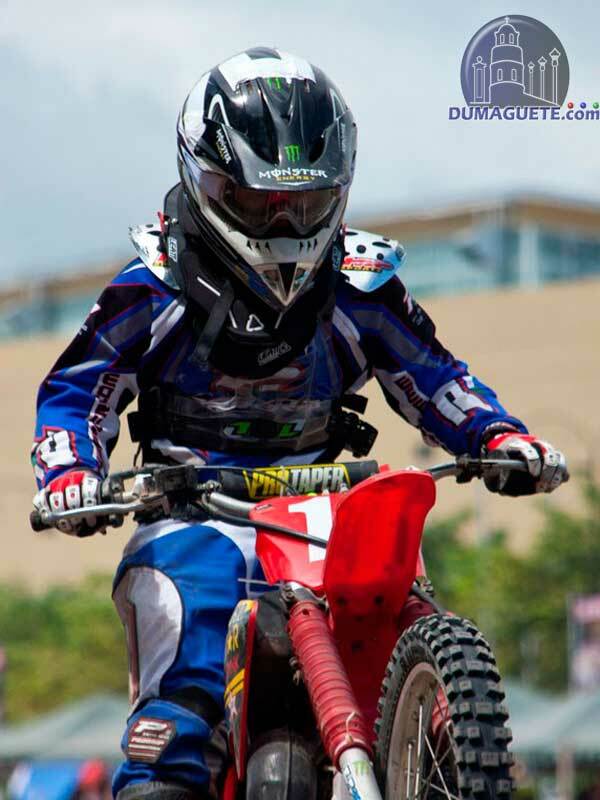 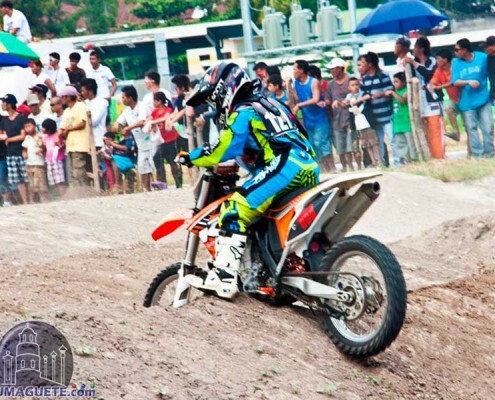 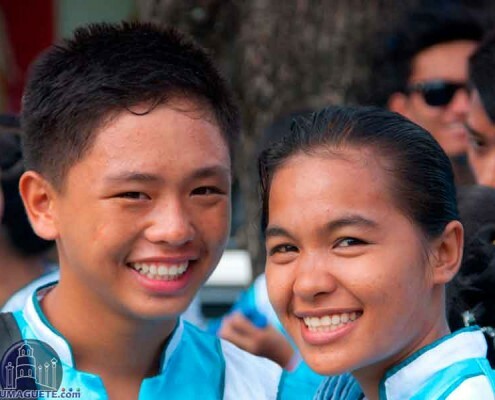 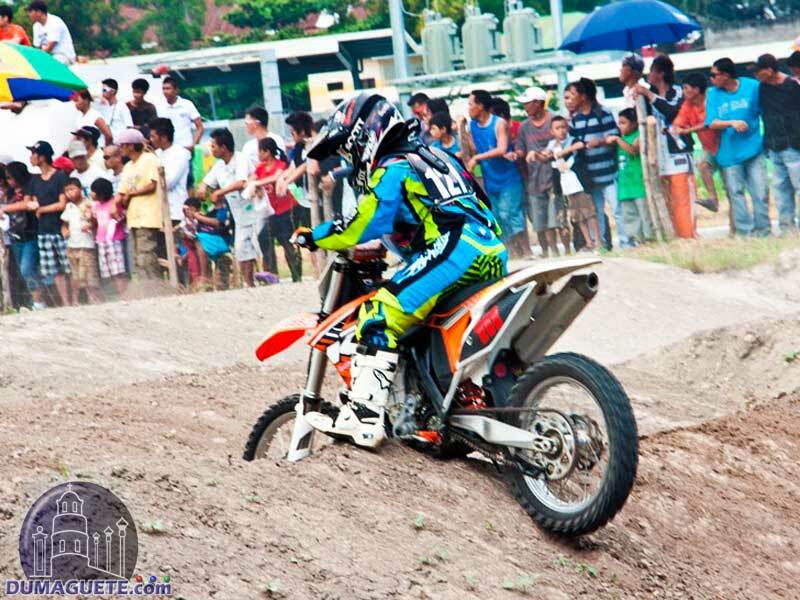 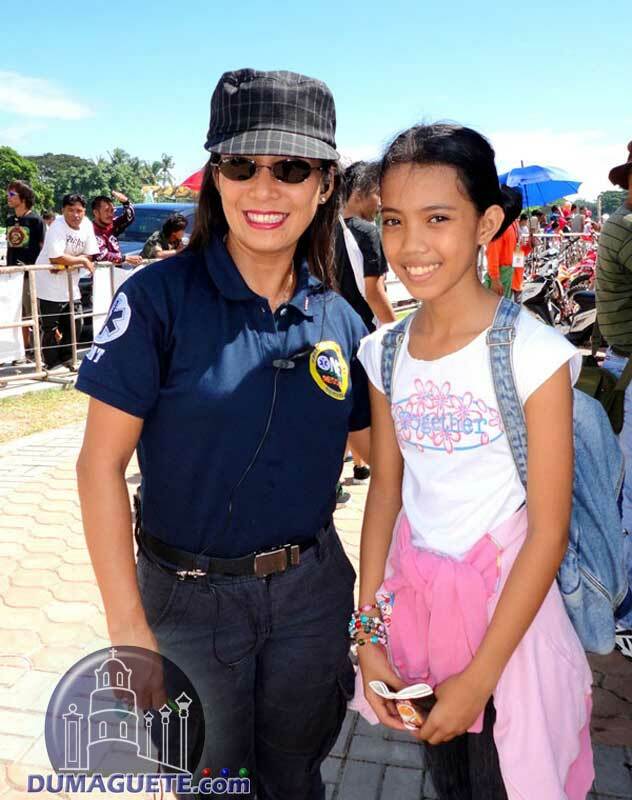 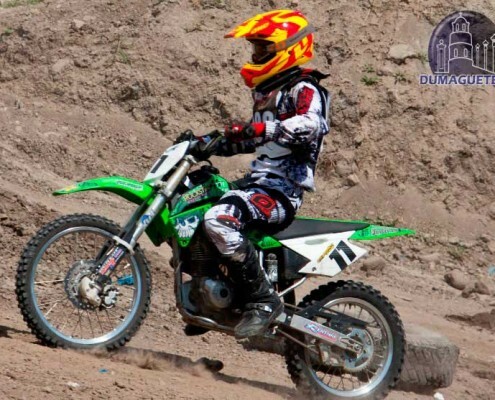 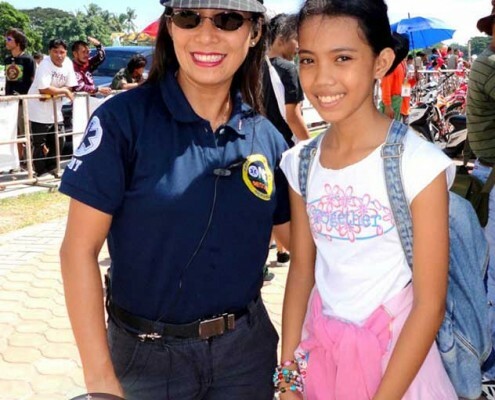 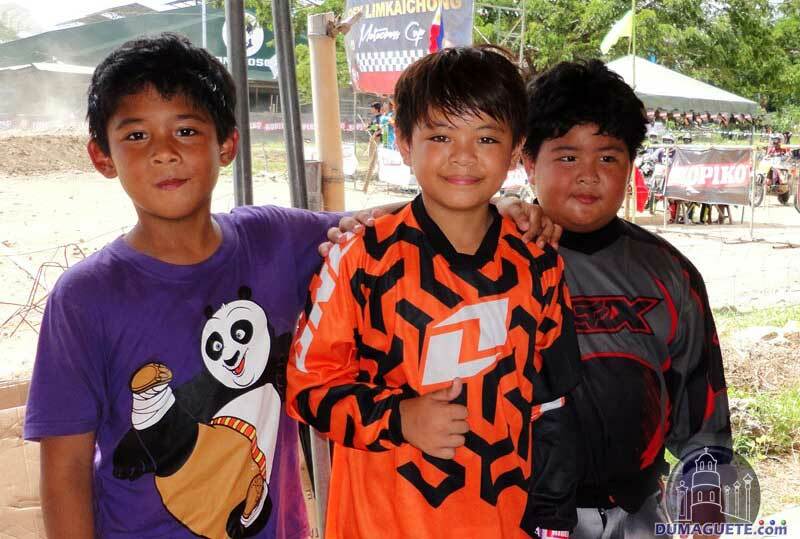 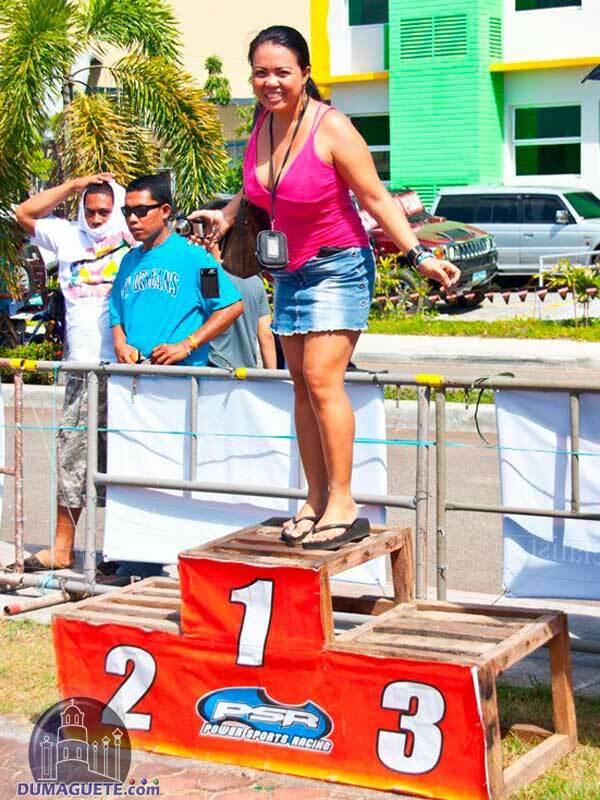 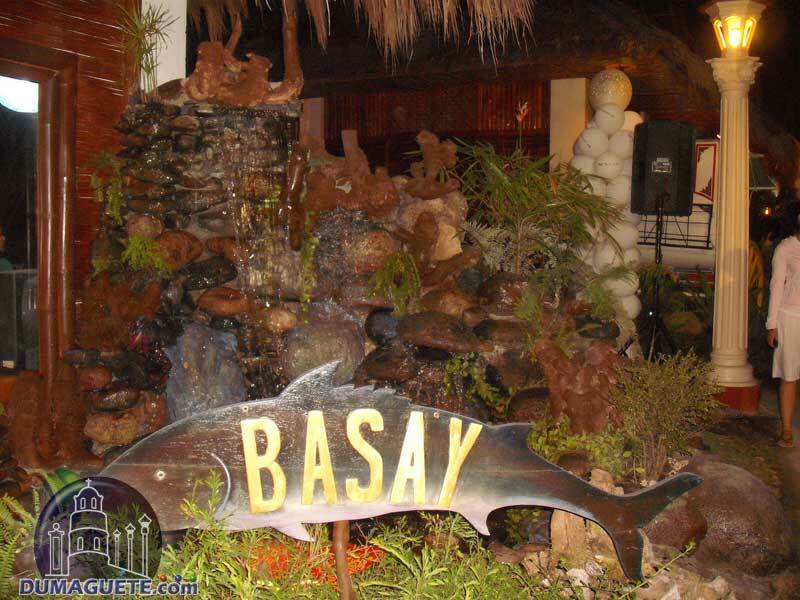 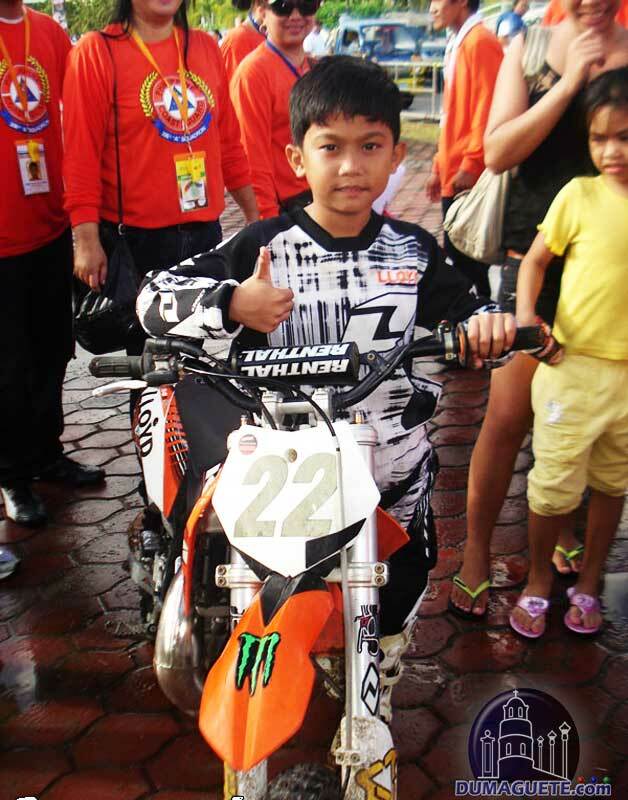 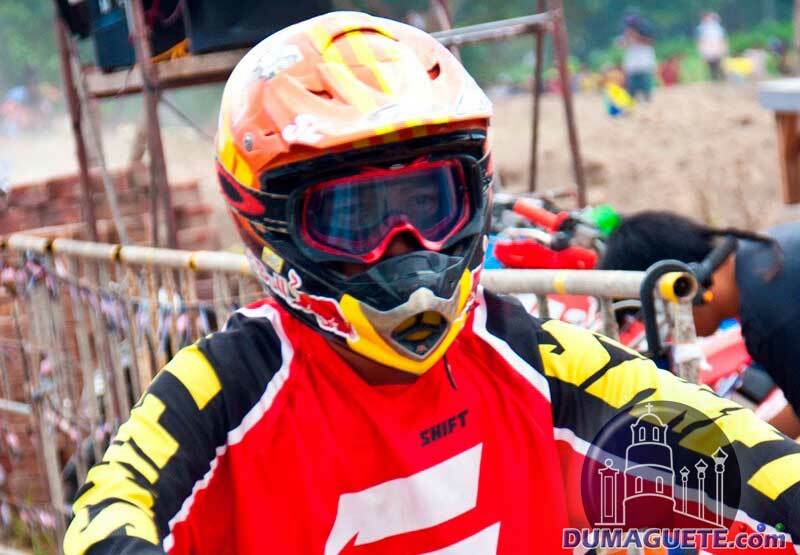 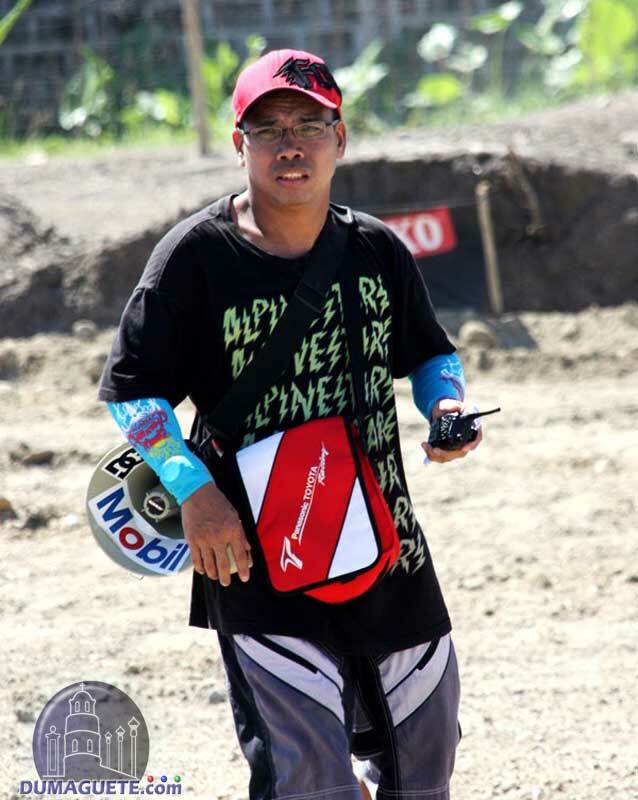 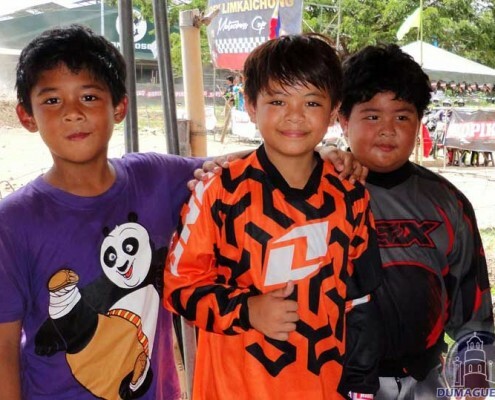 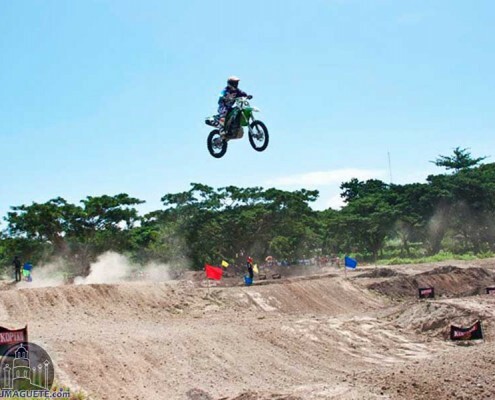 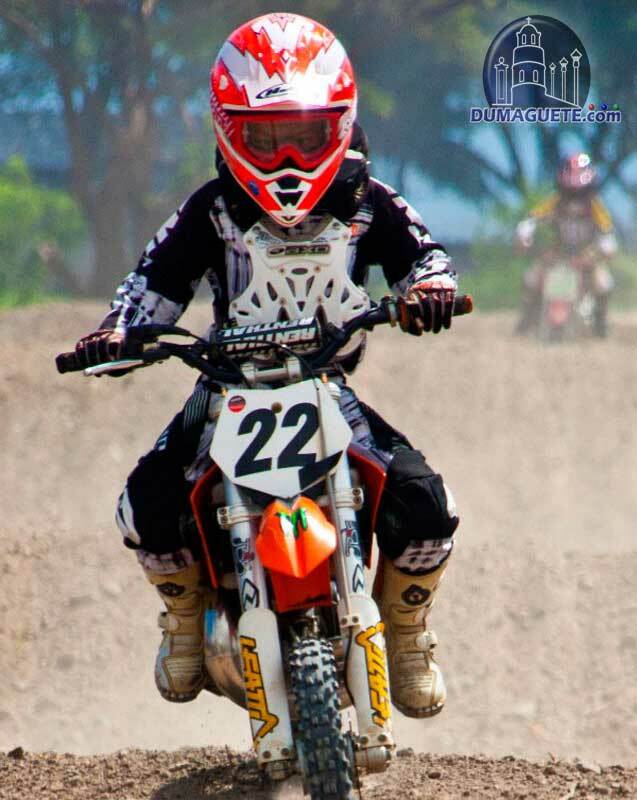 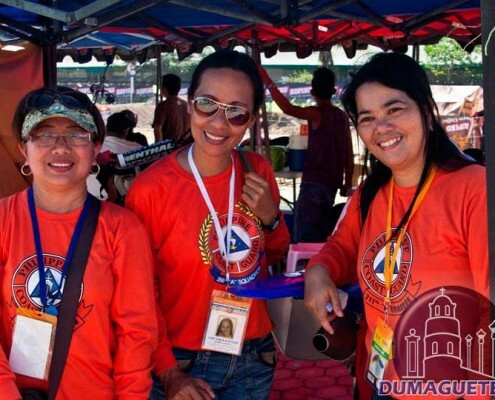 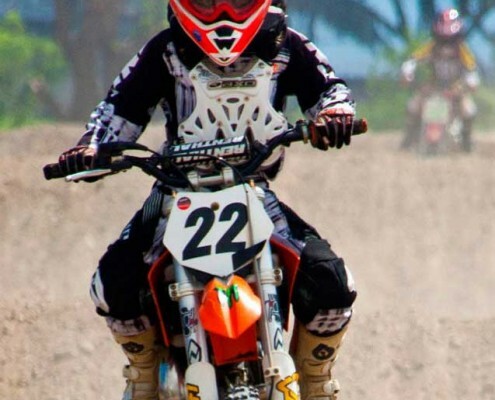 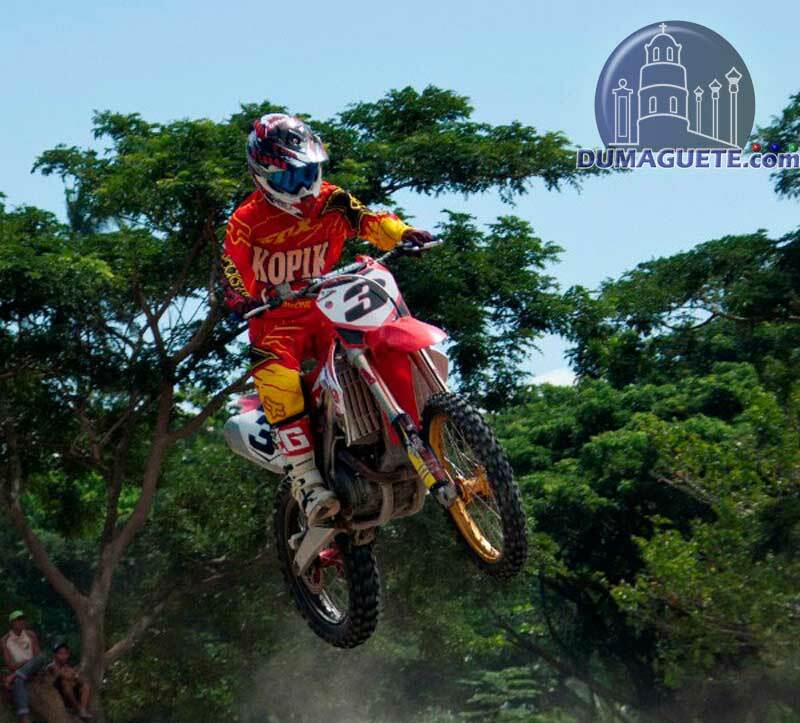 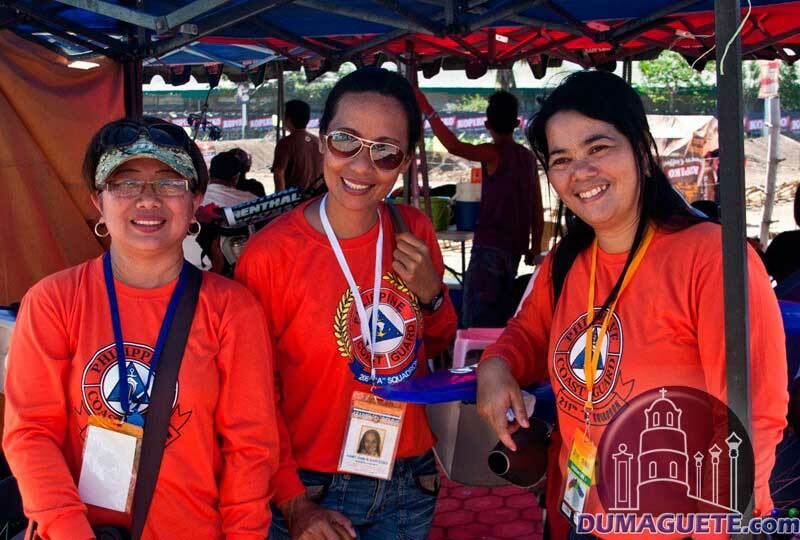 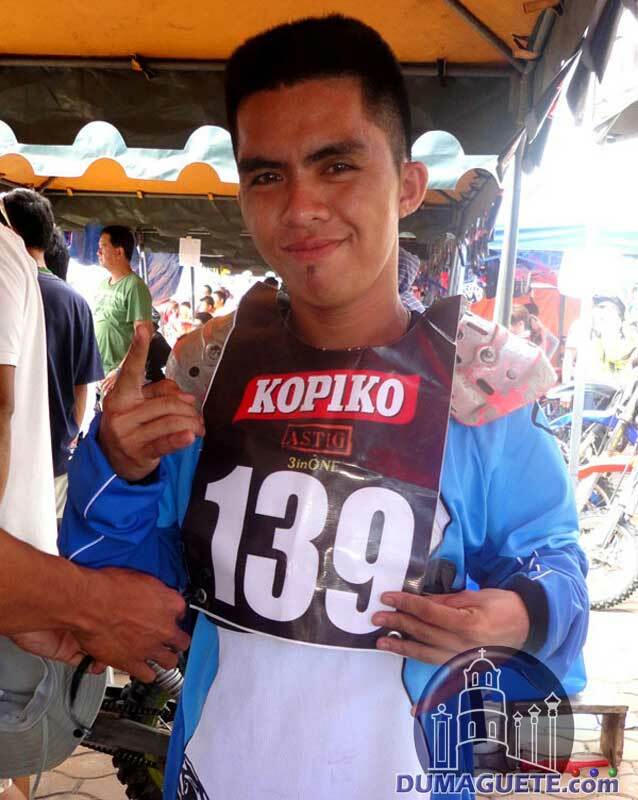 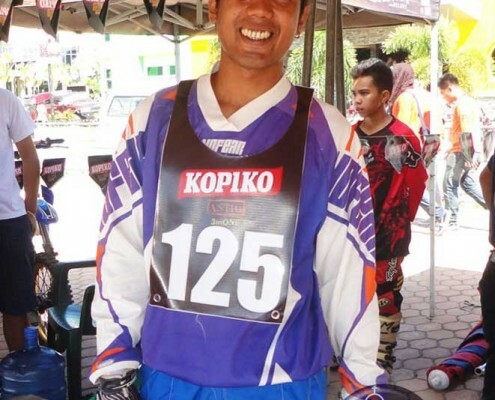 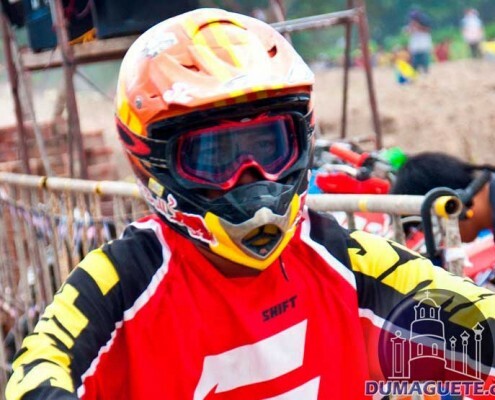 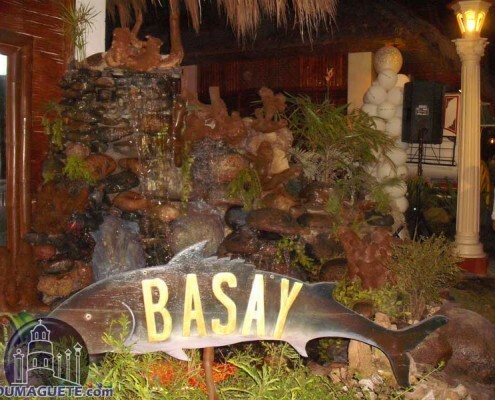 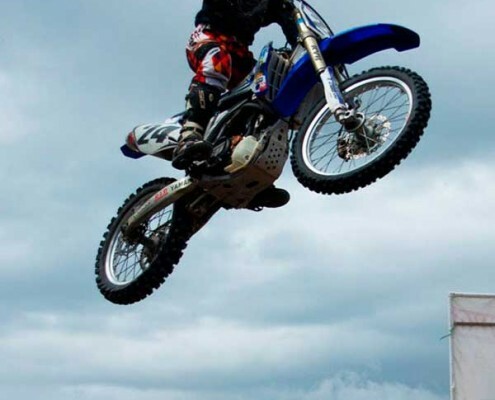 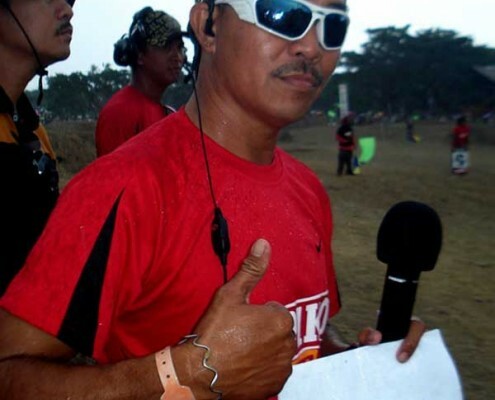 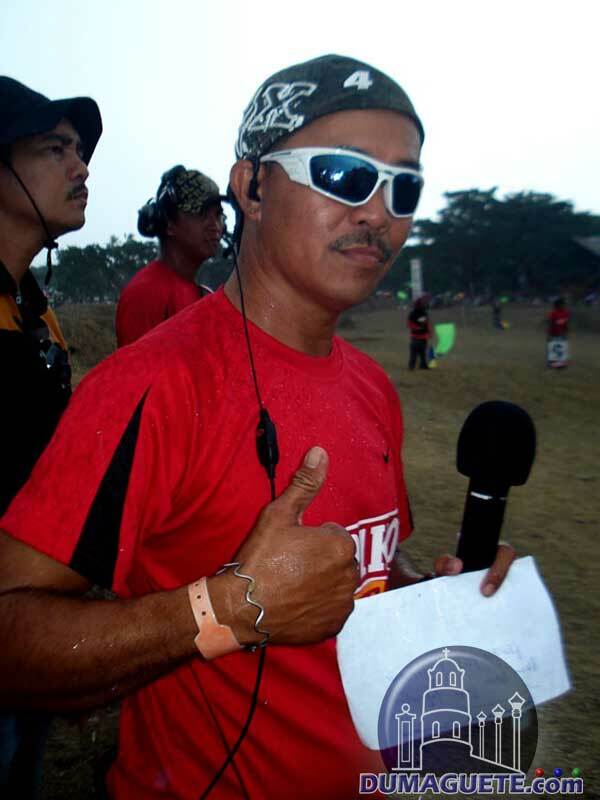 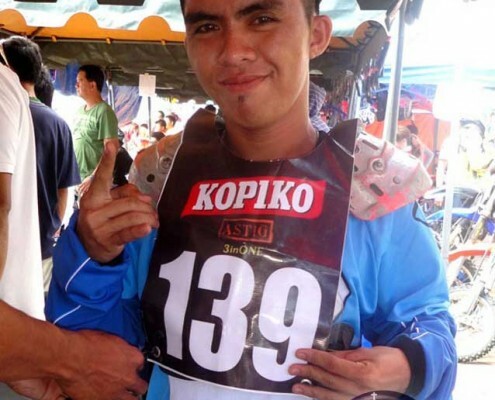 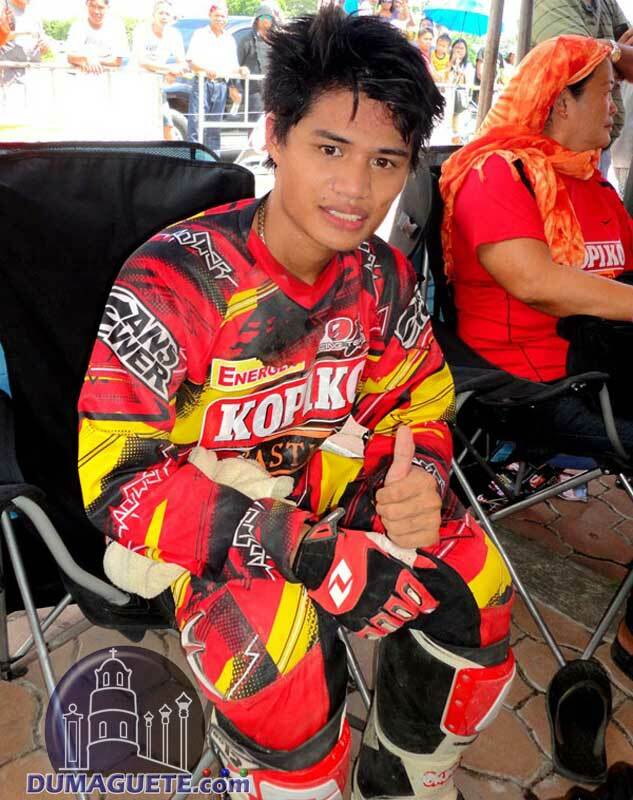 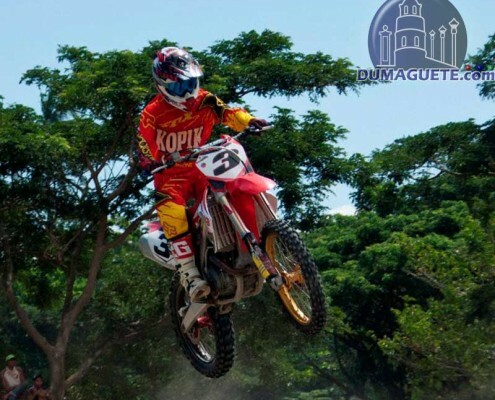 There is no admission fee to the motocross racing events in Dumaguete and the best places are taken very fast. 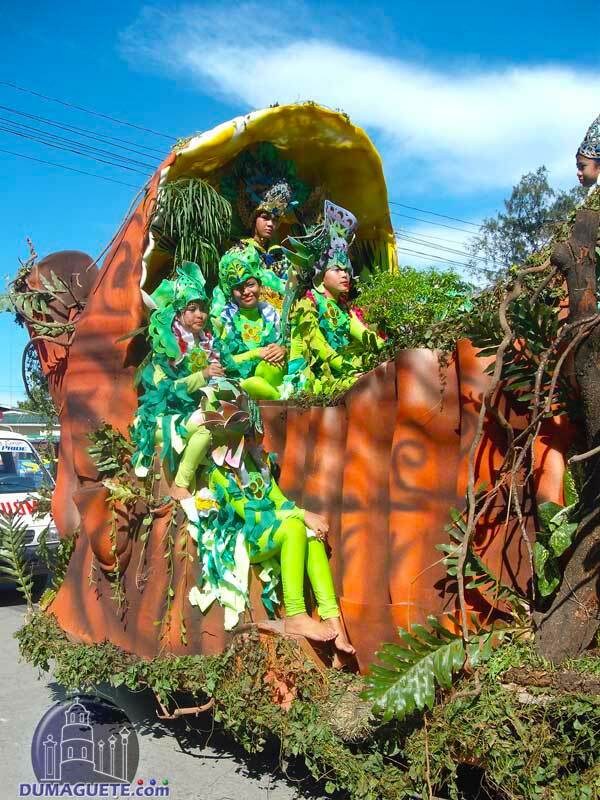 However, if one comes a little bit late, there is always a branch in a tree. 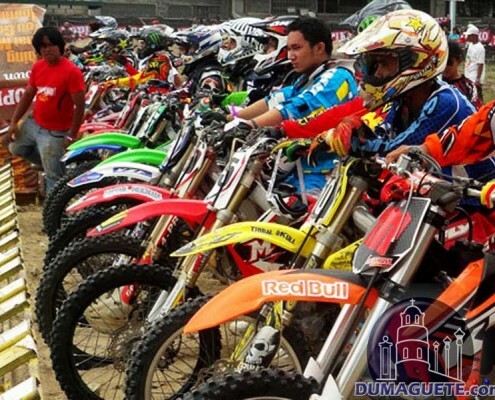 See you at the next Dumaguete Motocross Event. 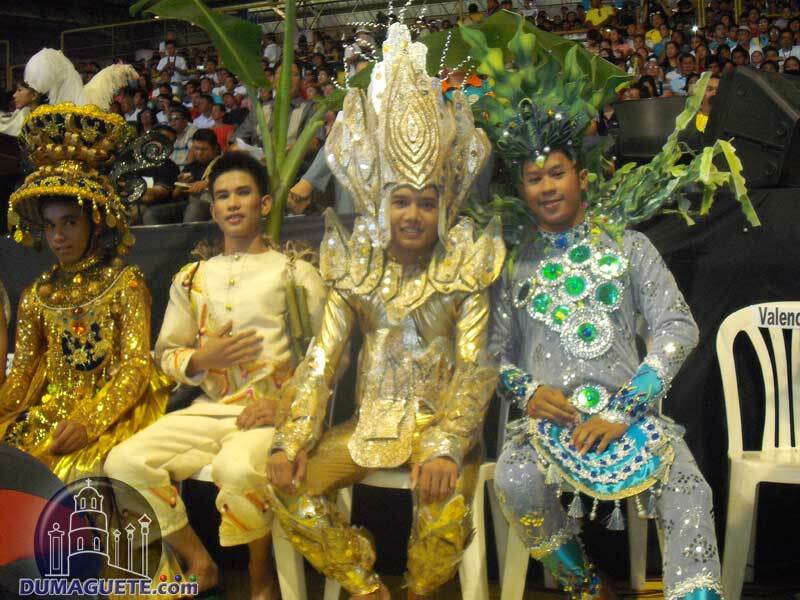 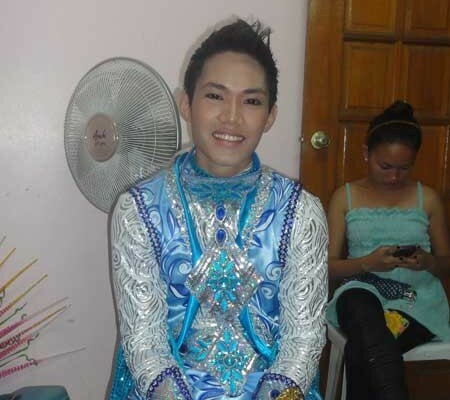 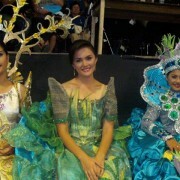 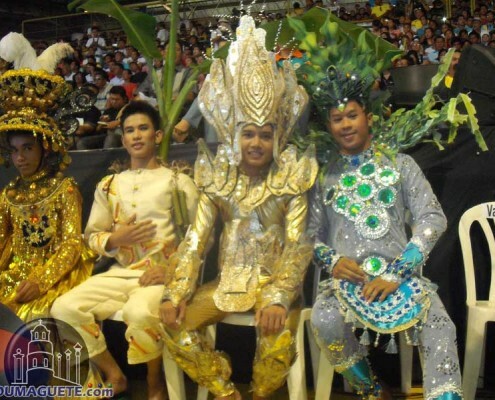 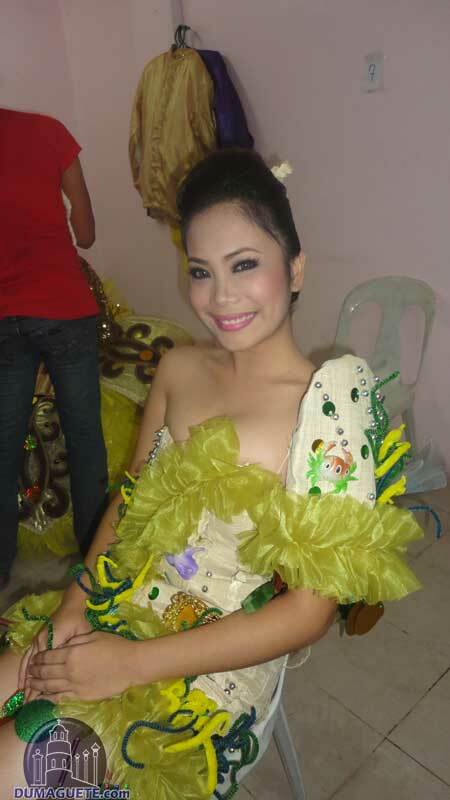 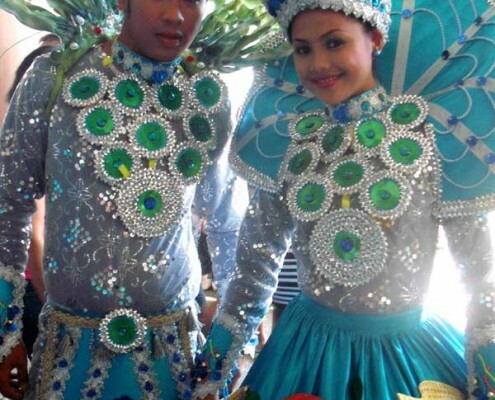 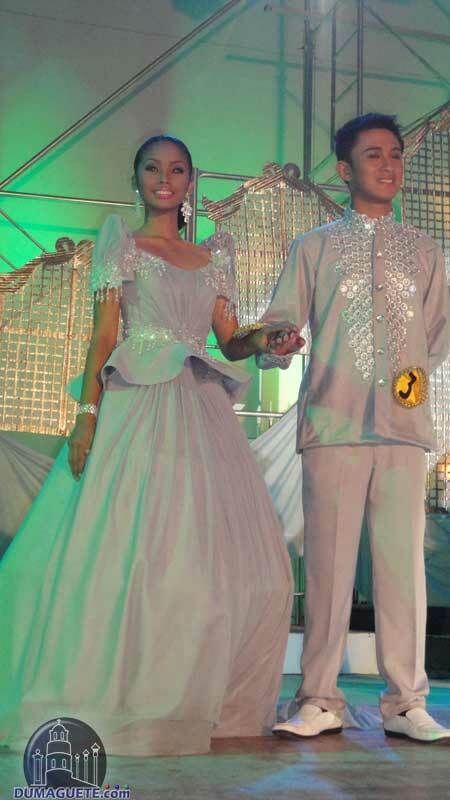 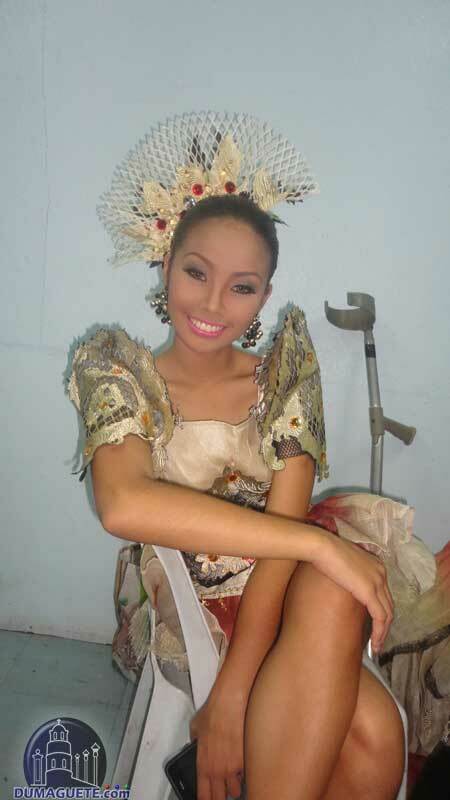 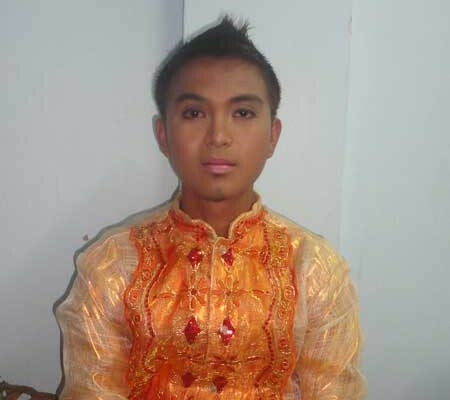 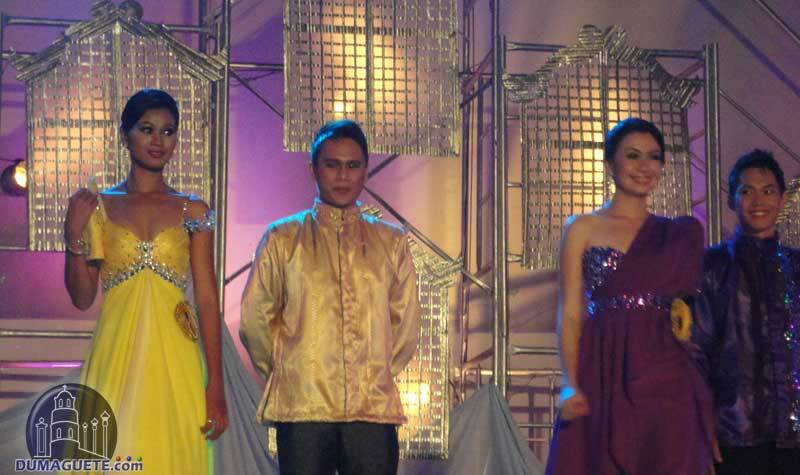 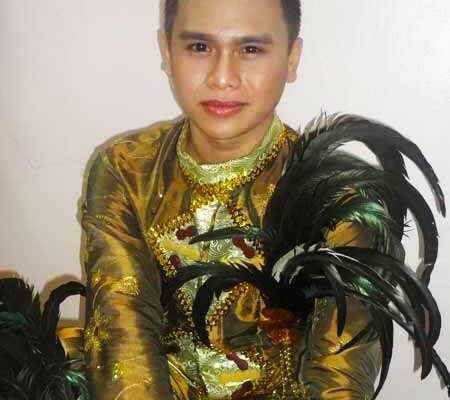 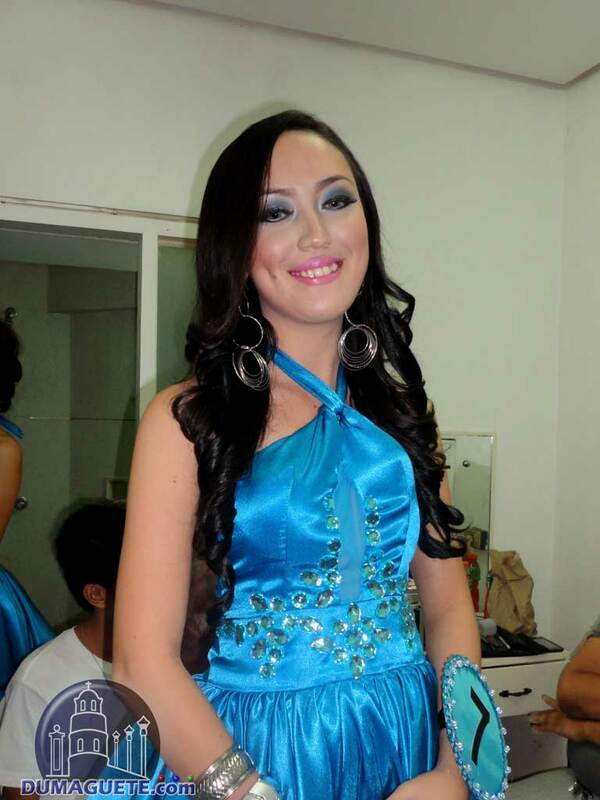 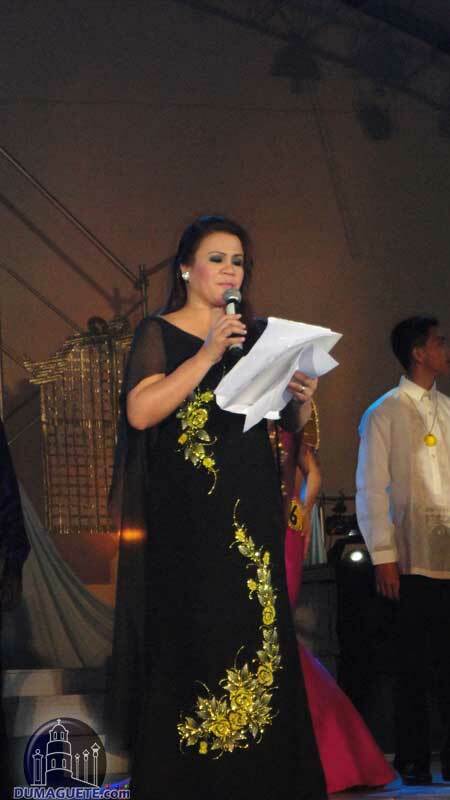 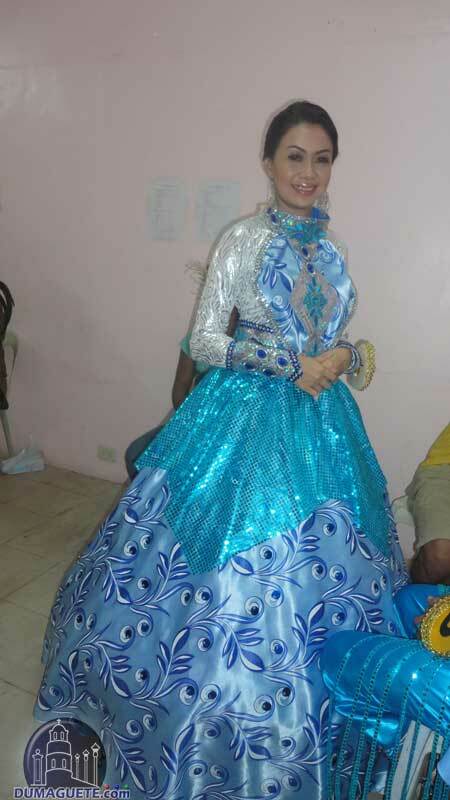 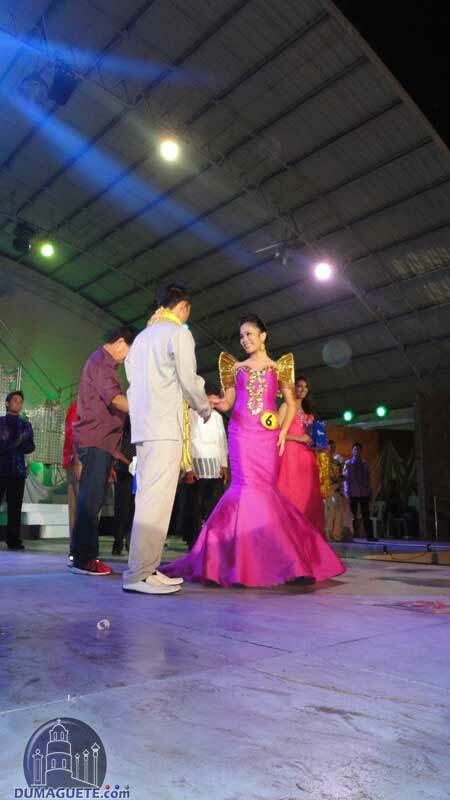 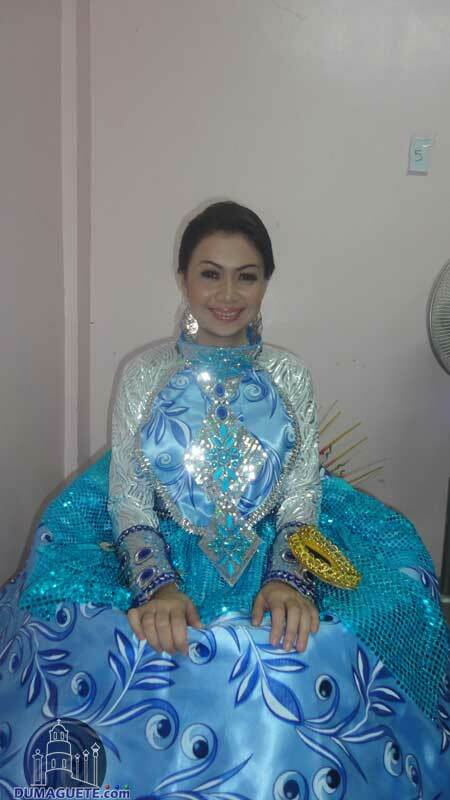 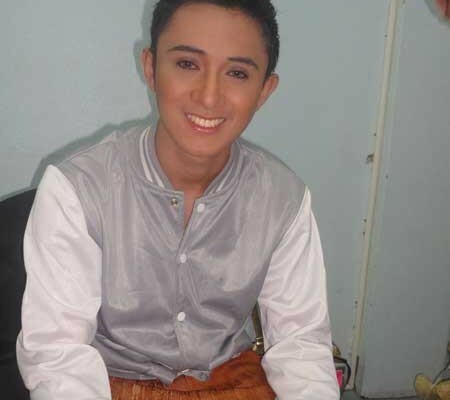 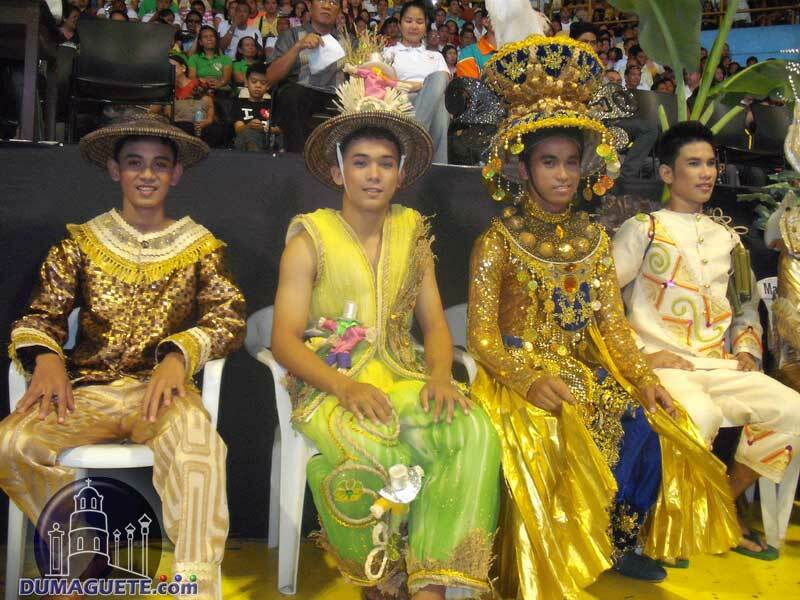 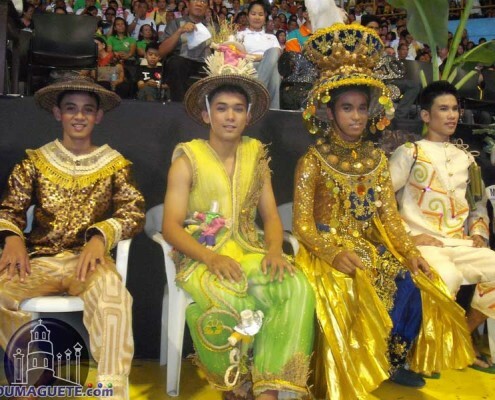 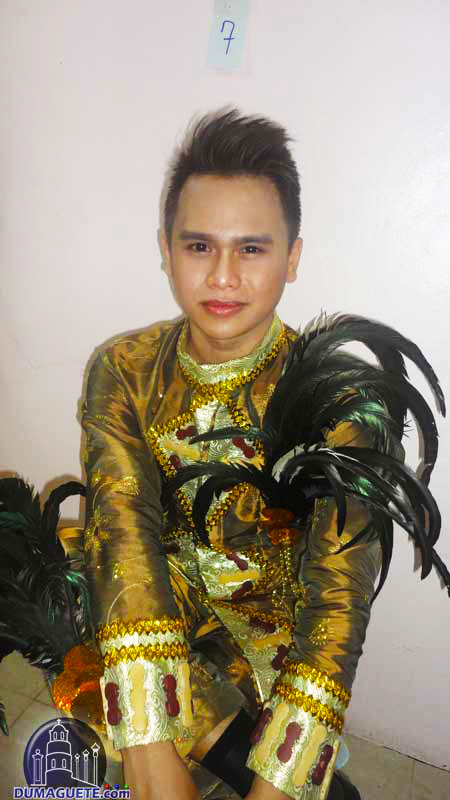 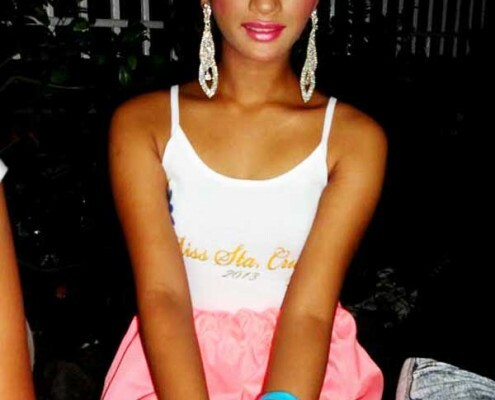 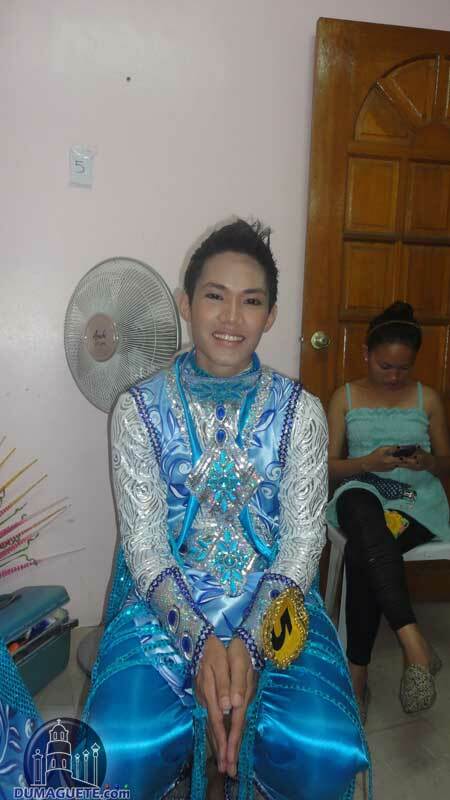 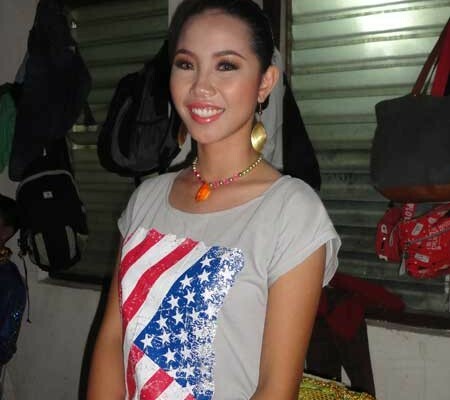 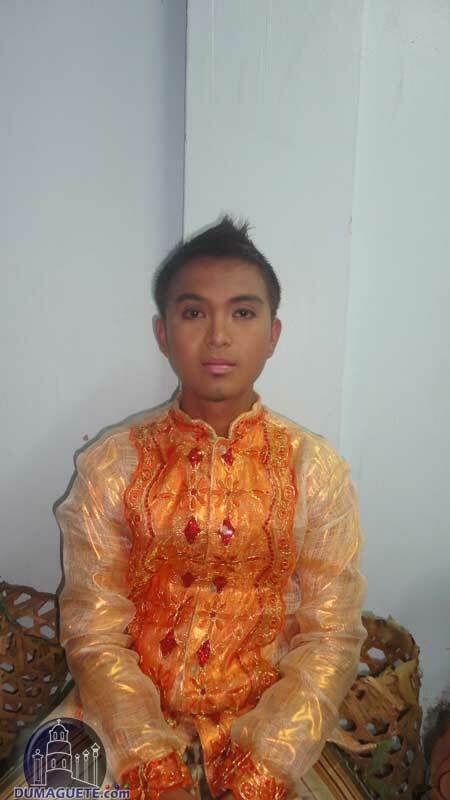 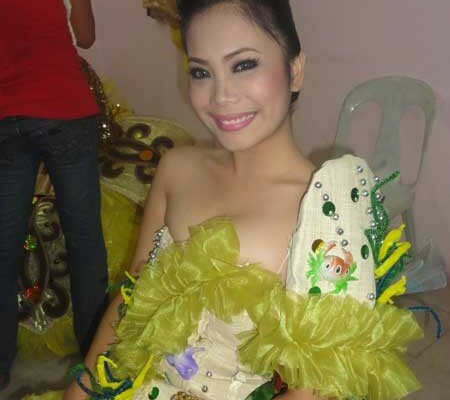 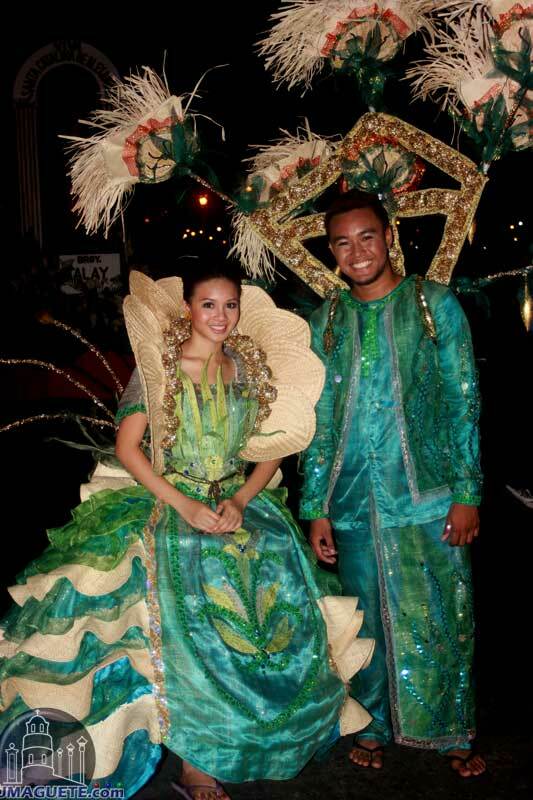 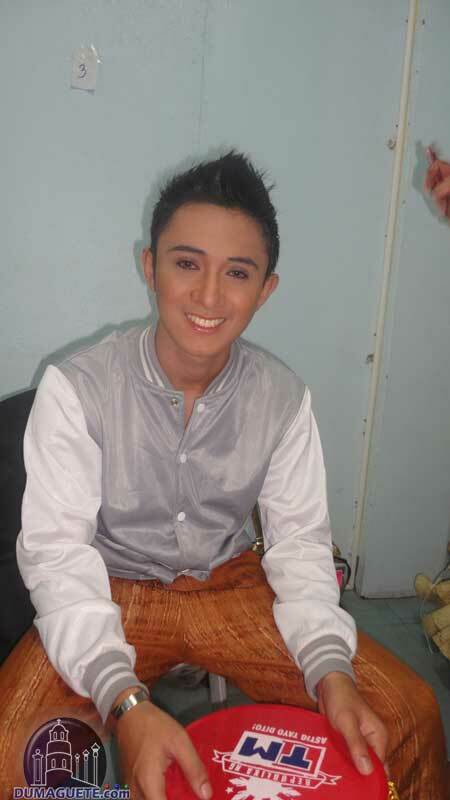 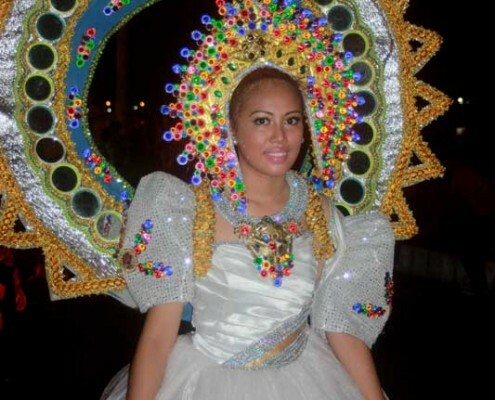 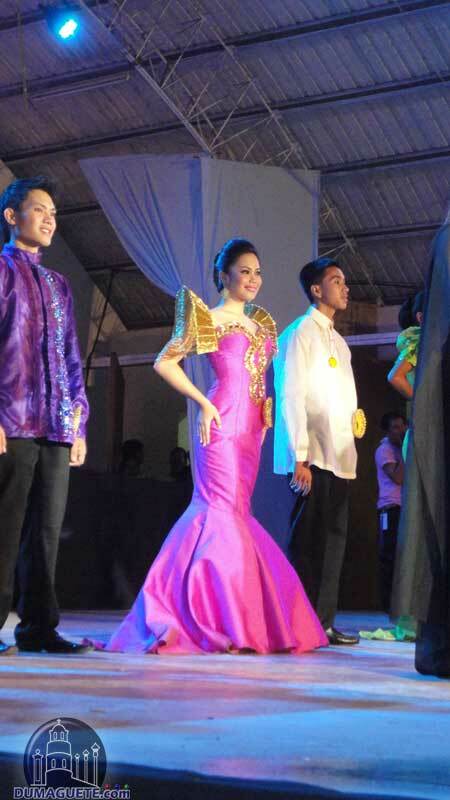 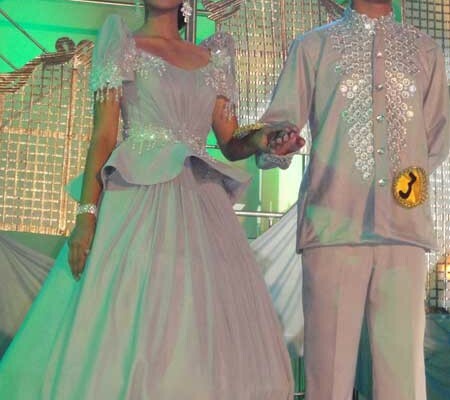 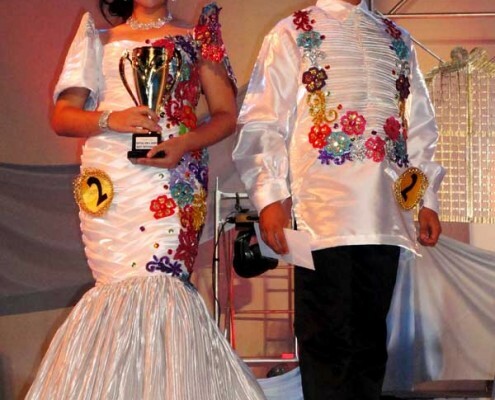 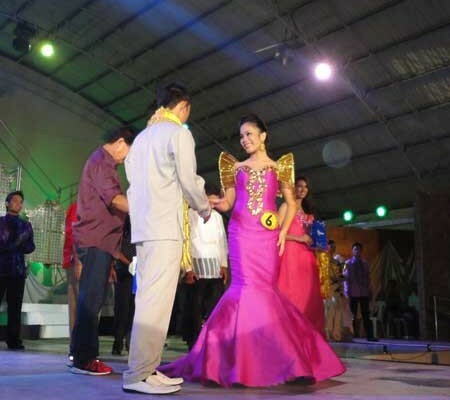 Last nights Mr & Mrs Buglasan 2012 competition, and what a colorful event it was. 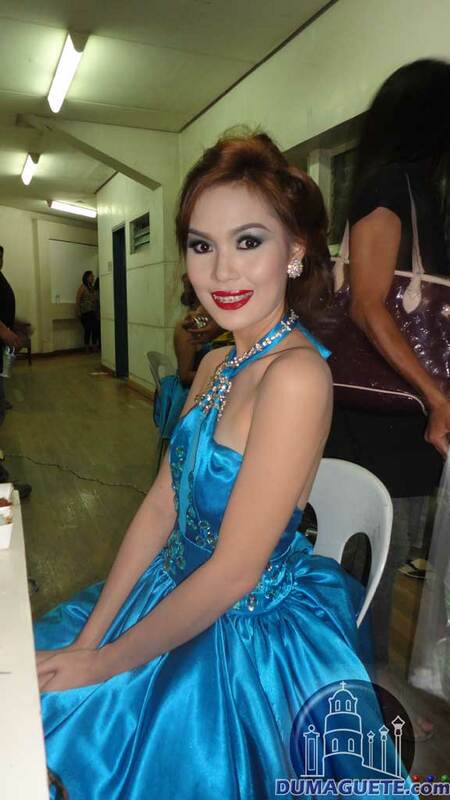 While the seats in the audience were filling up, we sneaked backstage to get some shots of the candidates. 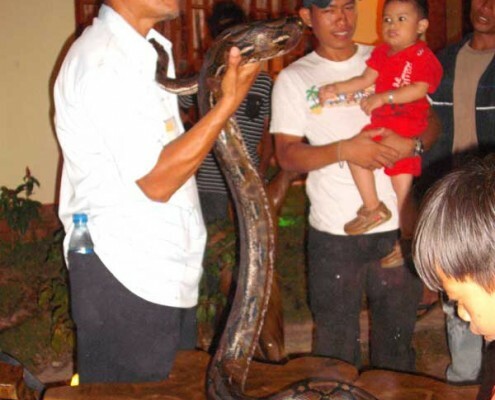 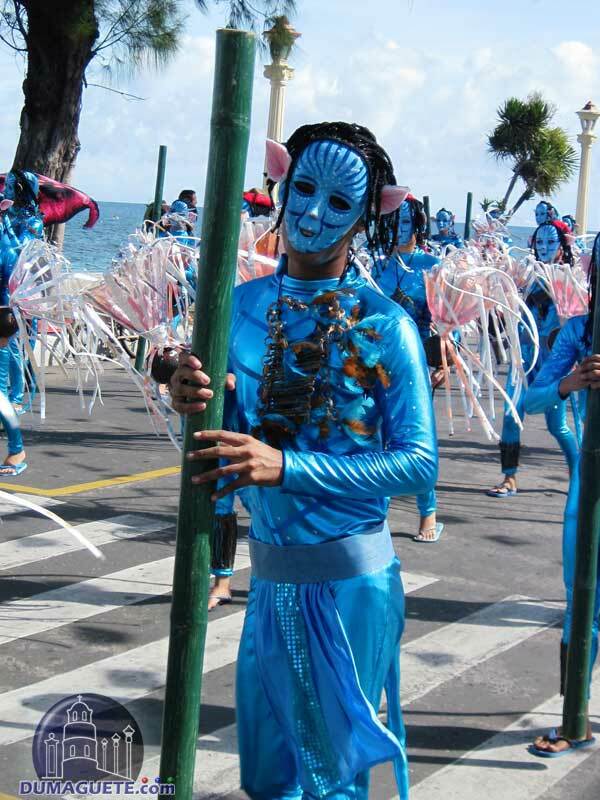 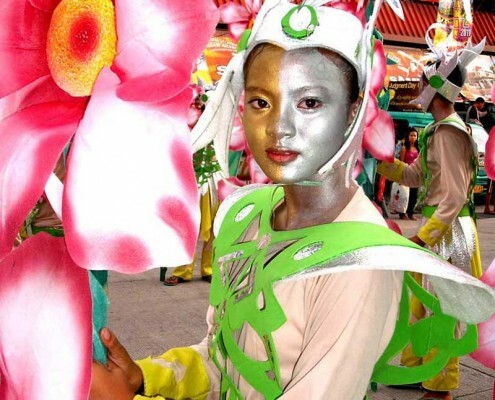 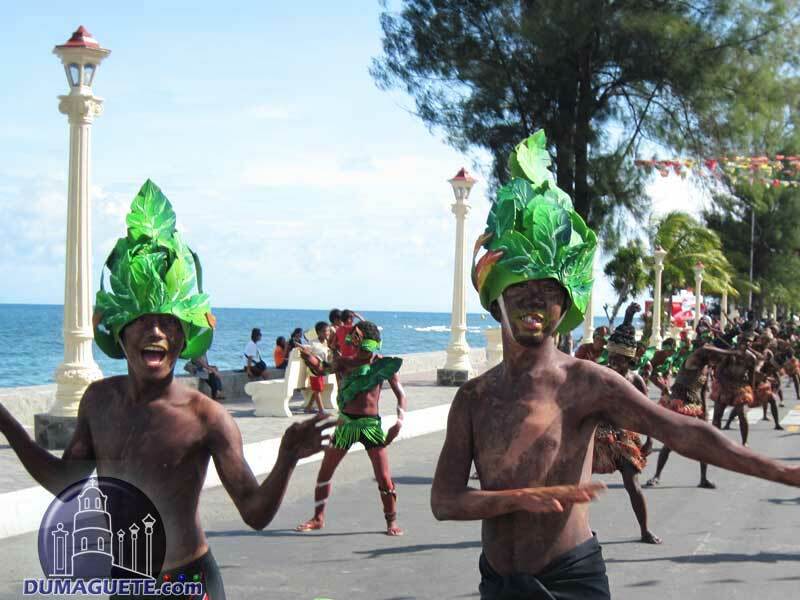 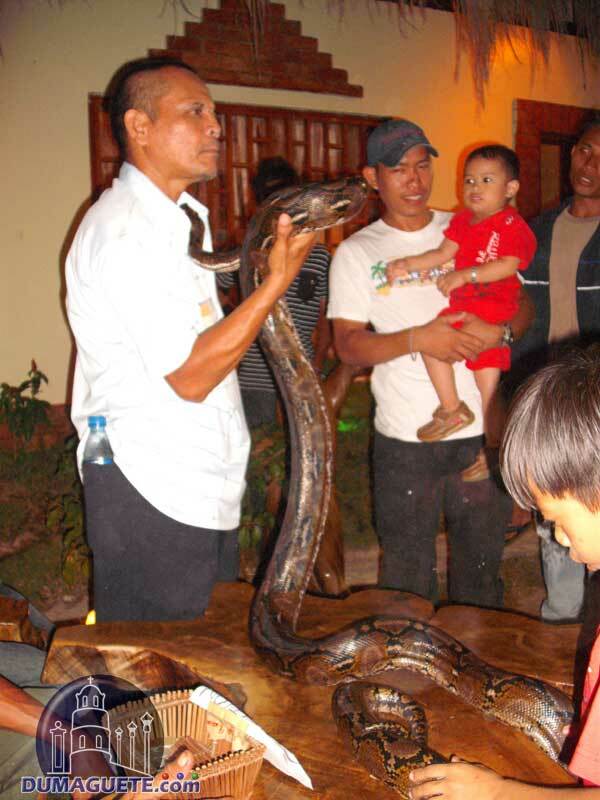 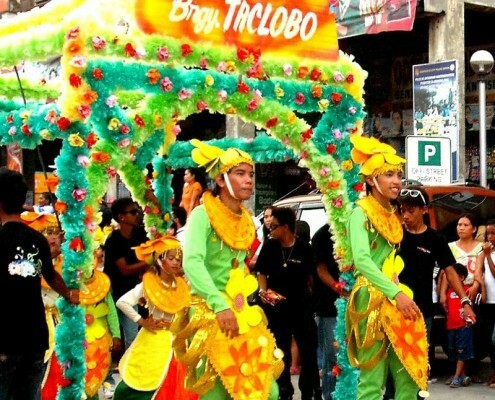 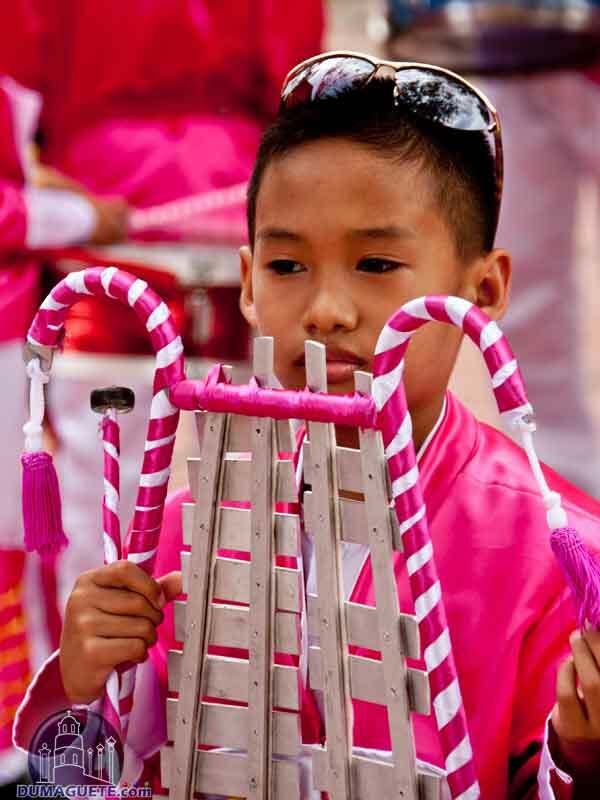 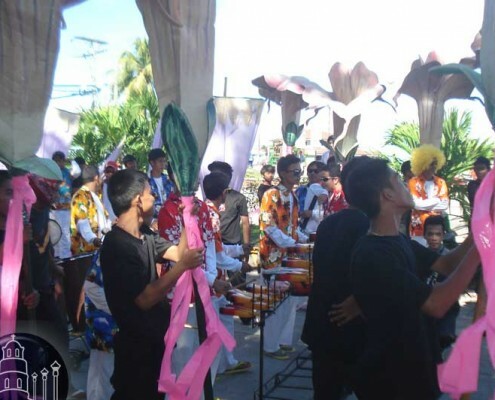 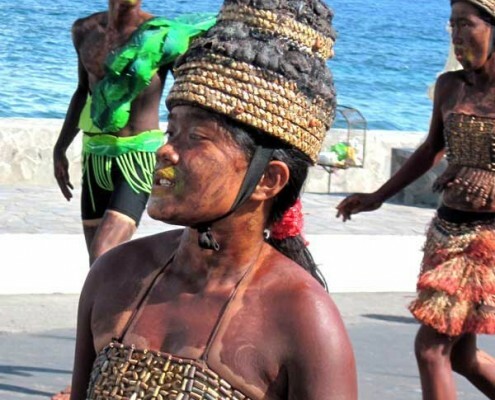 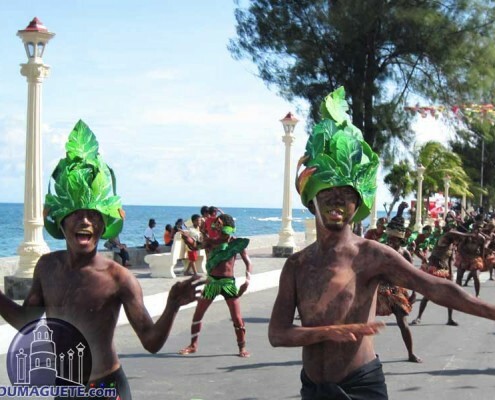 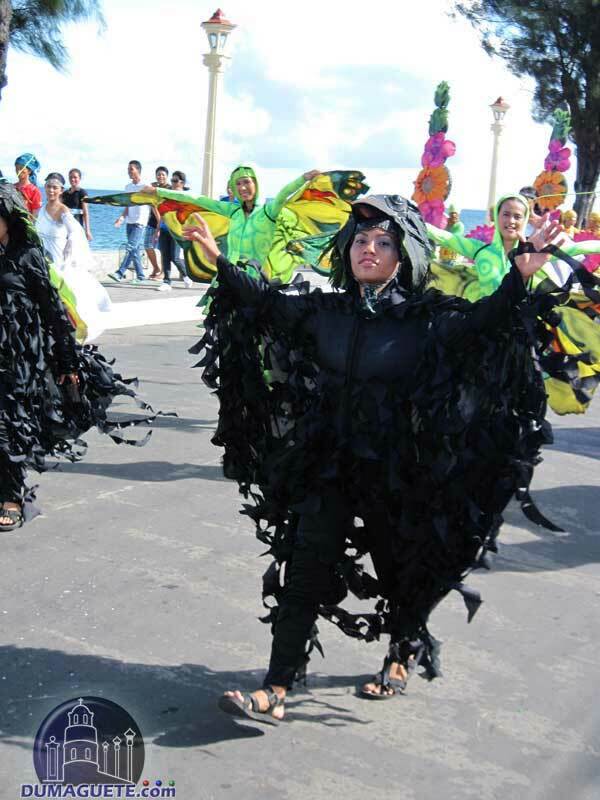 The Kabulakan Festival was first introduced in the year 2007, organized by the Tourism Council of the city and it is ineluctably attracting and inviting both for the local and foreign tourists. 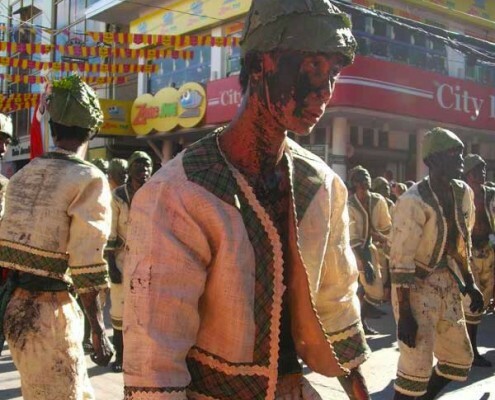 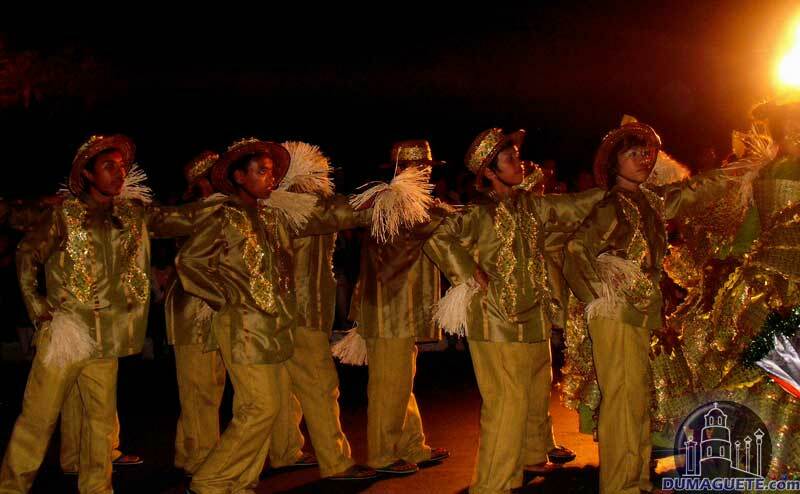 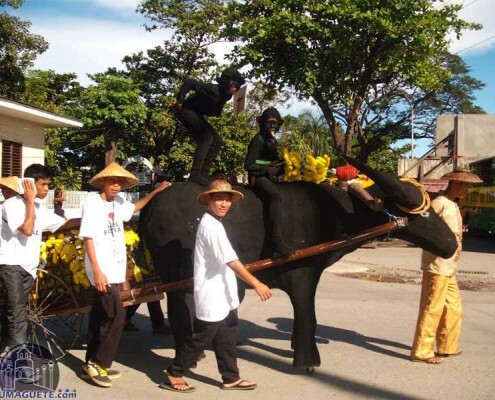 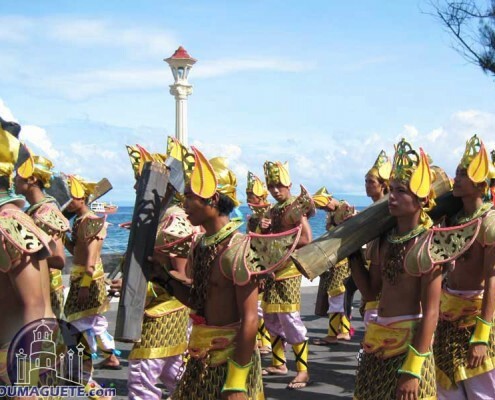 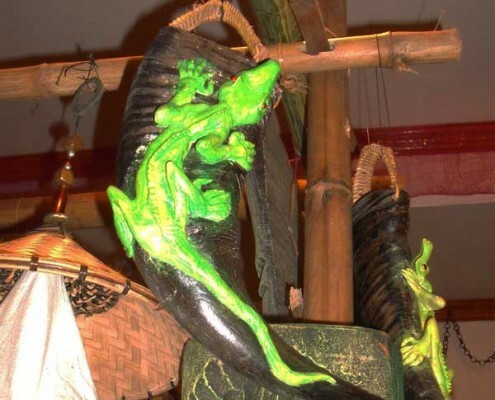 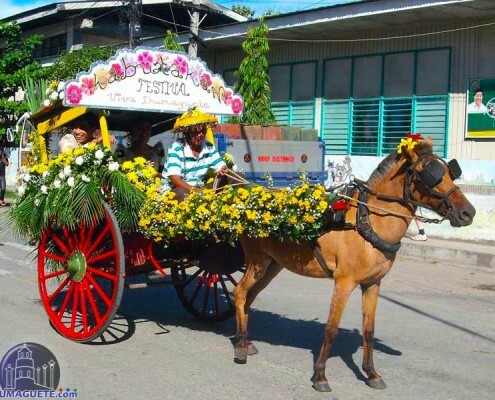 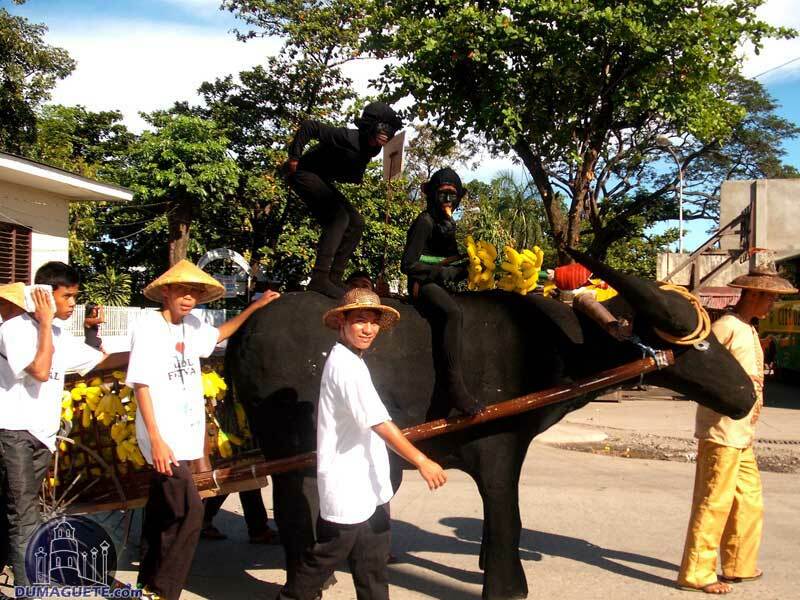 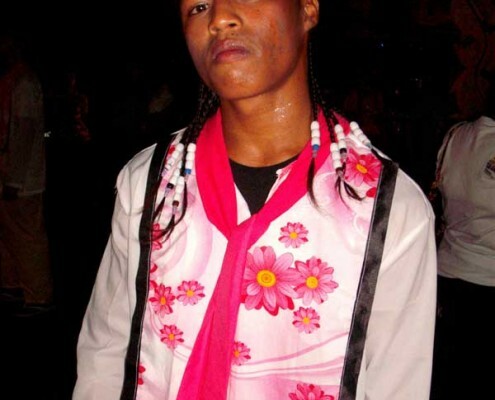 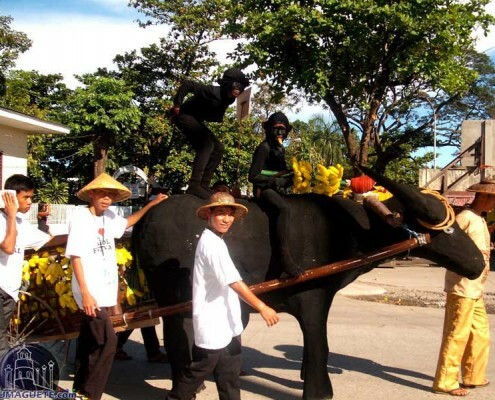 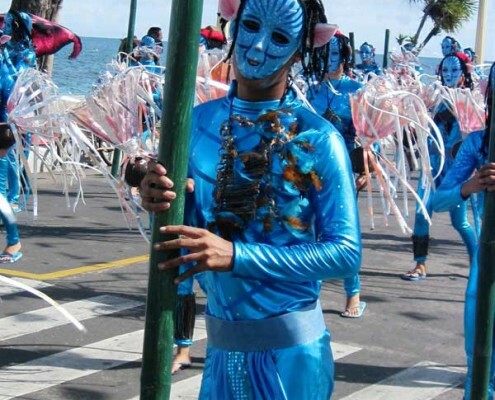 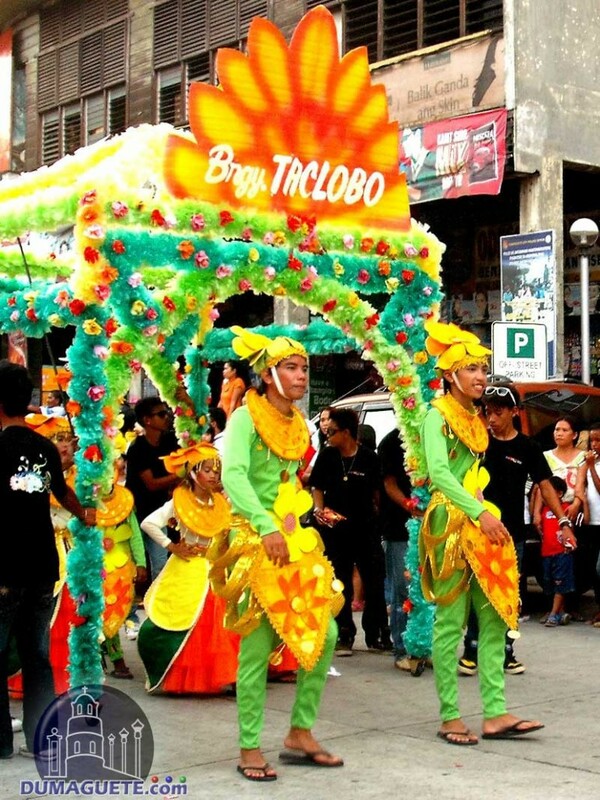 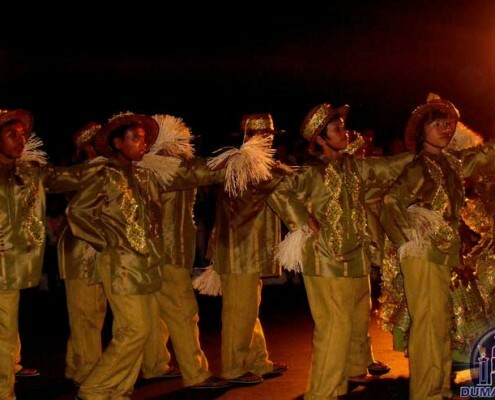 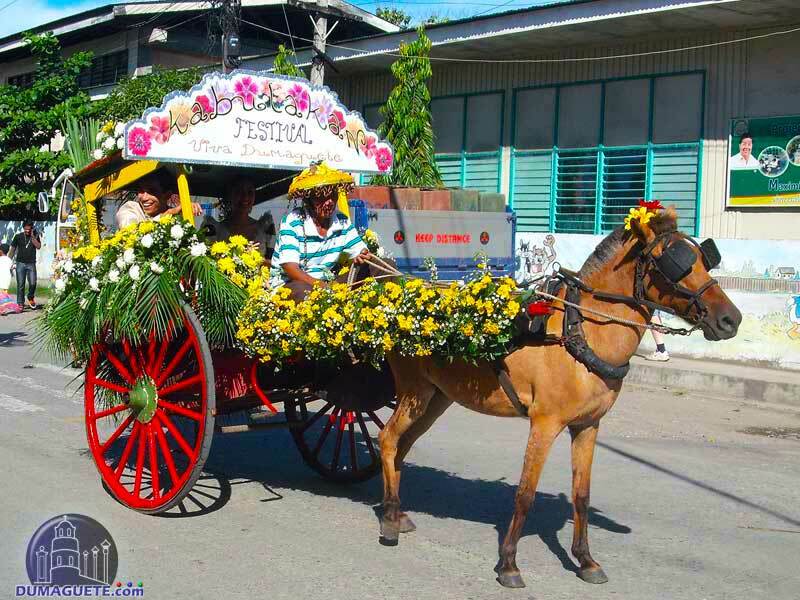 The Kabulakan Festival 2011 was scheduled in the entire month of May, intended to promote the tourism trade in the city even more. 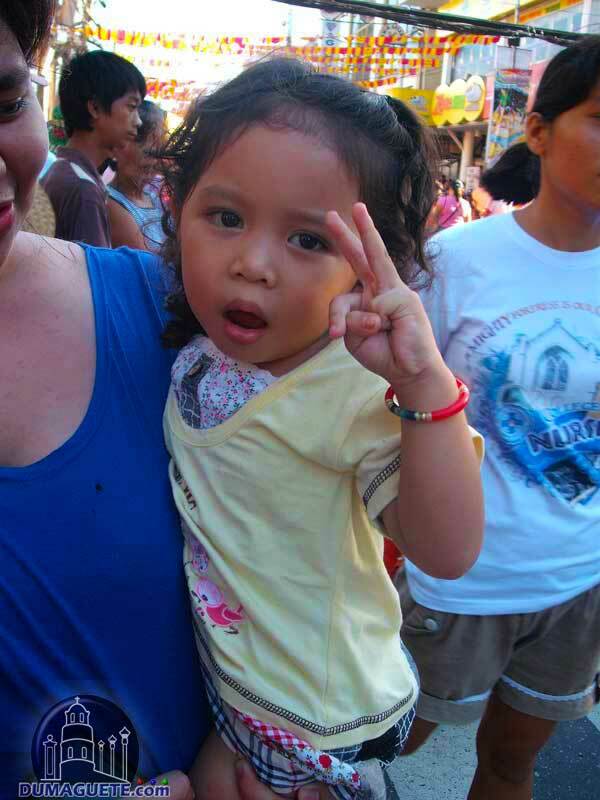 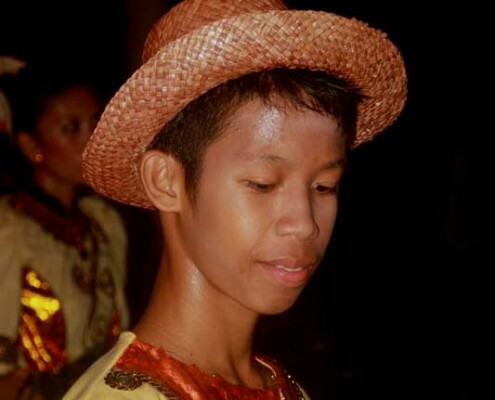 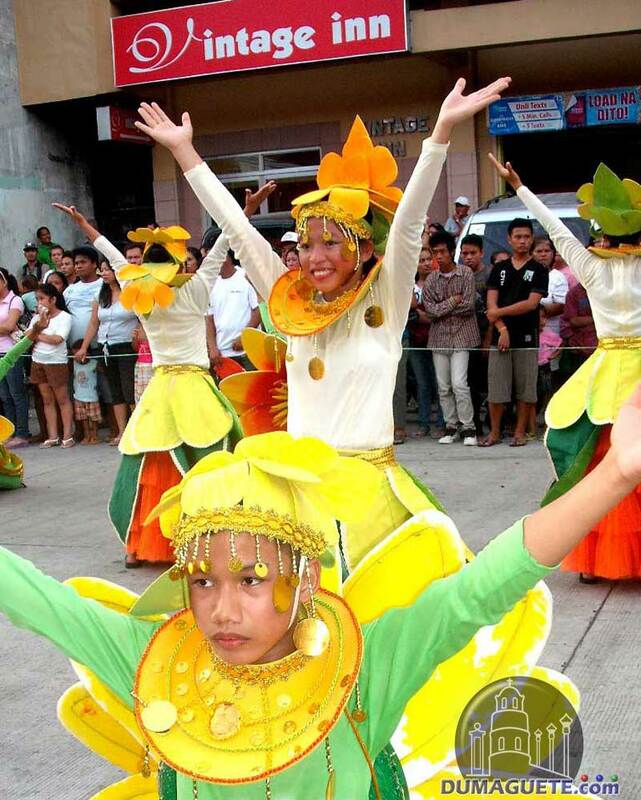 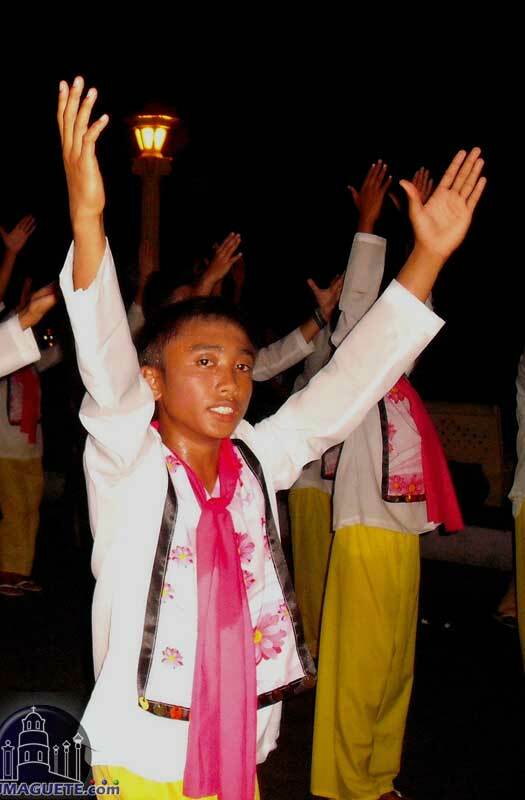 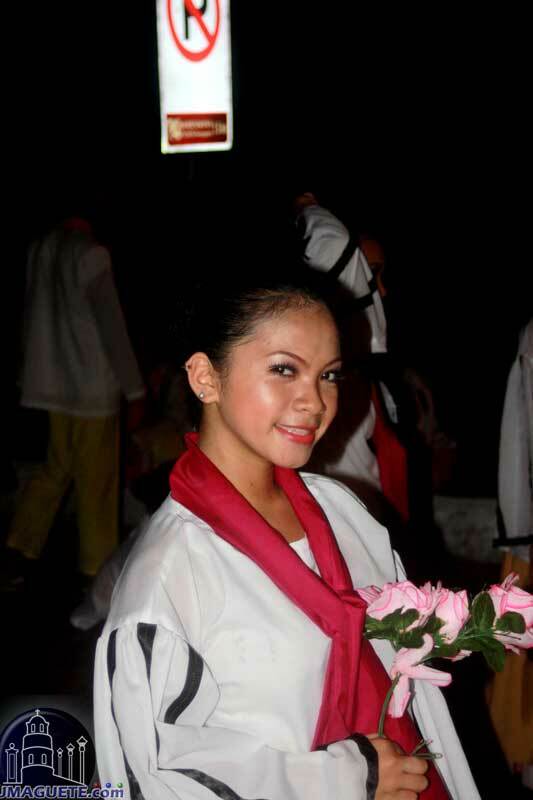 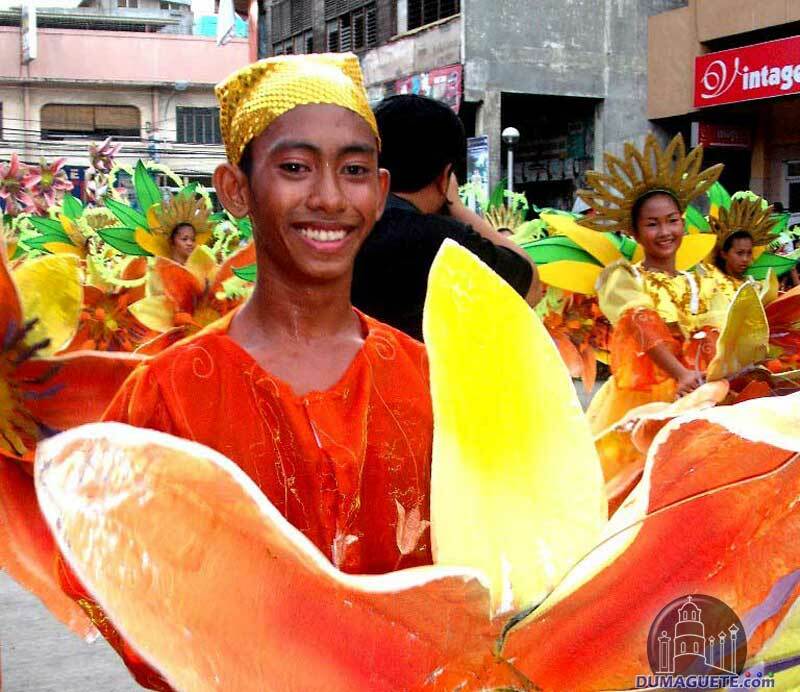 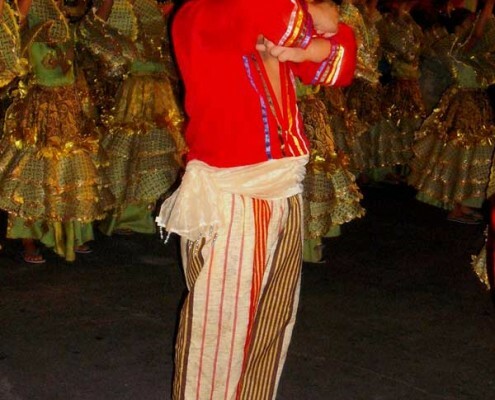 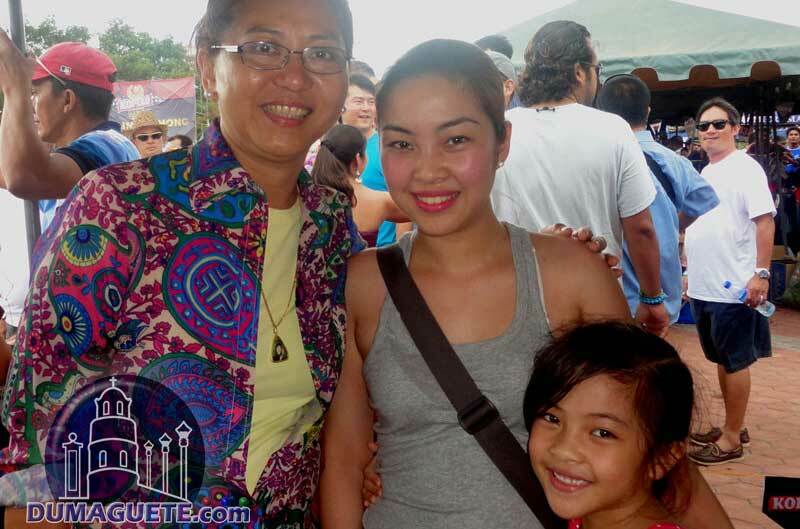 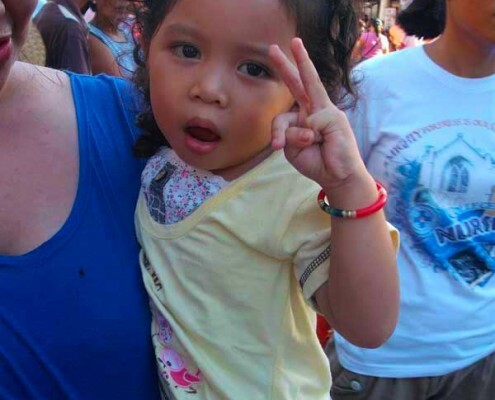 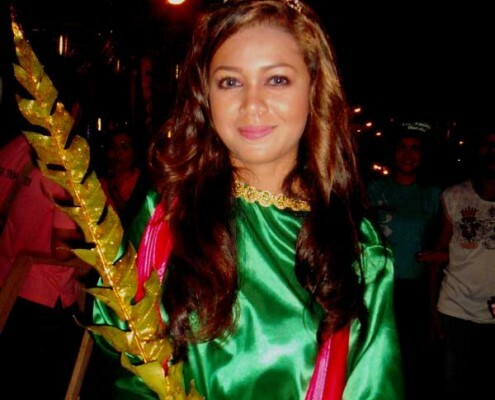 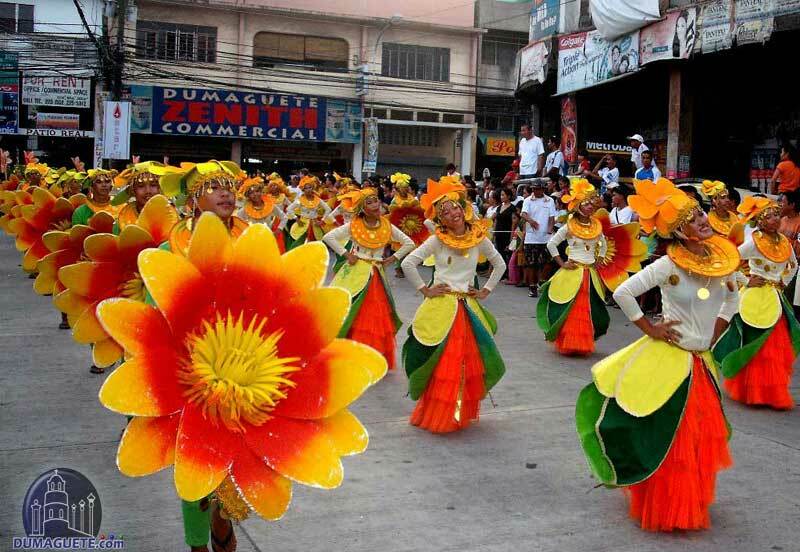 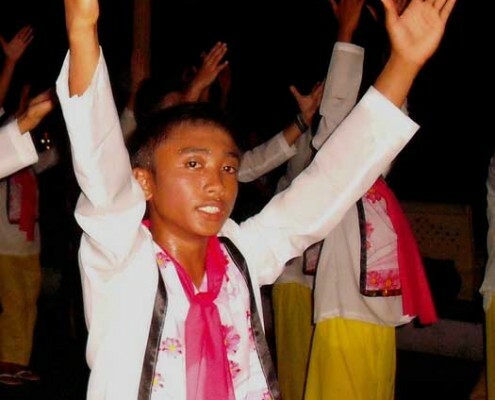 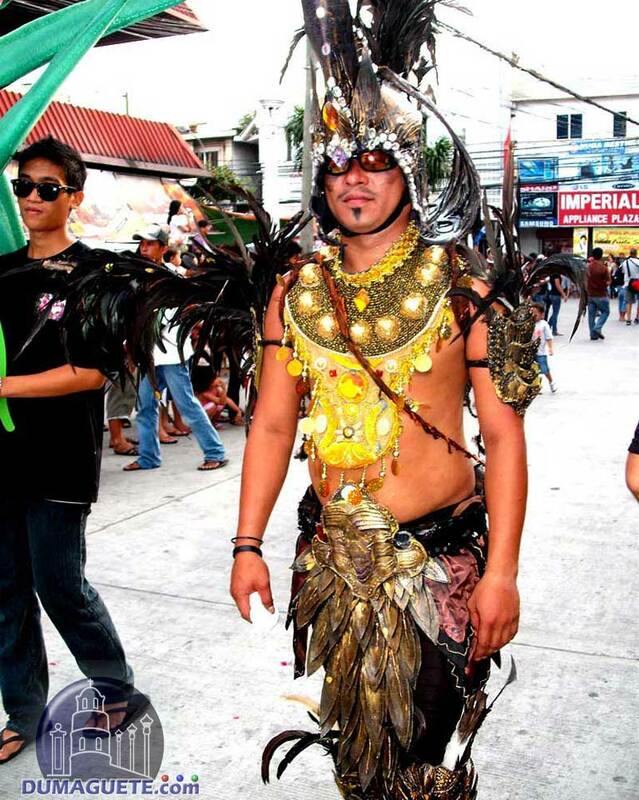 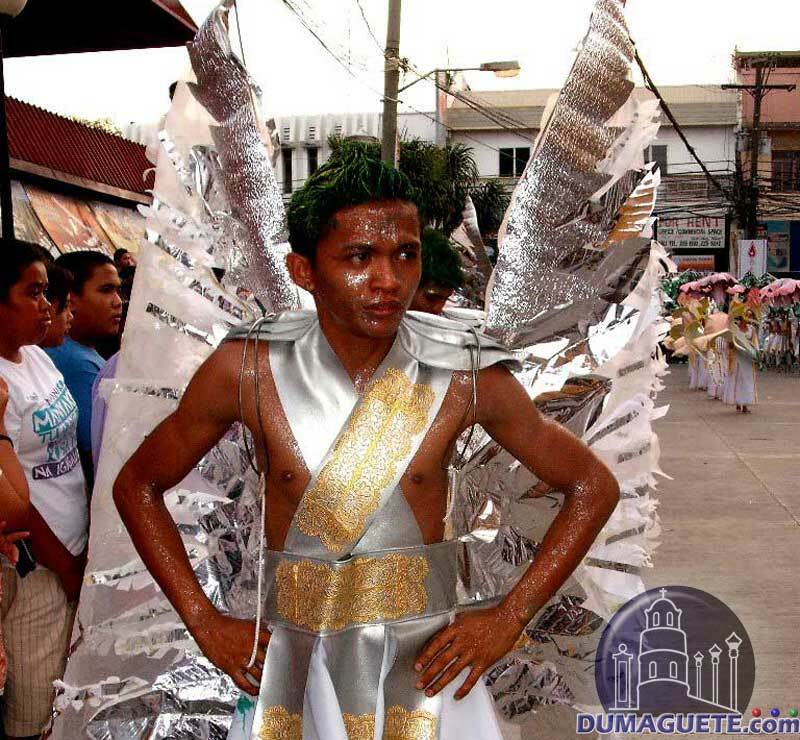 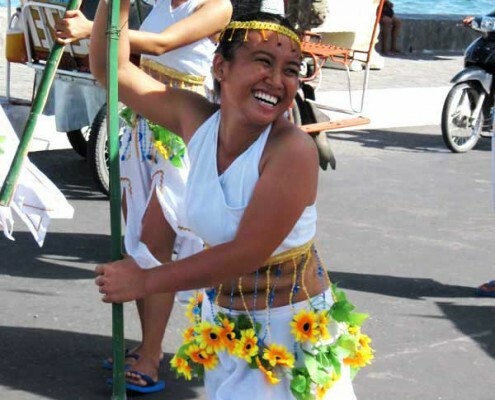 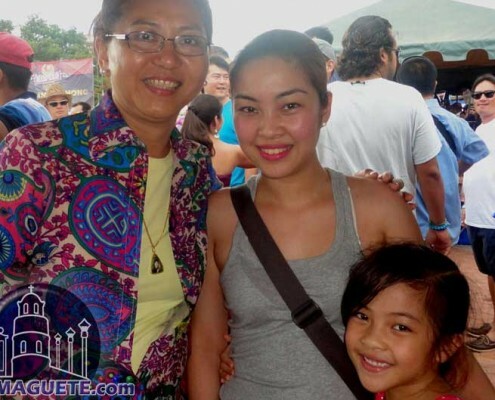 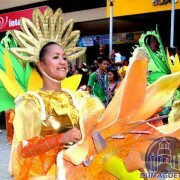 Once more the streets of Dumaguete where filled with joy, laughter and during the Sandurot Street Dance Competition 2011. 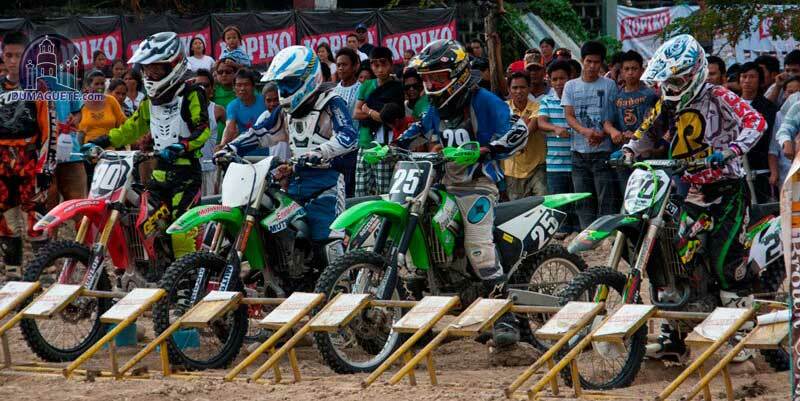 The start was a little bit delayed, so the competitors ran out of daylight. 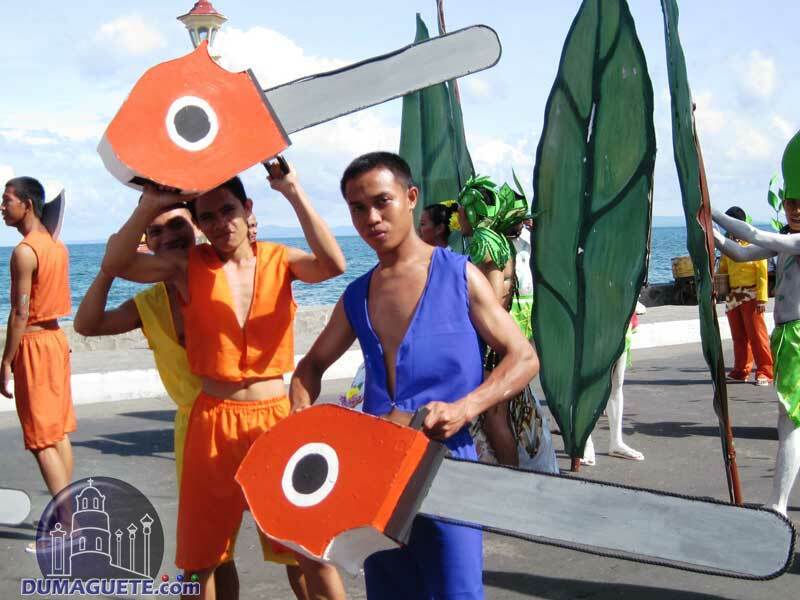 Therefore we couldn’t not make any group pictures. 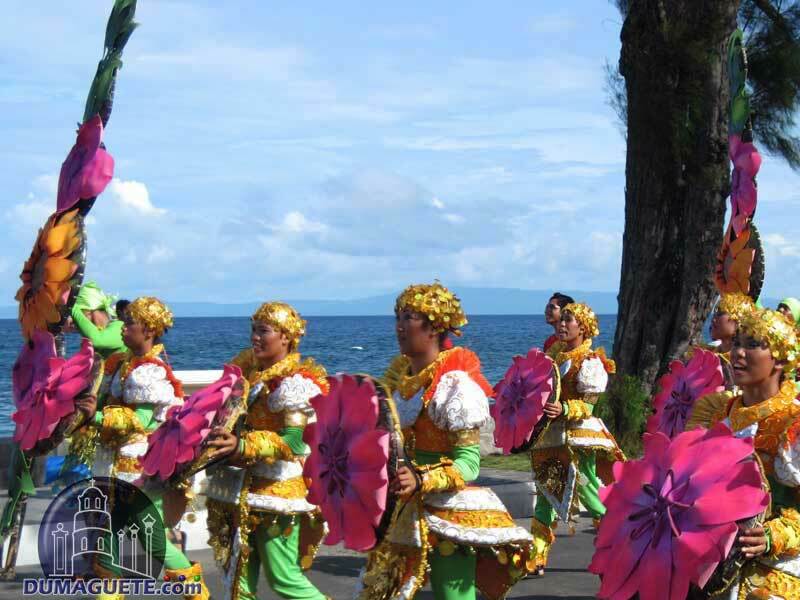 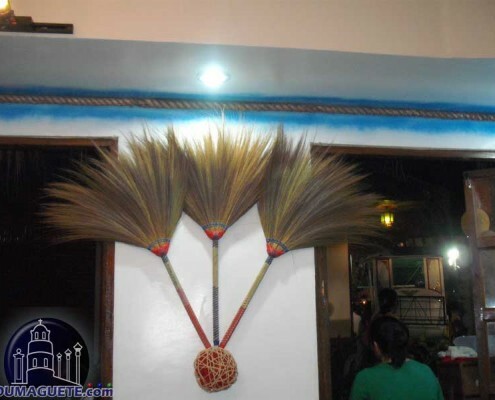 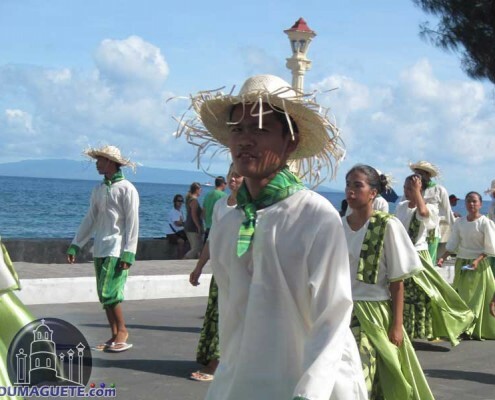 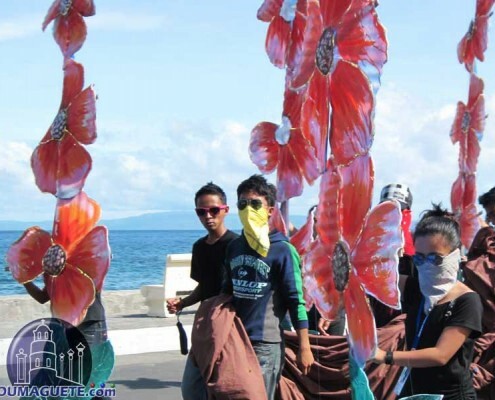 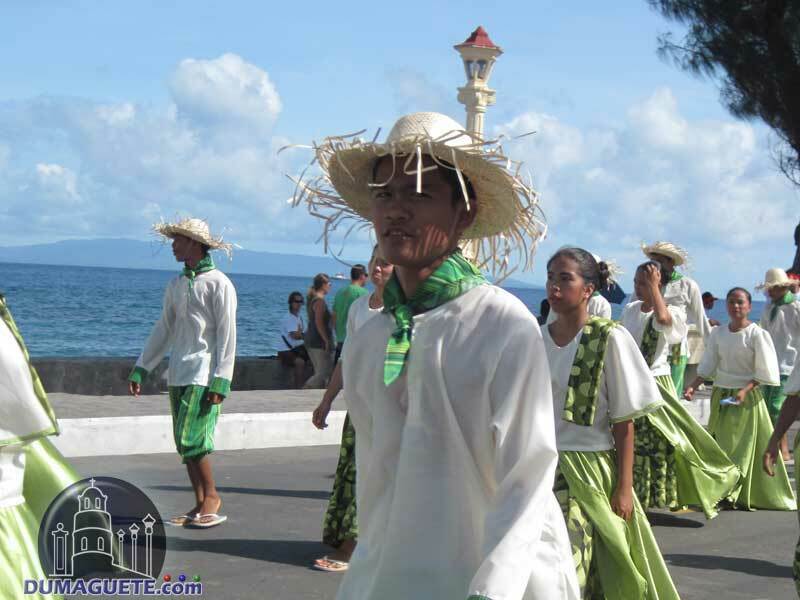 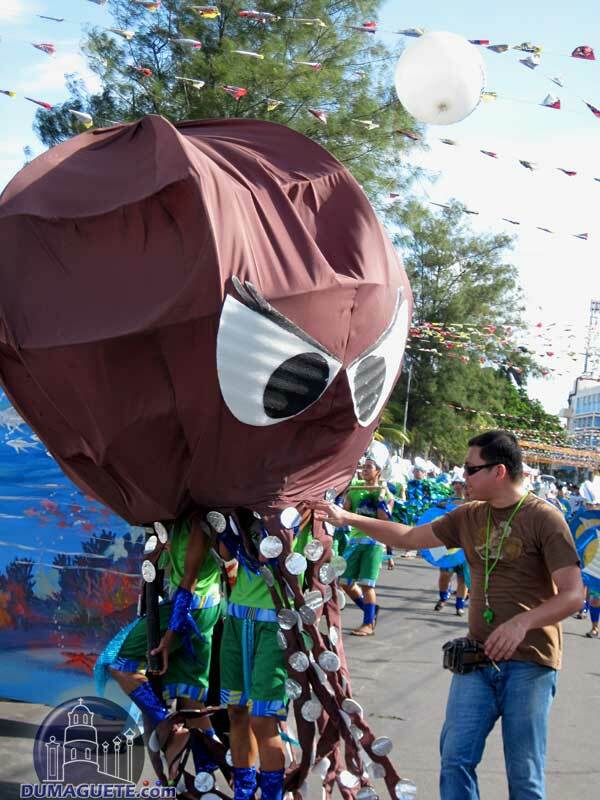 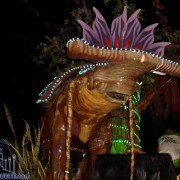 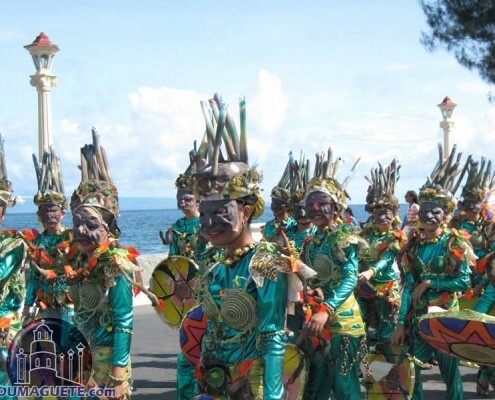 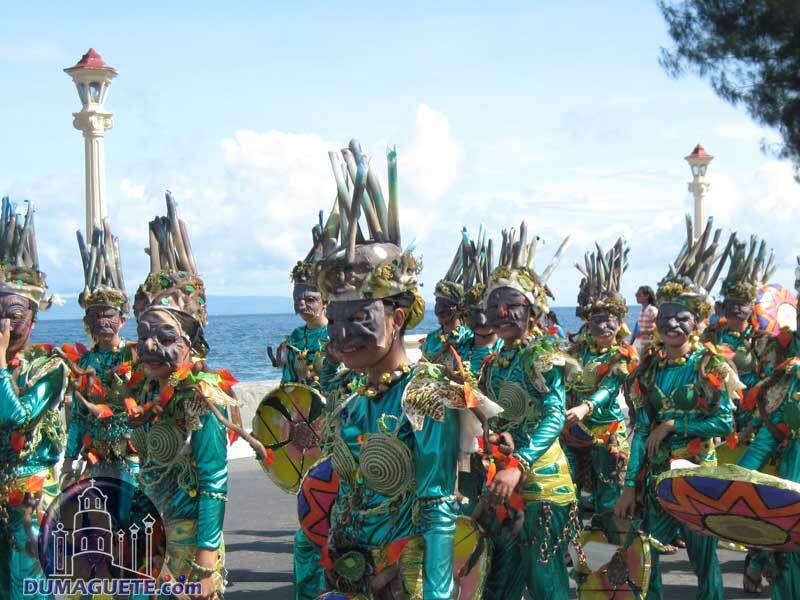 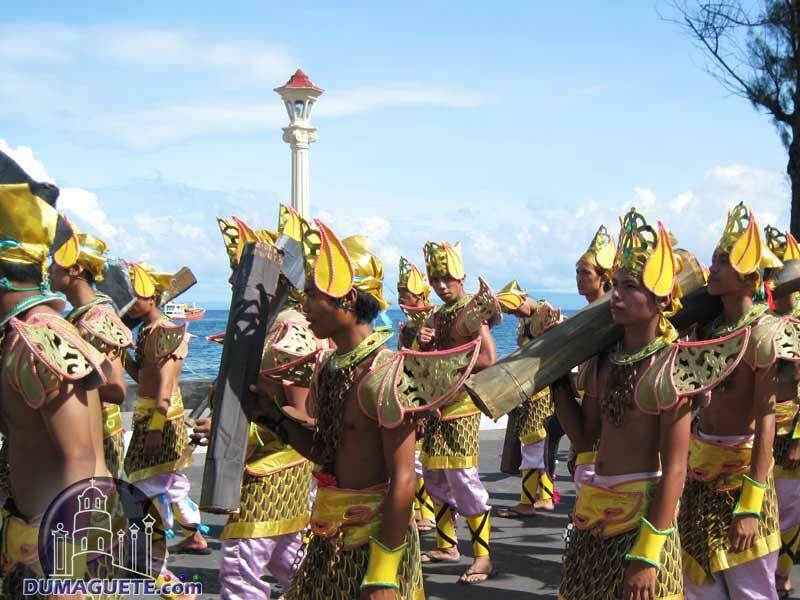 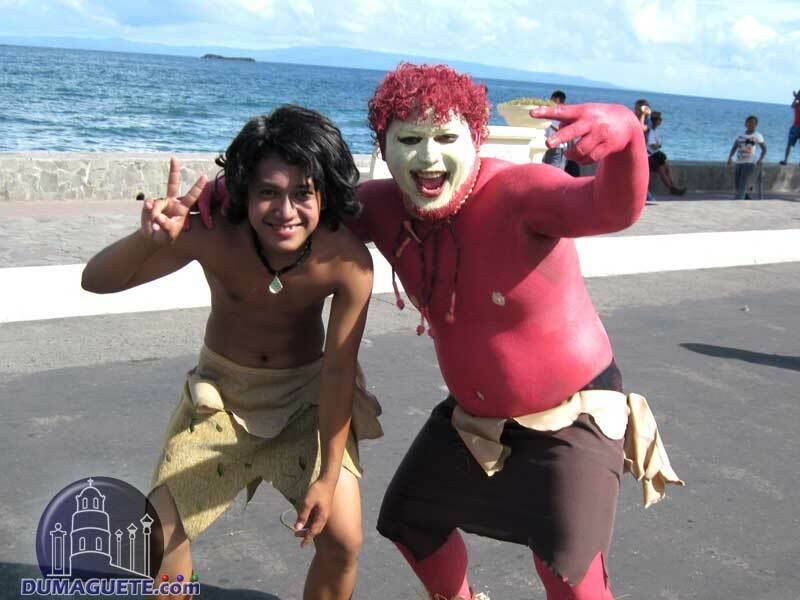 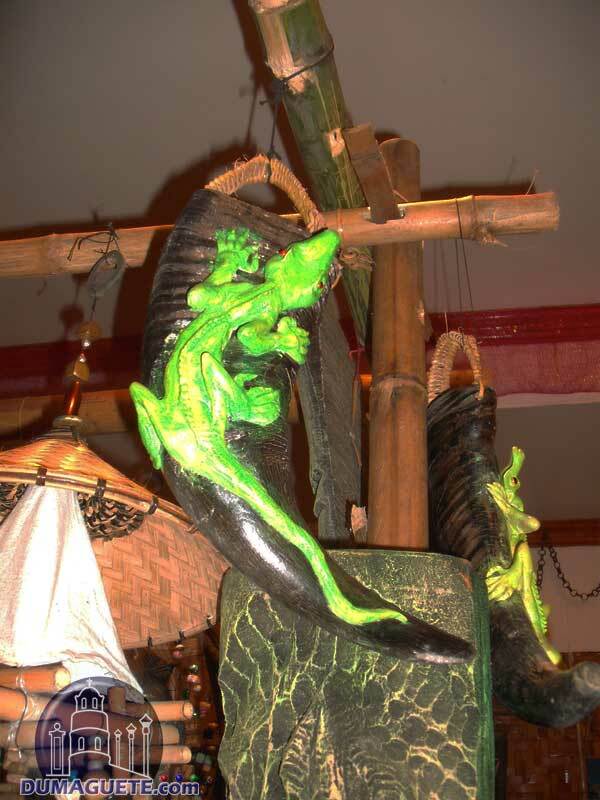 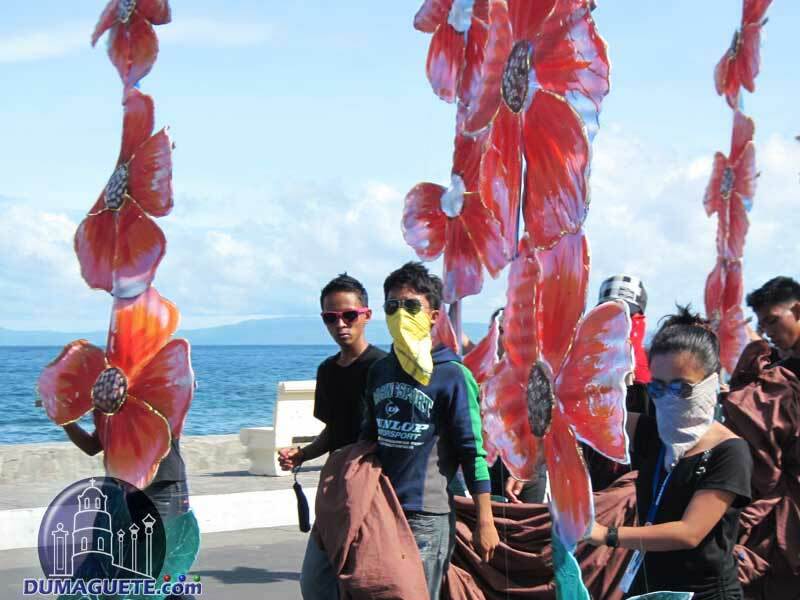 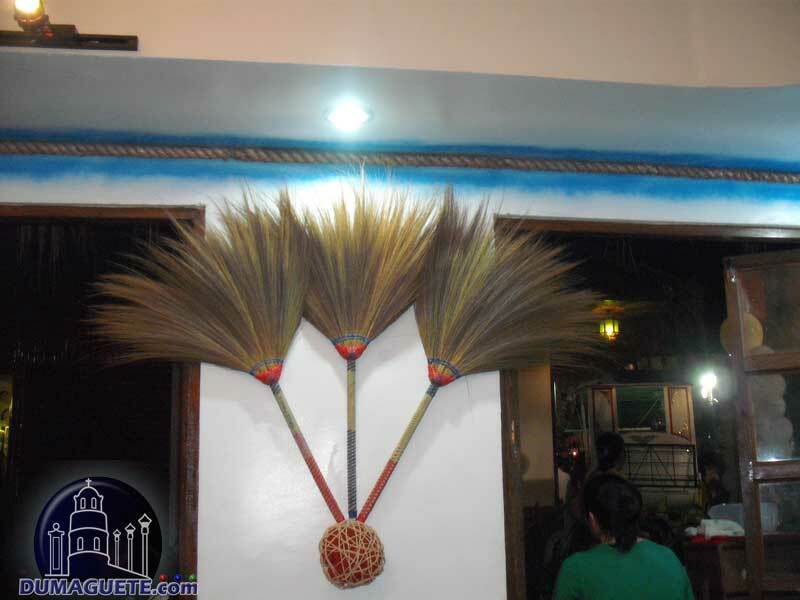 Following just a view pictures of the Sandurot Festival 2011 in Dumaguete. 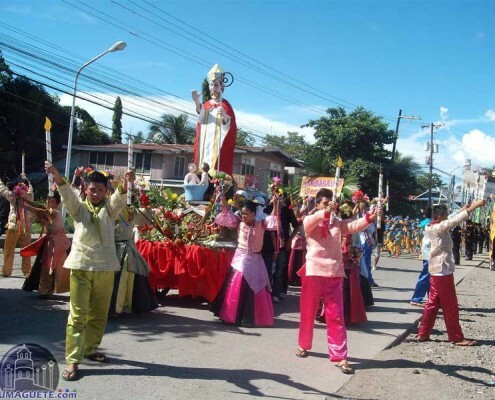 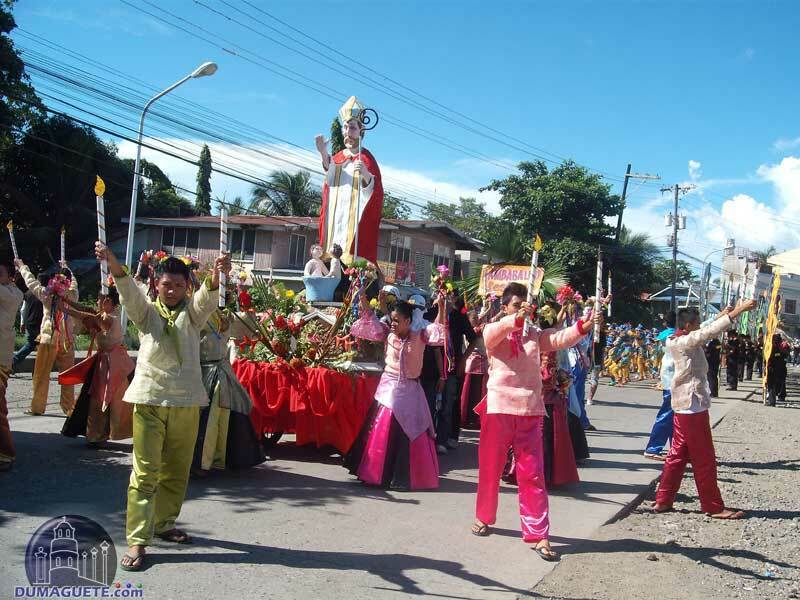 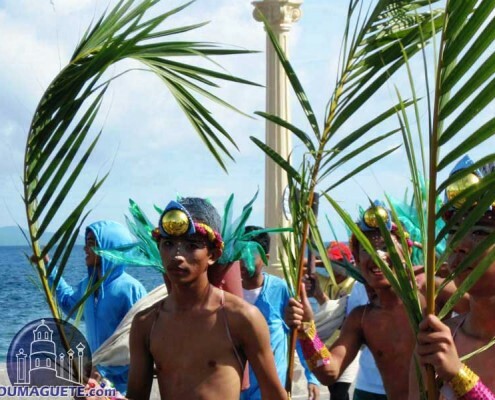 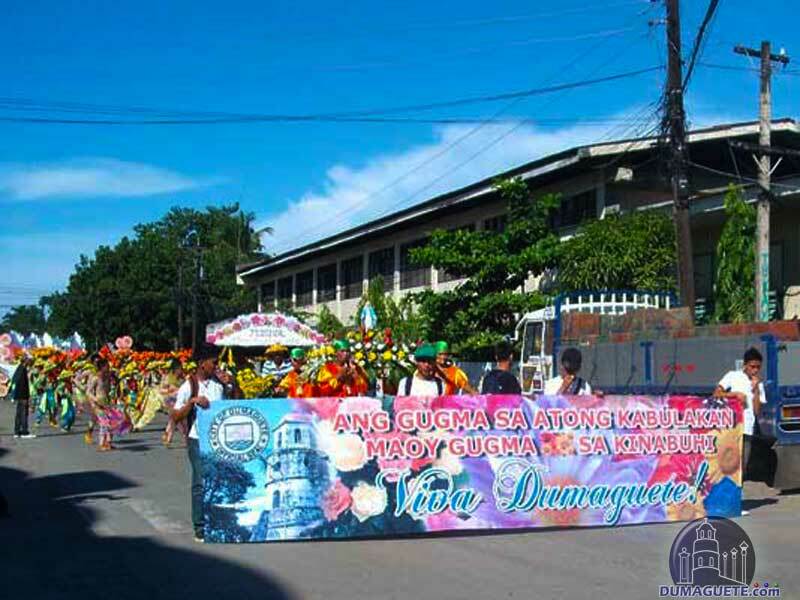 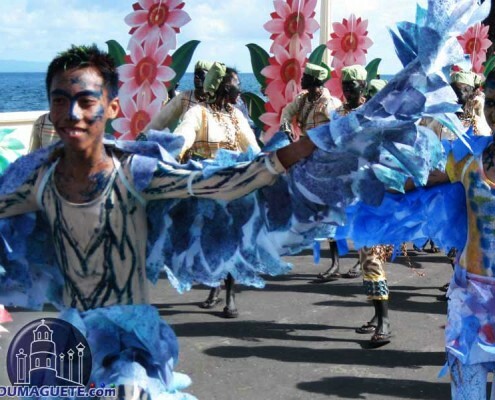 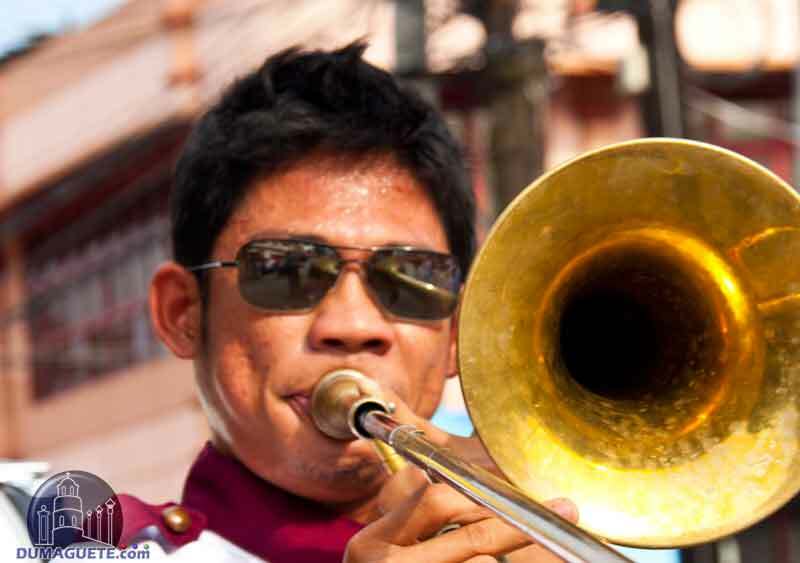 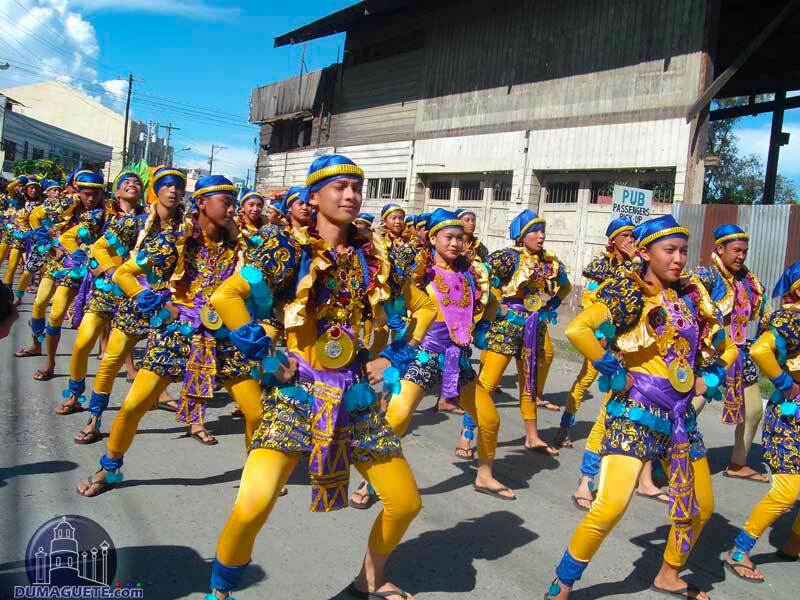 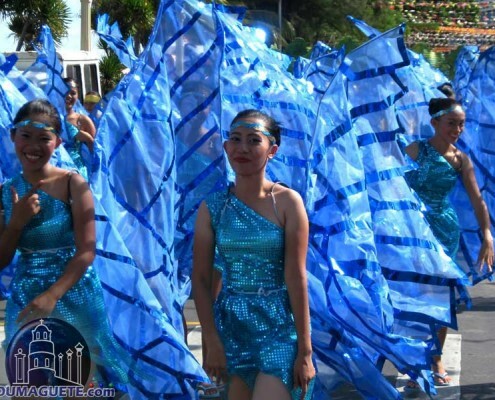 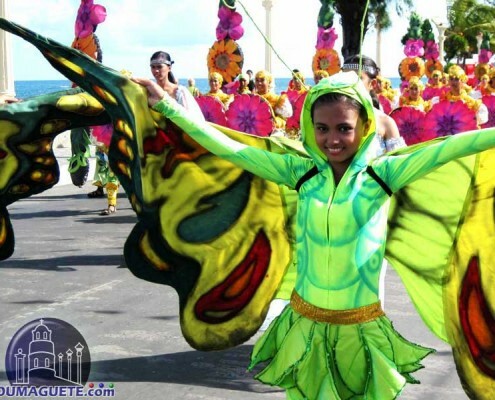 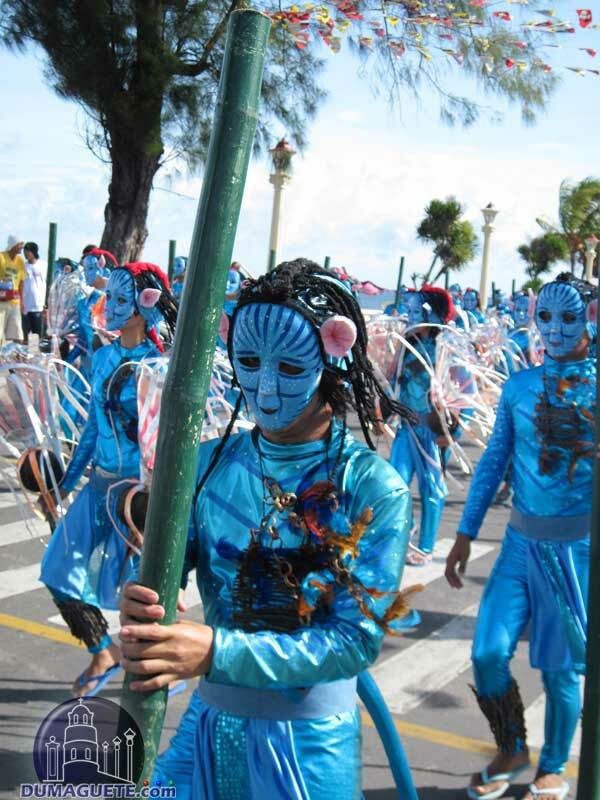 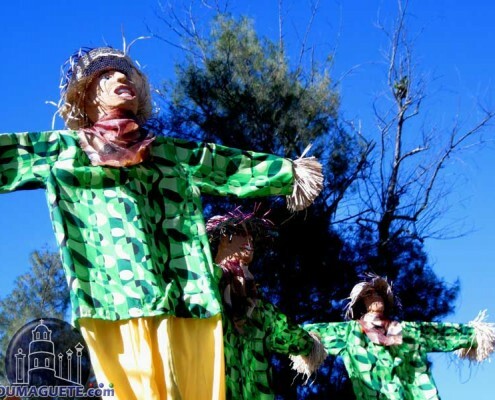 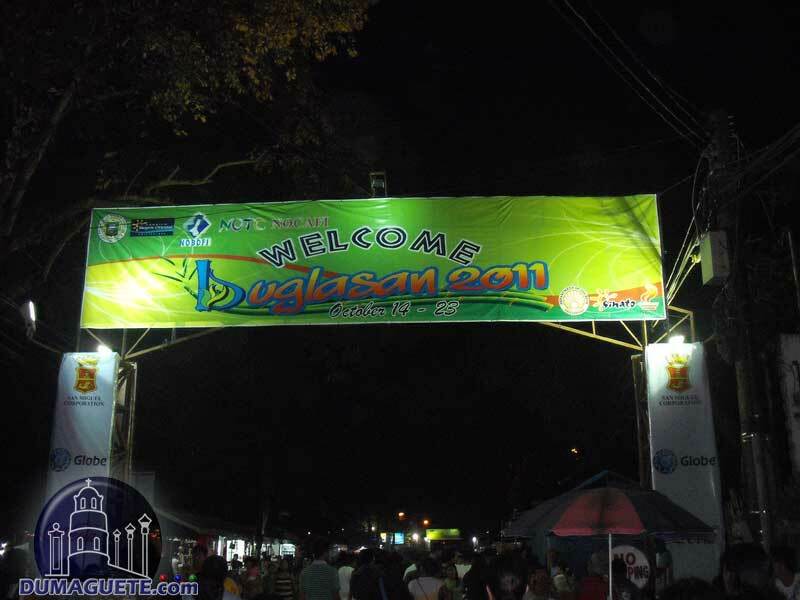 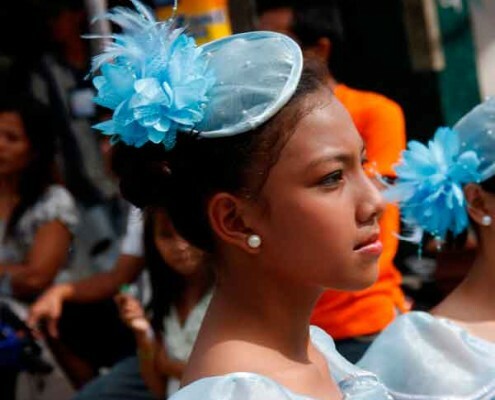 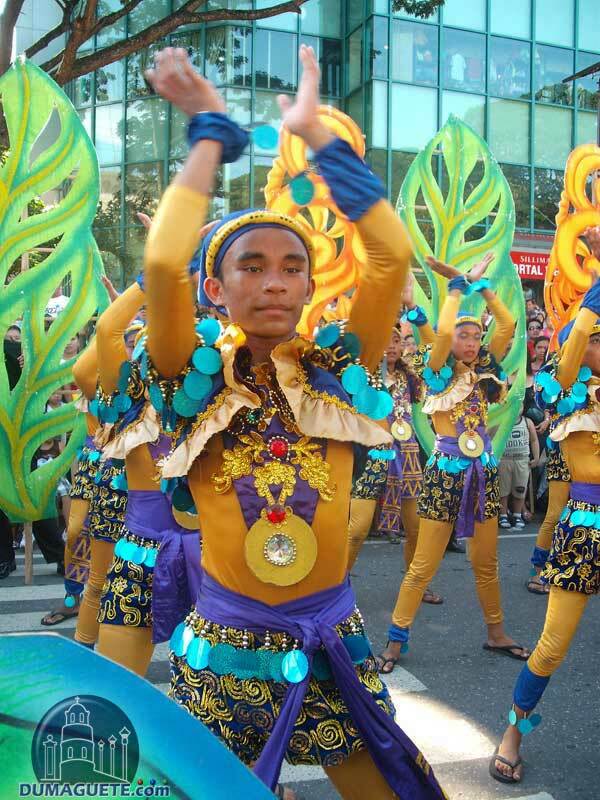 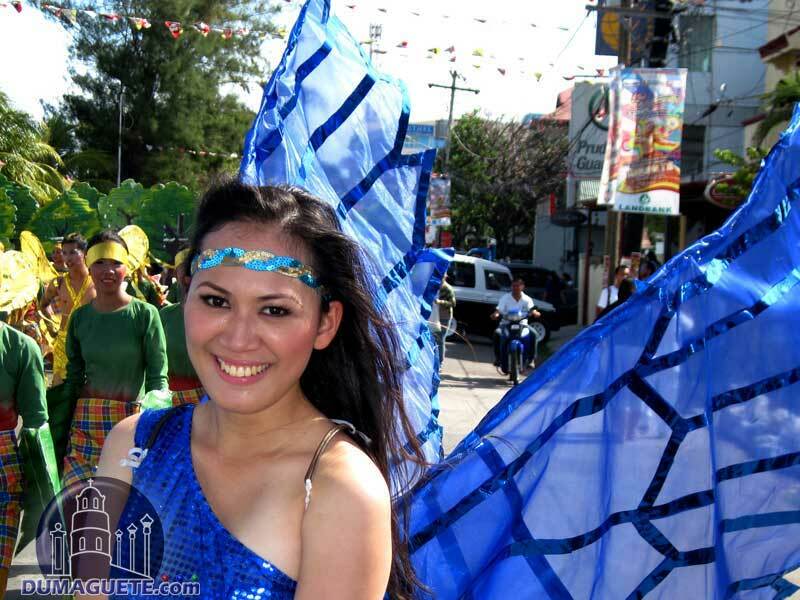 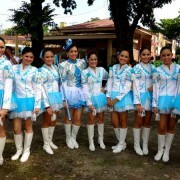 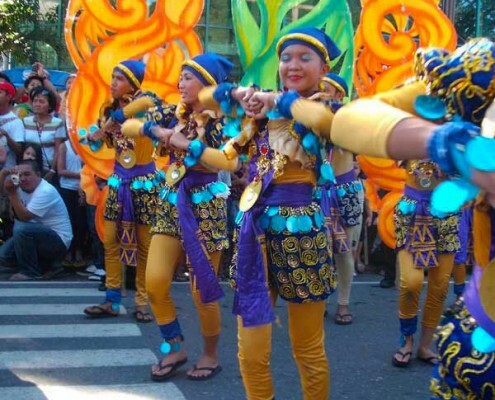 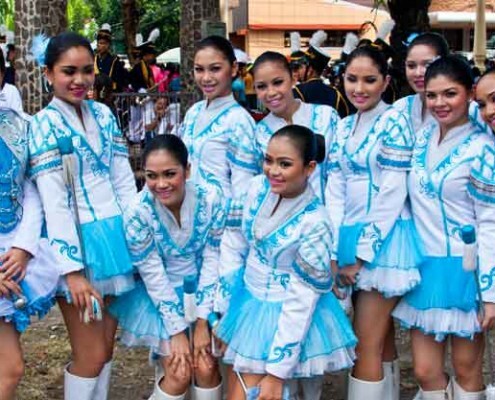 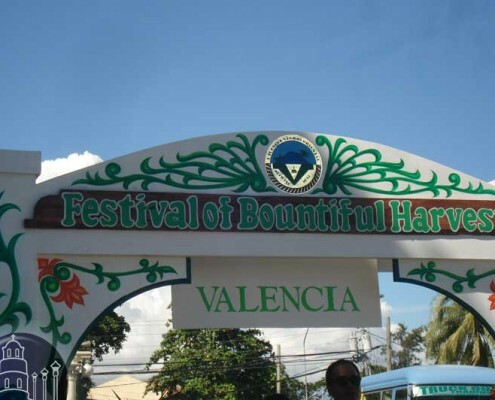 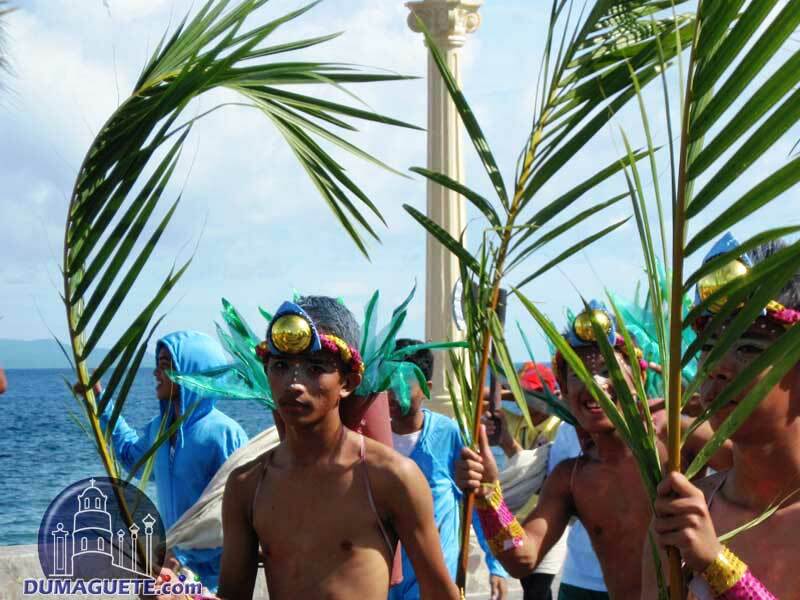 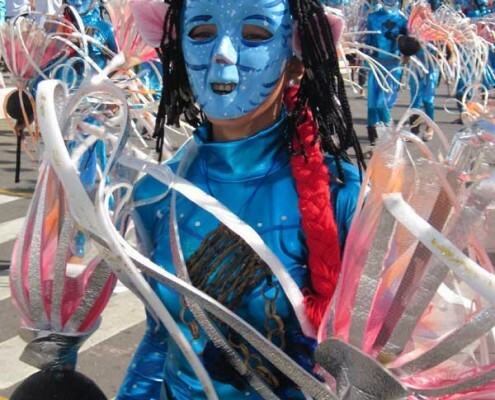 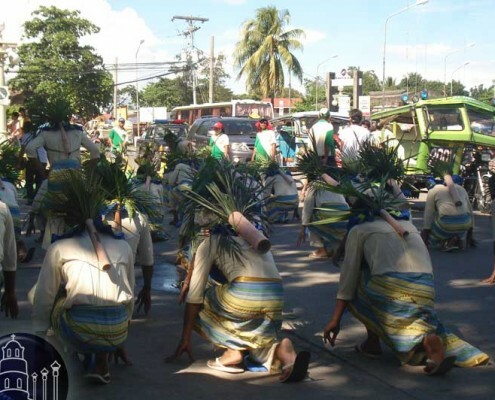 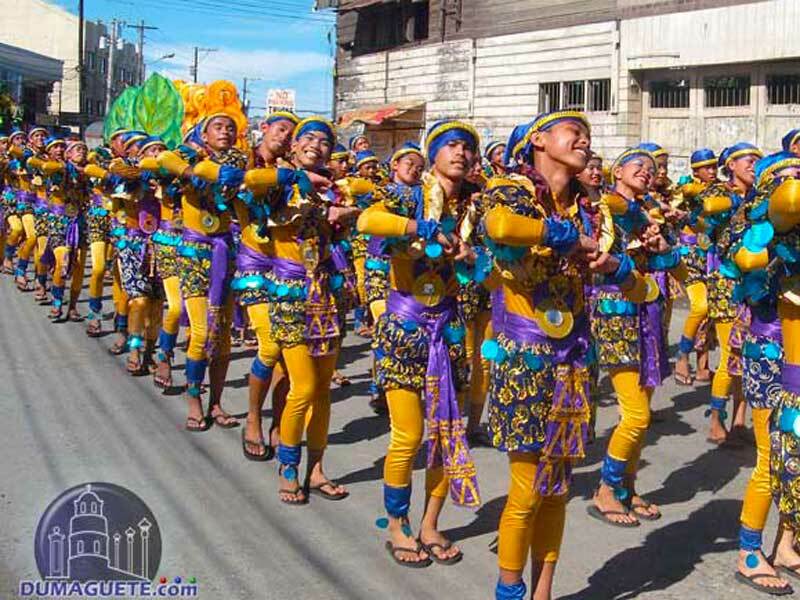 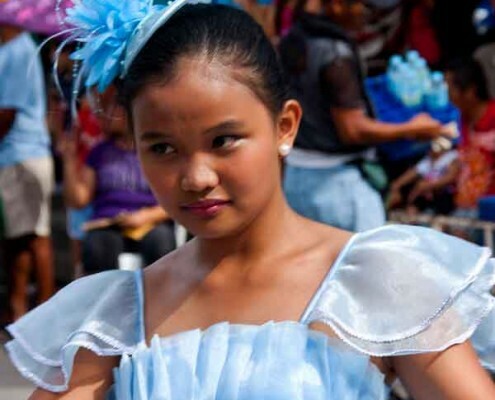 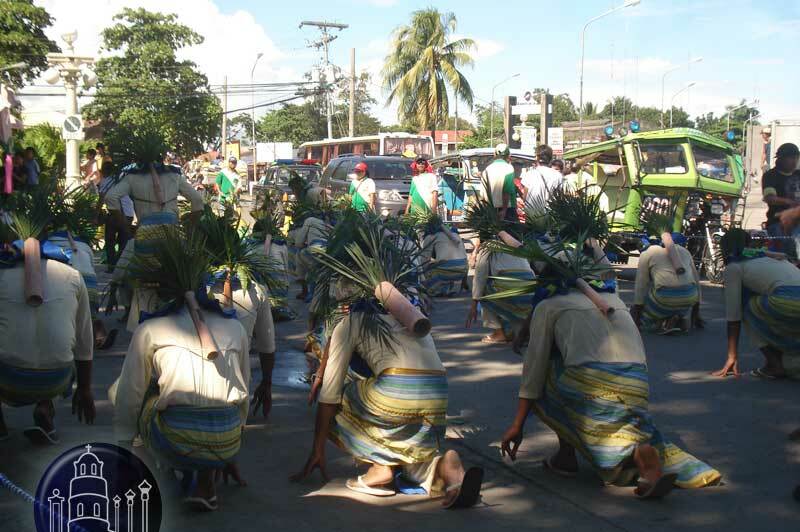 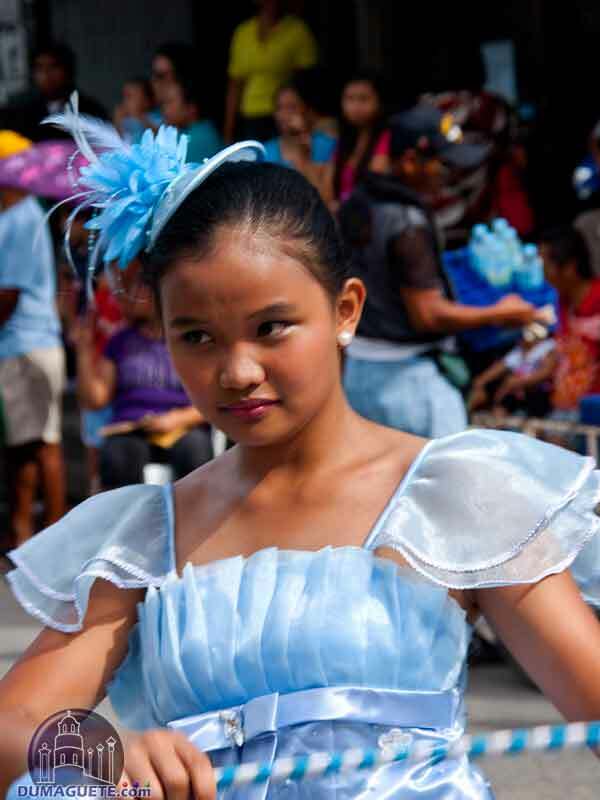 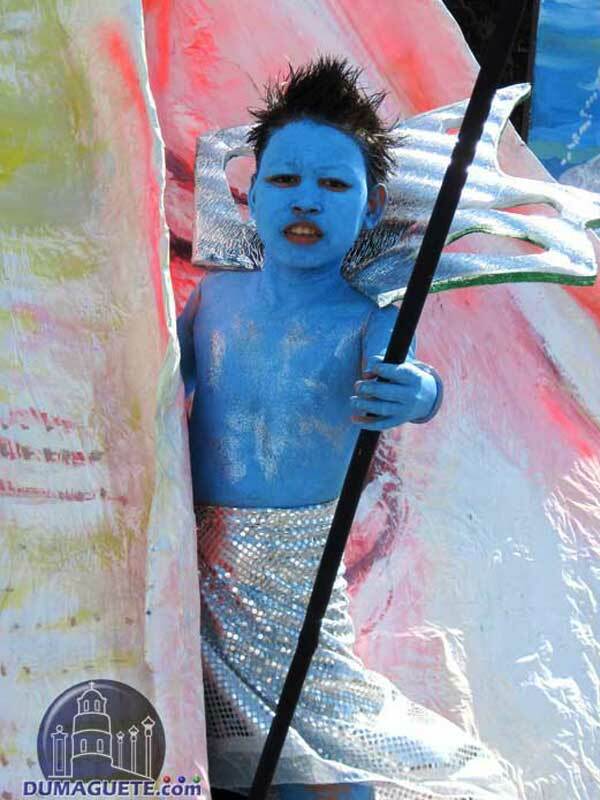 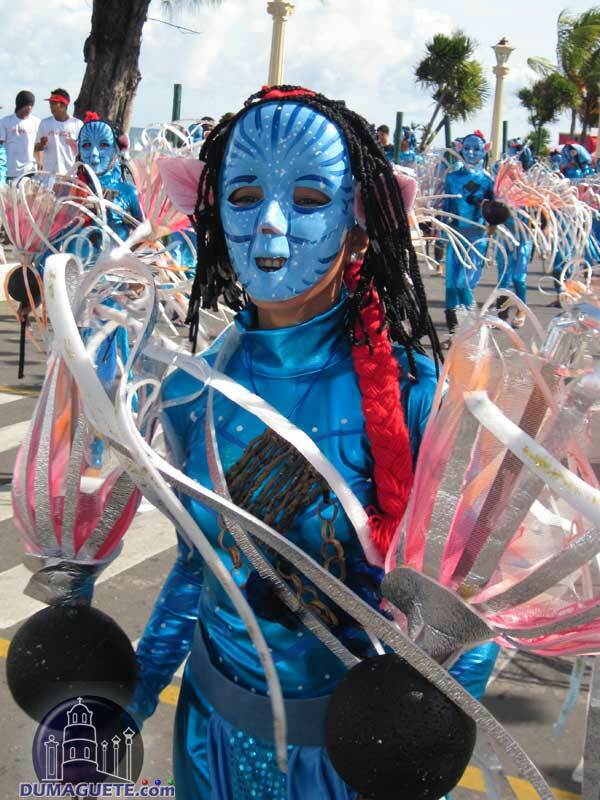 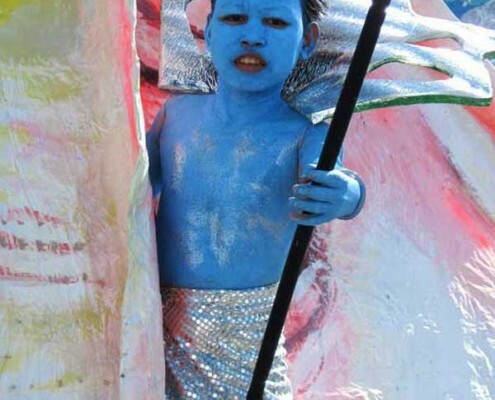 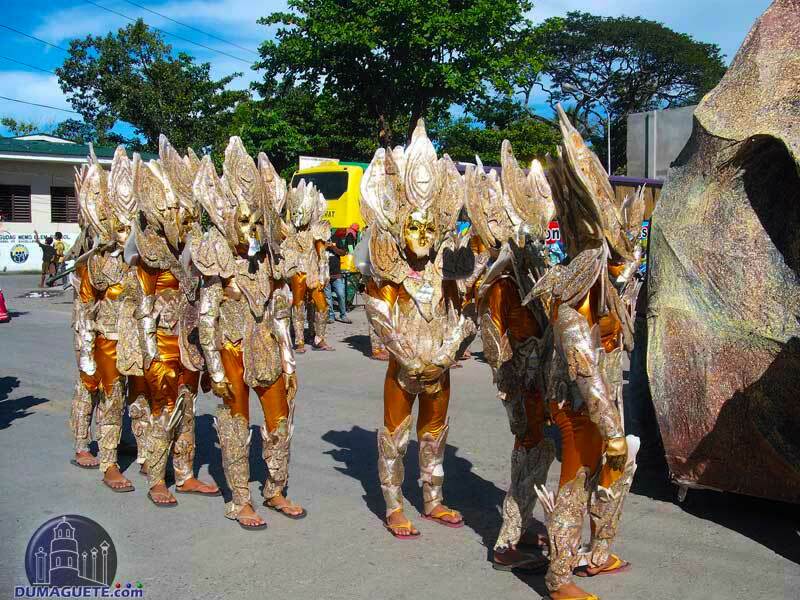 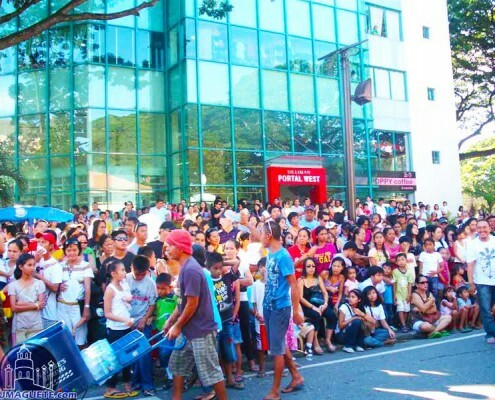 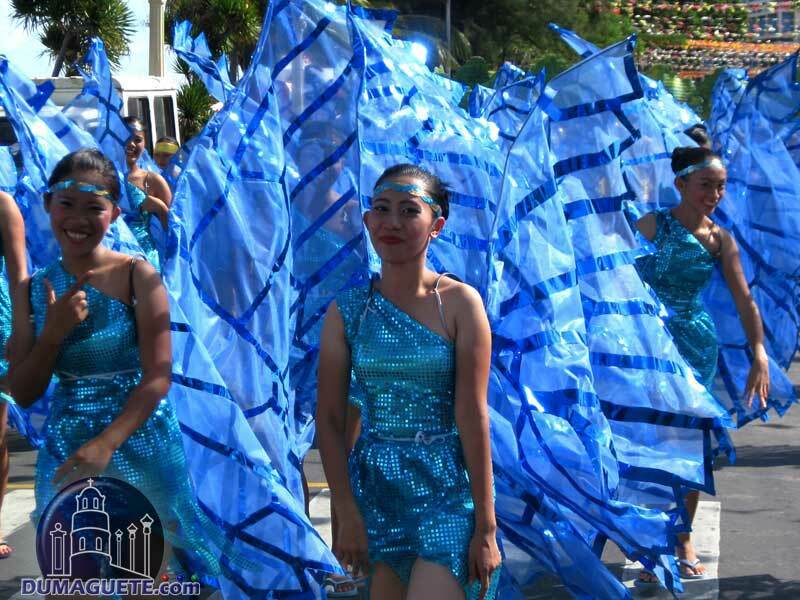 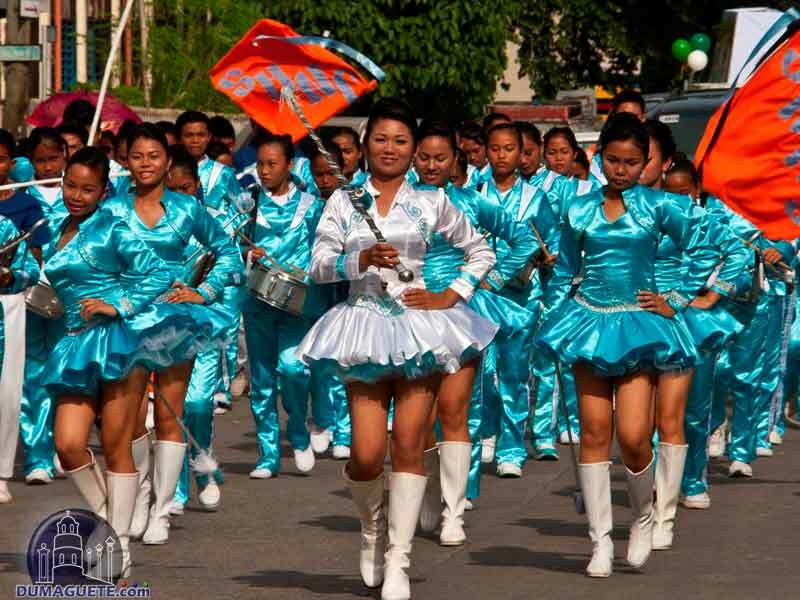 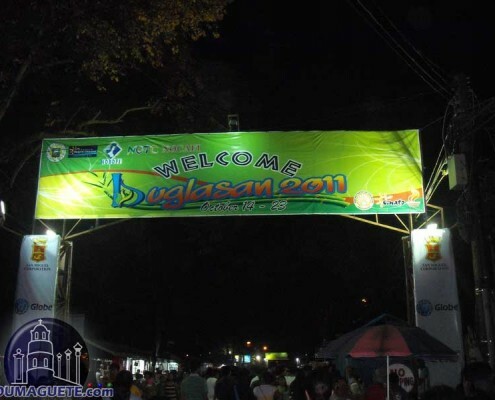 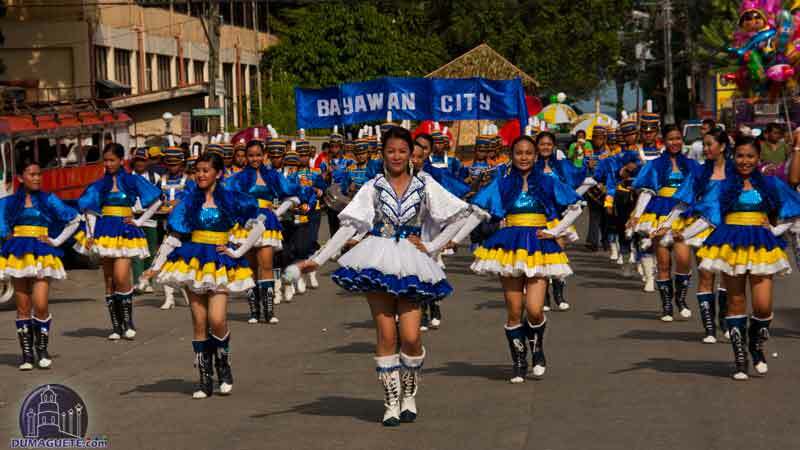 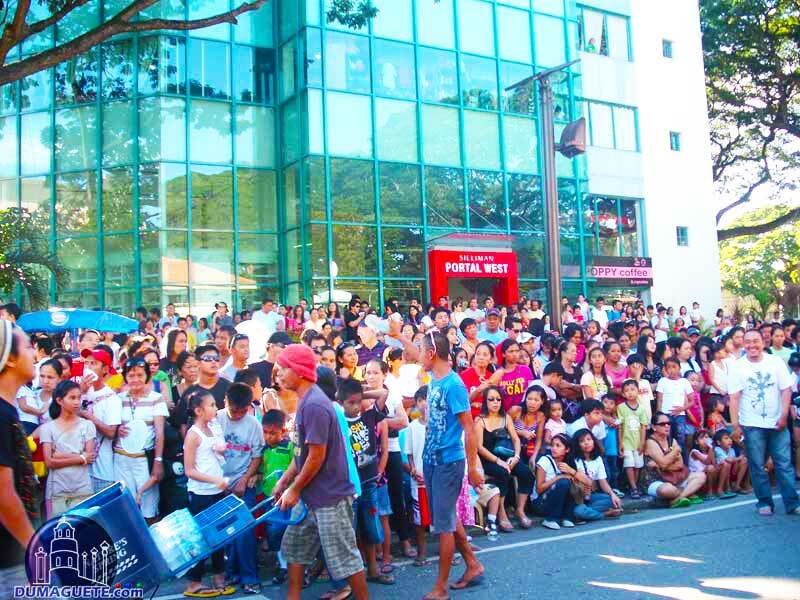 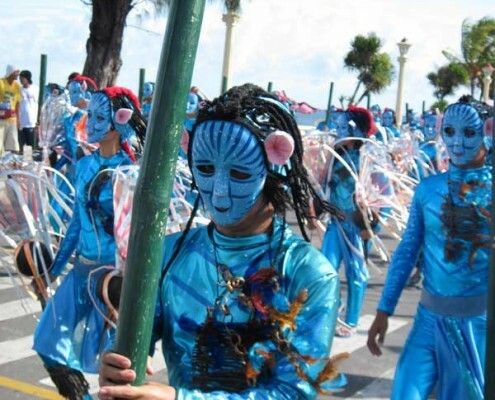 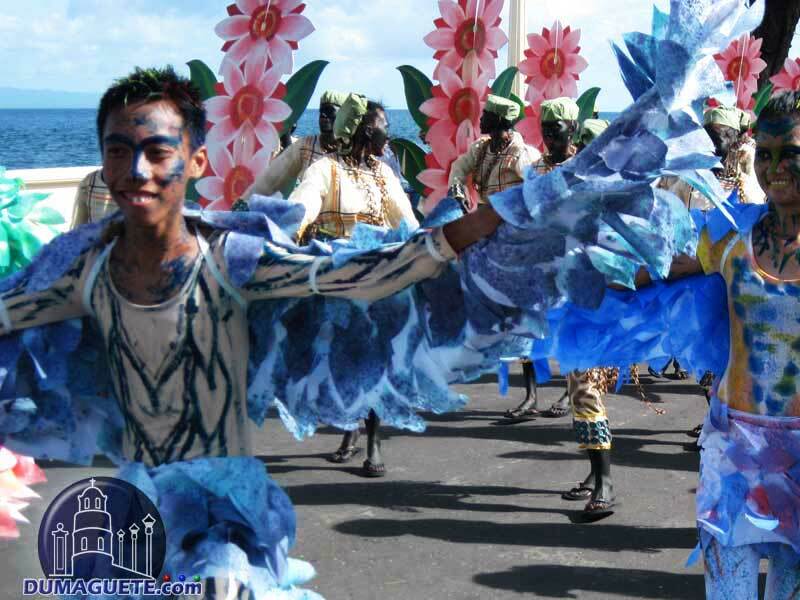 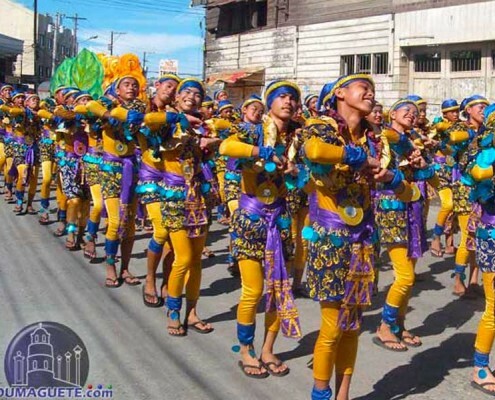 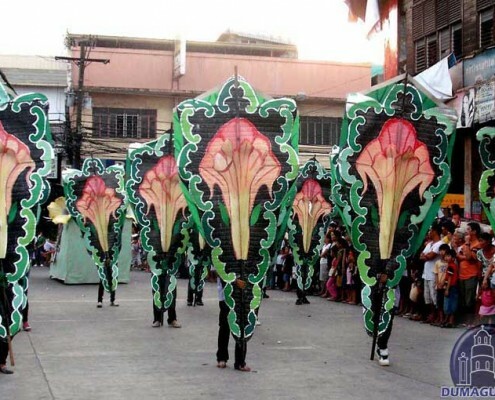 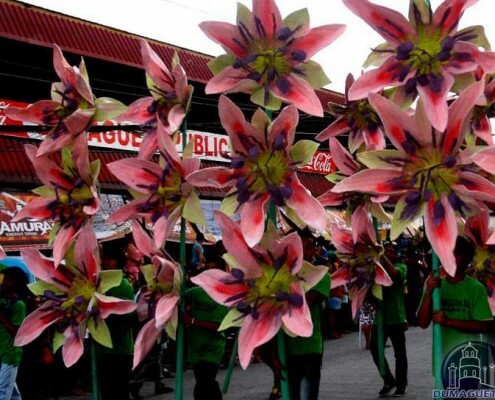 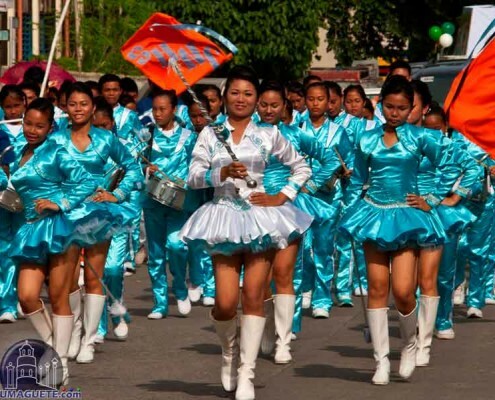 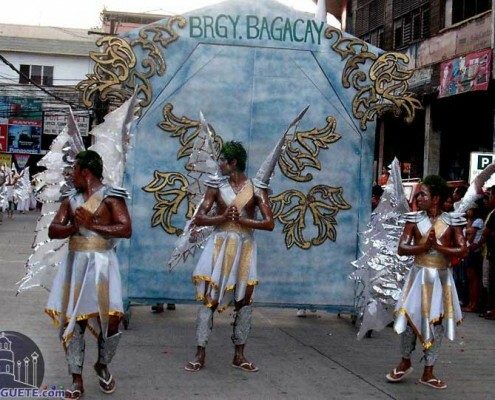 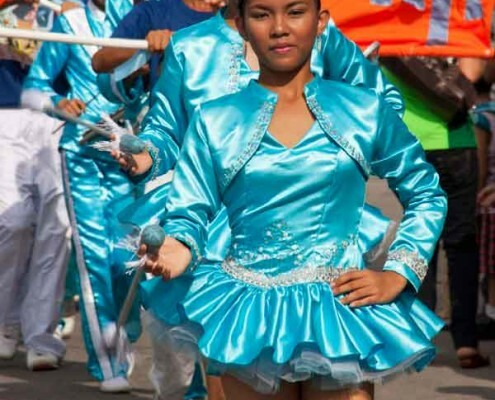 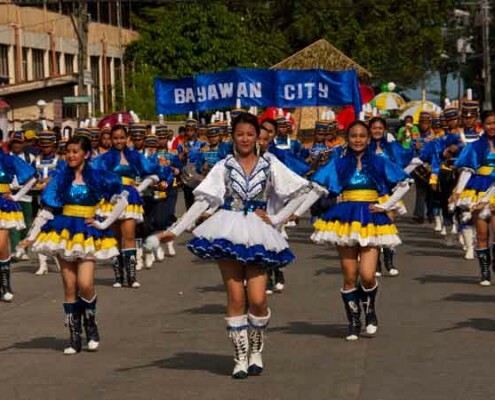 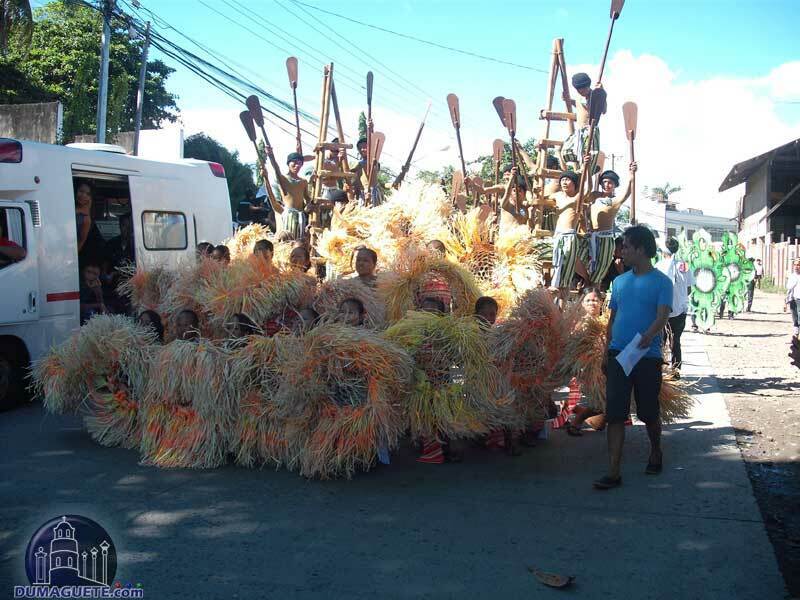 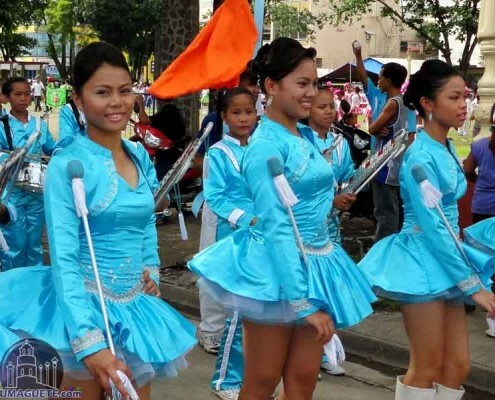 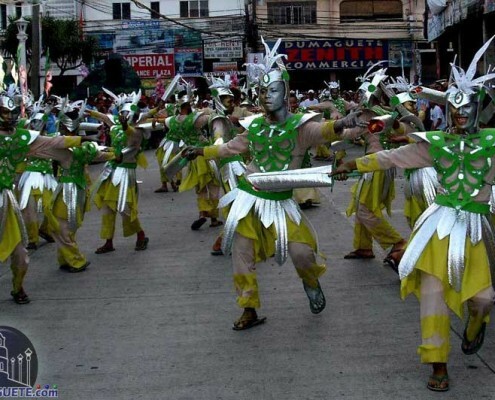 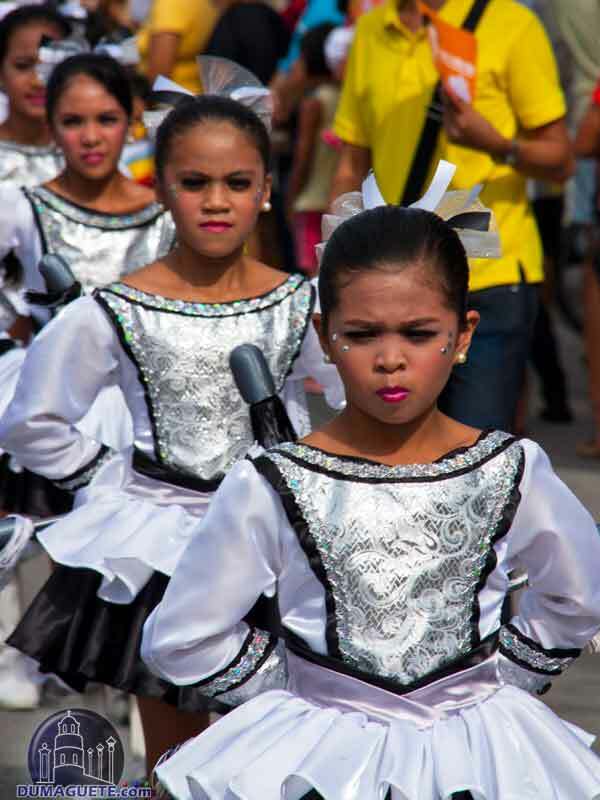 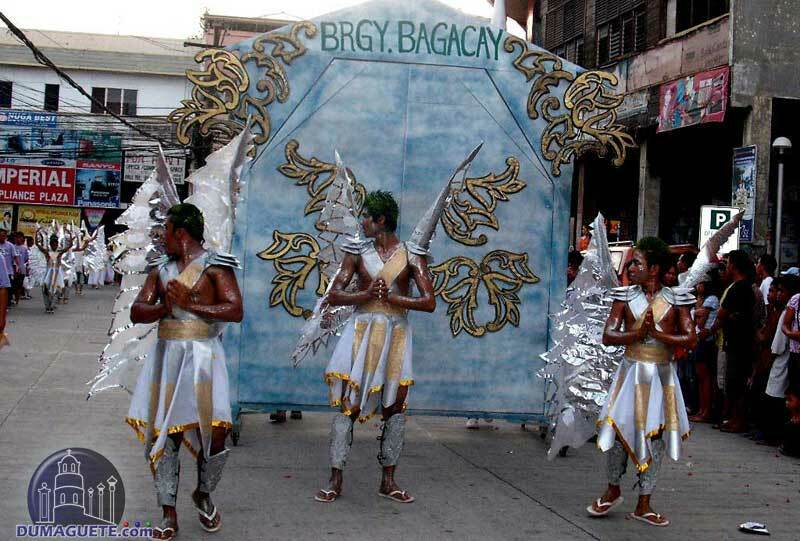 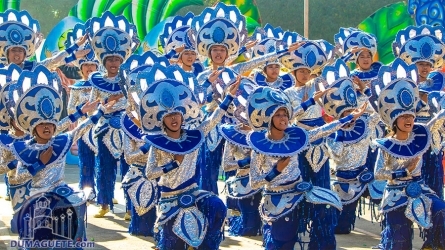 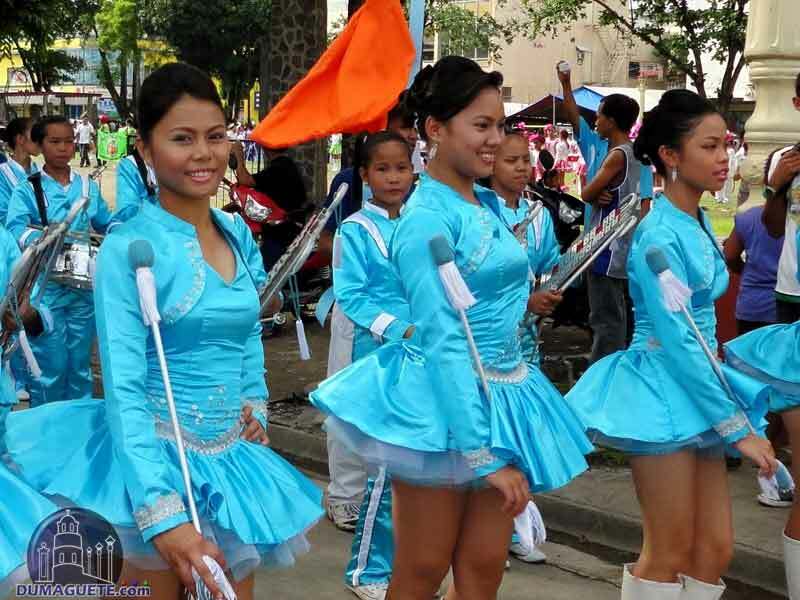 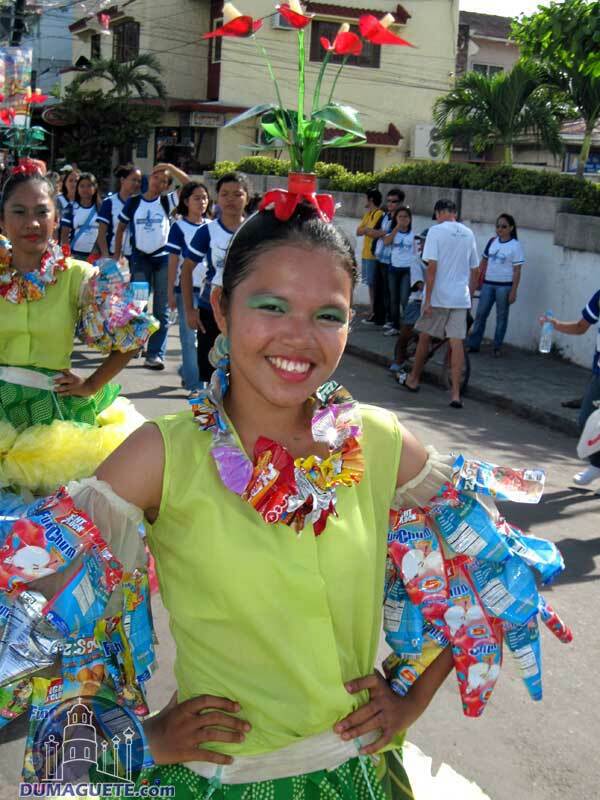 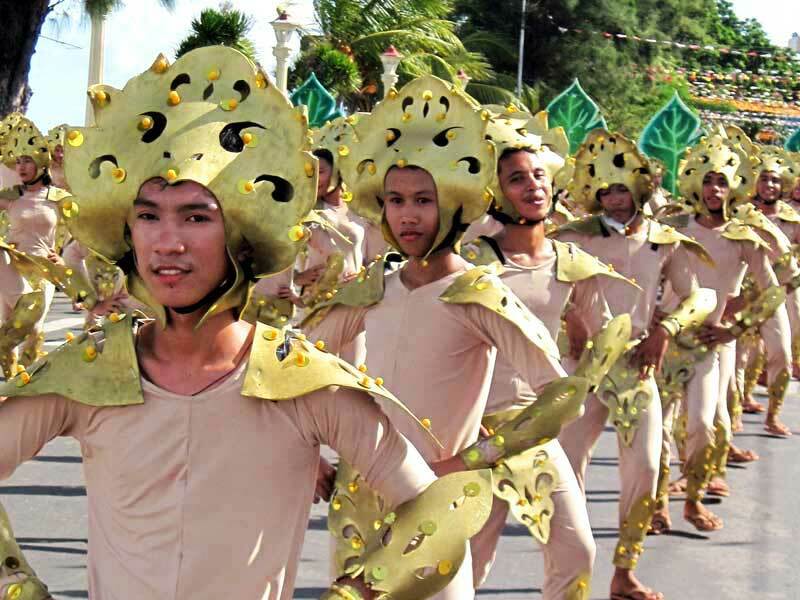 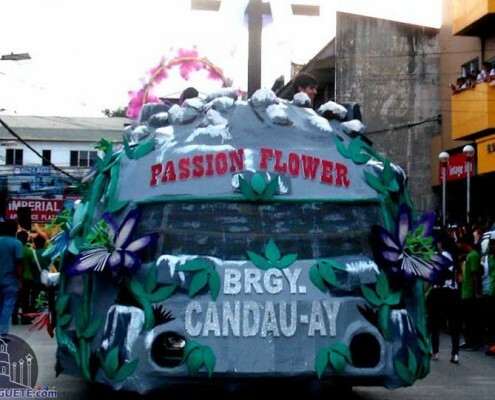 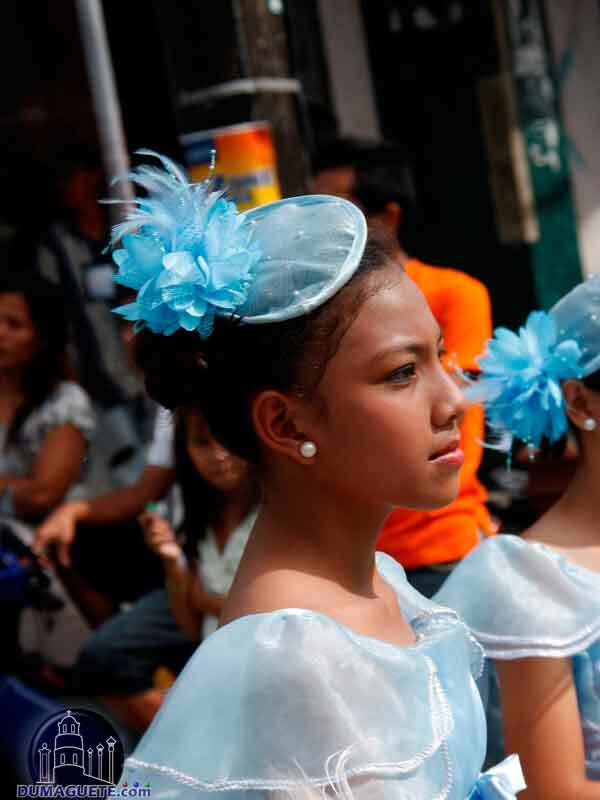 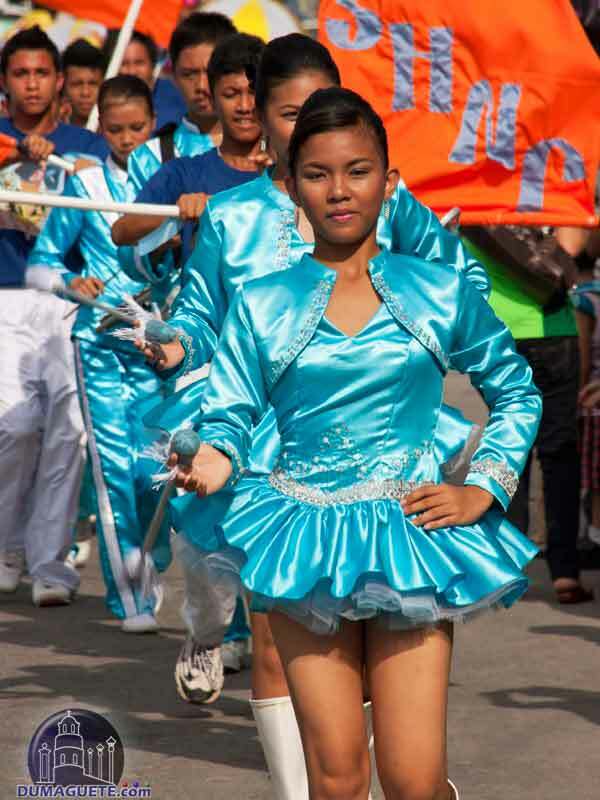 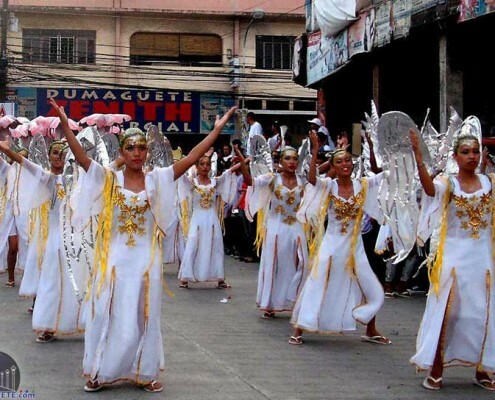 The Street Dance Parade of Buglasan 2011 was under a wonderful blue sky. 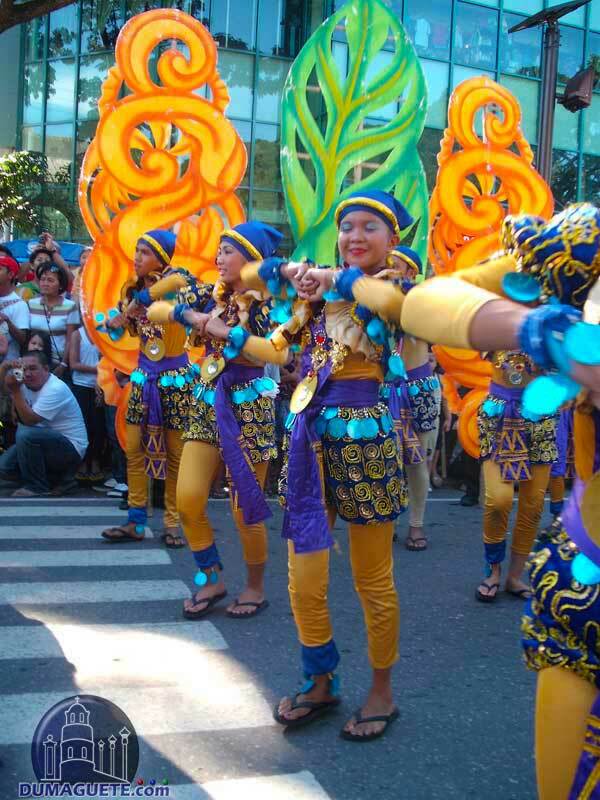 This was great for the thousands of spectators of this years colorful parade, but very hard on the participants. 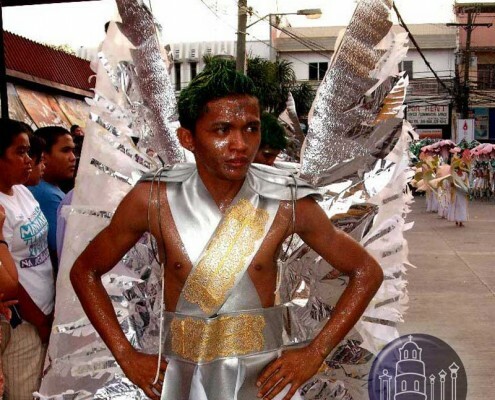 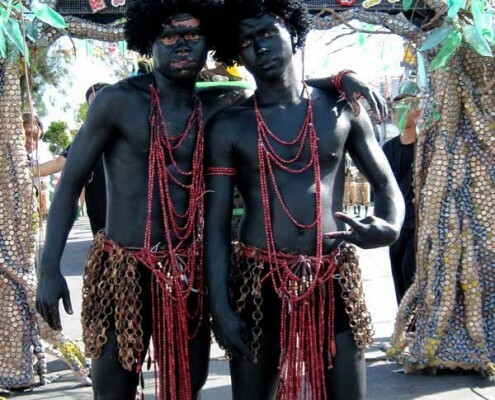 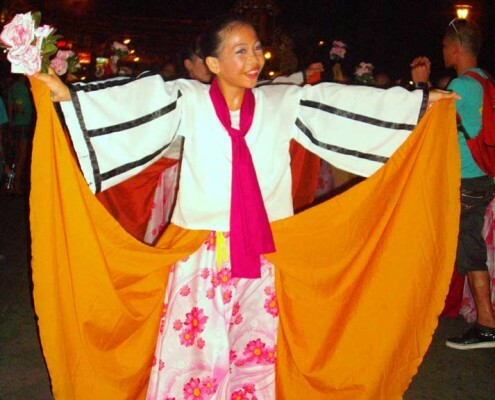 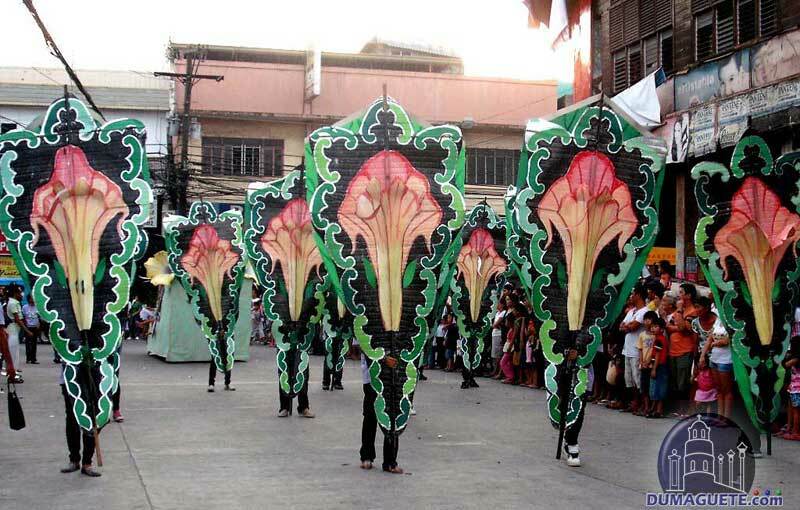 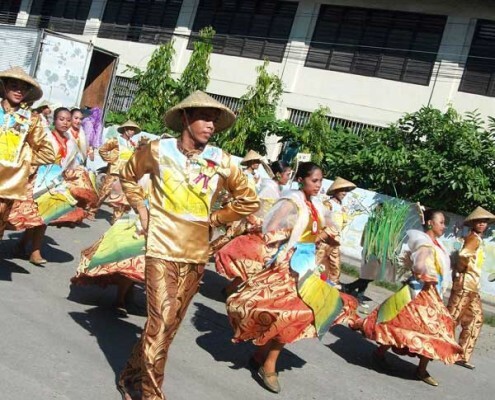 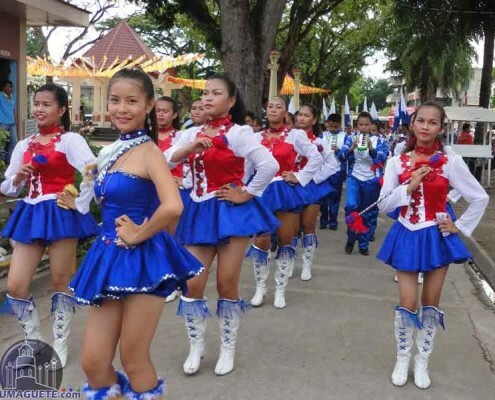 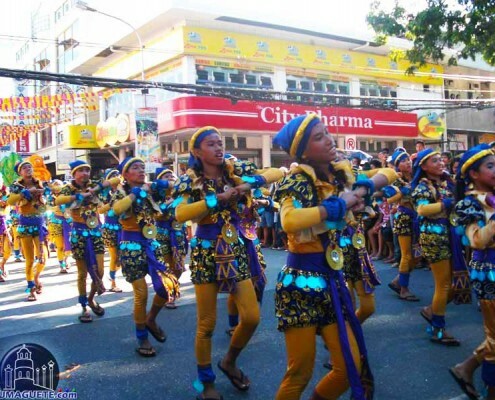 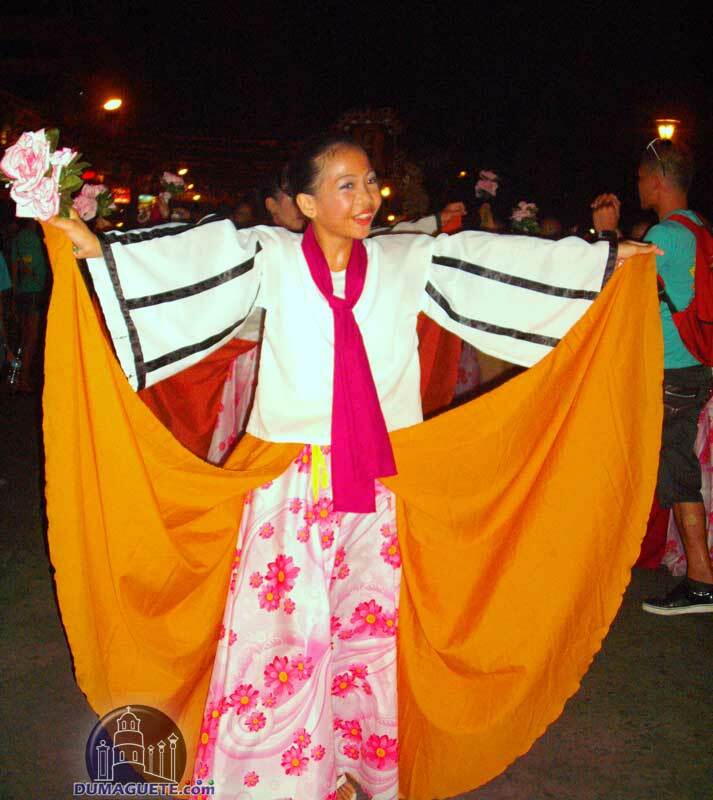 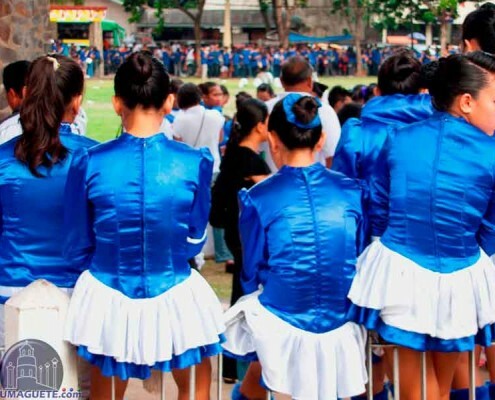 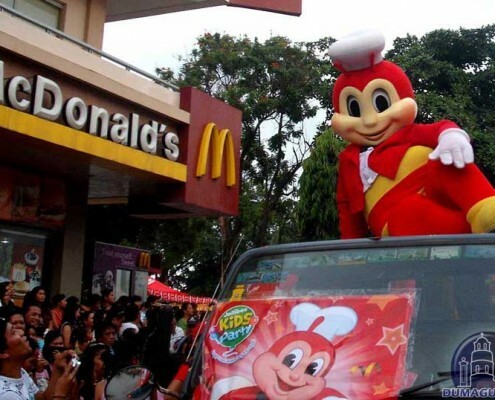 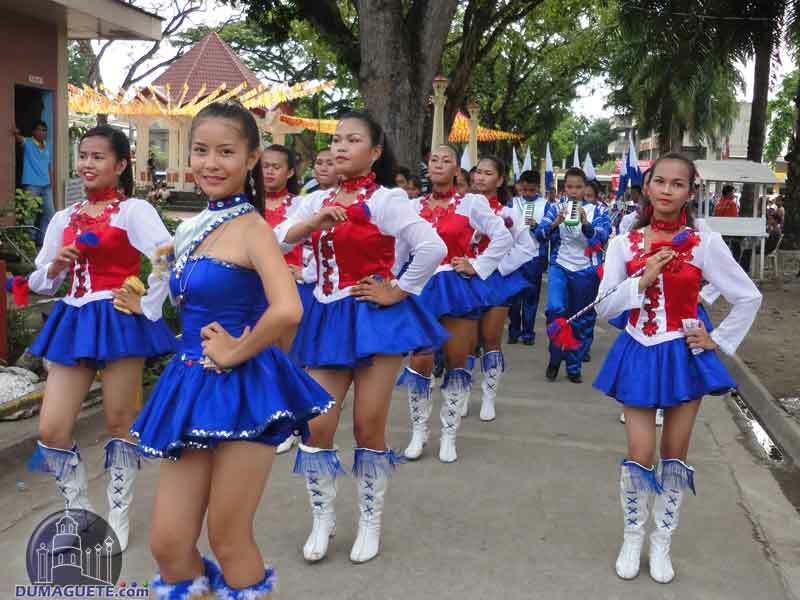 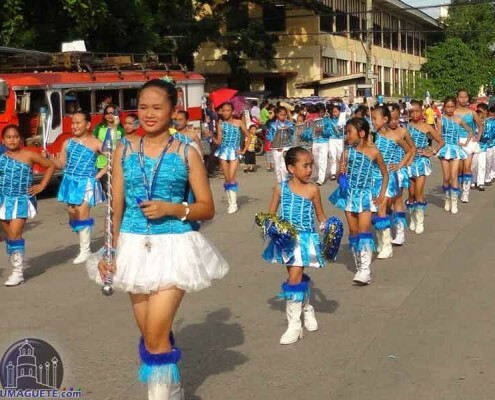 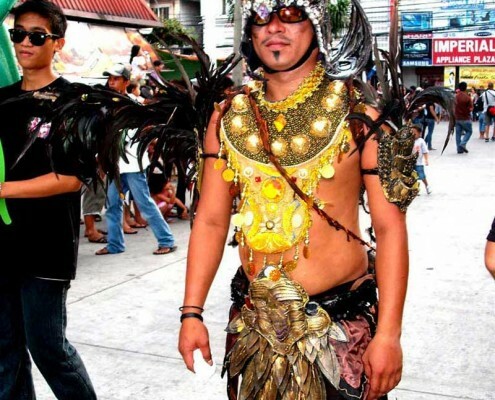 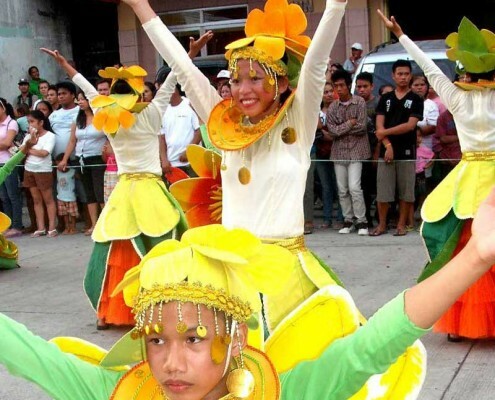 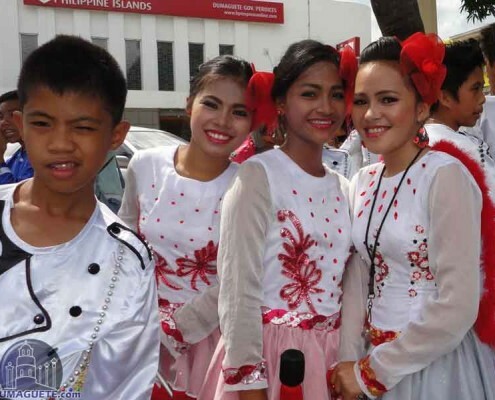 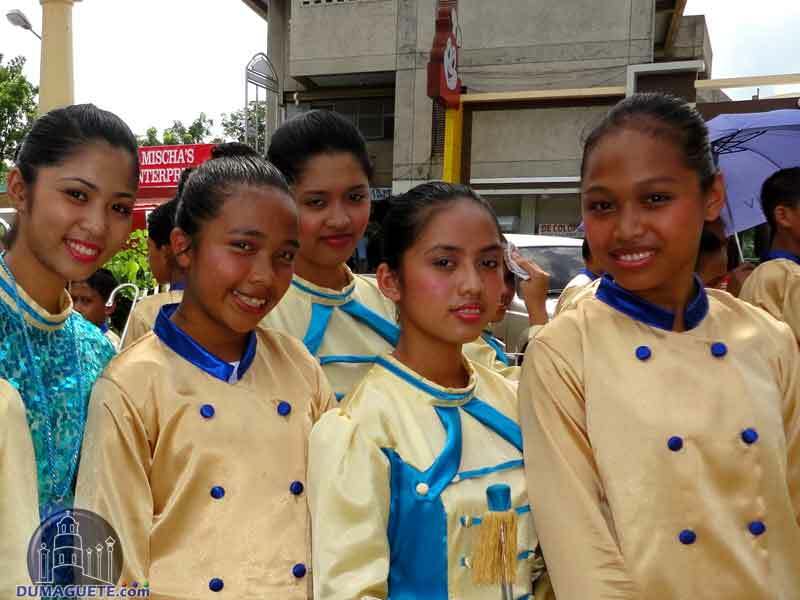 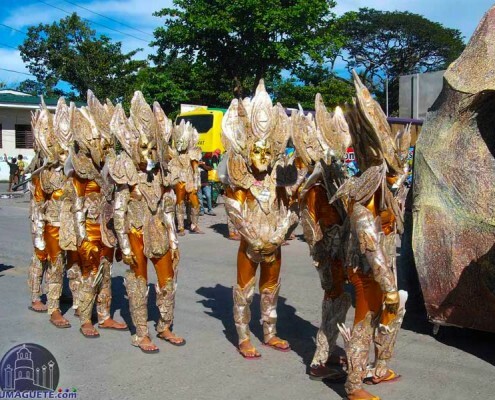 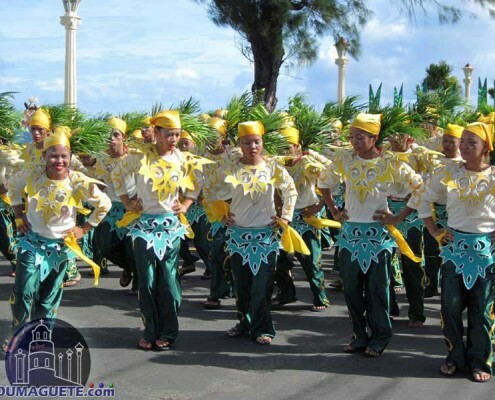 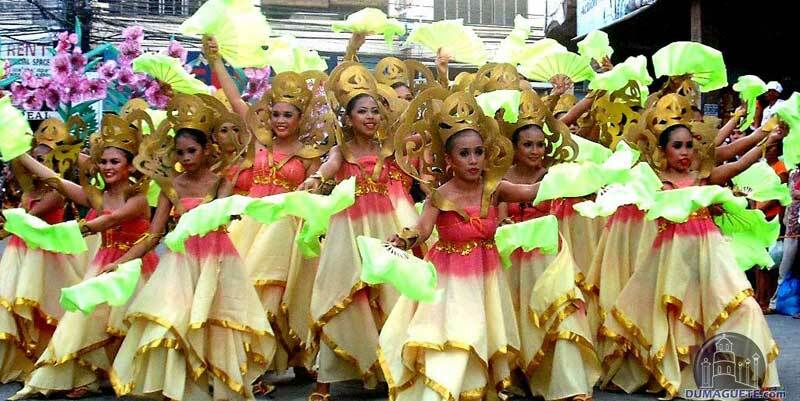 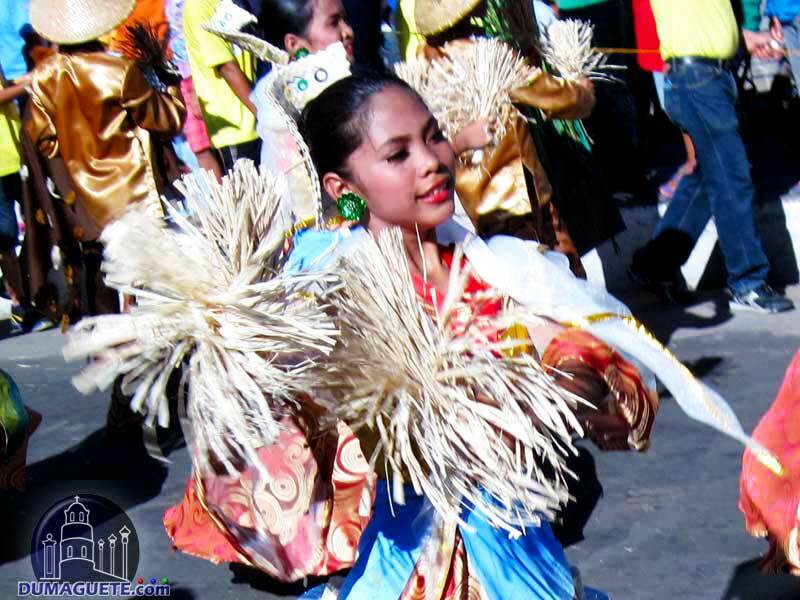 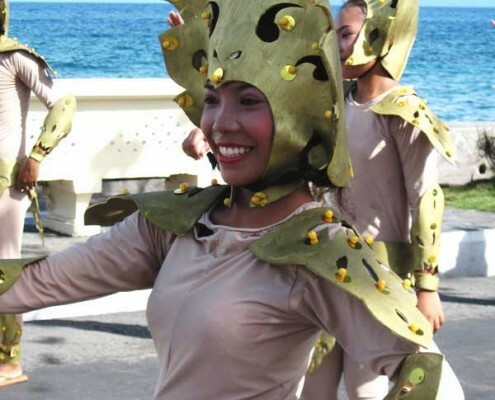 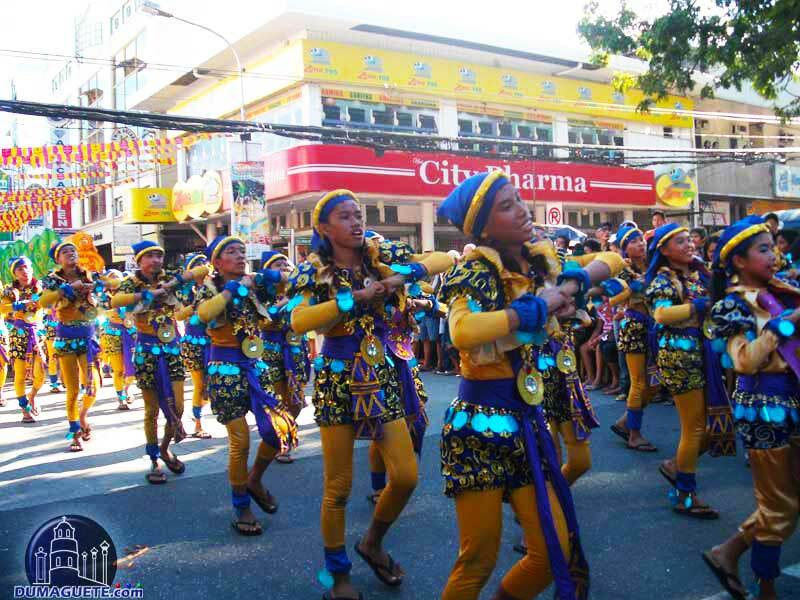 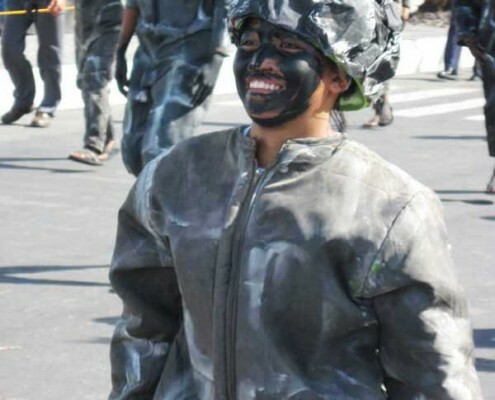 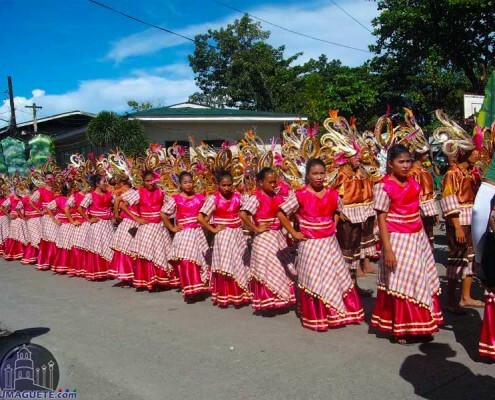 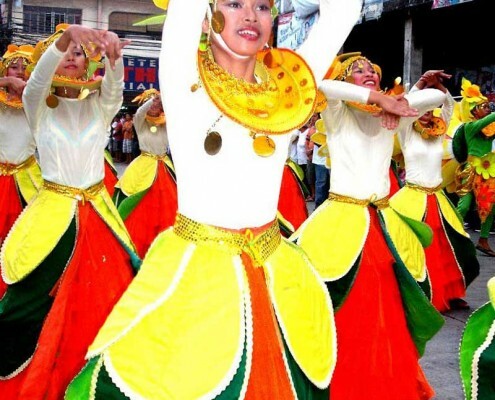 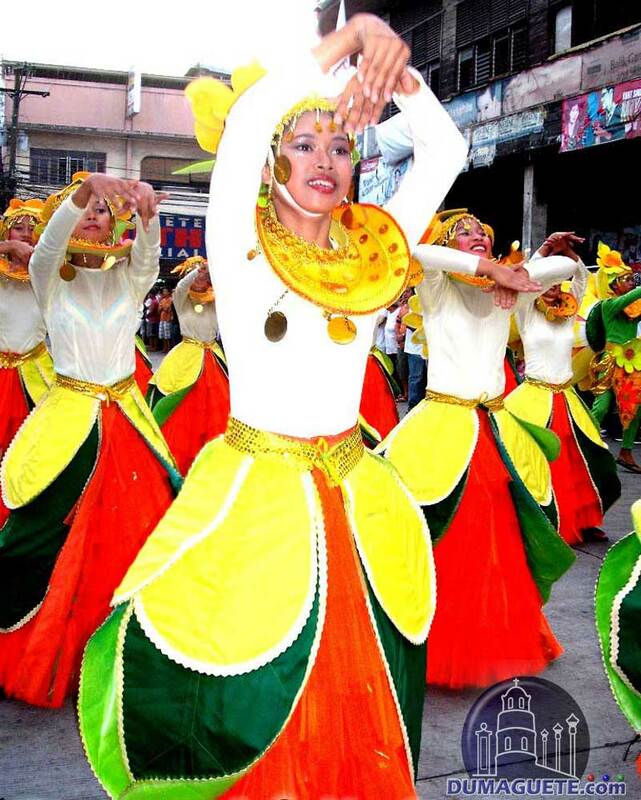 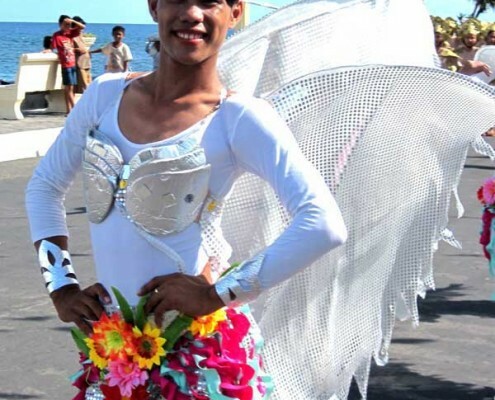 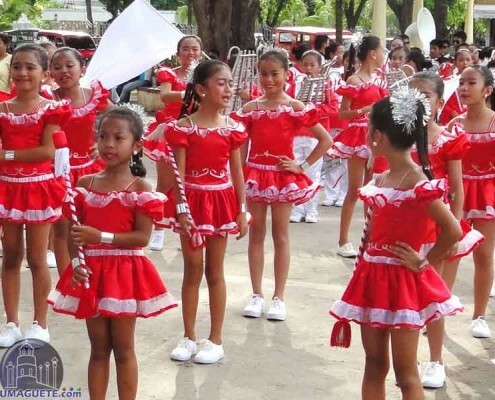 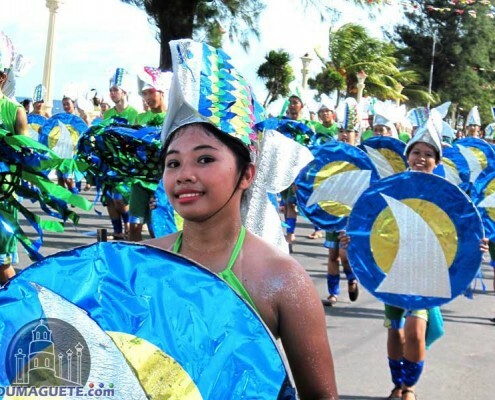 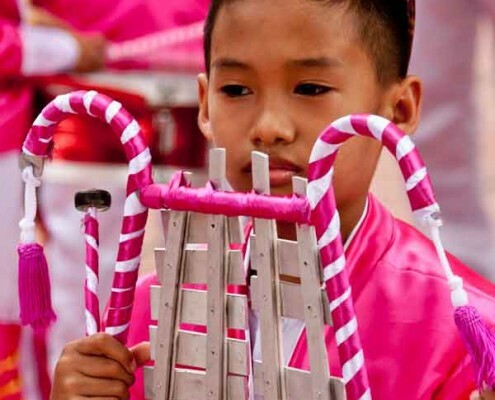 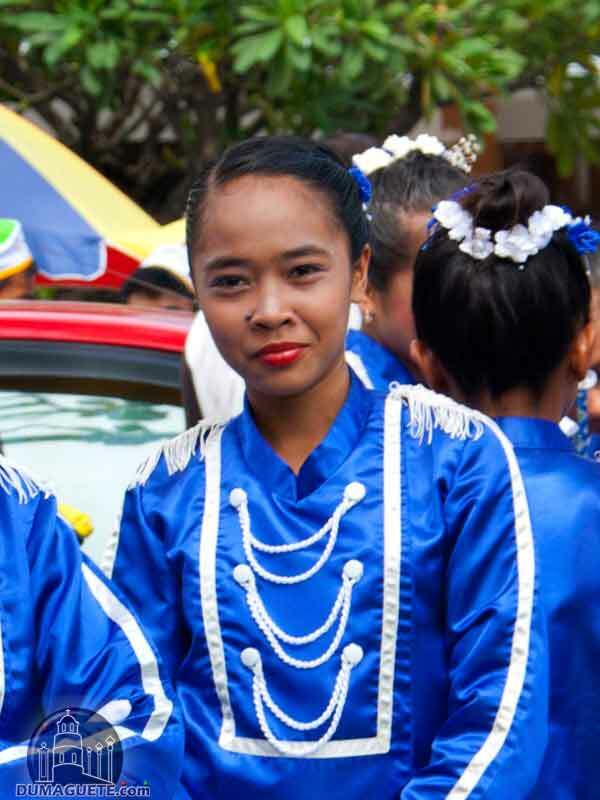 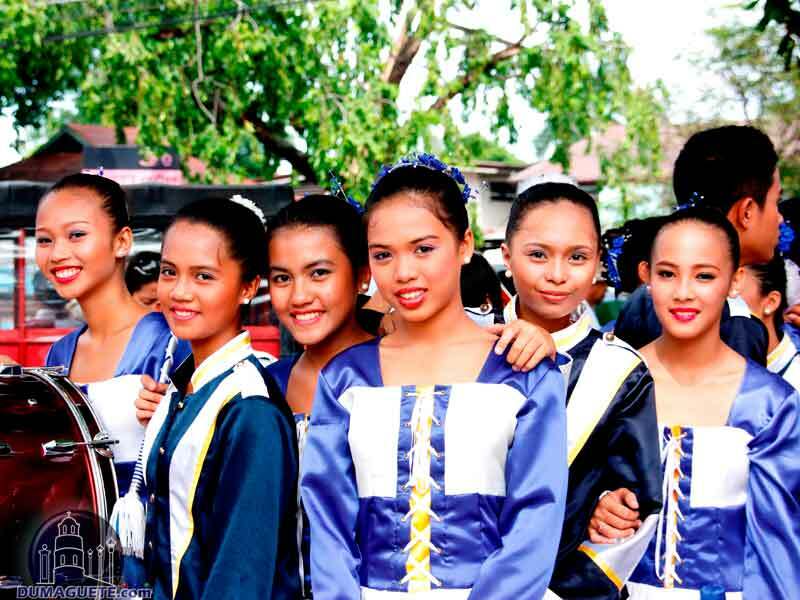 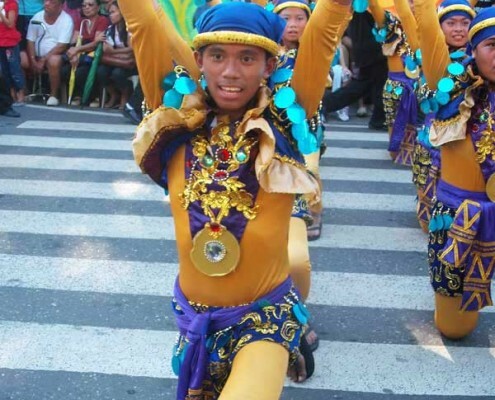 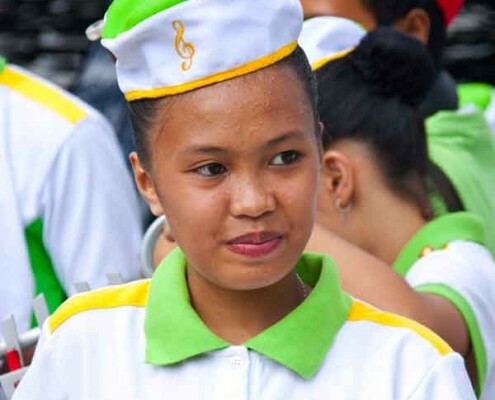 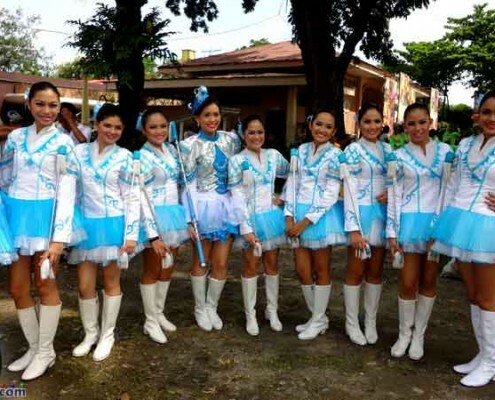 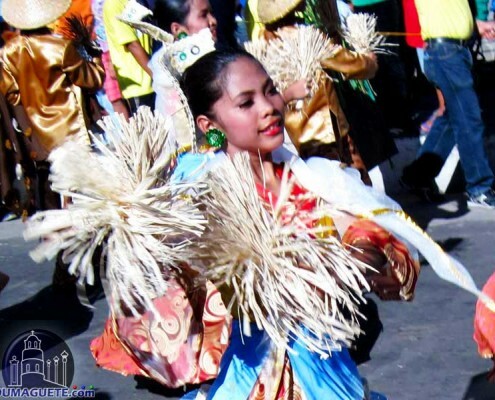 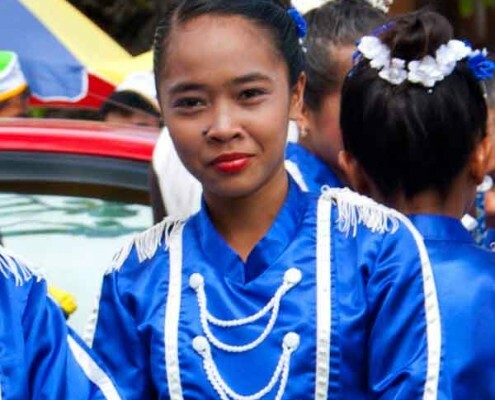 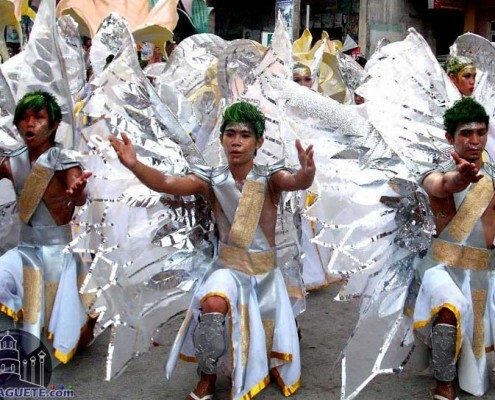 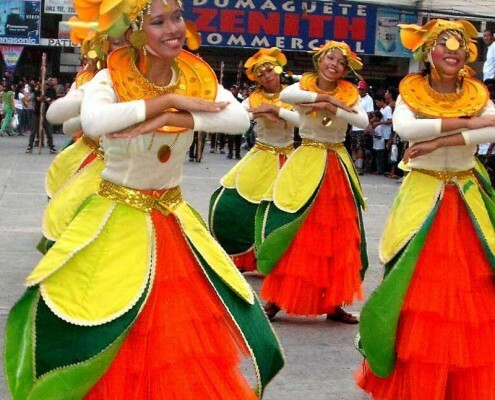 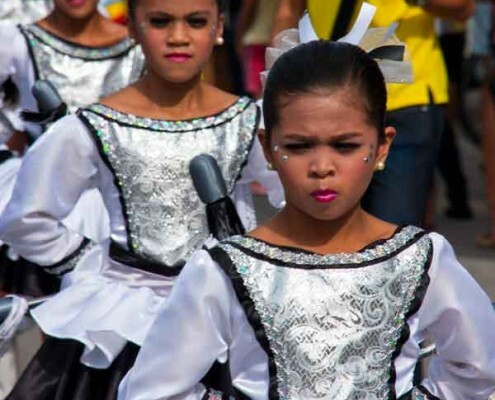 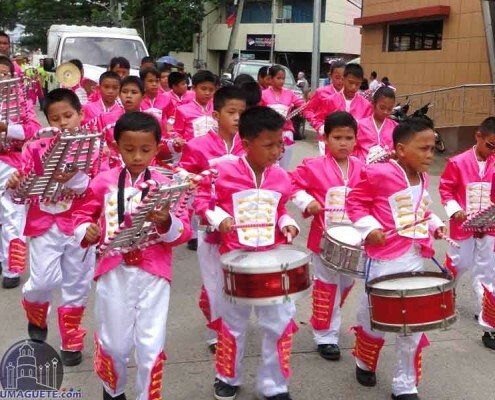 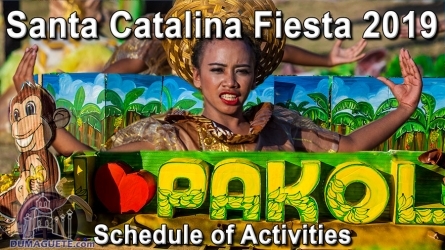 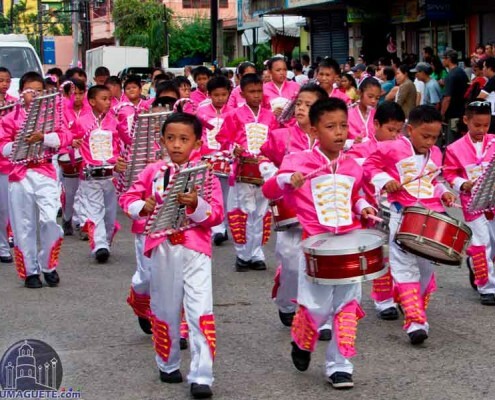 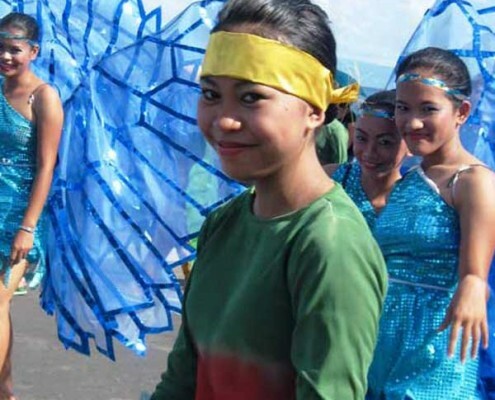 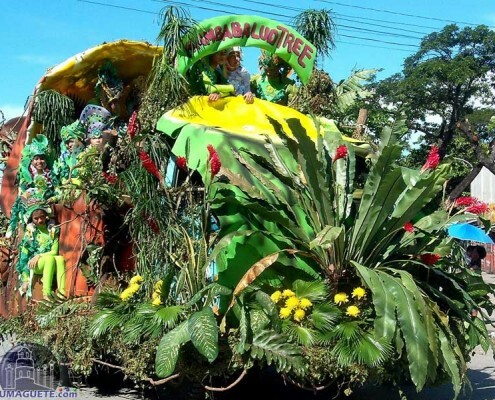 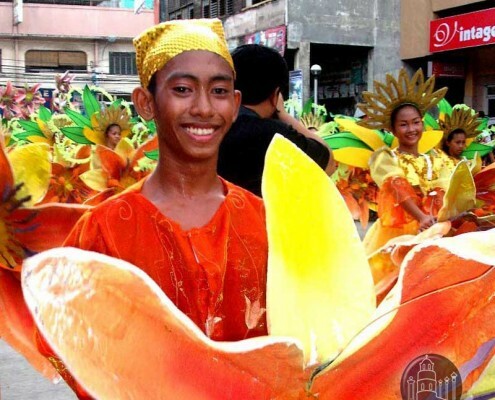 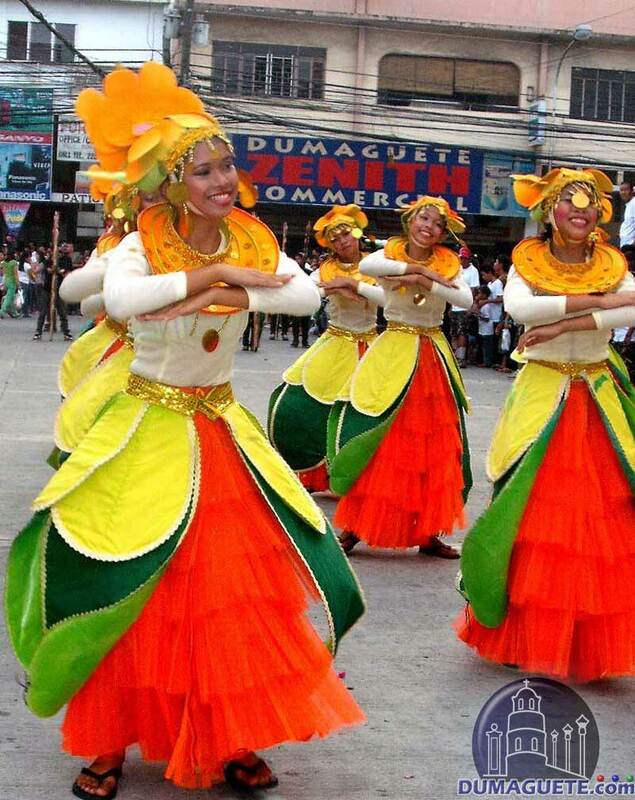 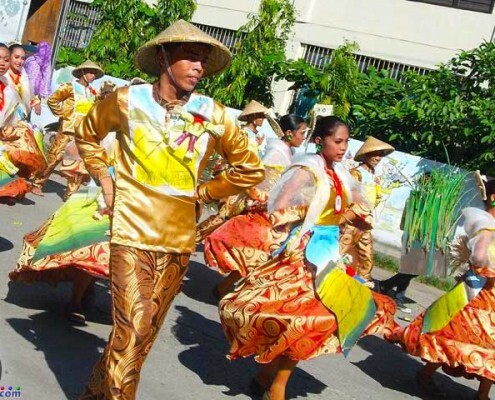 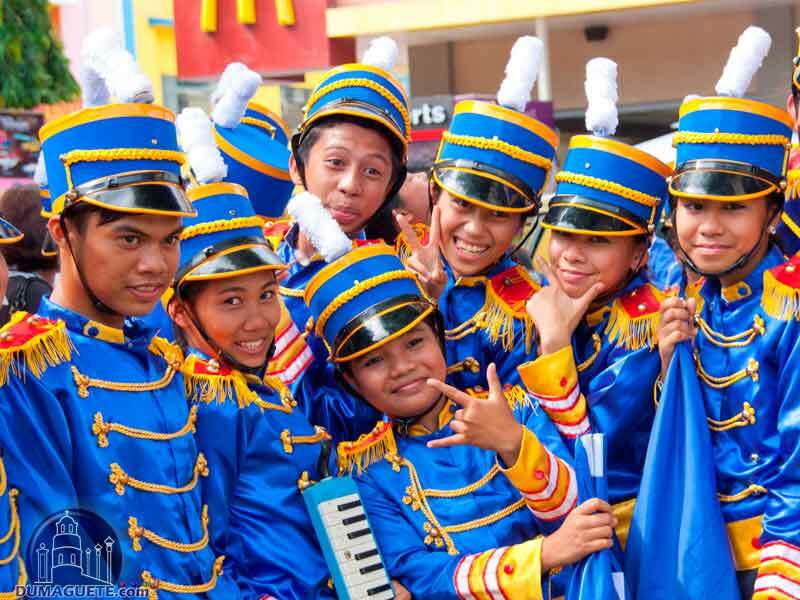 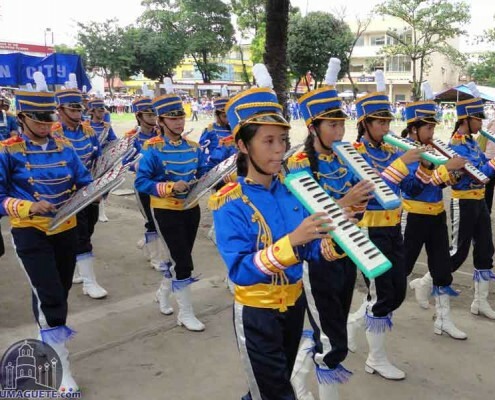 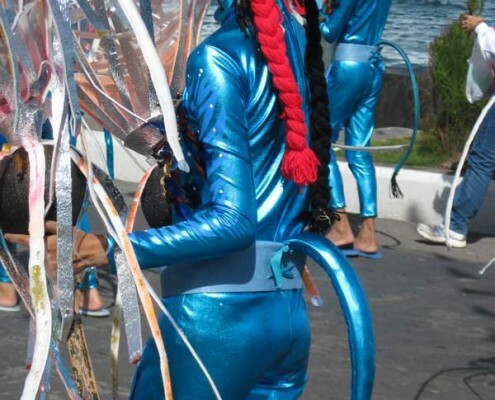 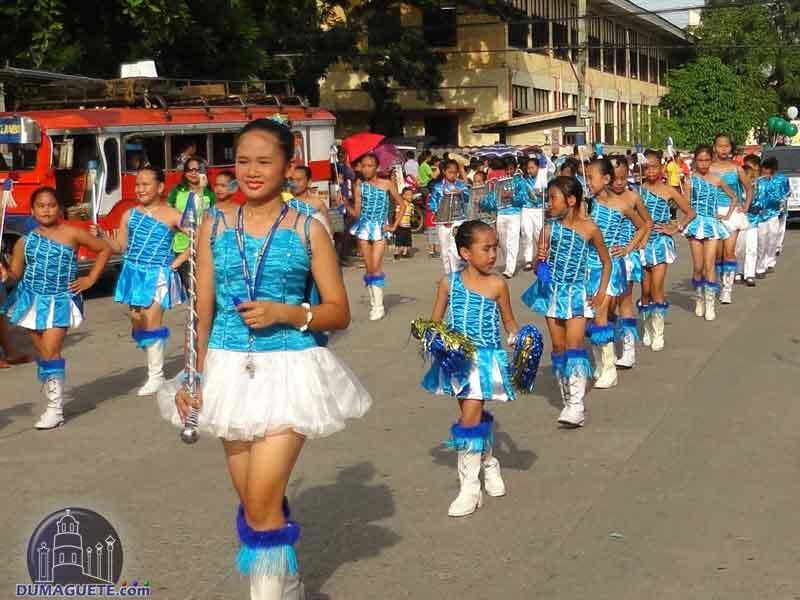 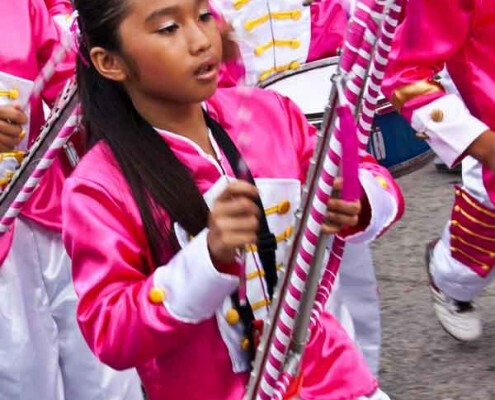 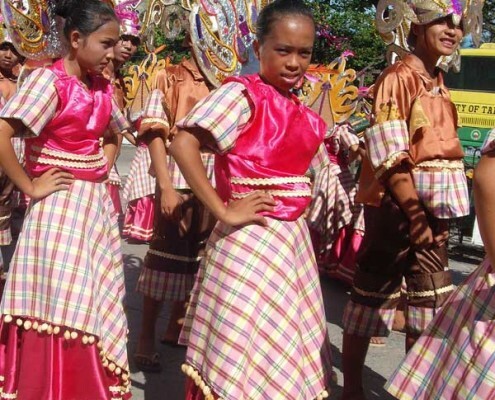 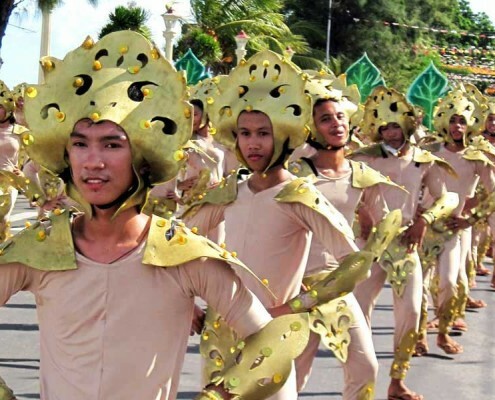 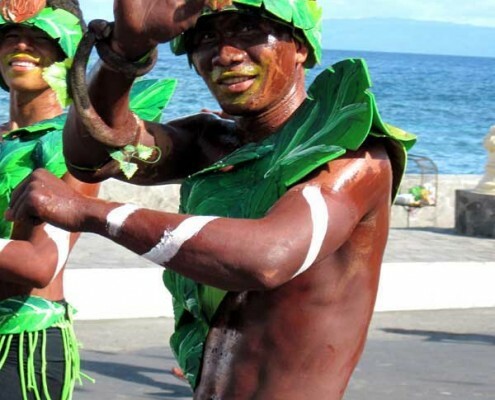 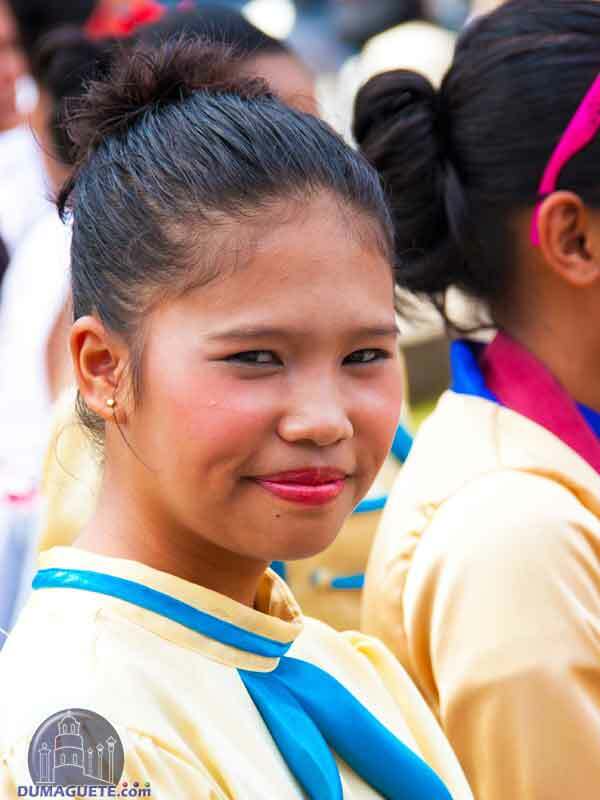 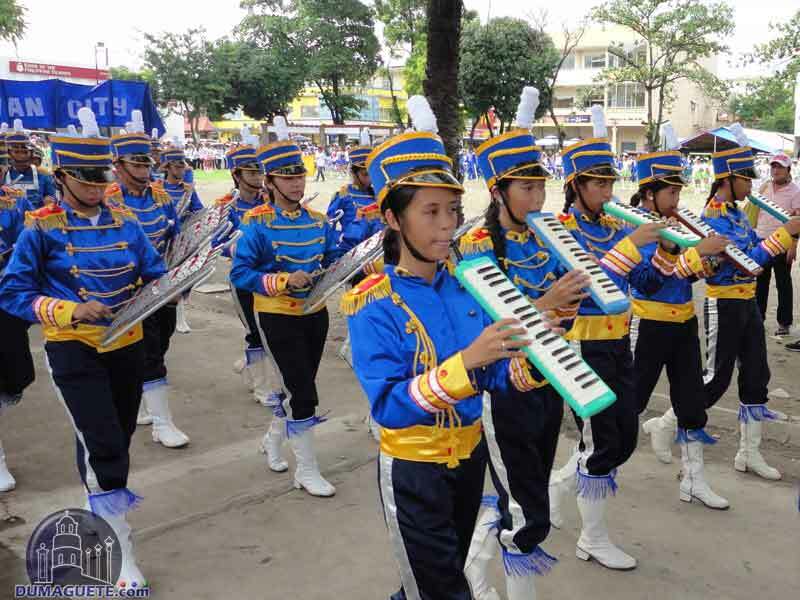 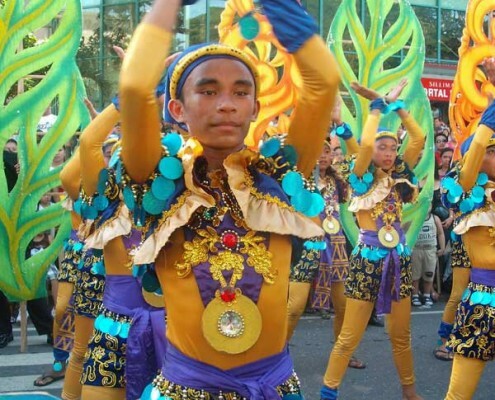 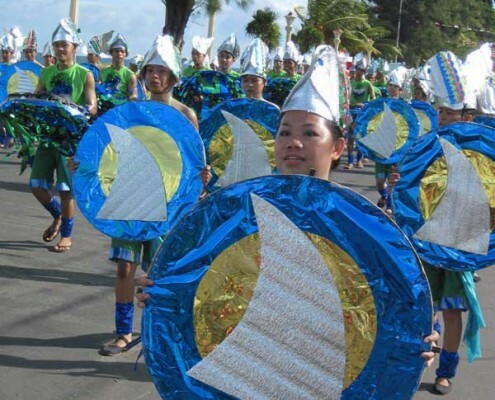 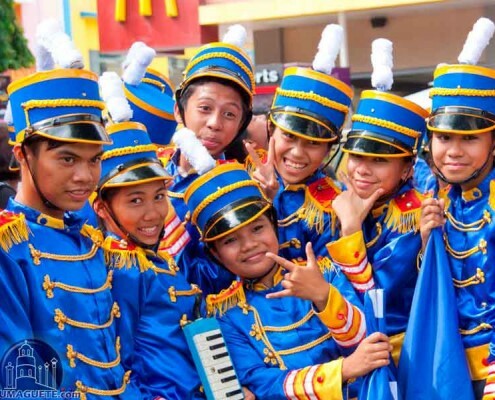 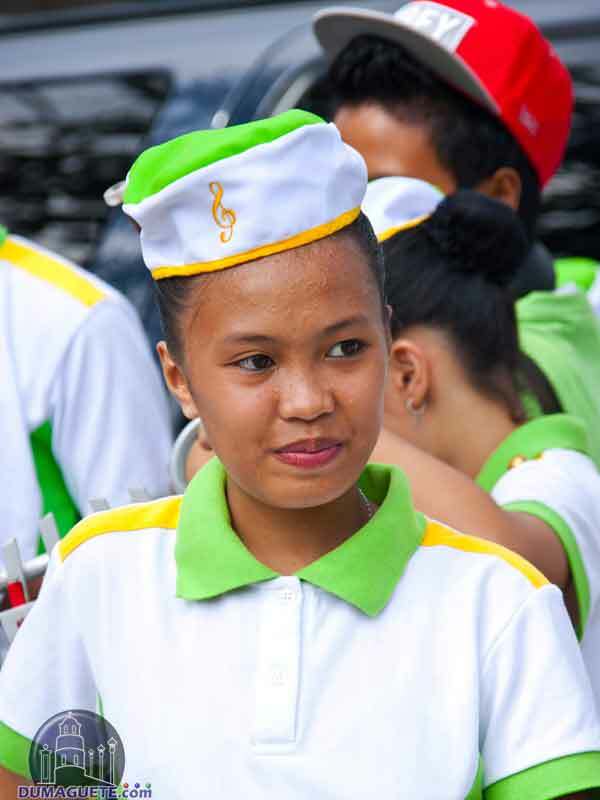 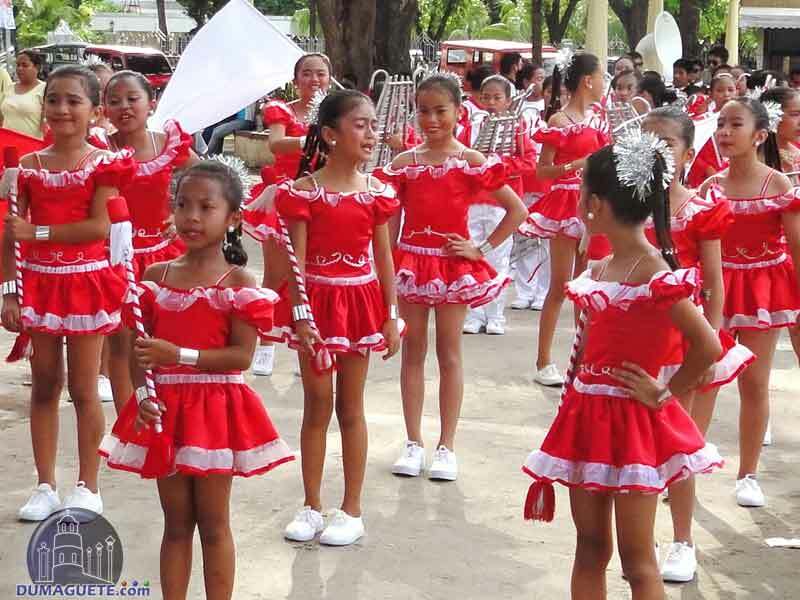 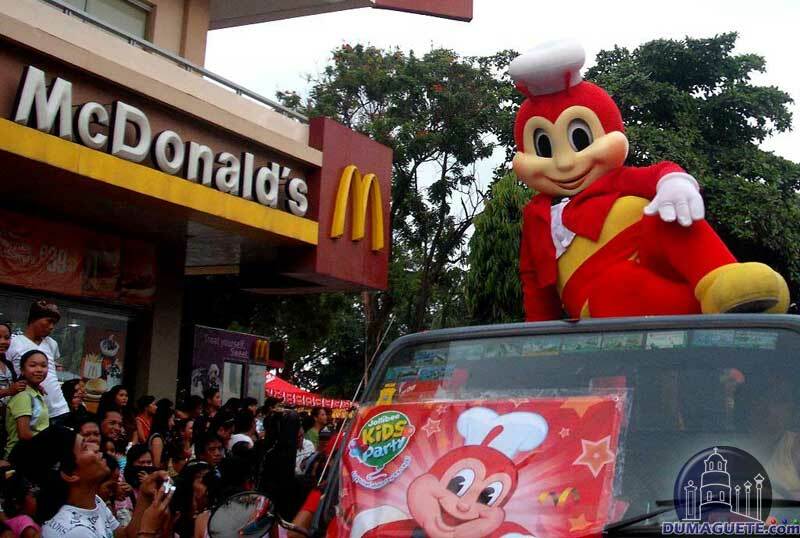 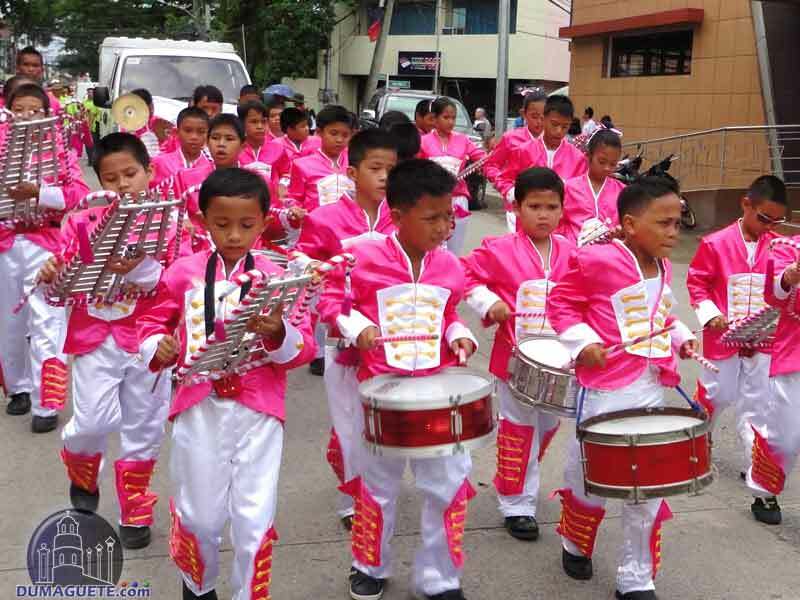 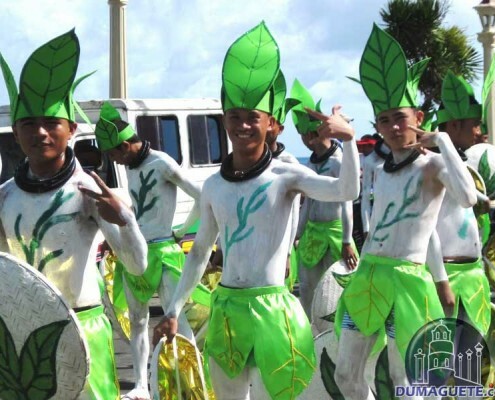 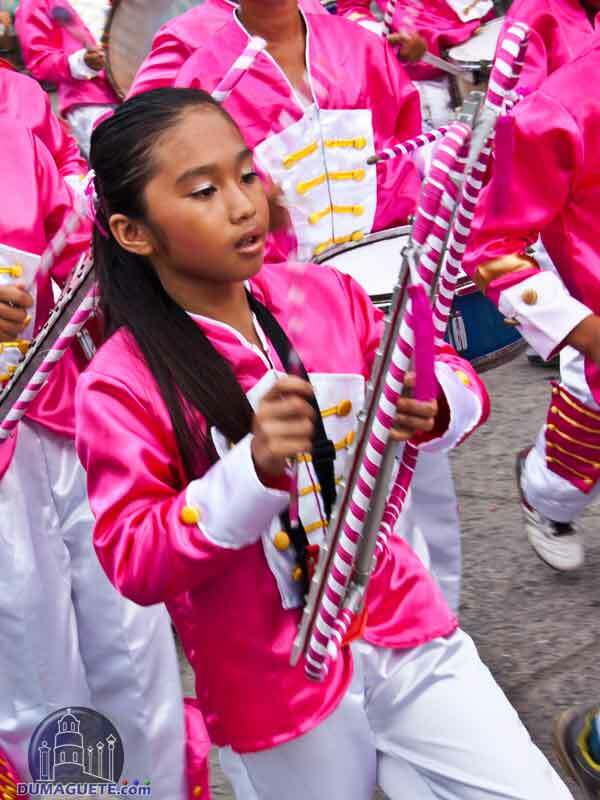 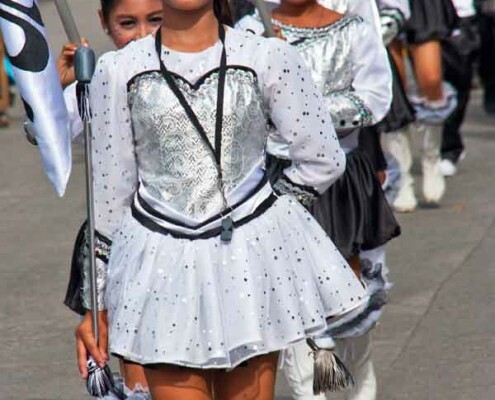 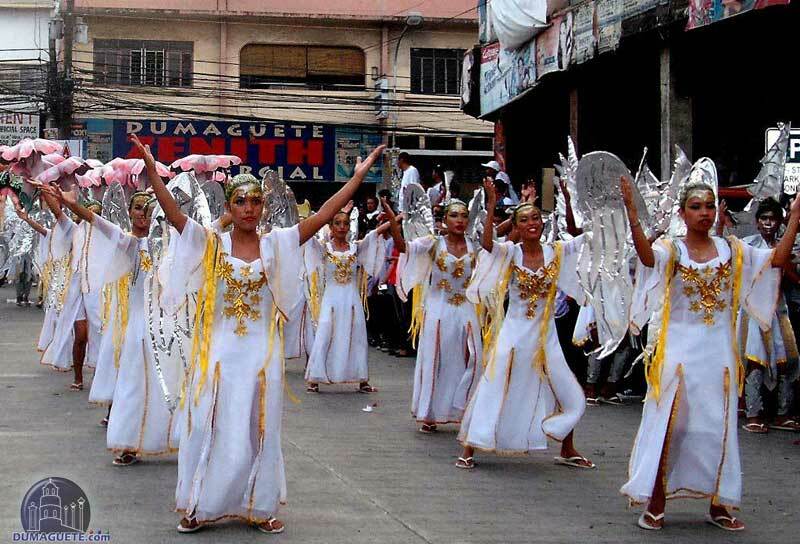 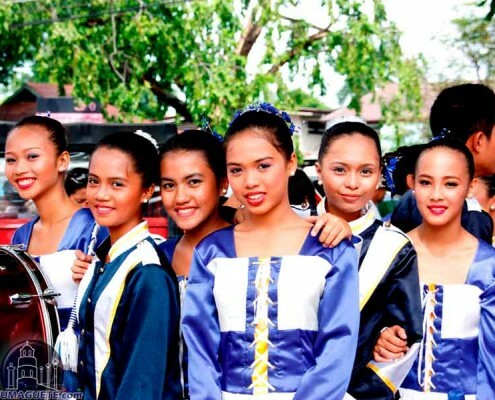 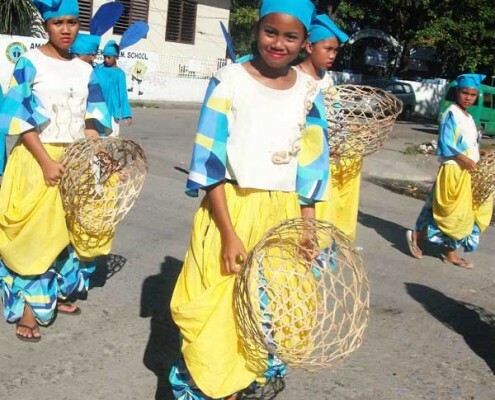 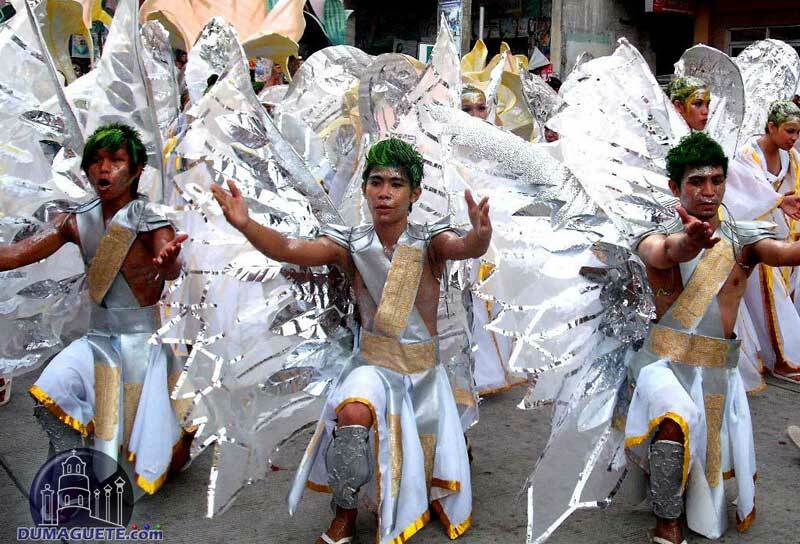 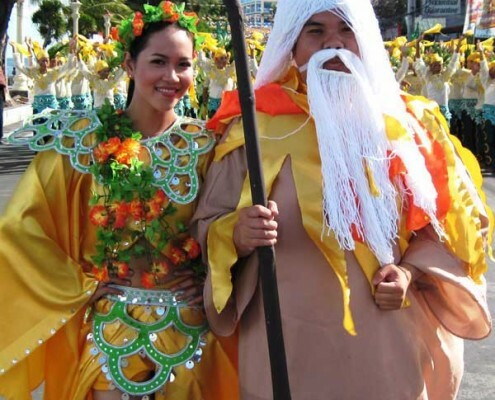 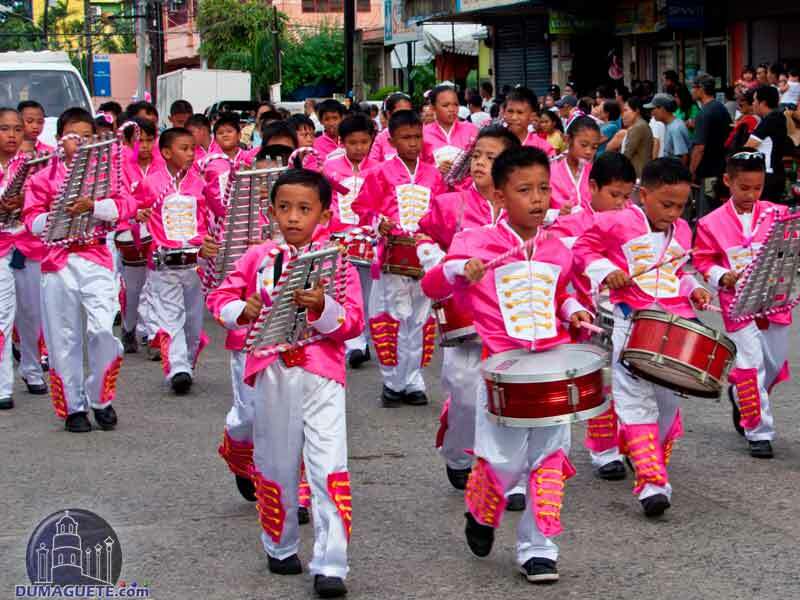 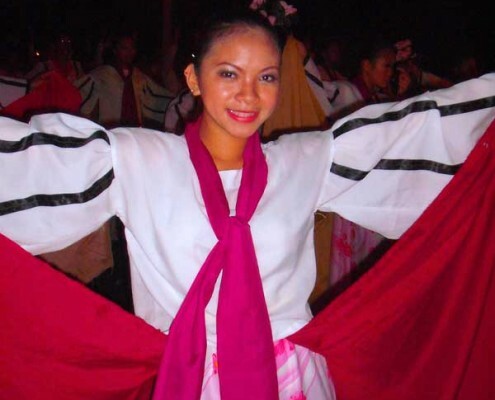 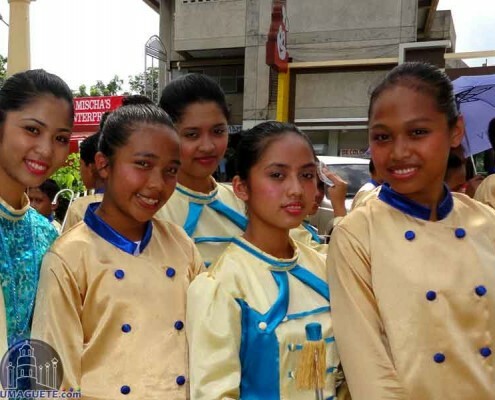 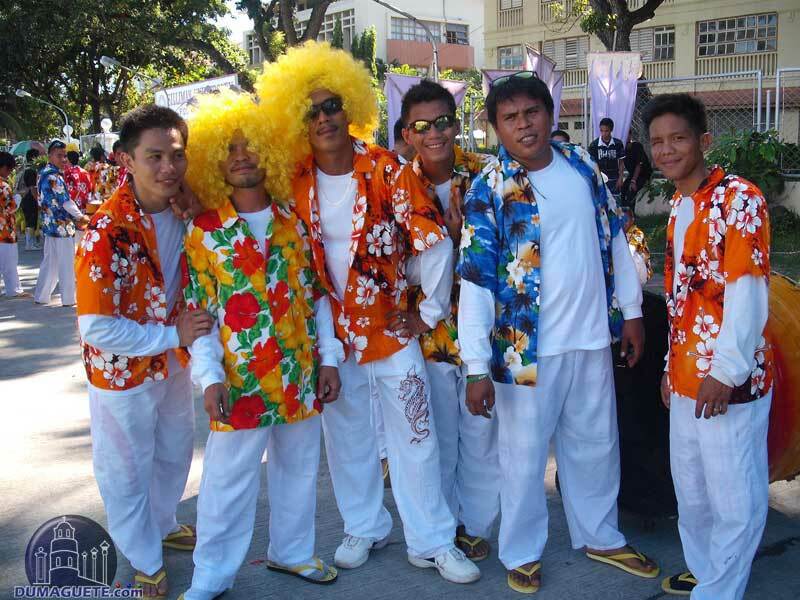 Nevertheless, they try not to lose their smiles and performed their excellent dances multiple times while parading through the streets of Dumaguete City. 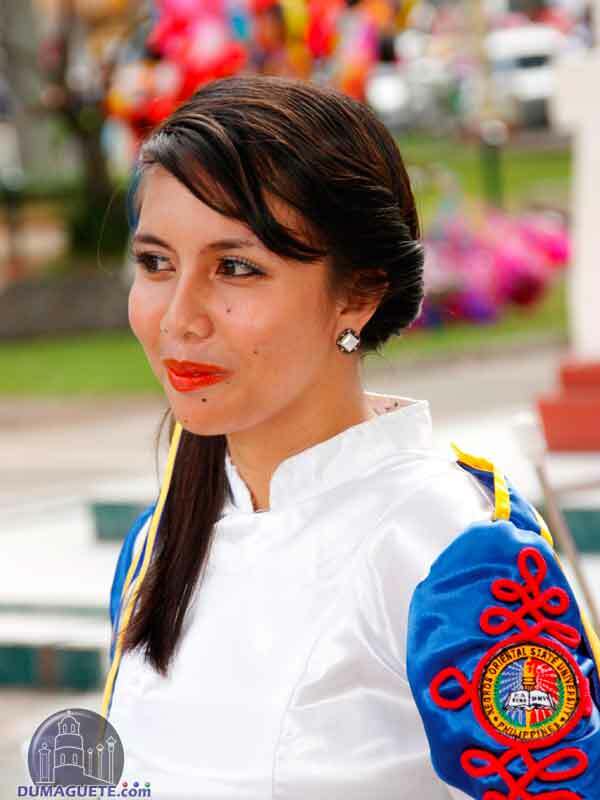 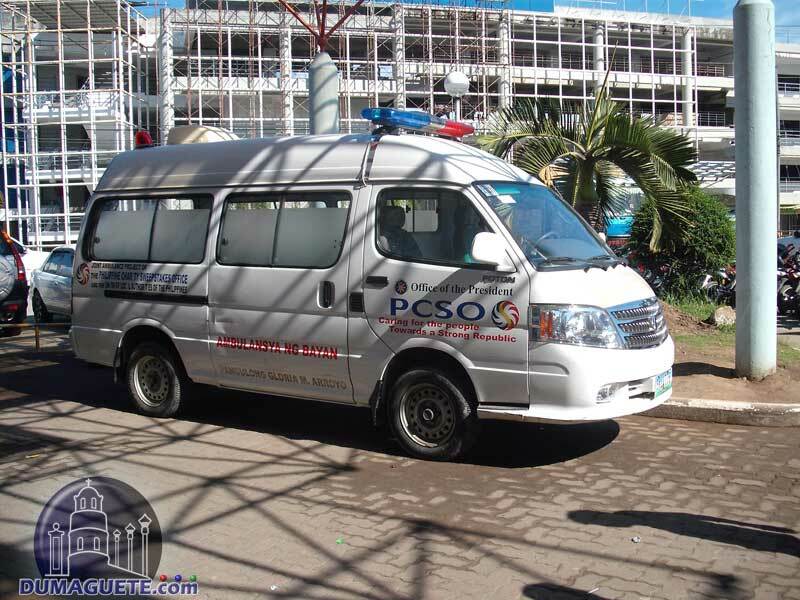 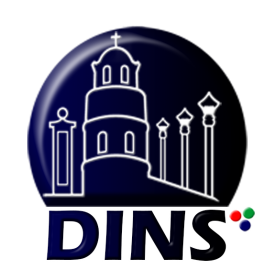 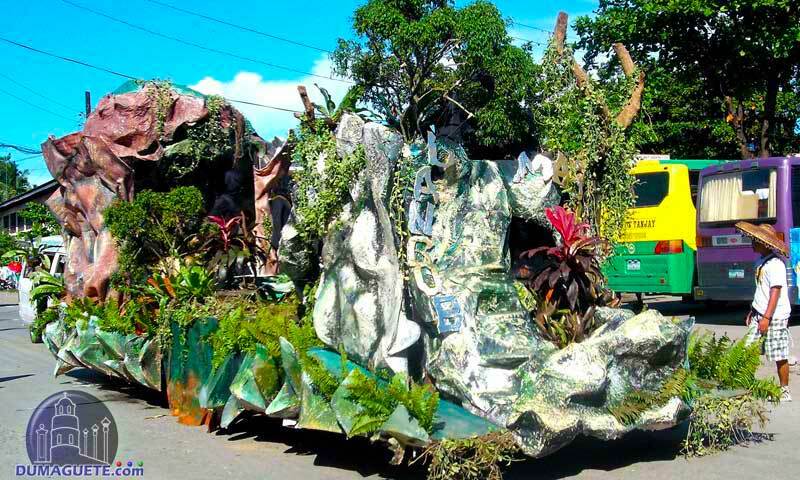 Negros Oriental State University is the biggest public university of Negros Oriental. 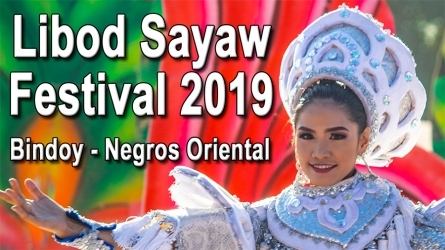 7 satellite campuses of NORSU coming together once a year to celebrate the Hugyawan Festival highlighting the Founders Day celebrations. 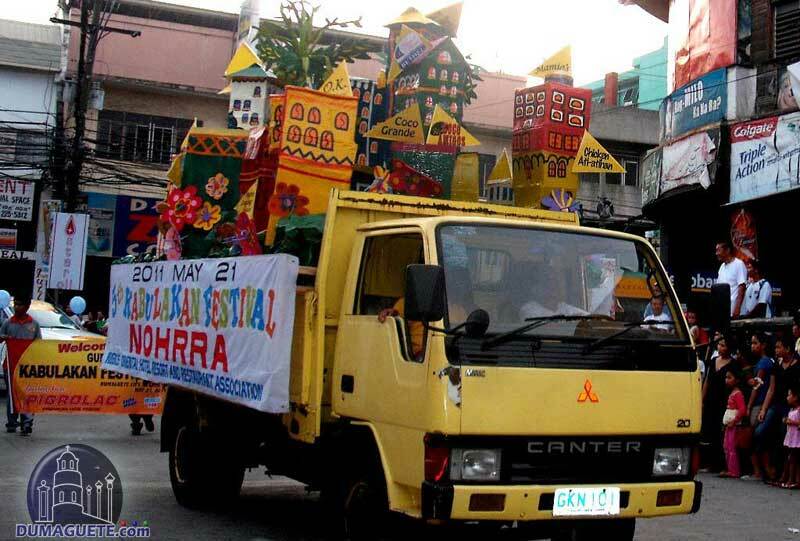 One of the highlights of this Festival the NORSU Founders Day Parade. 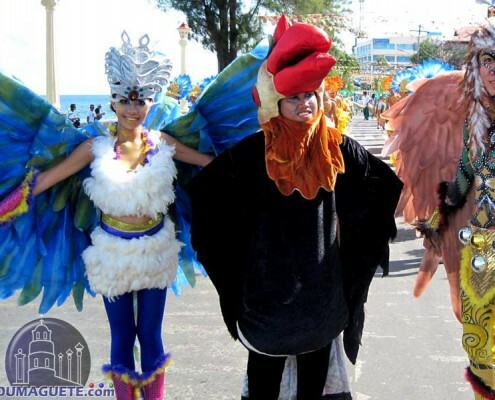 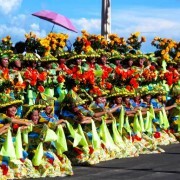 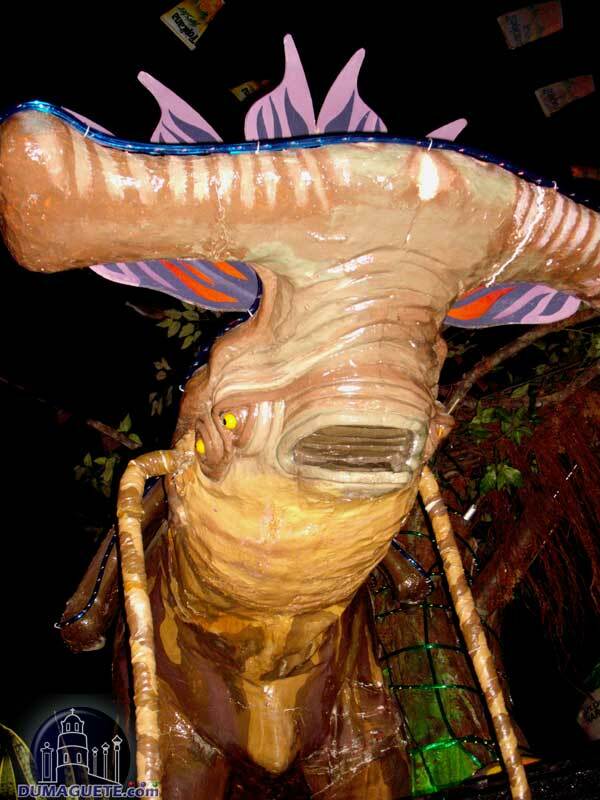 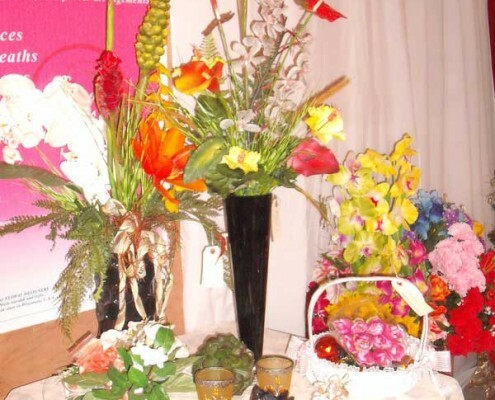 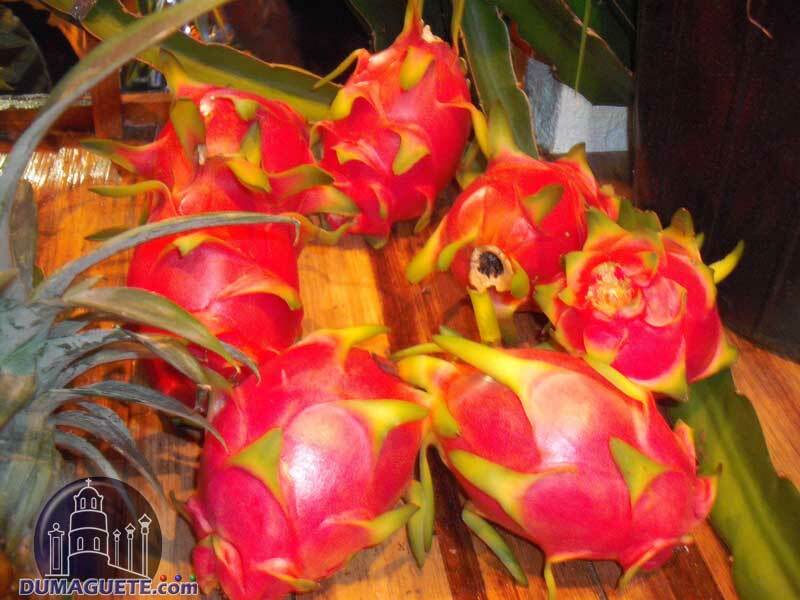 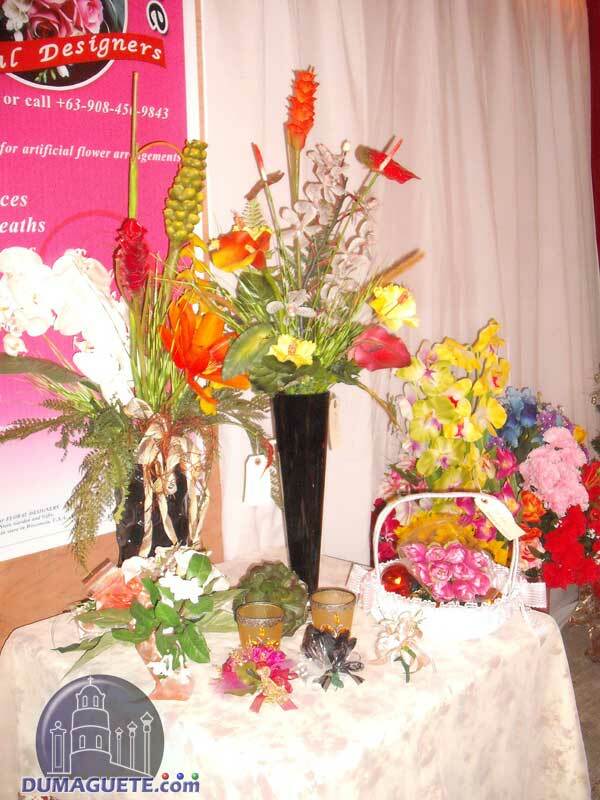 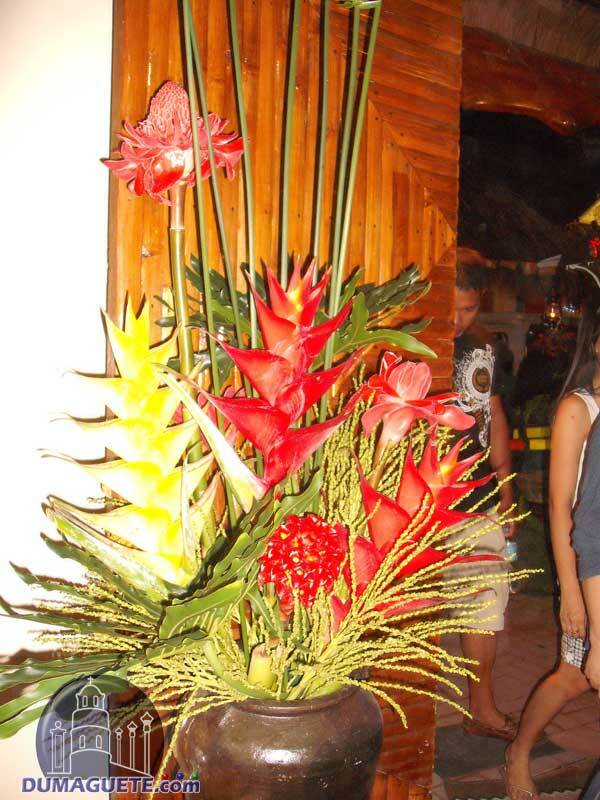 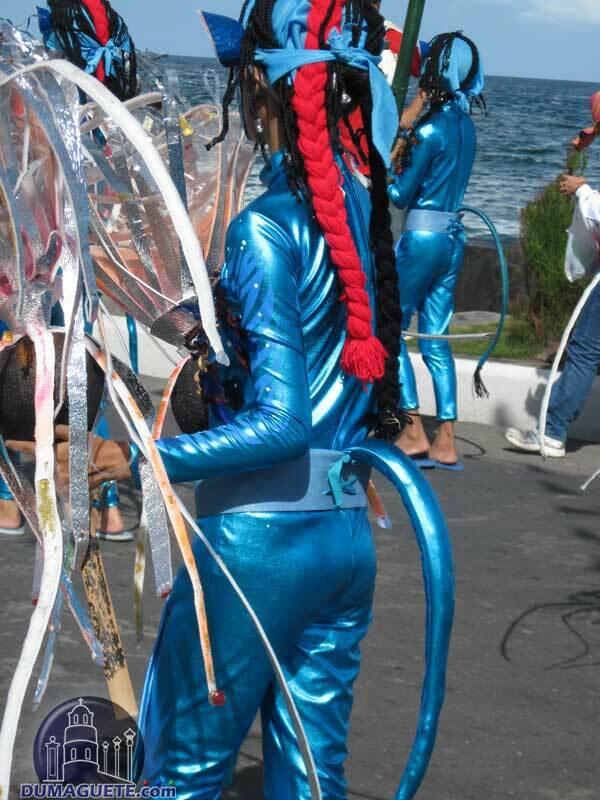 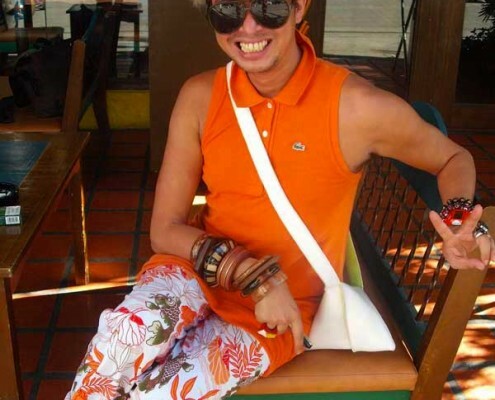 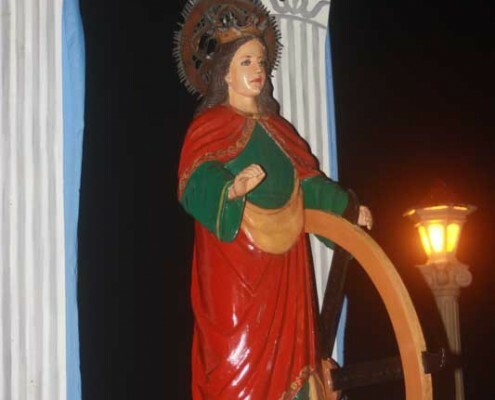 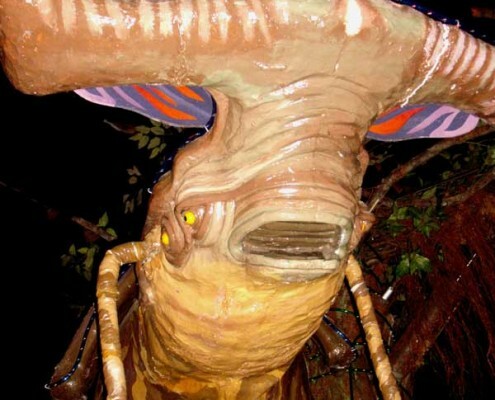 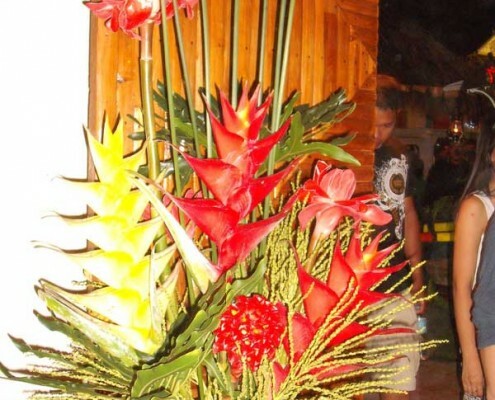 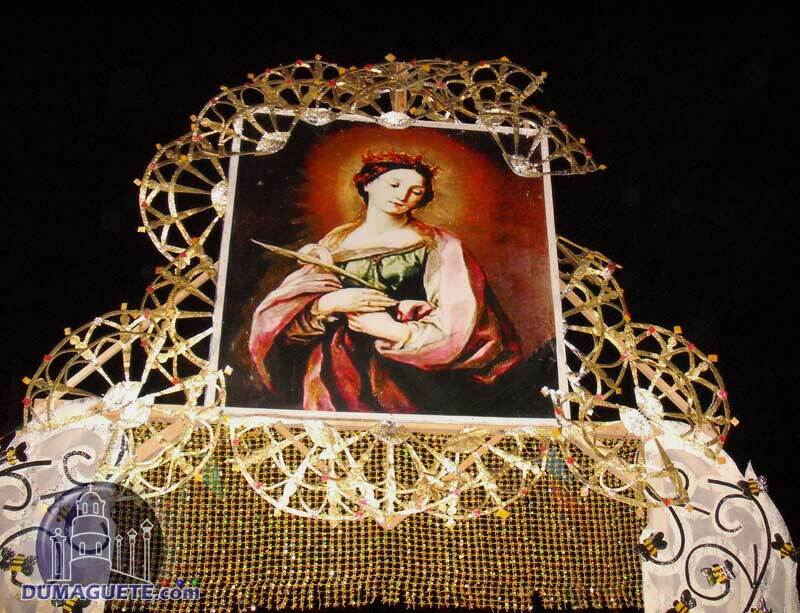 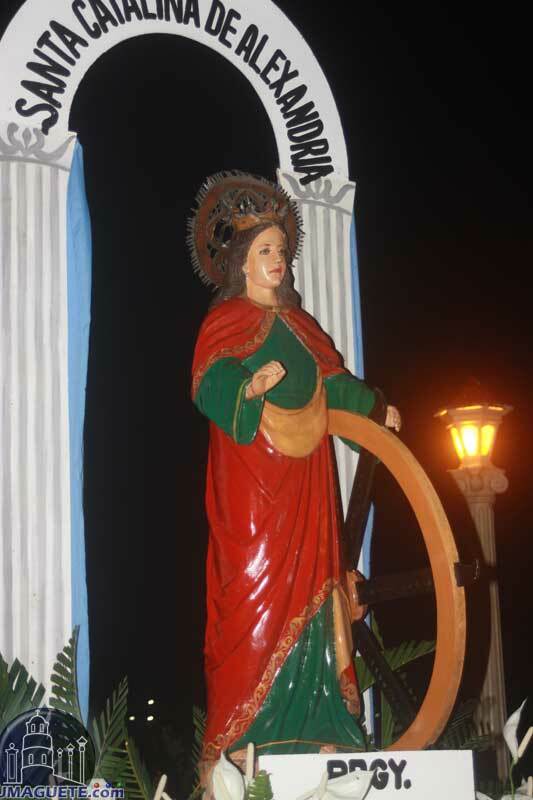 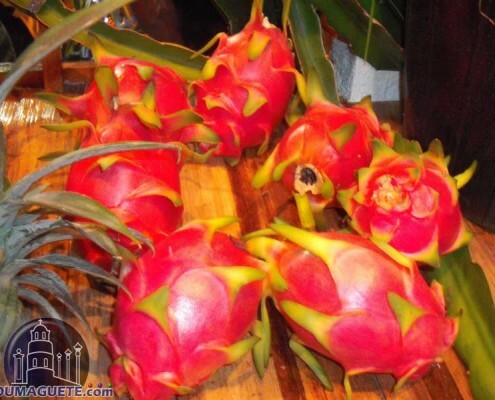 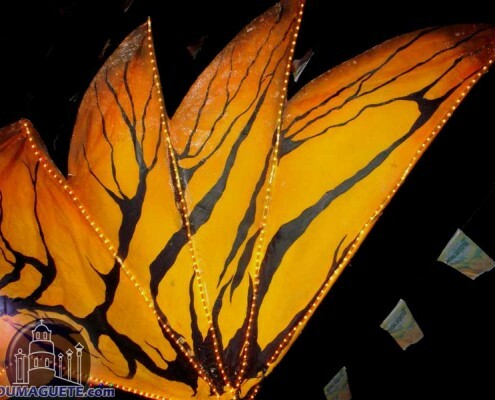 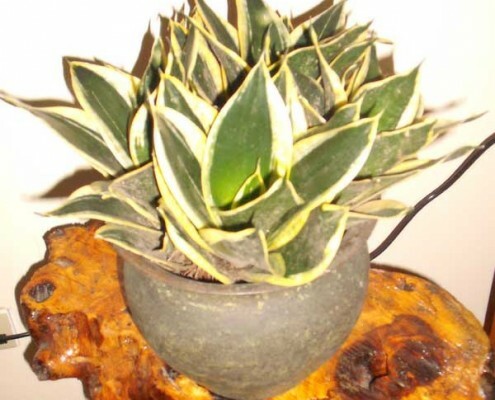 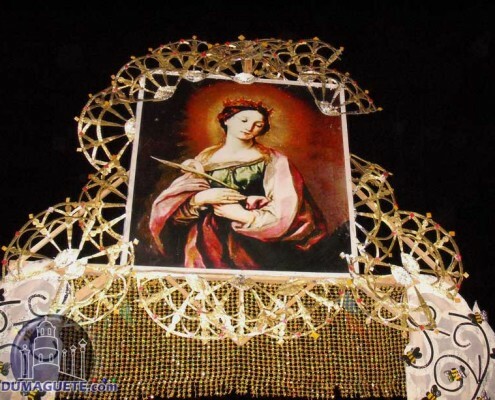 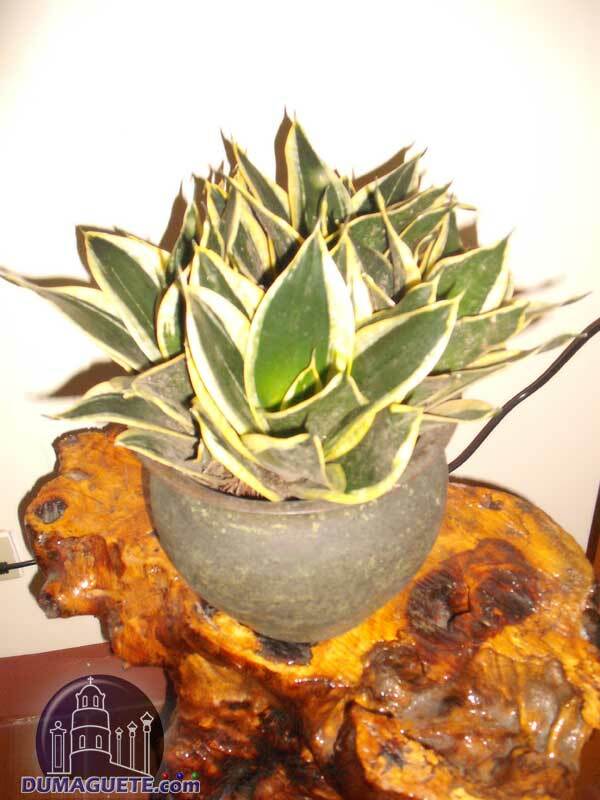 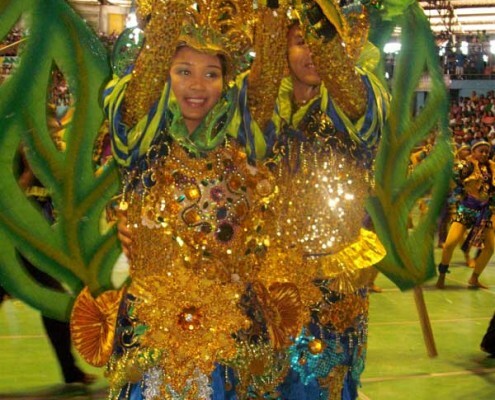 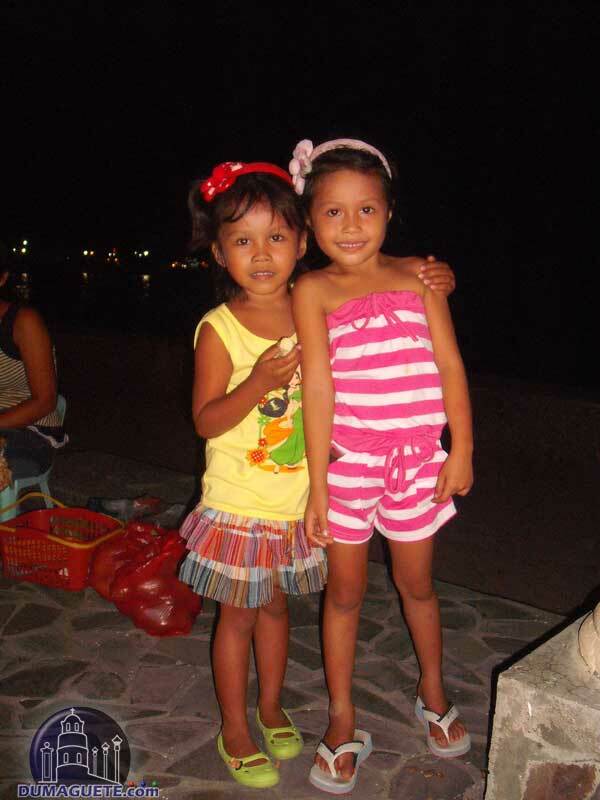 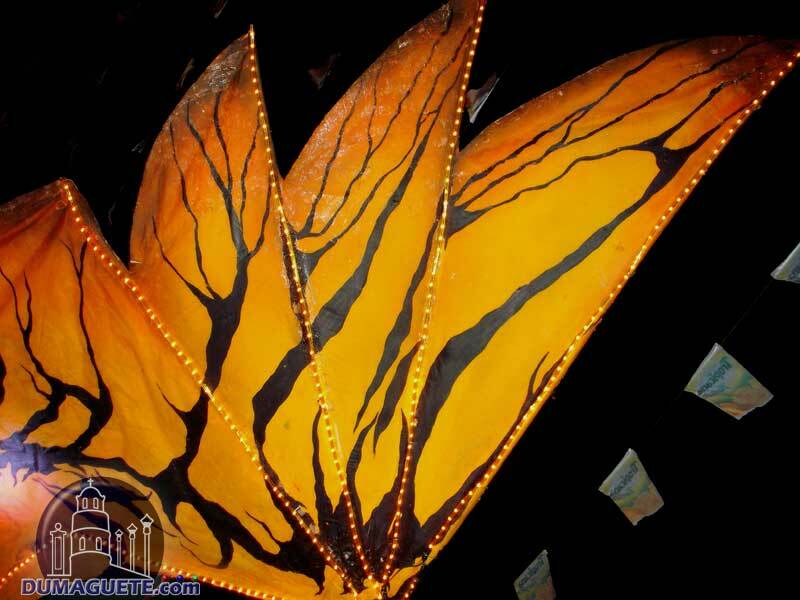 It is always a colorful spectacle which gets the admiration of thousands of Dumagetenos. 2010 was no difference and the weather played along. 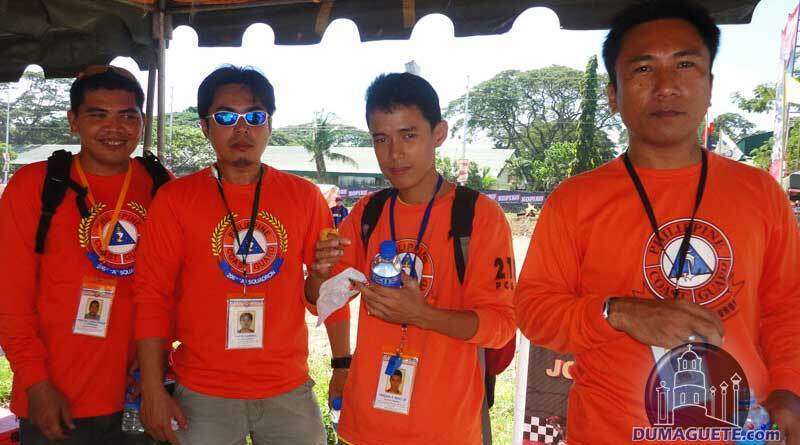 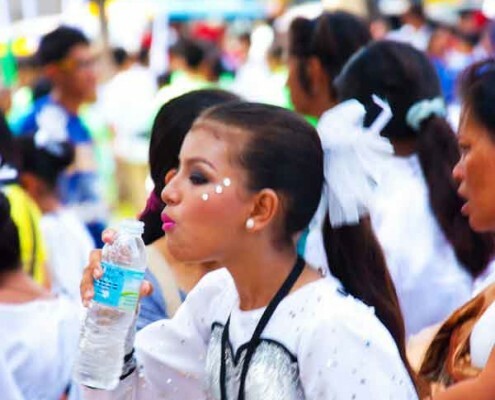 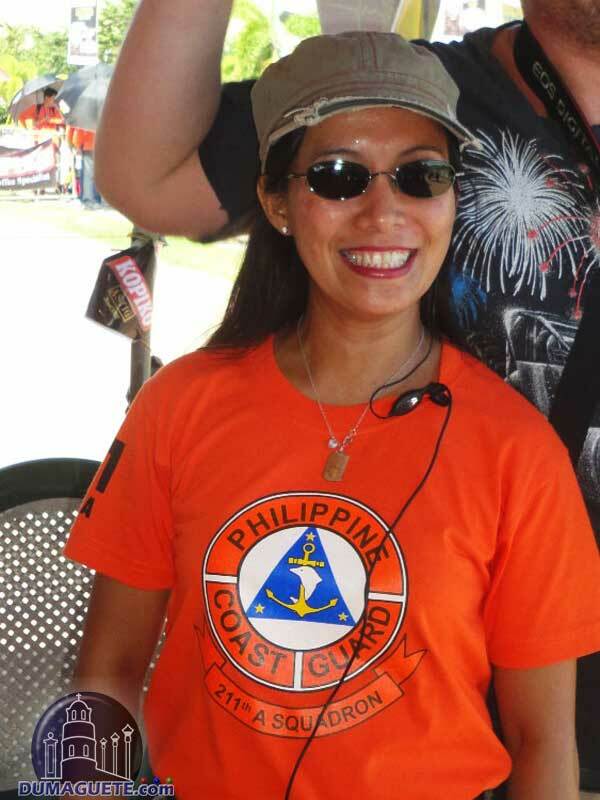 Even it was very hot for the participants, they did an outstanding job and never lost their energy and smiles. 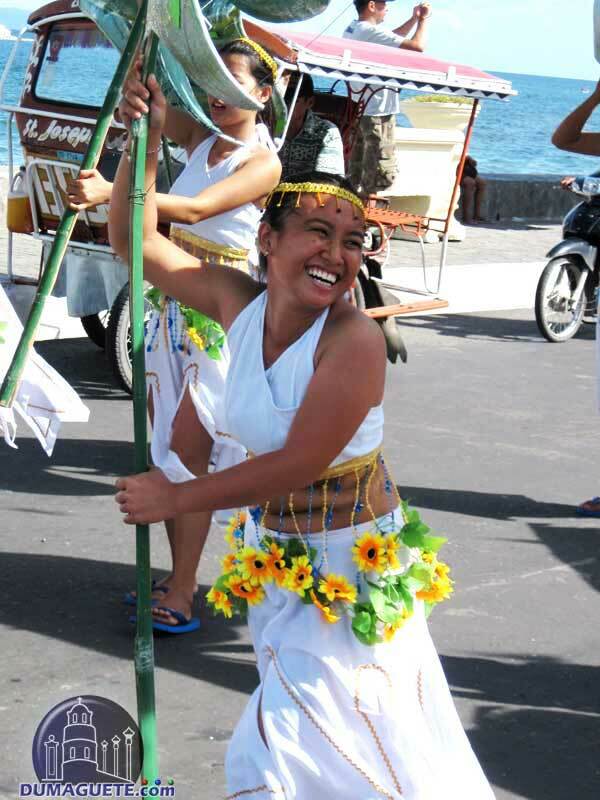 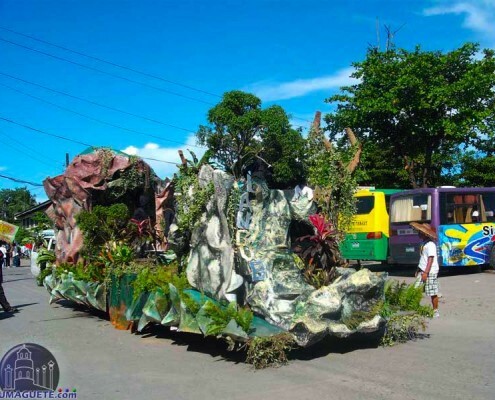 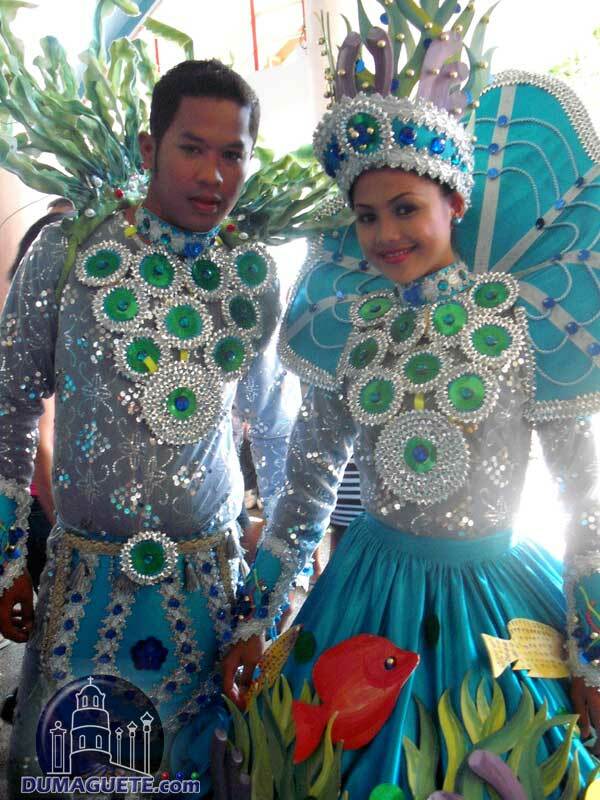 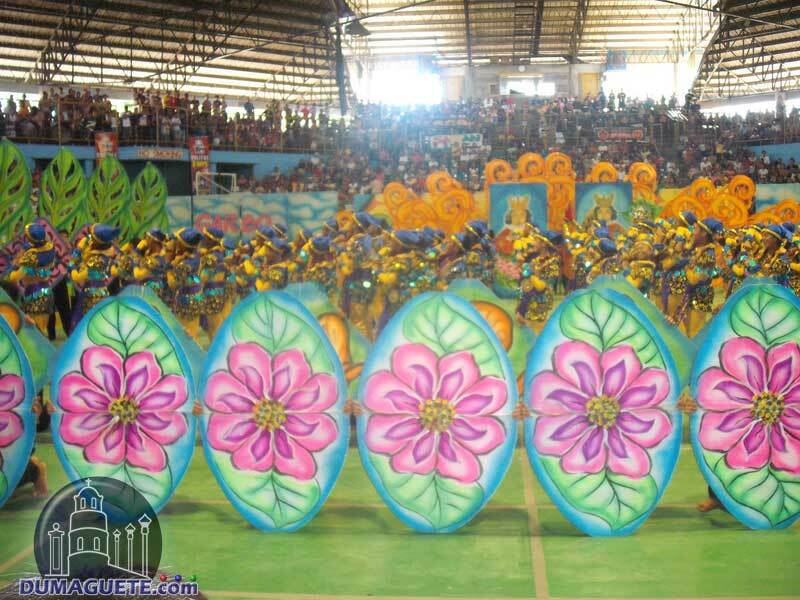 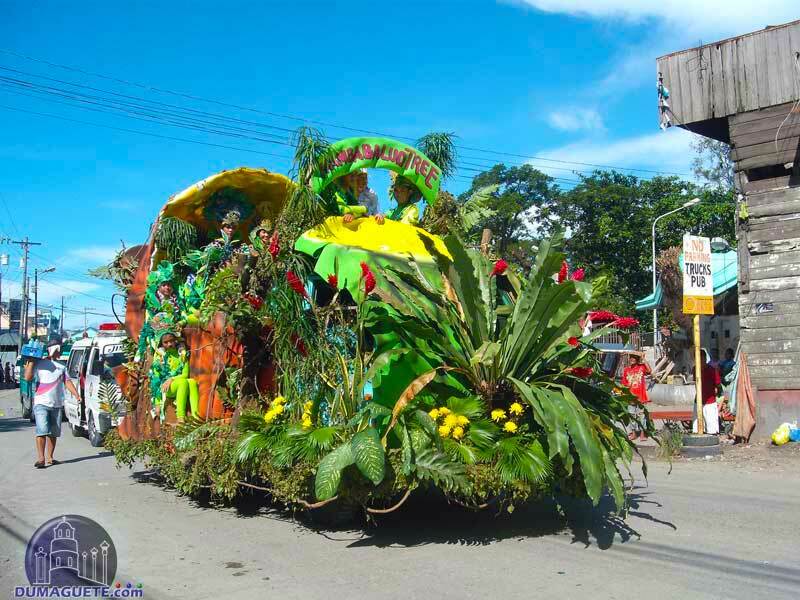 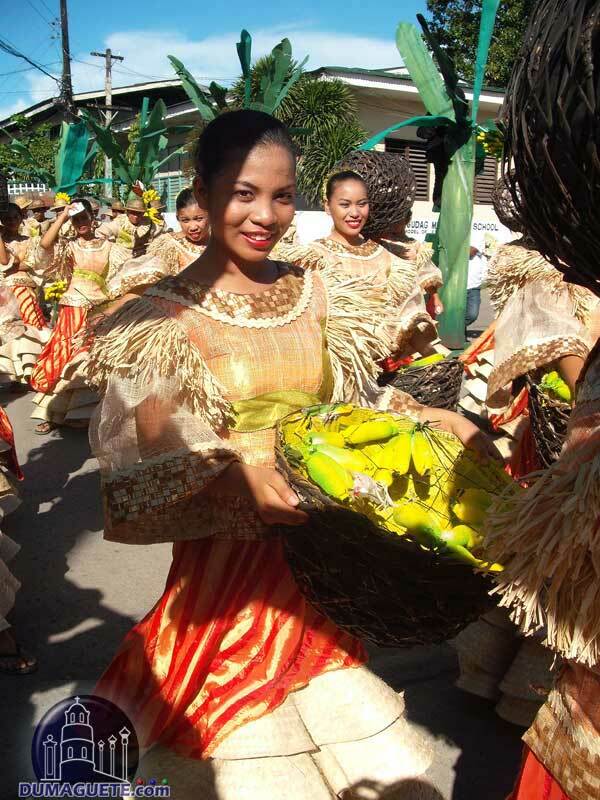 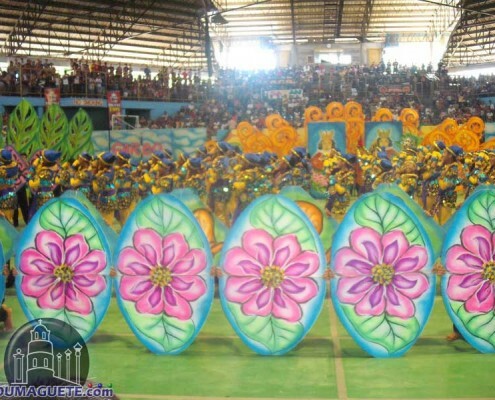 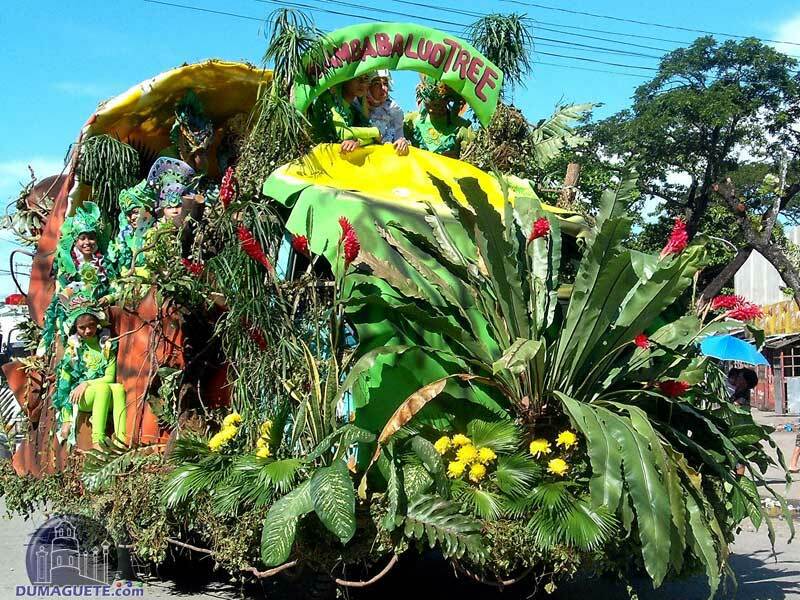 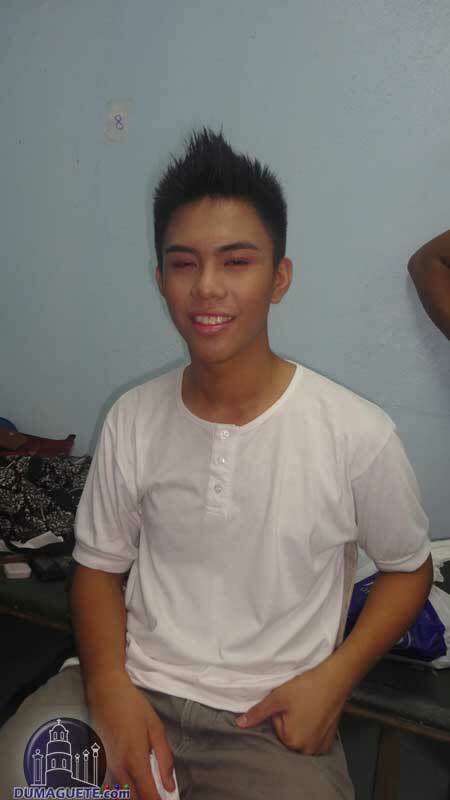 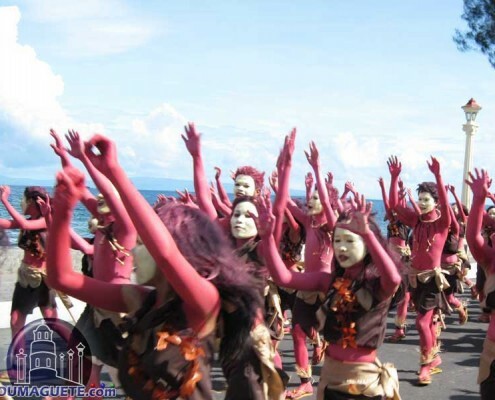 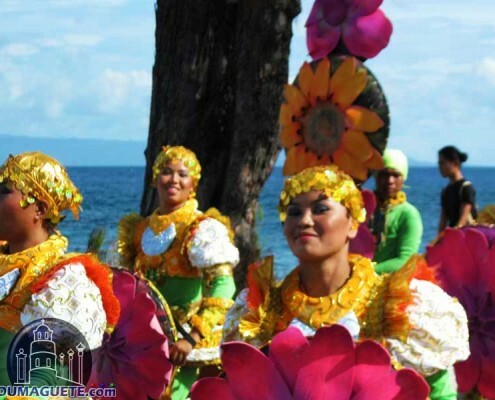 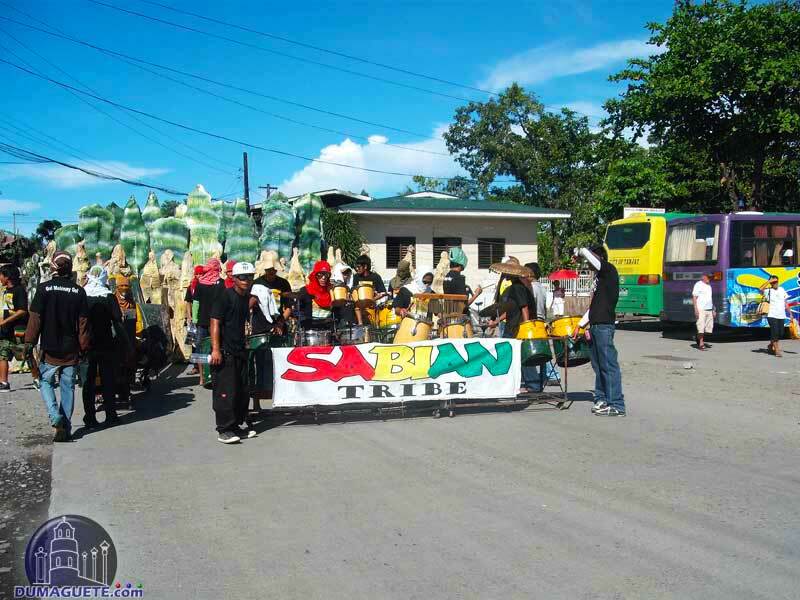 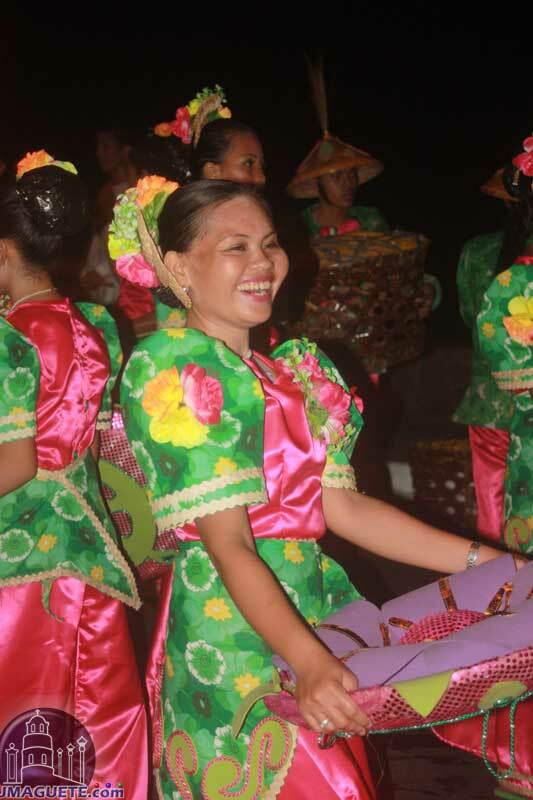 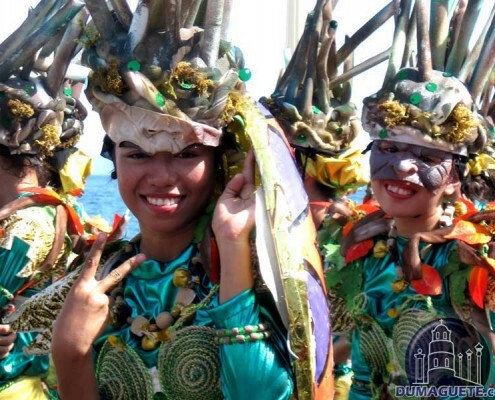 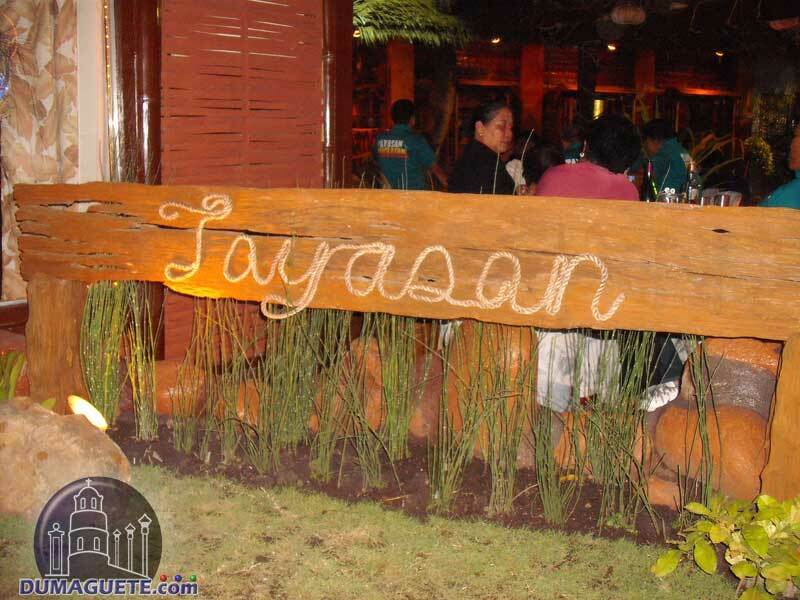 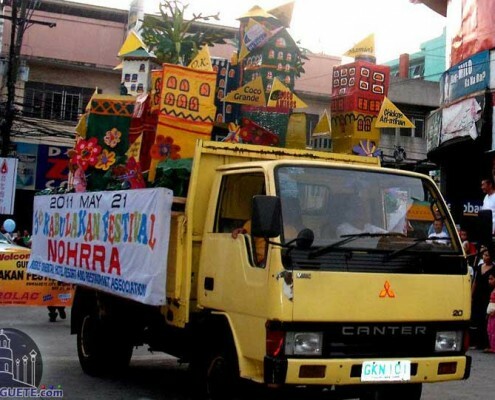 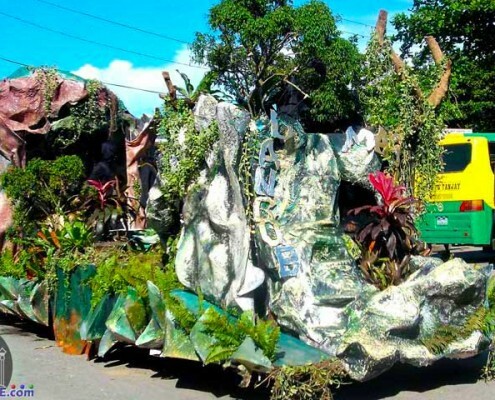 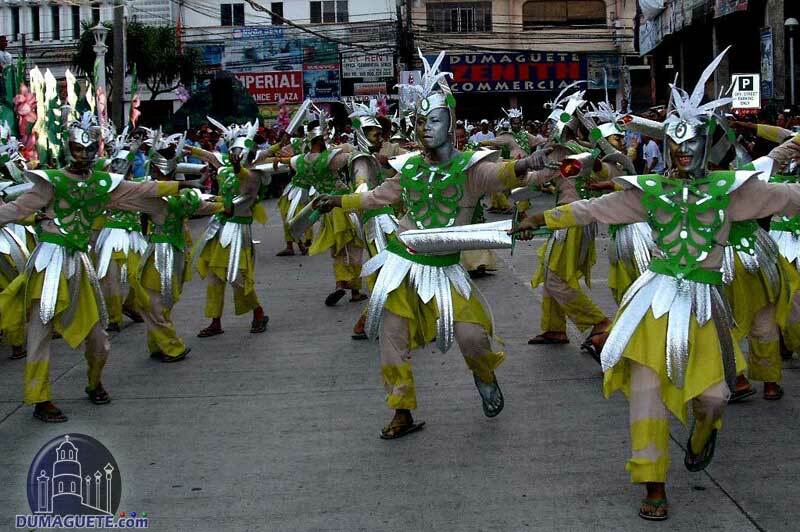 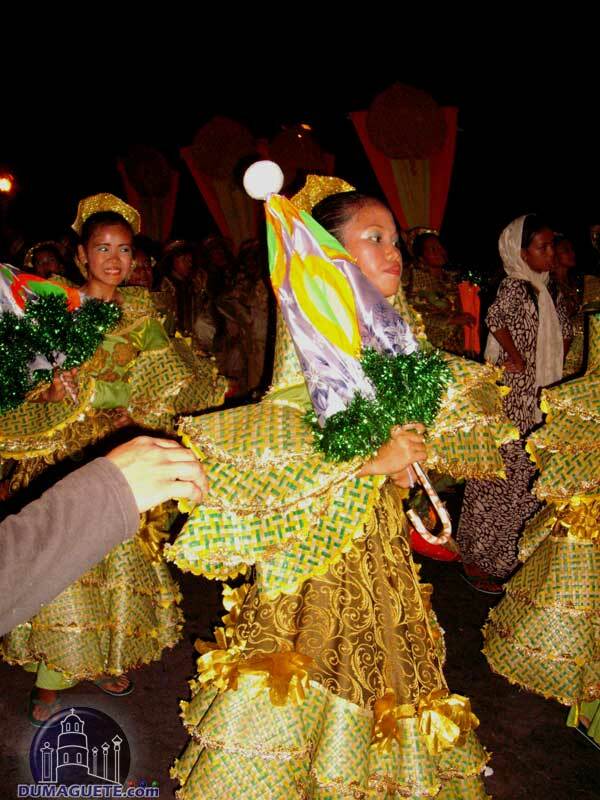 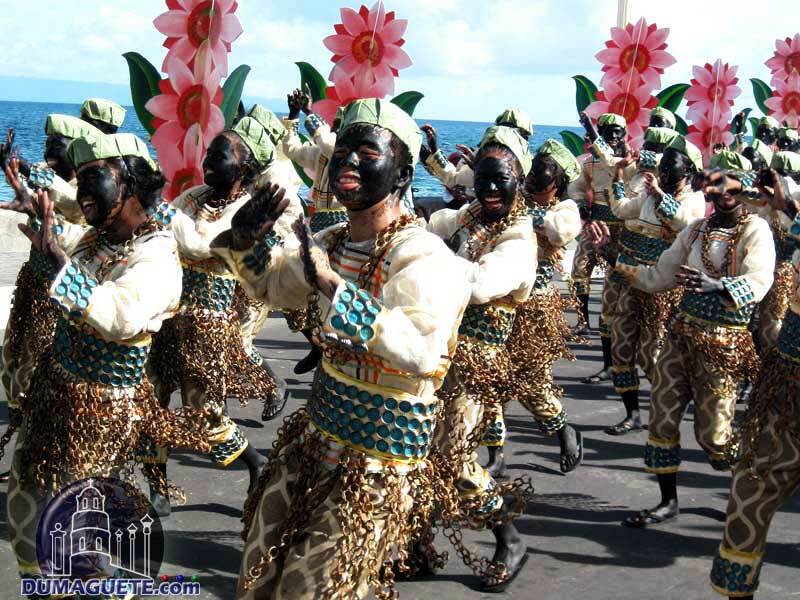 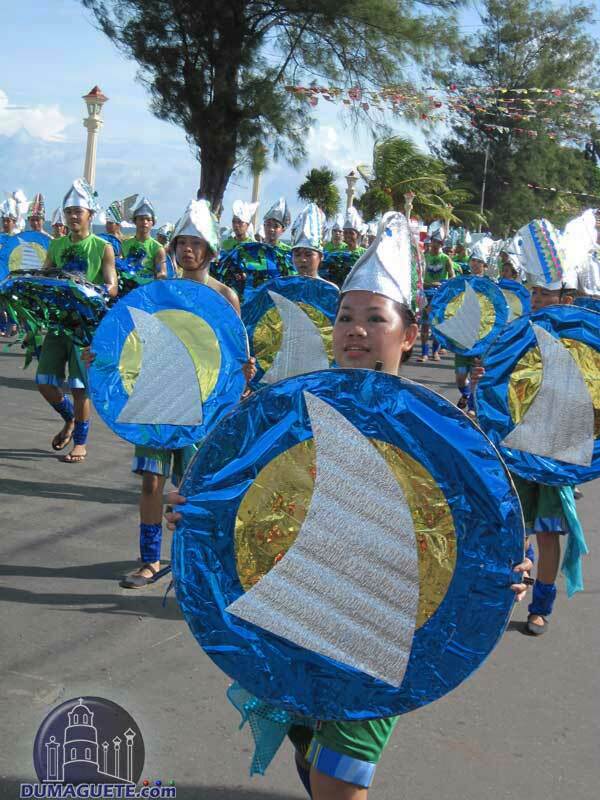 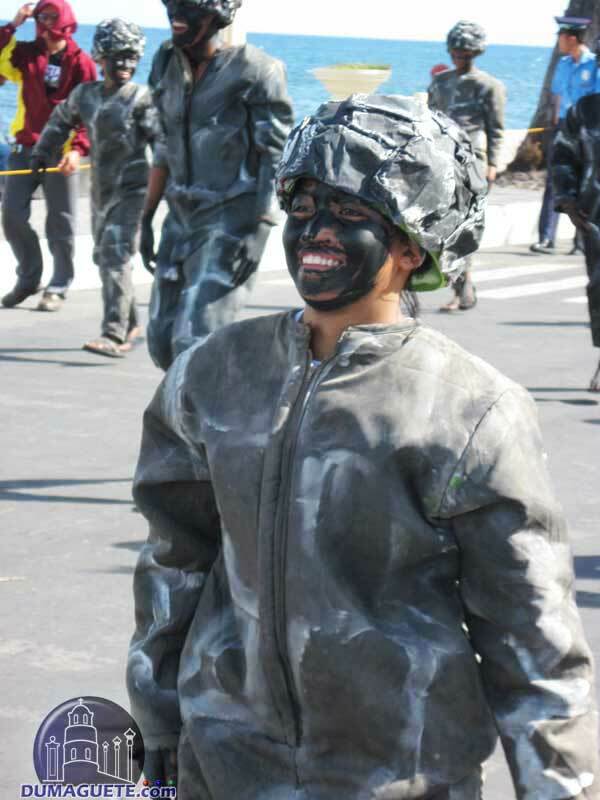 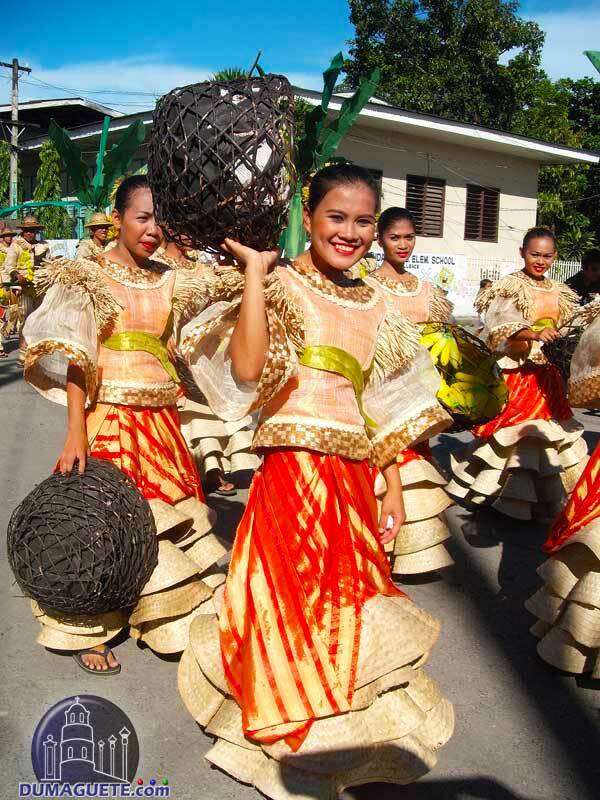 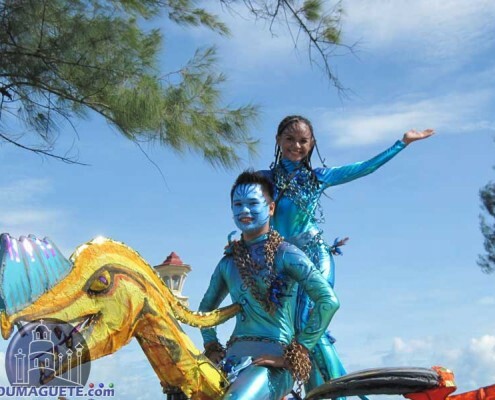 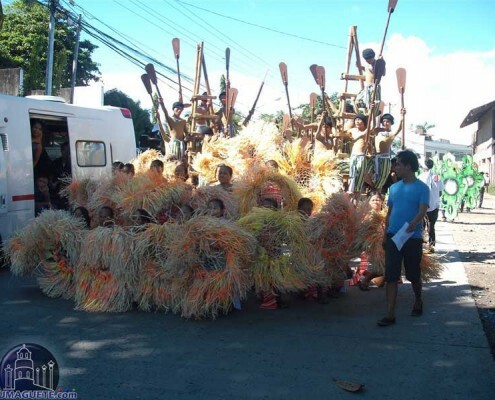 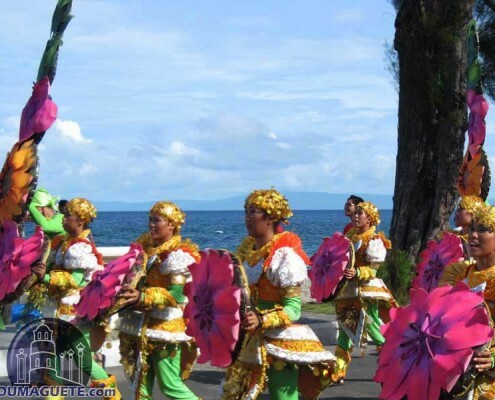 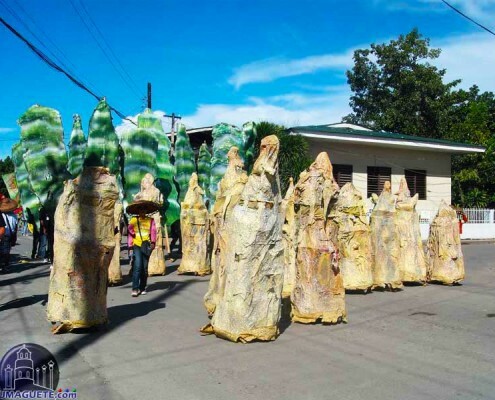 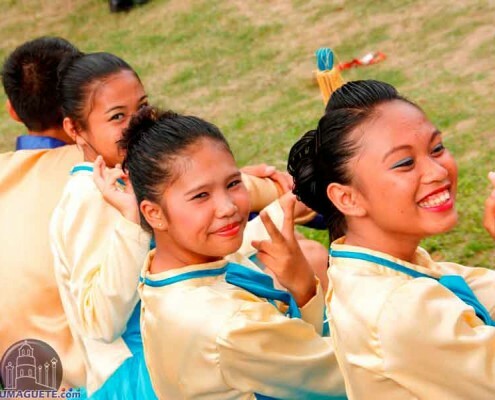 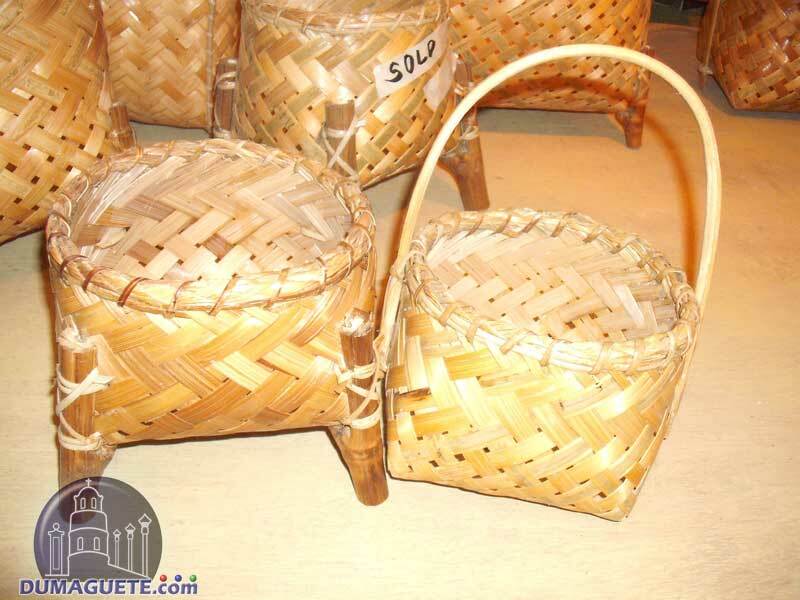 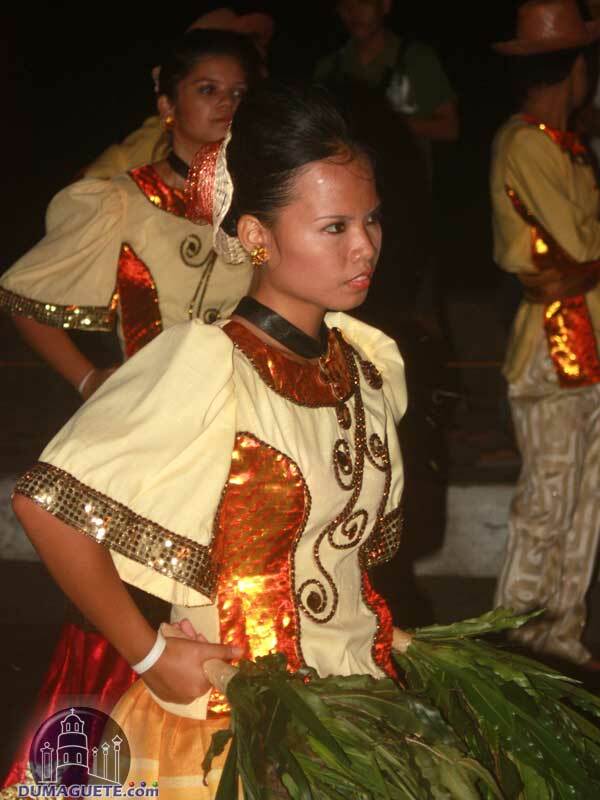 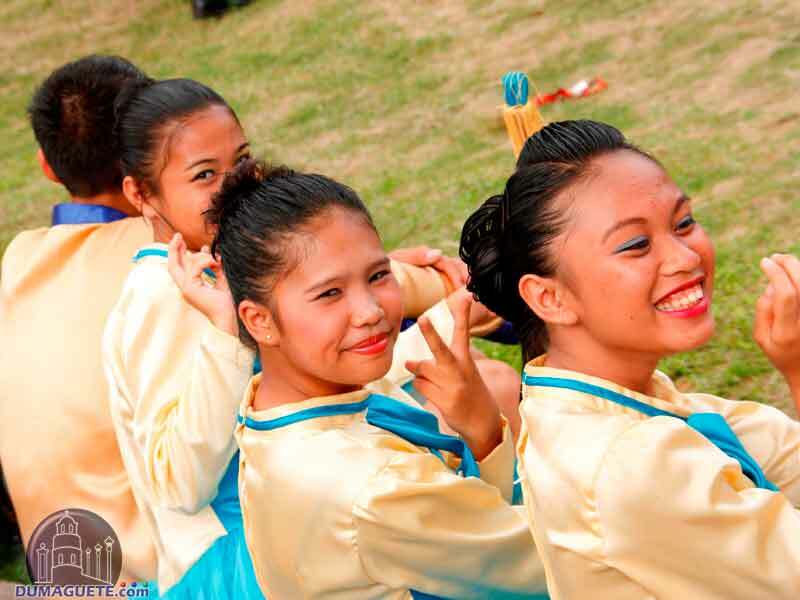 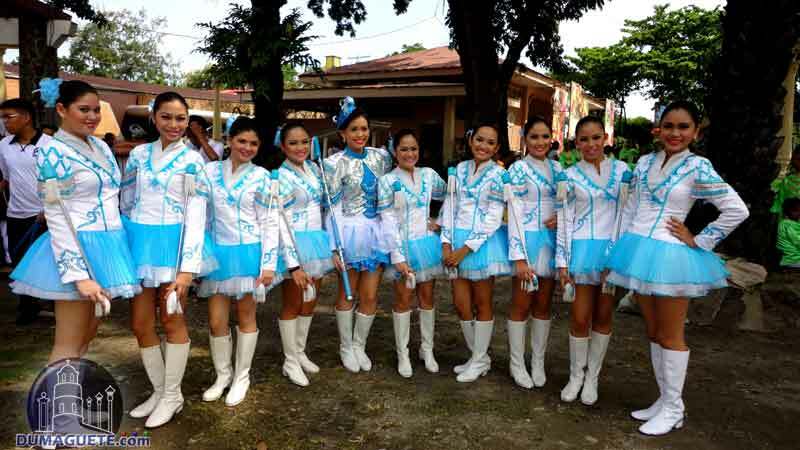 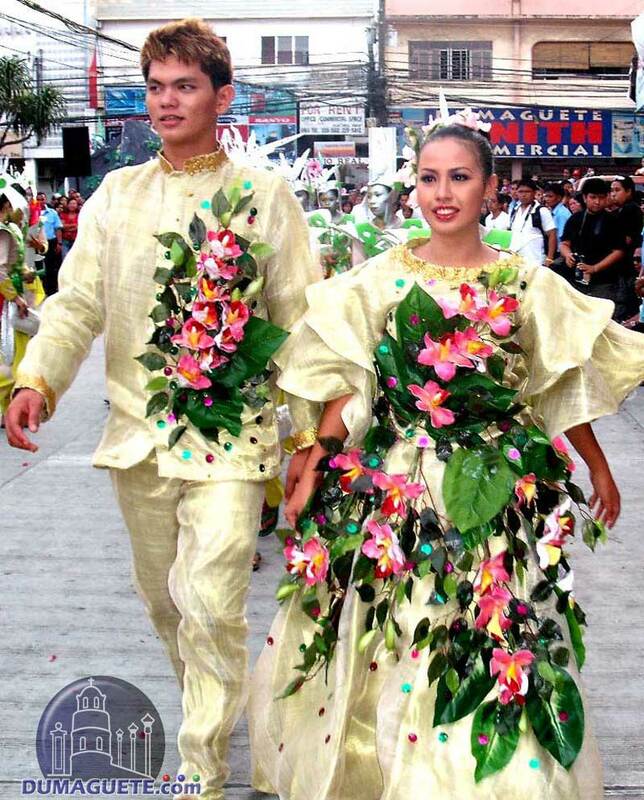 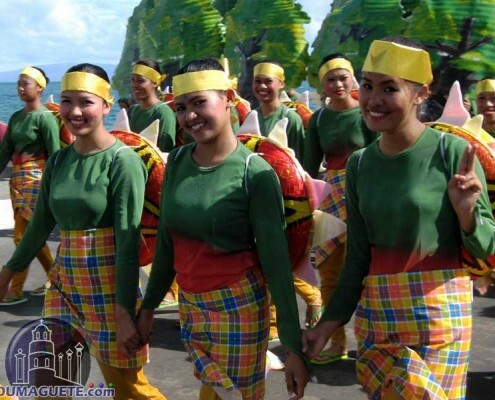 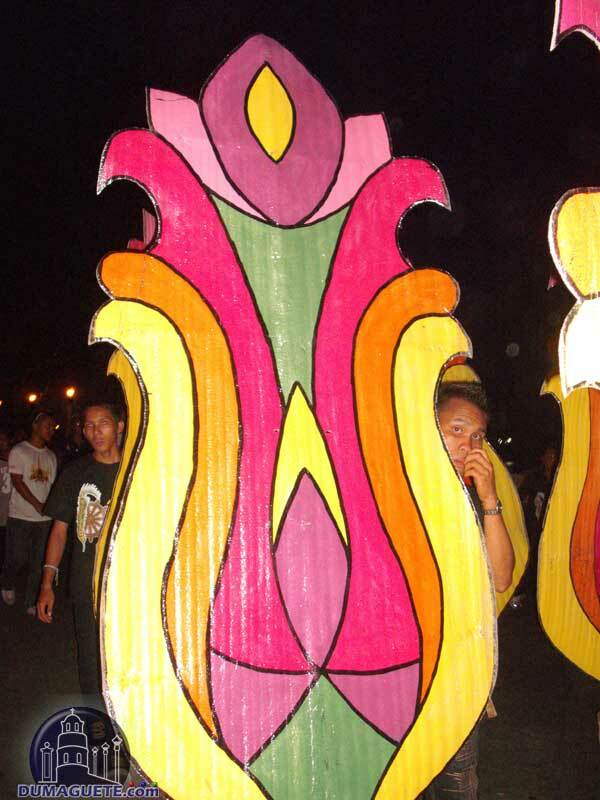 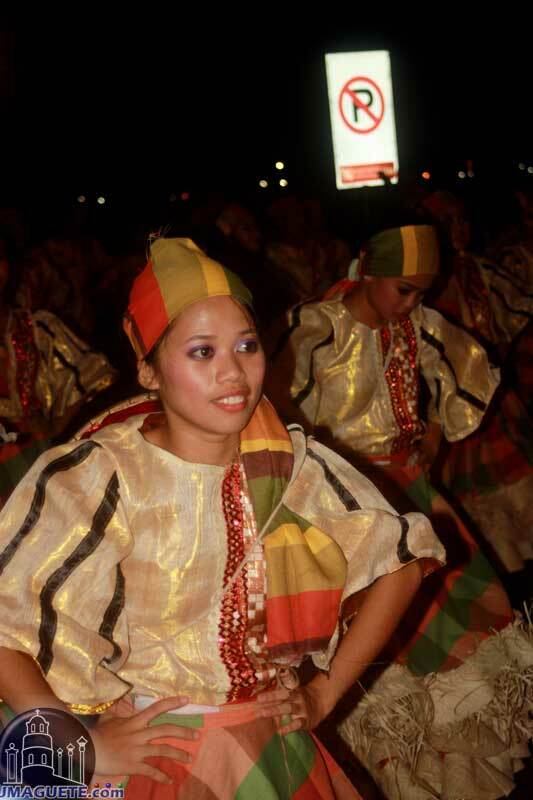 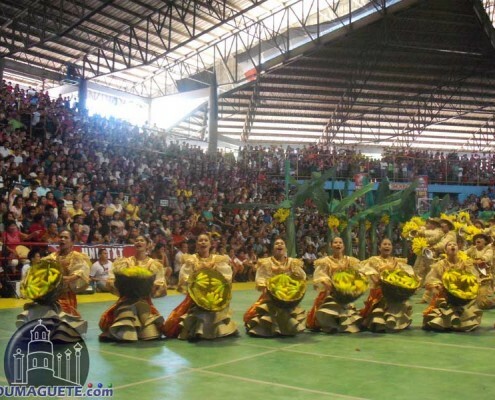 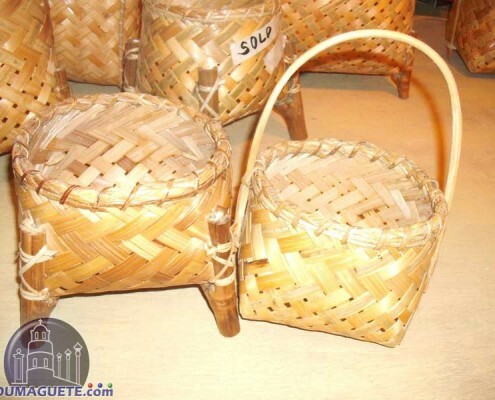 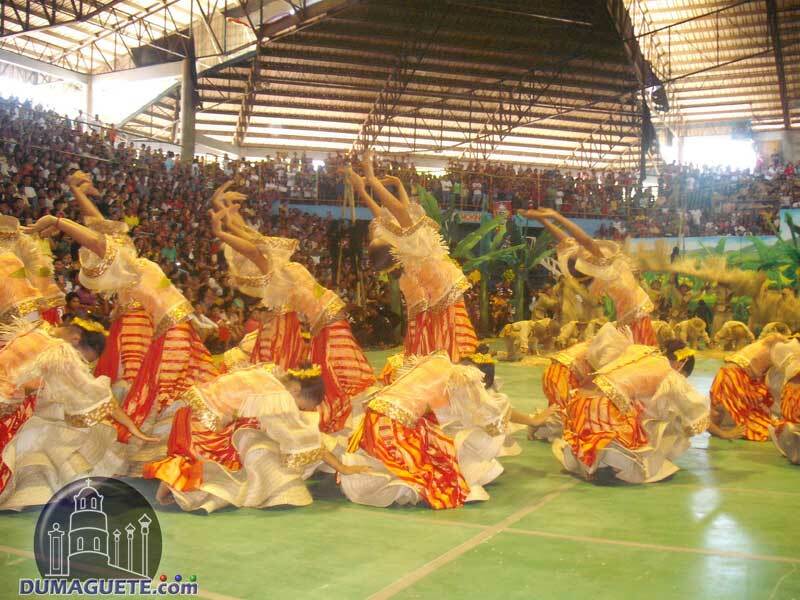 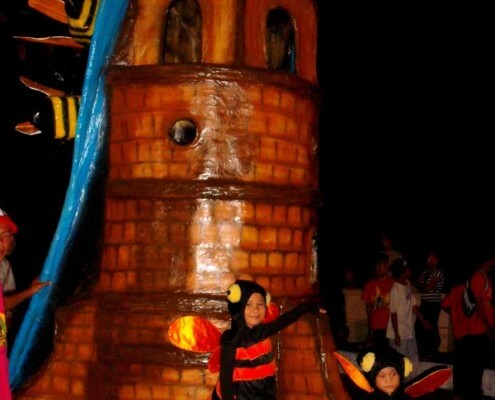 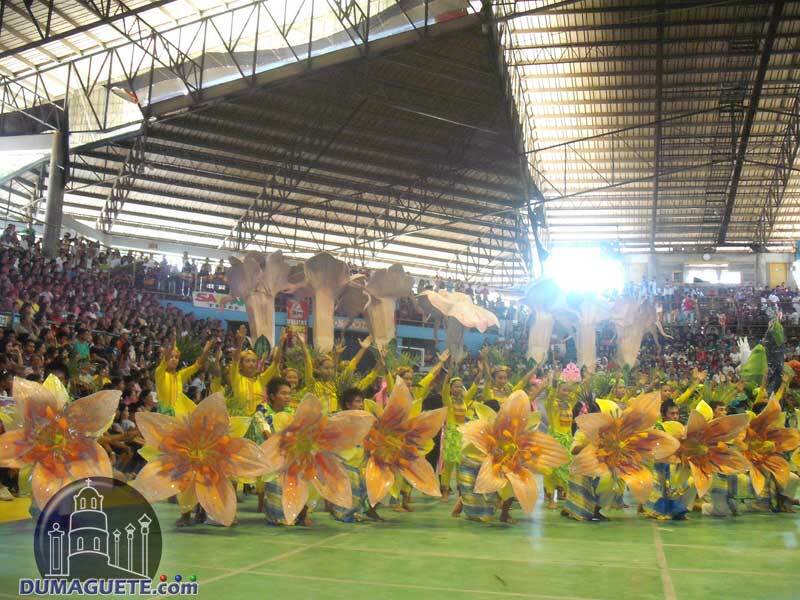 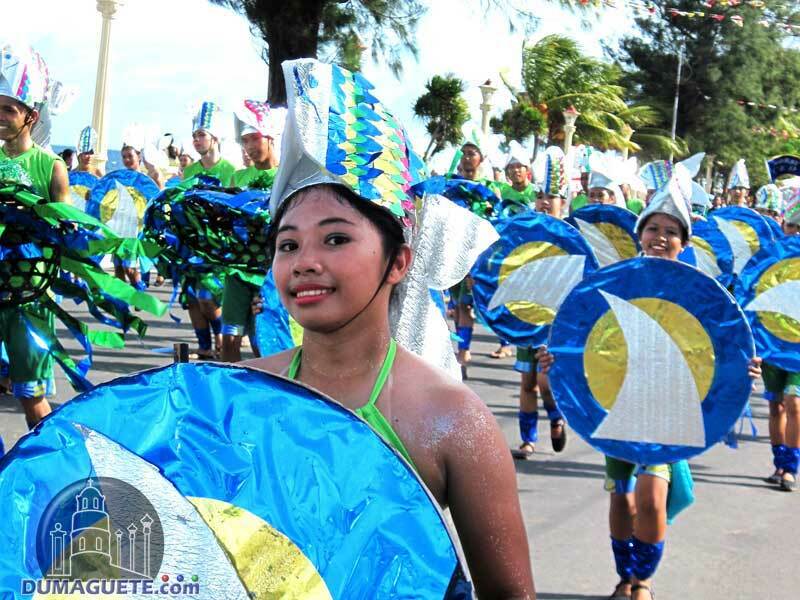 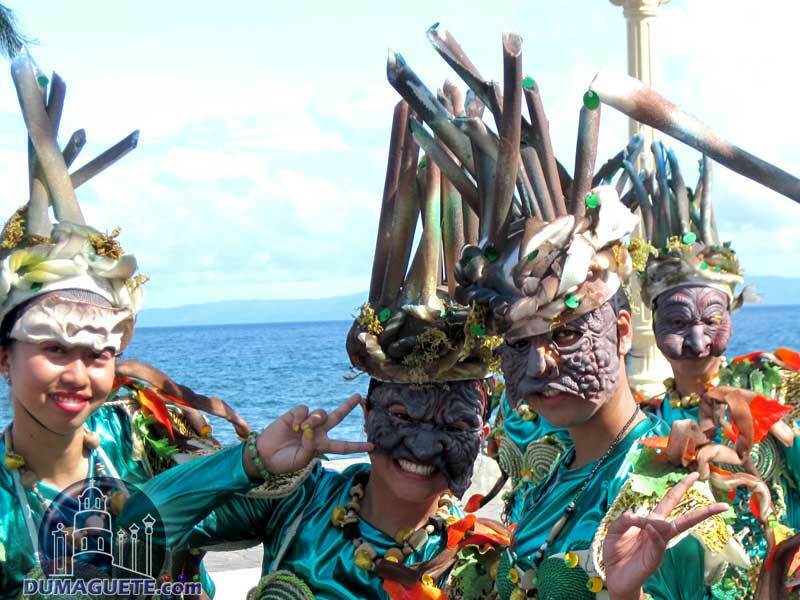 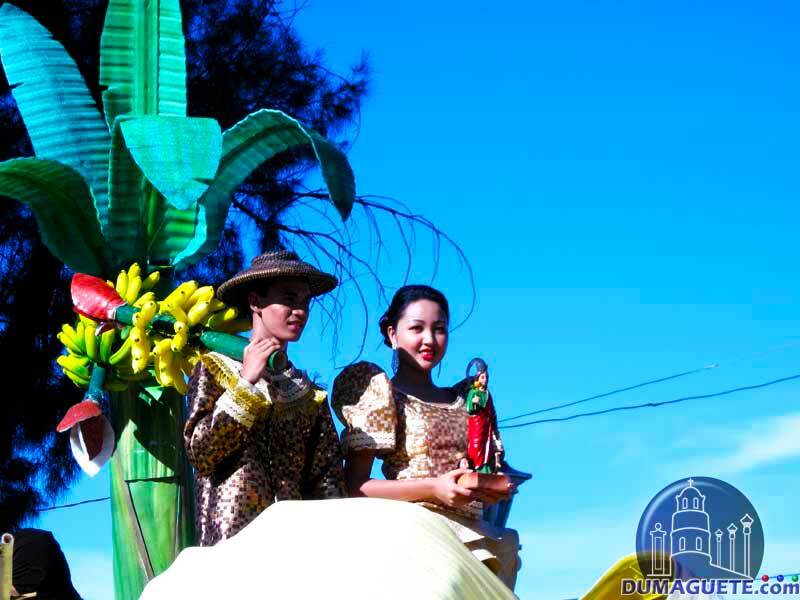 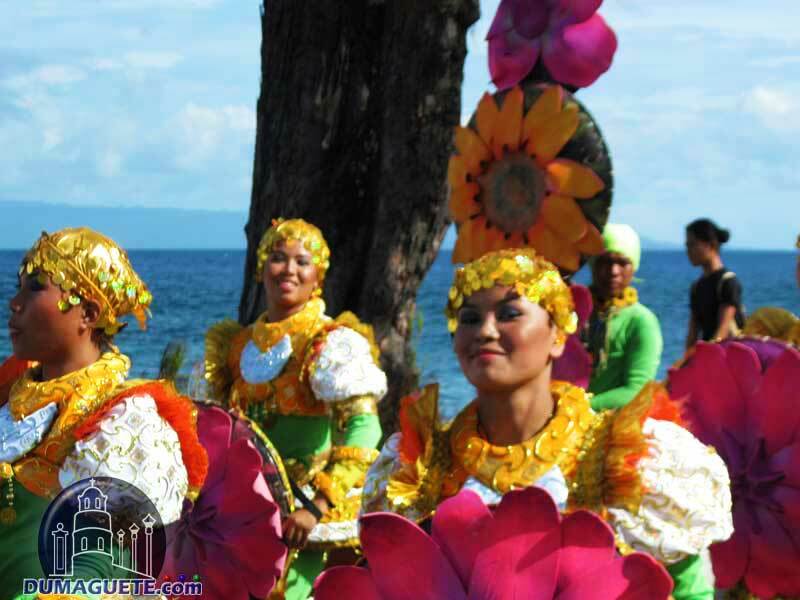 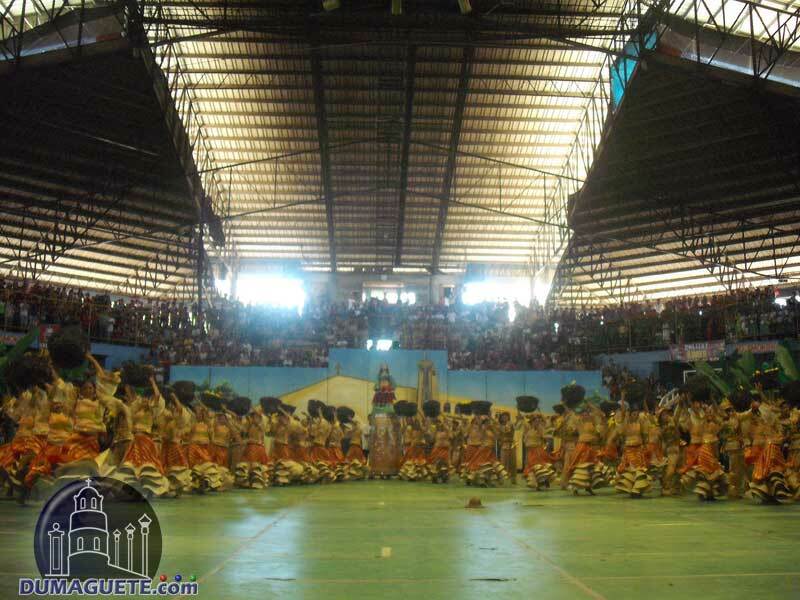 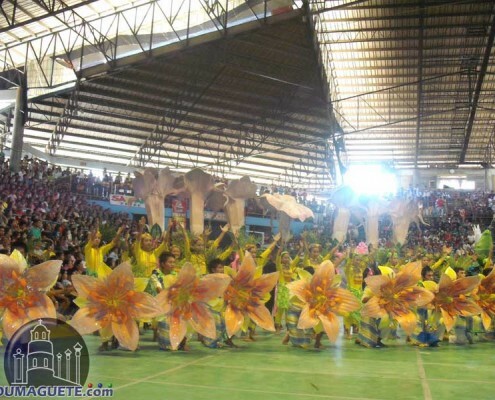 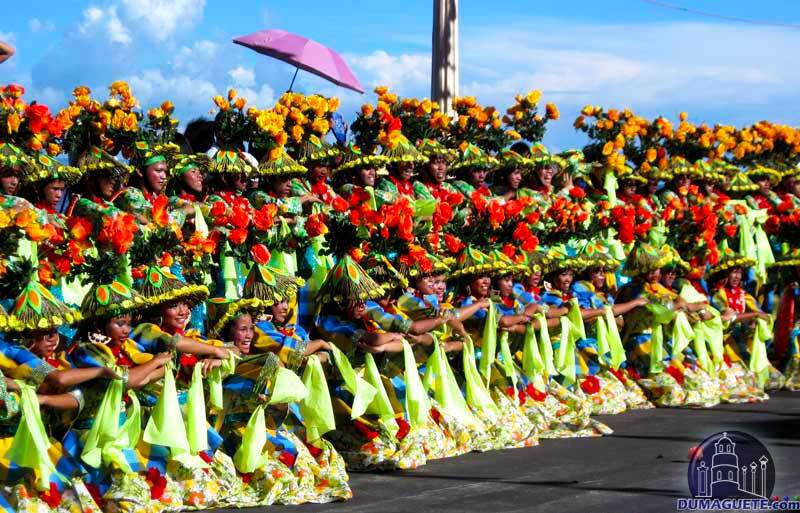 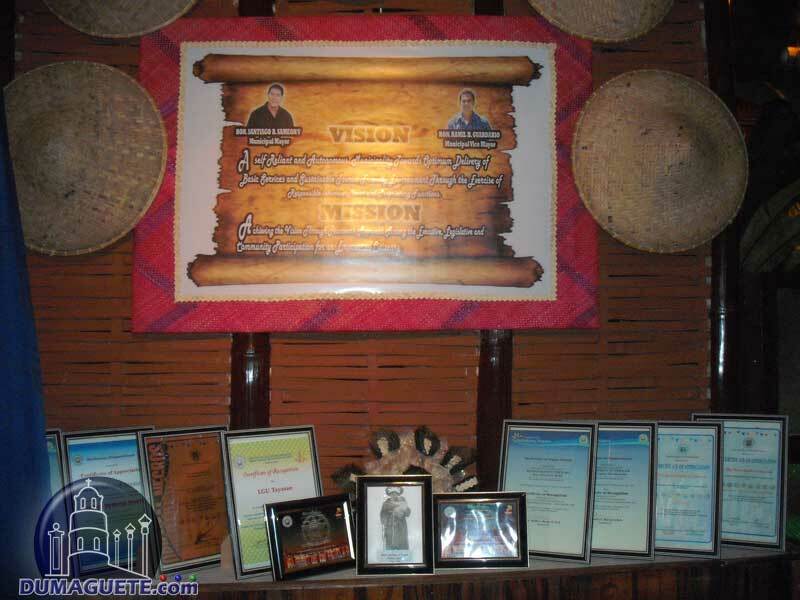 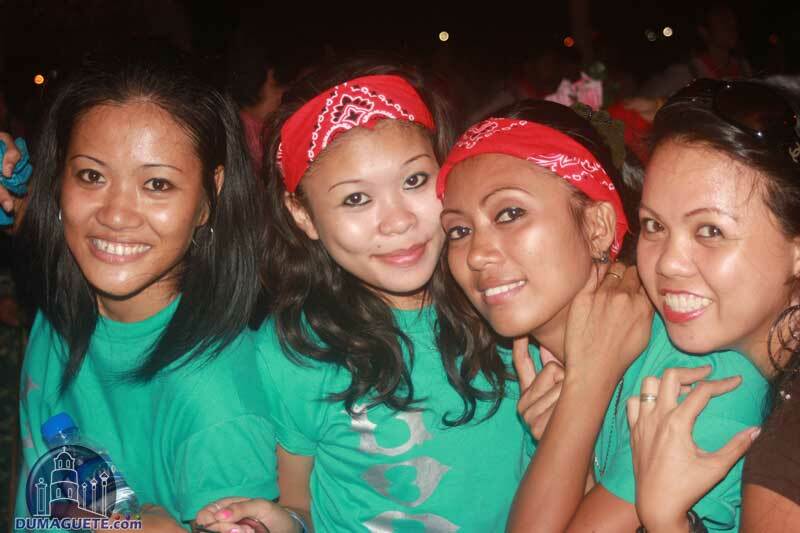 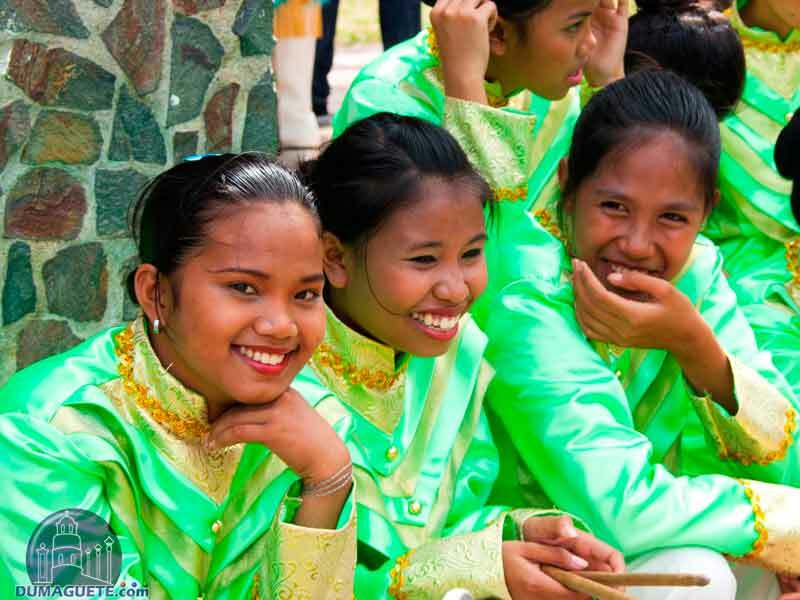 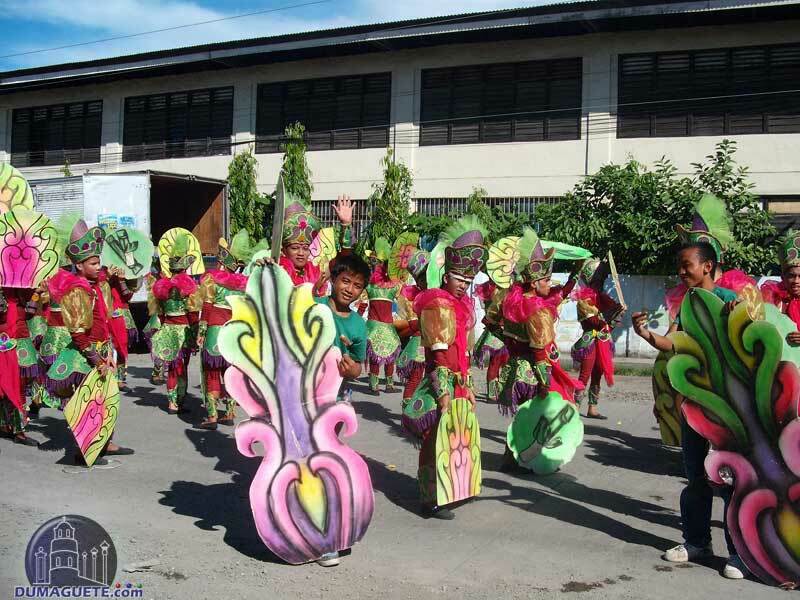 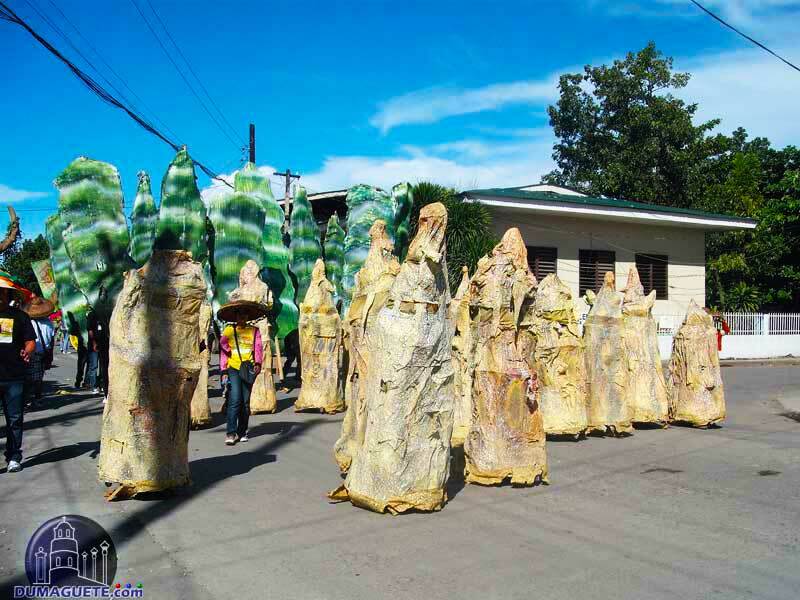 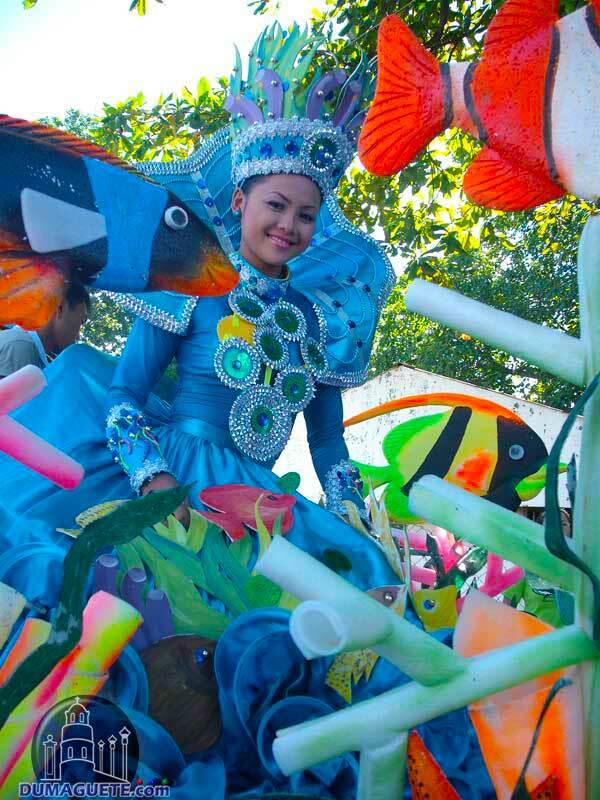 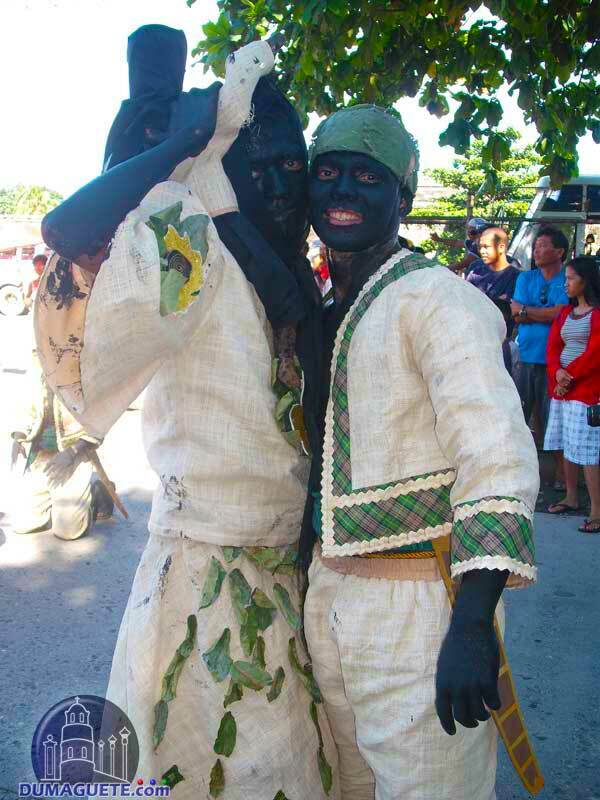 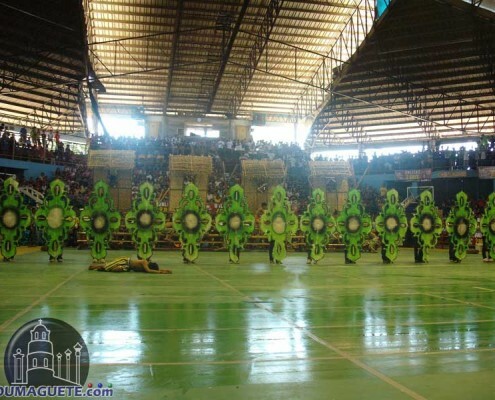 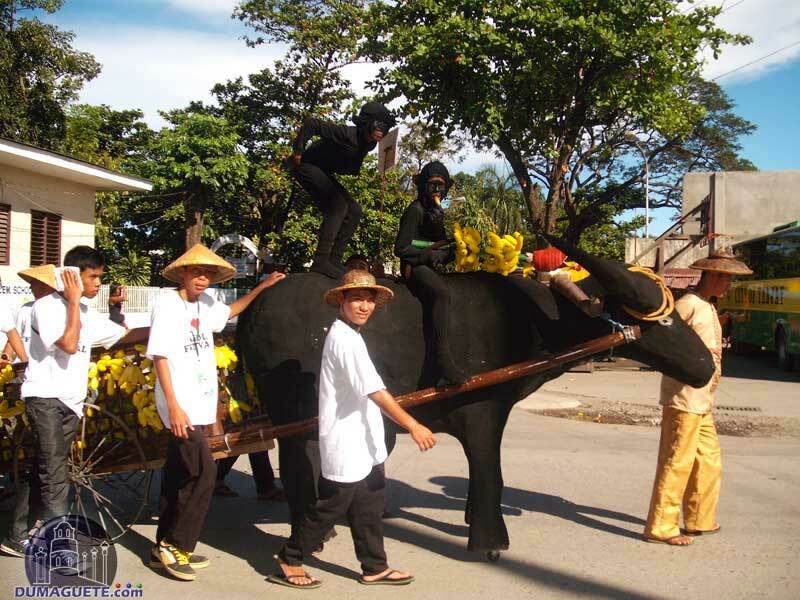 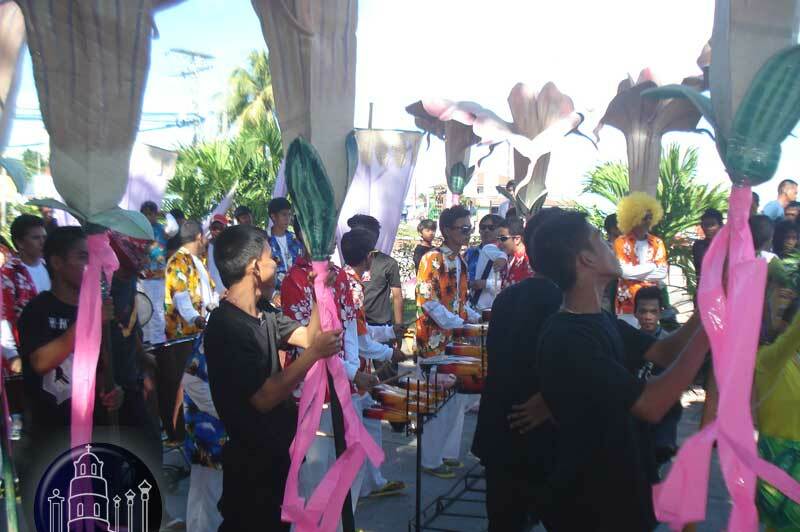 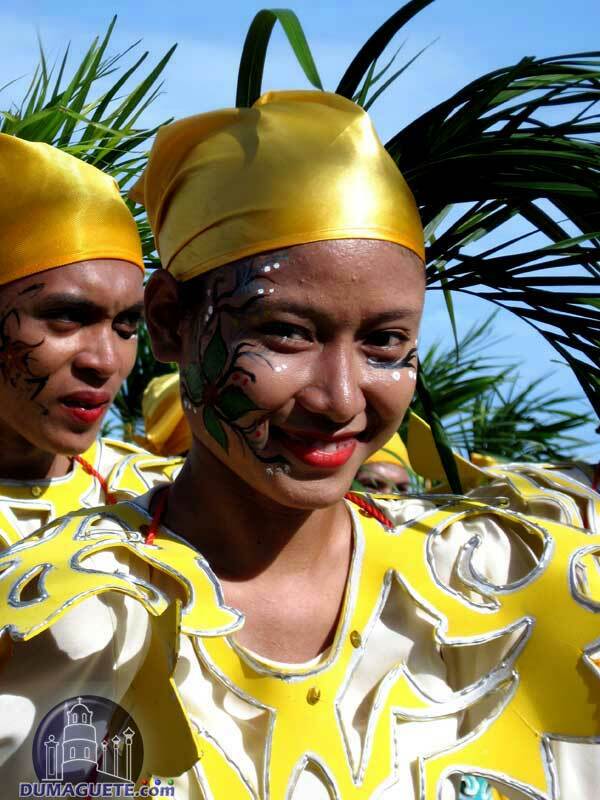 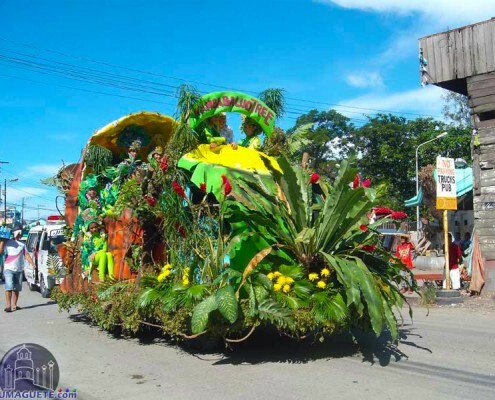 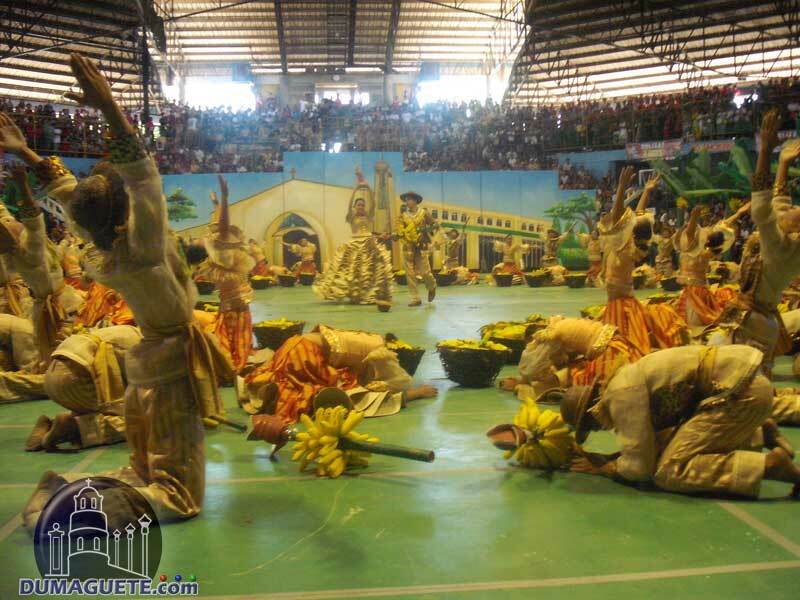 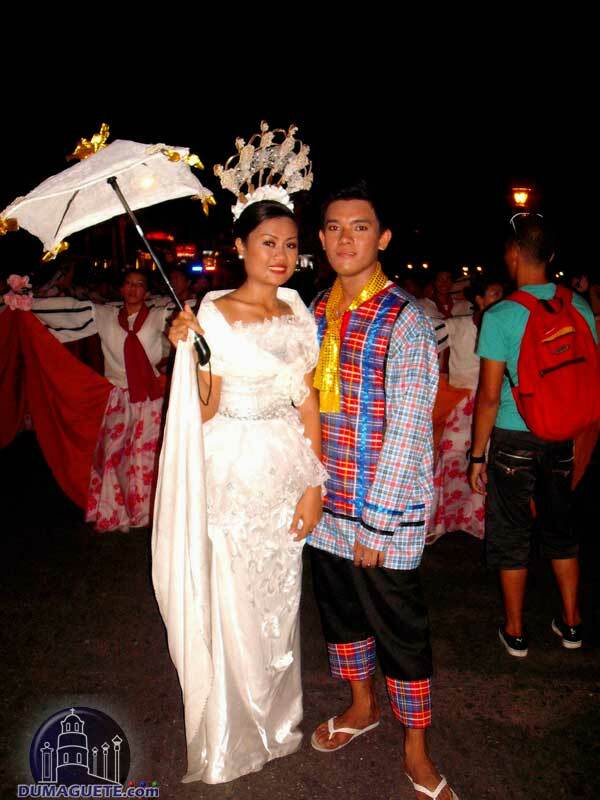 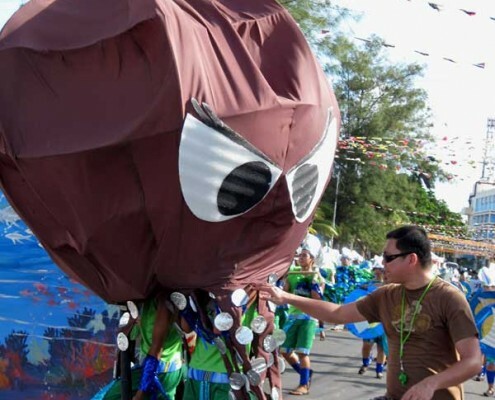 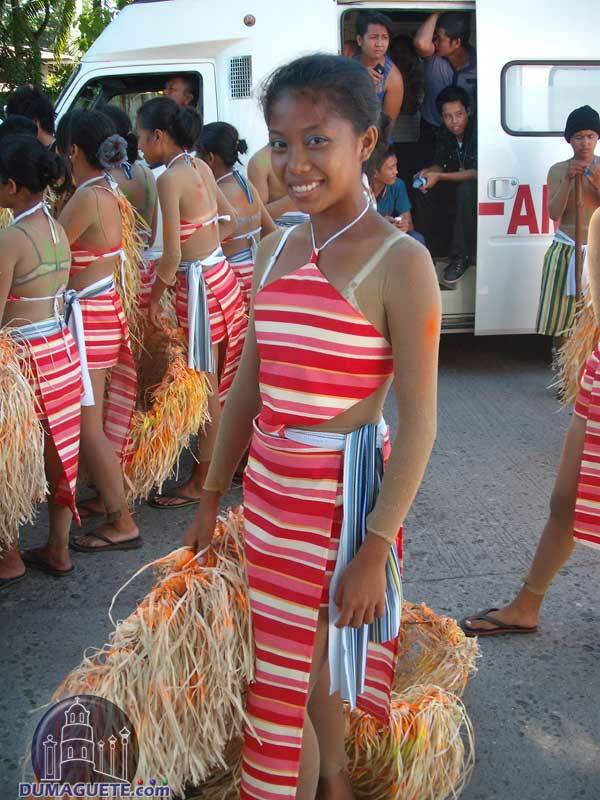 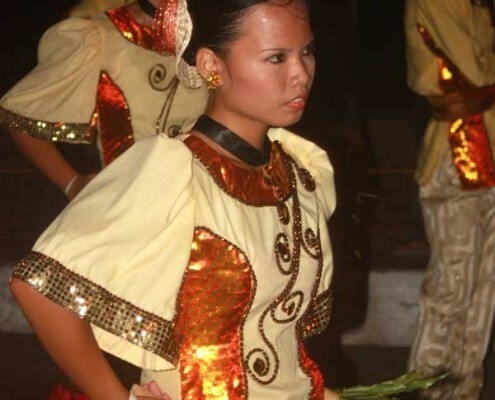 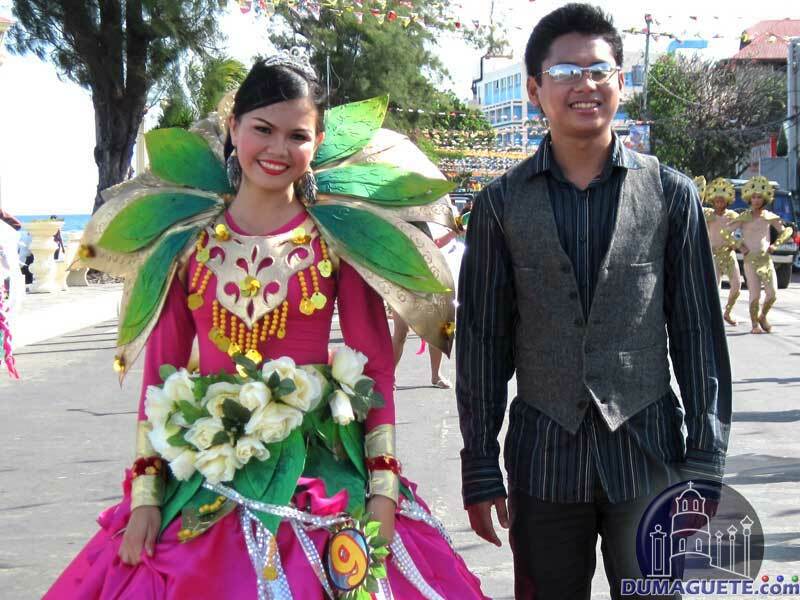 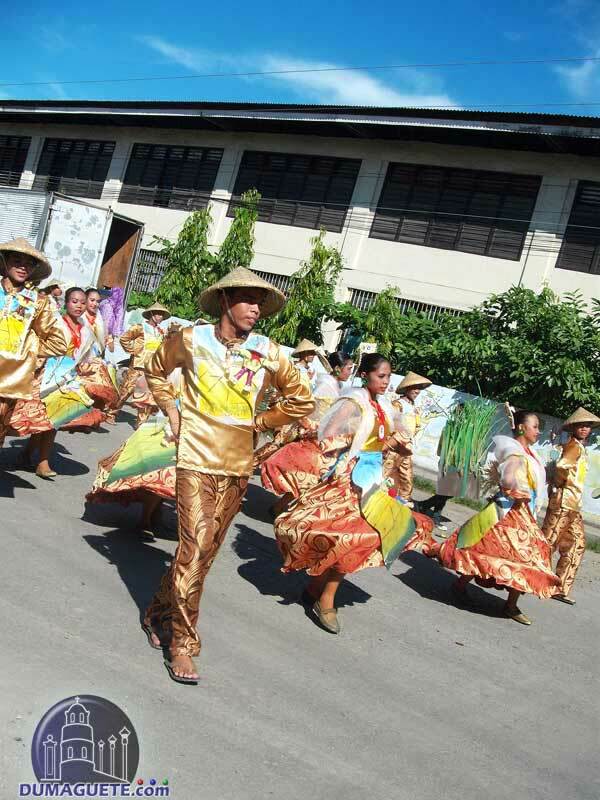 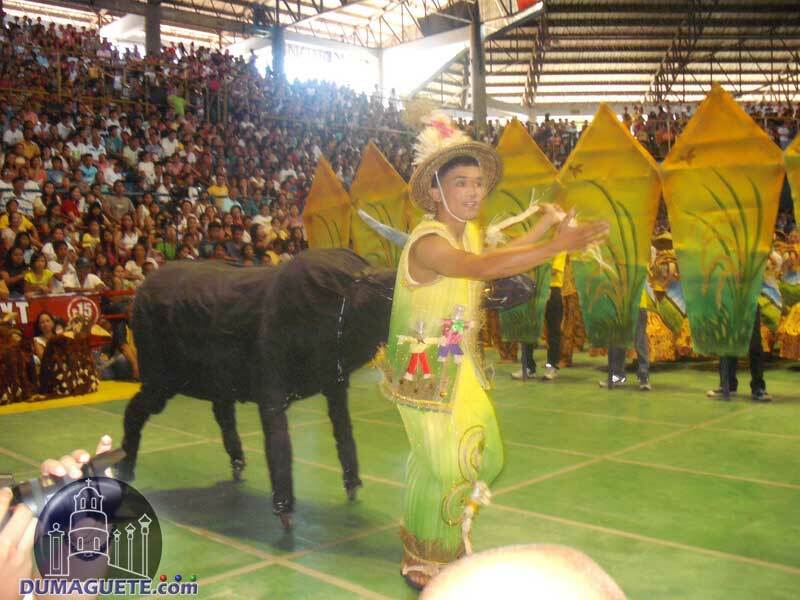 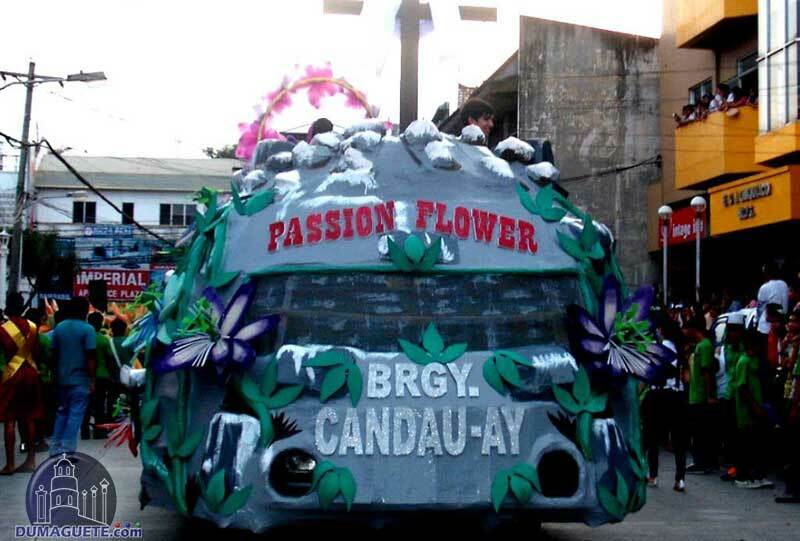 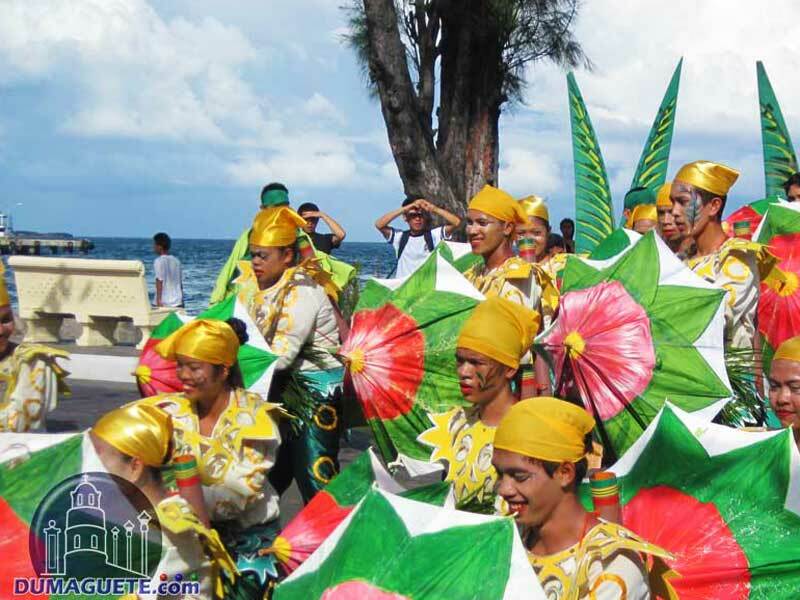 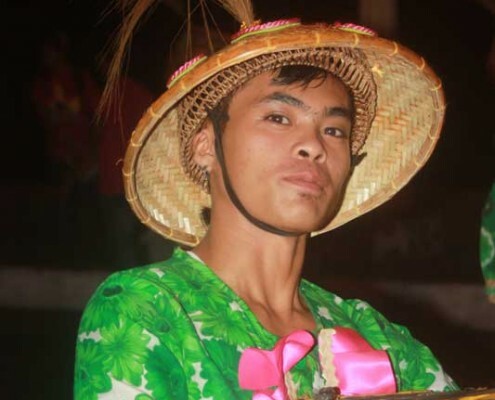 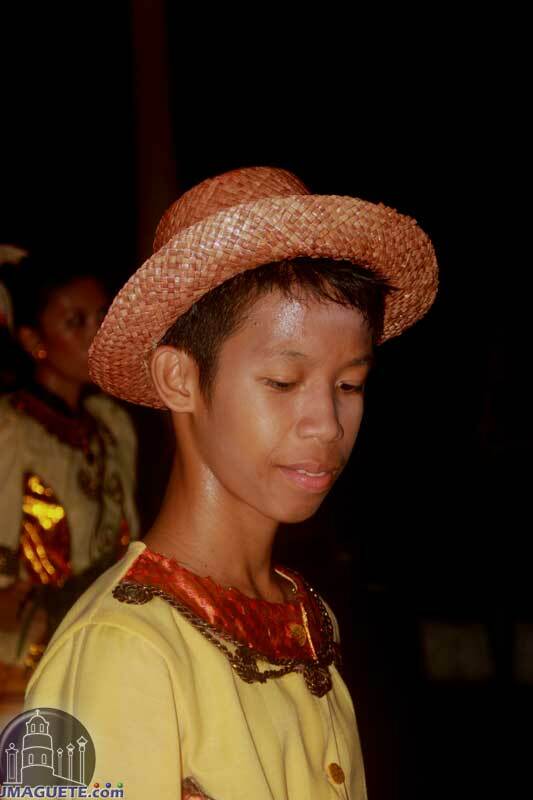 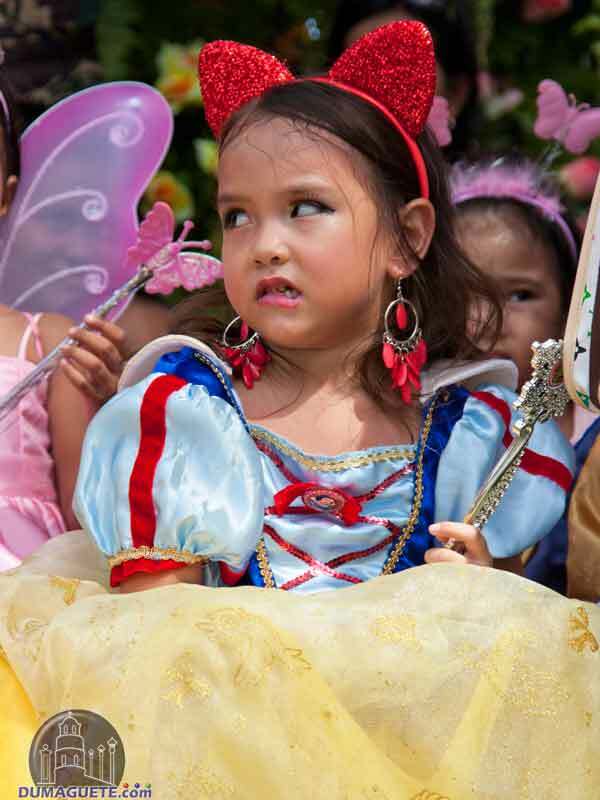 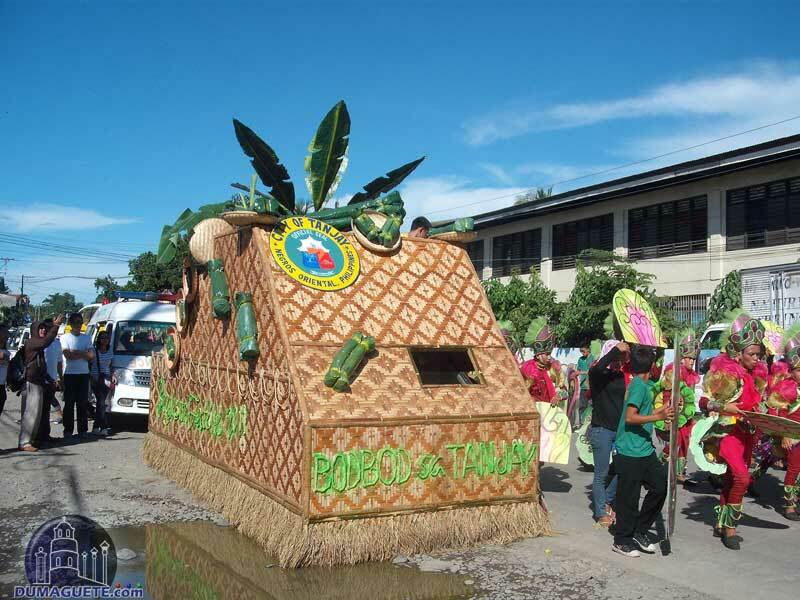 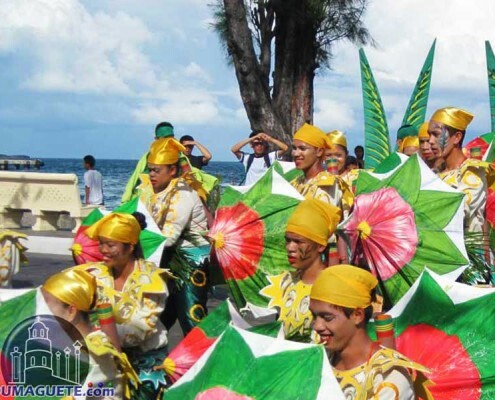 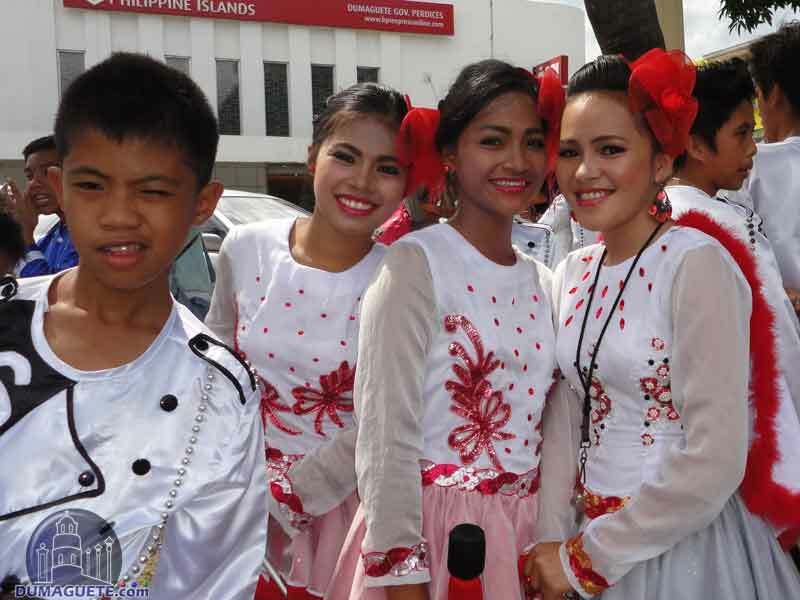 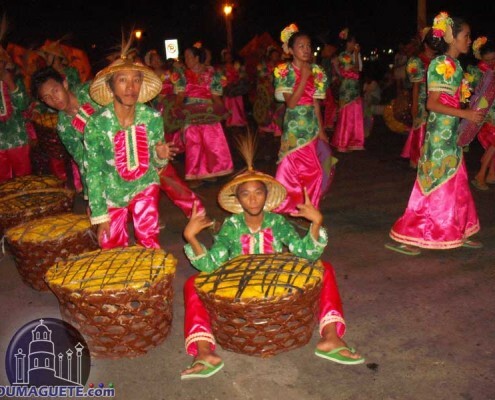 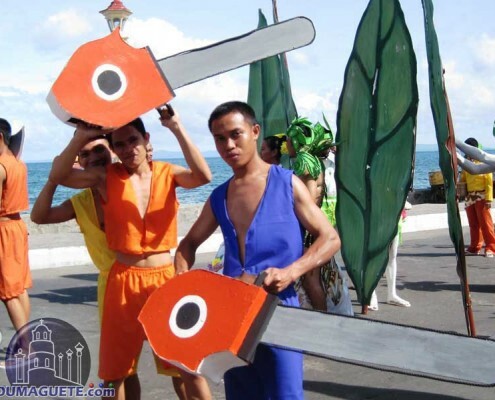 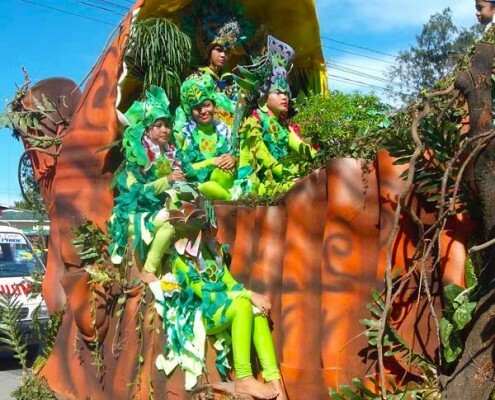 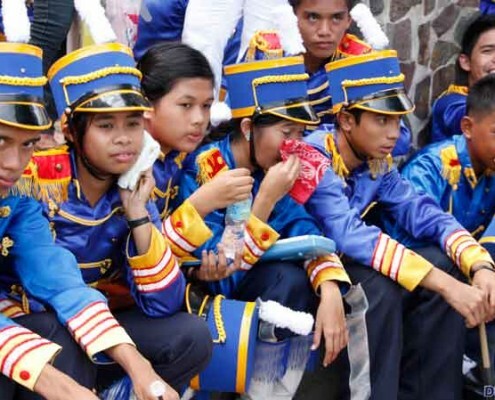 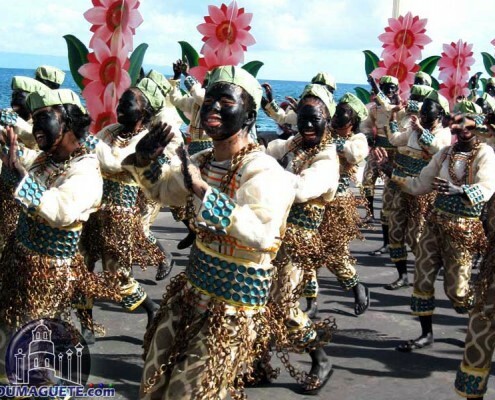 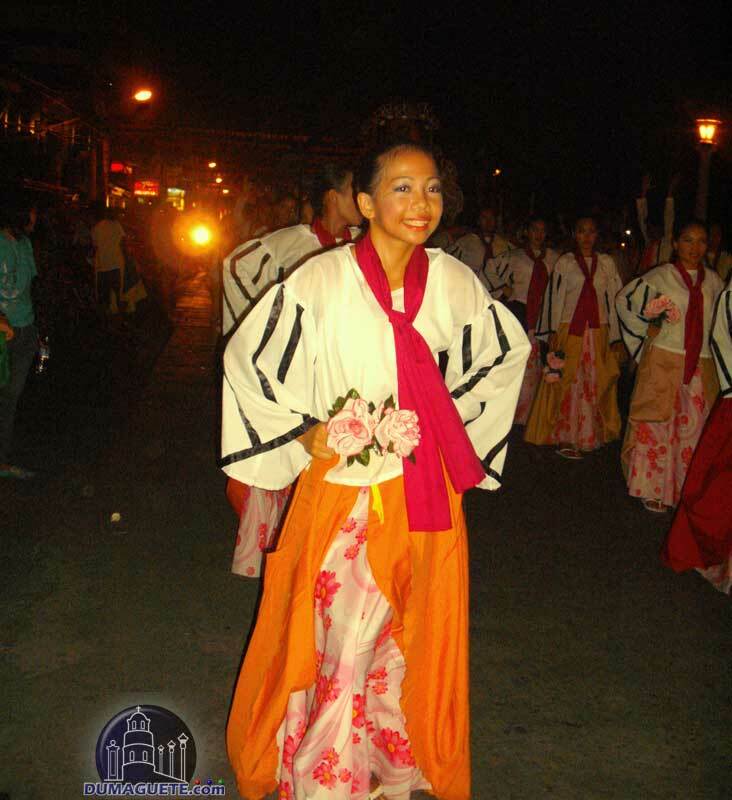 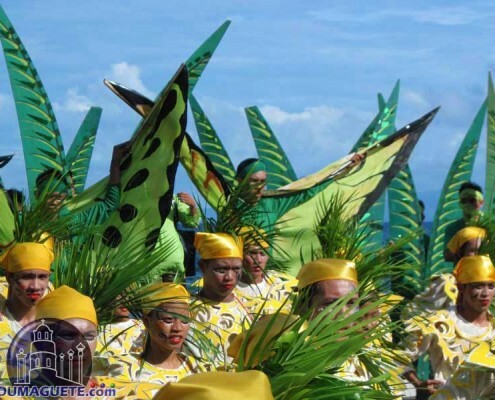 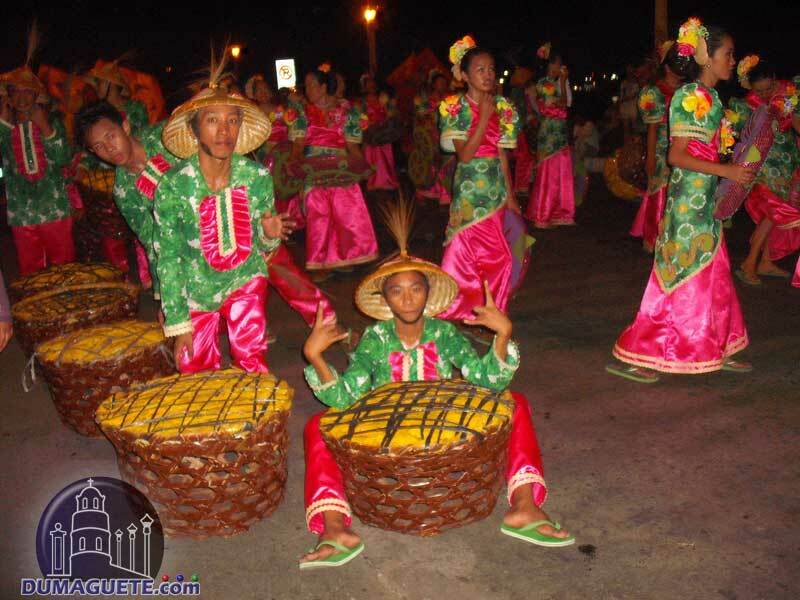 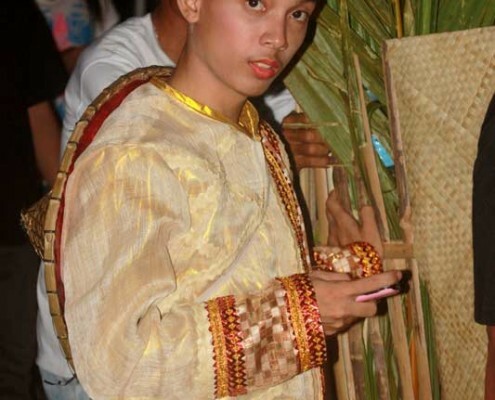 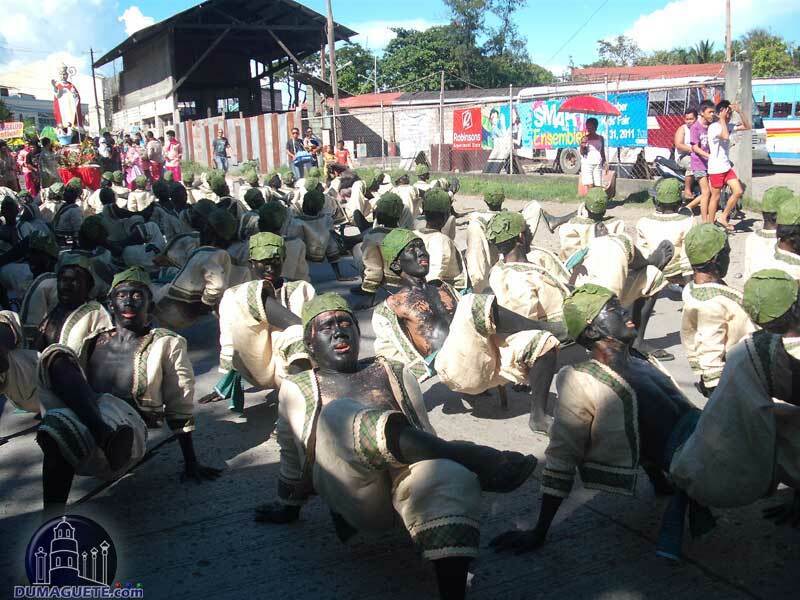 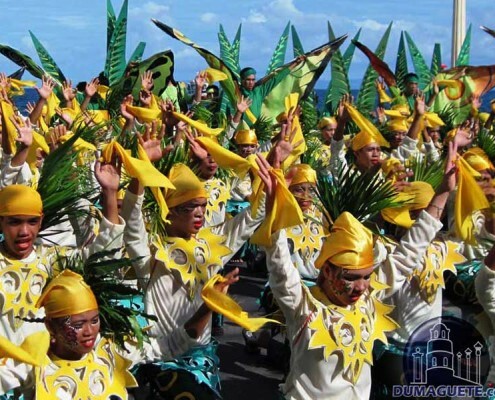 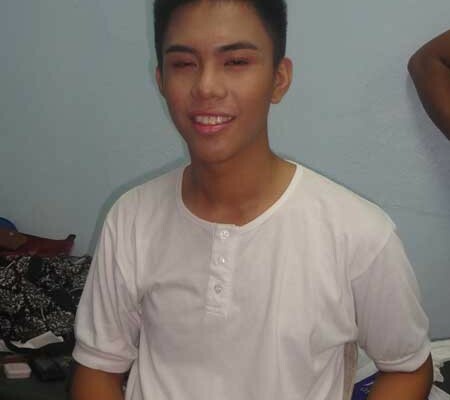 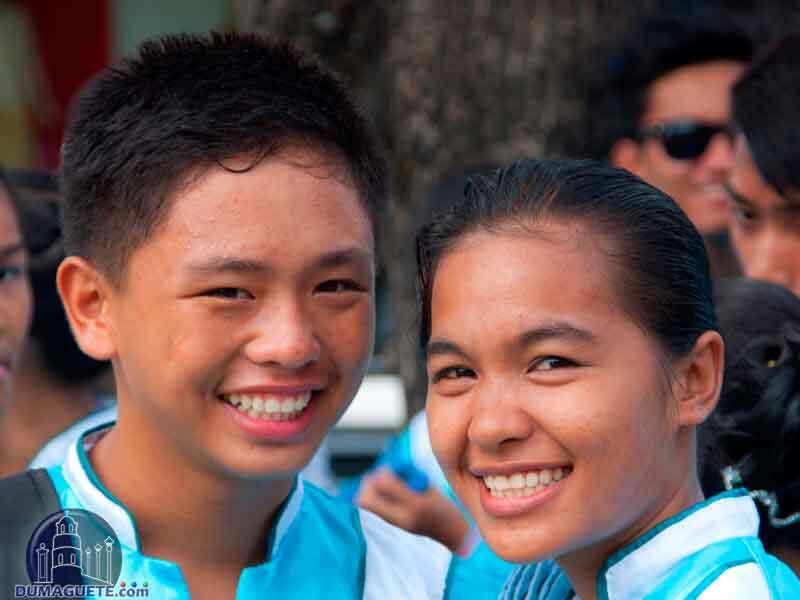 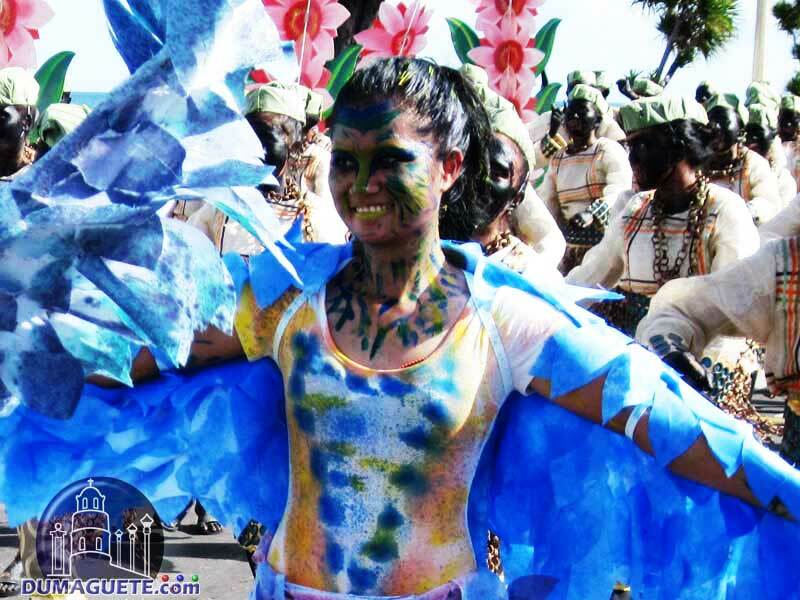 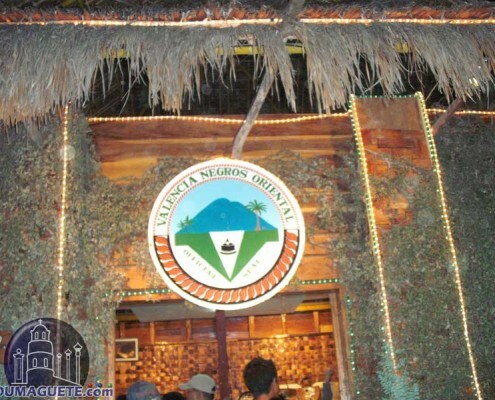 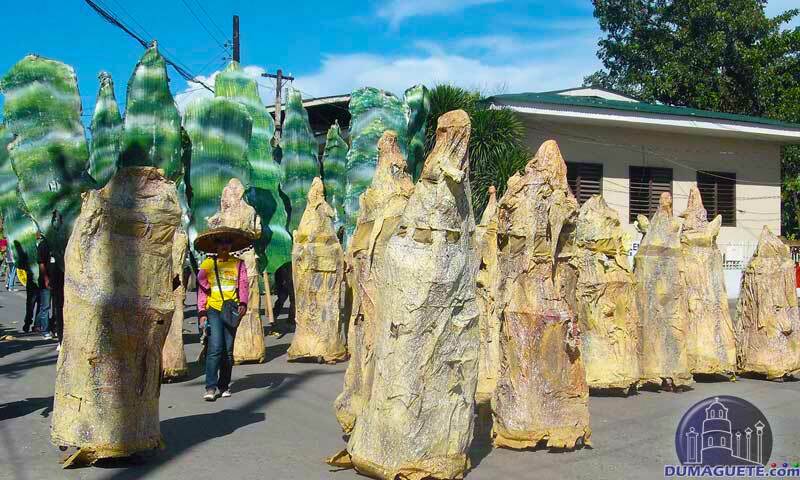 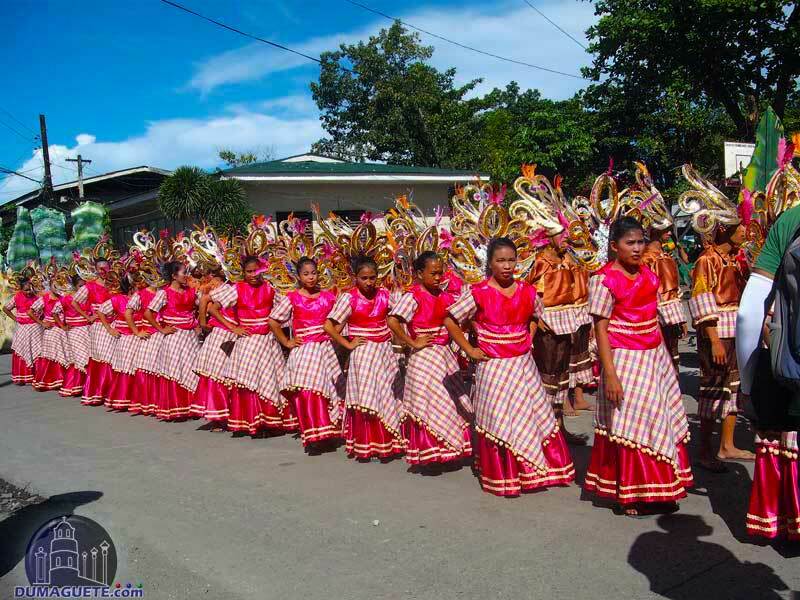 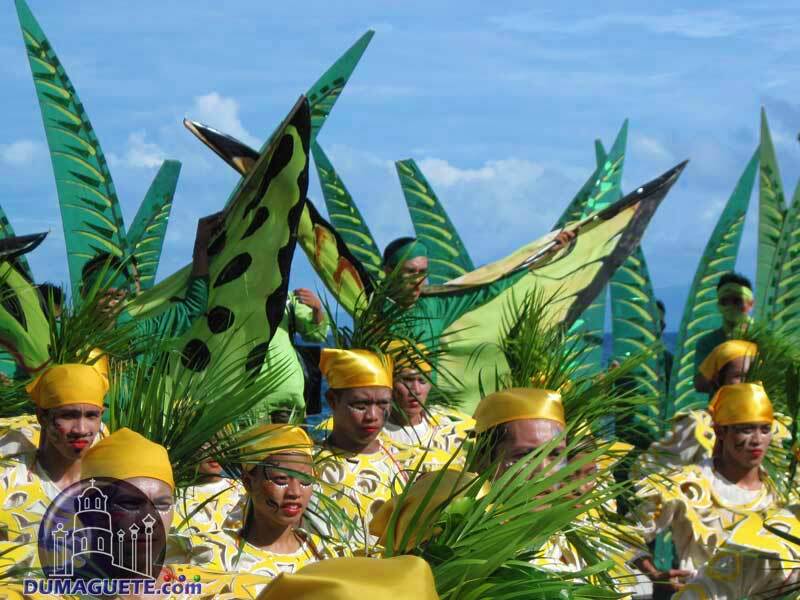 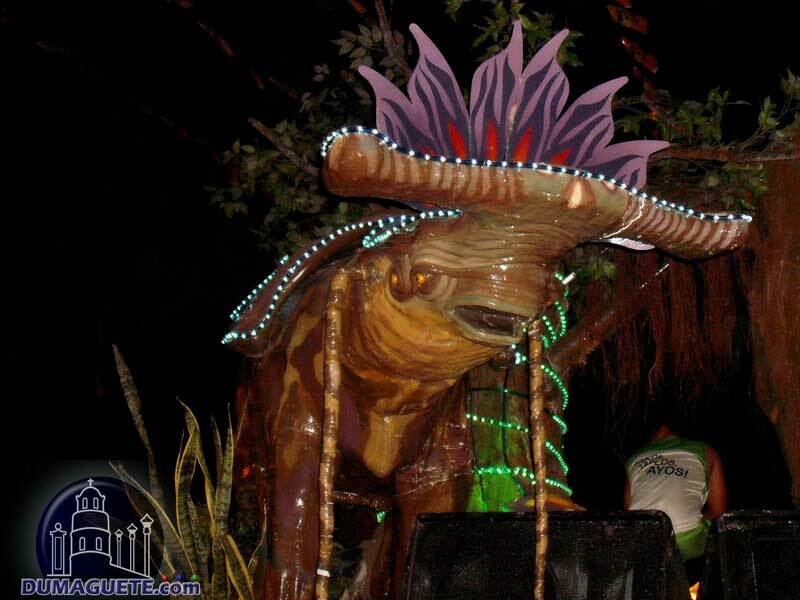 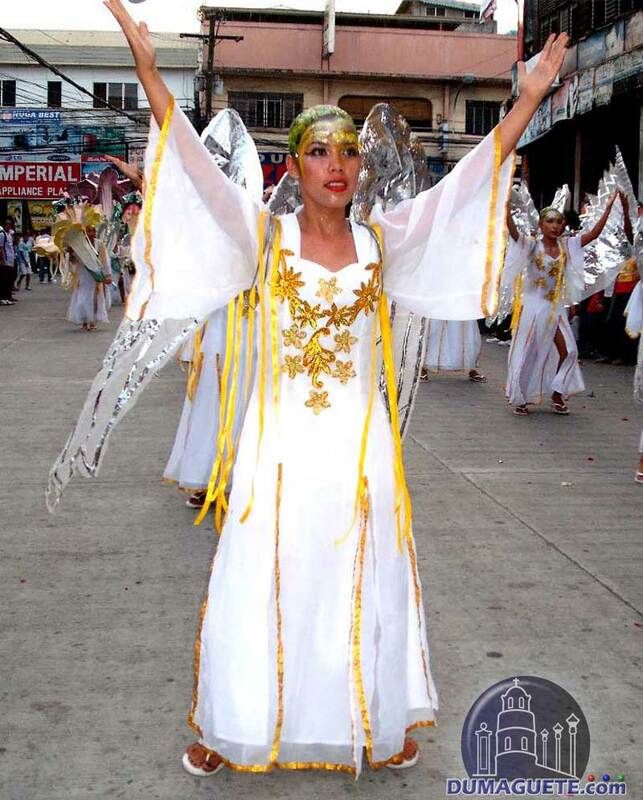 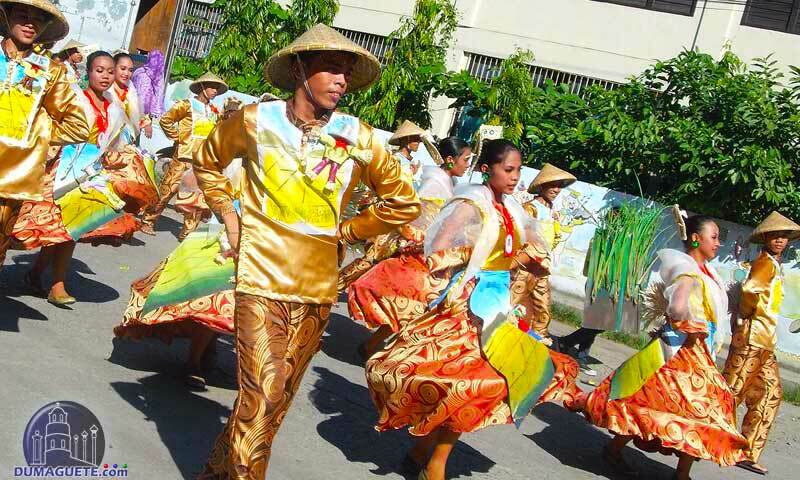 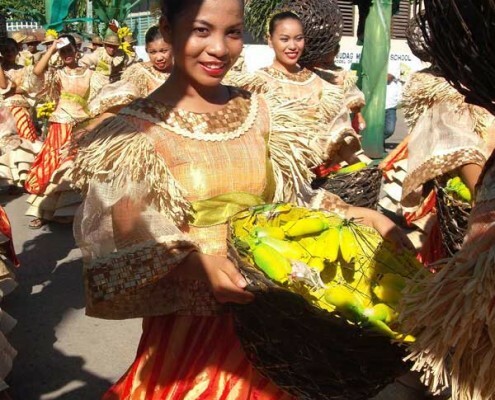 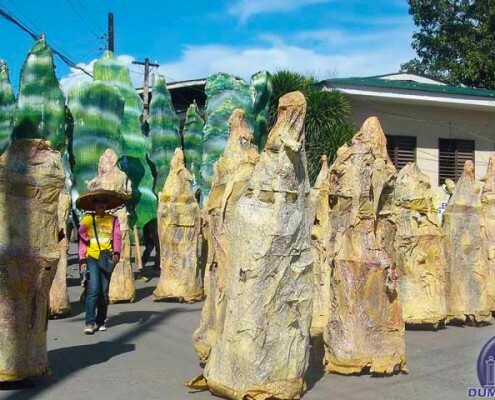 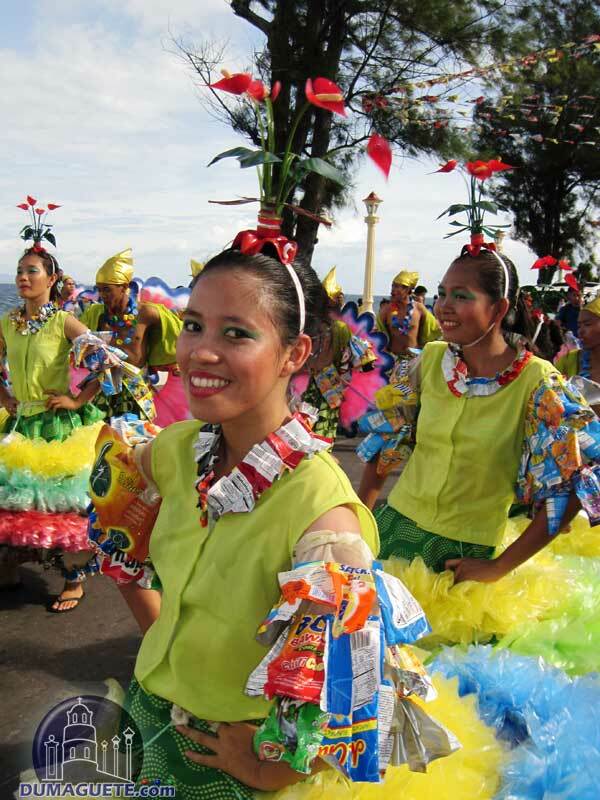 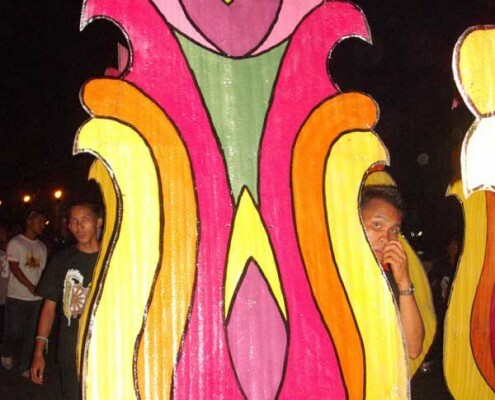 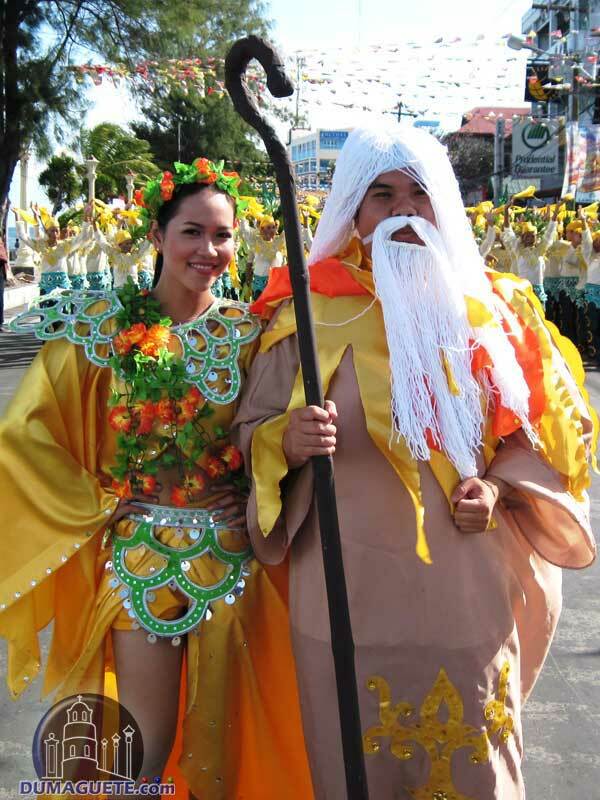 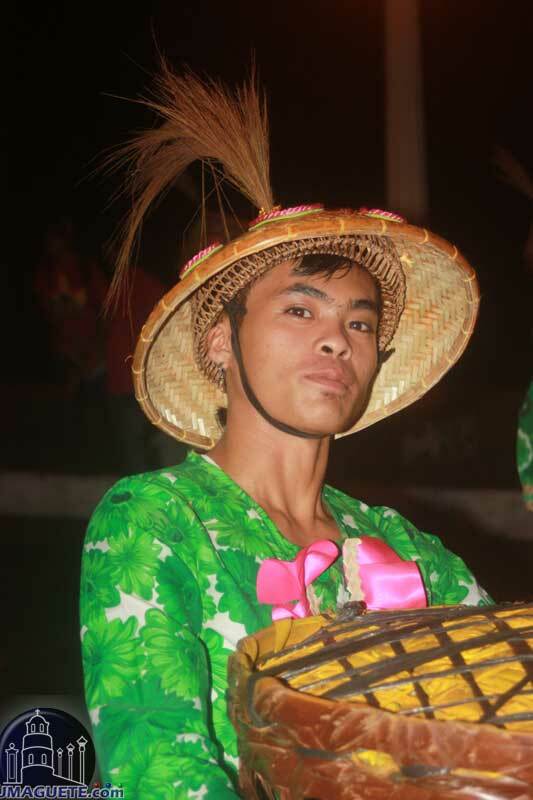 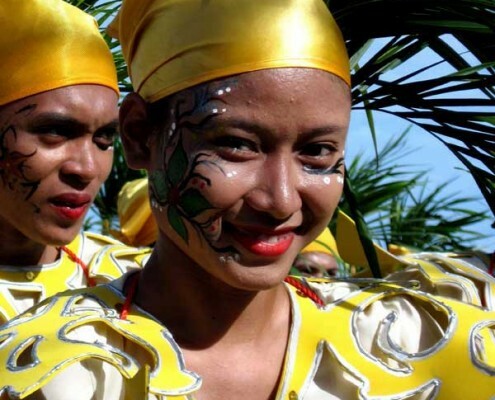 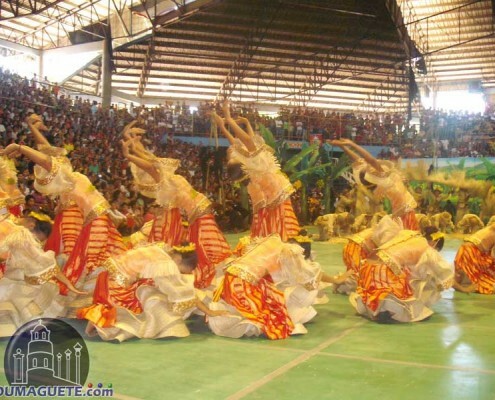 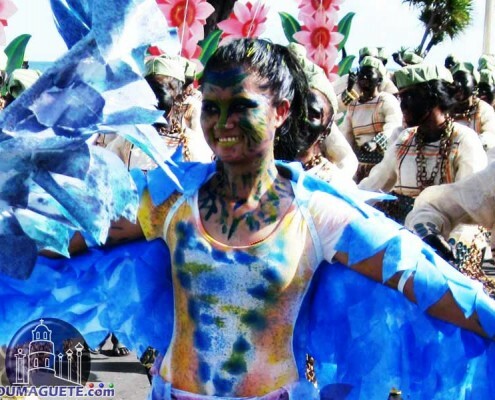 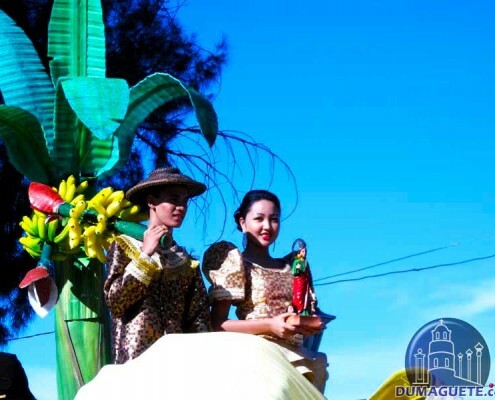 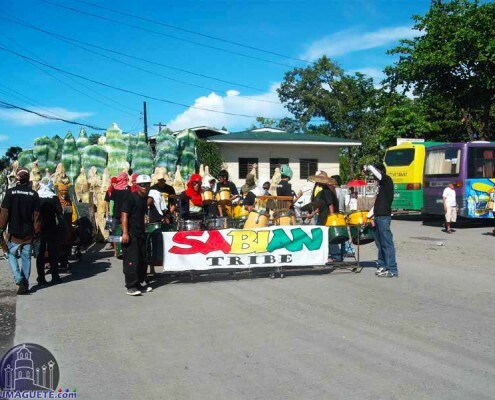 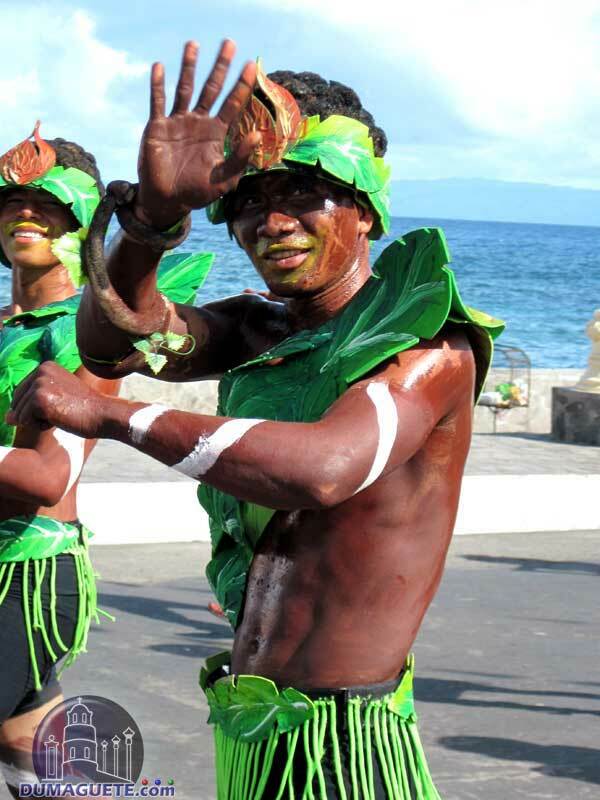 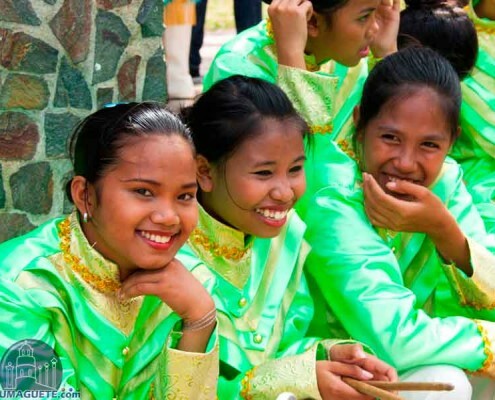 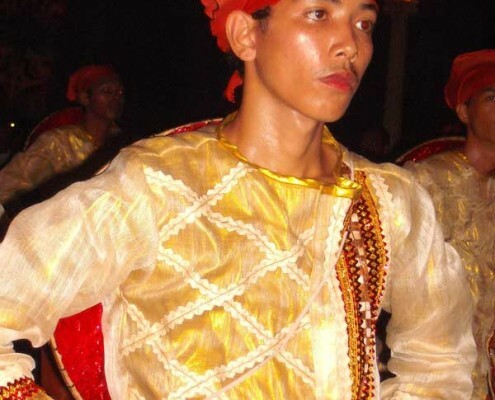 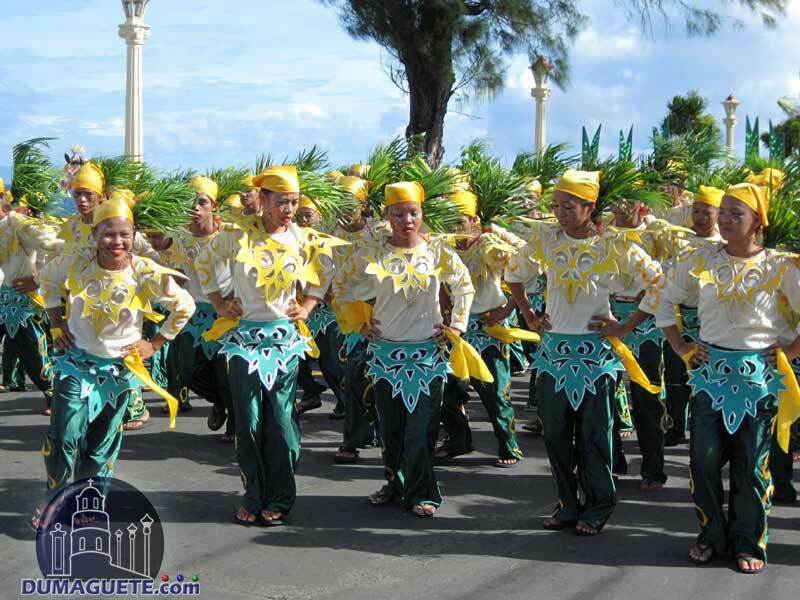 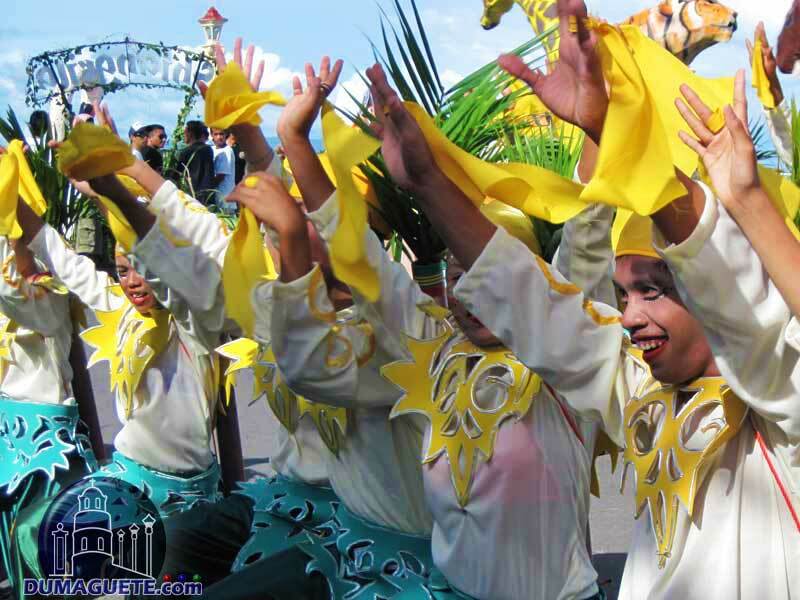 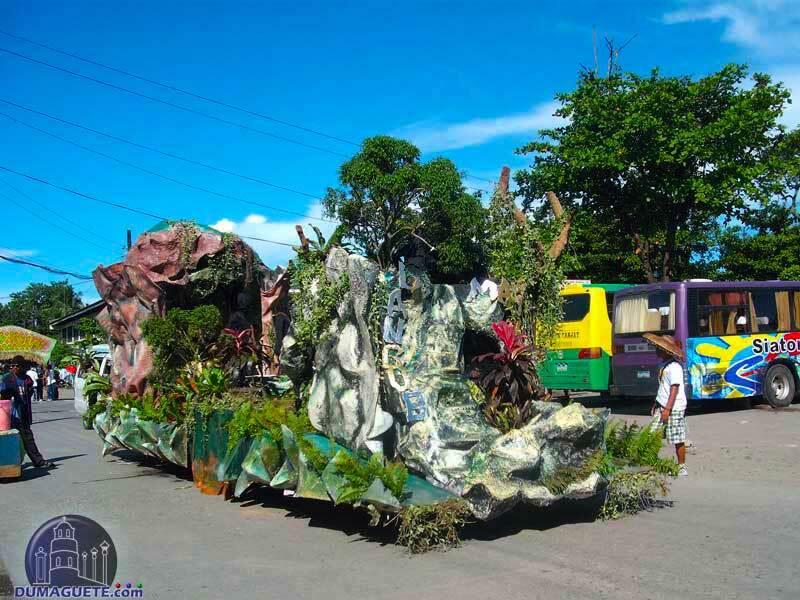 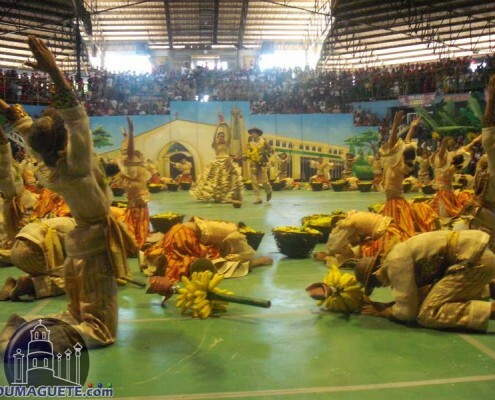 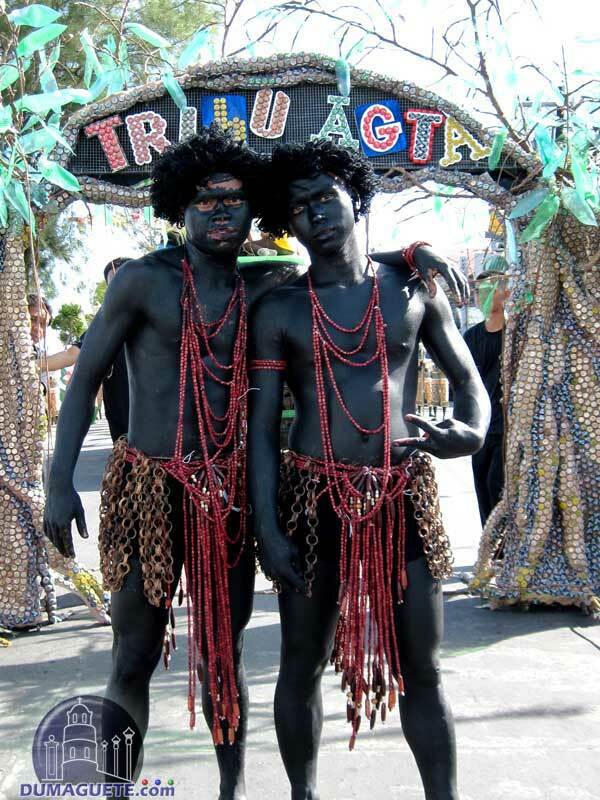 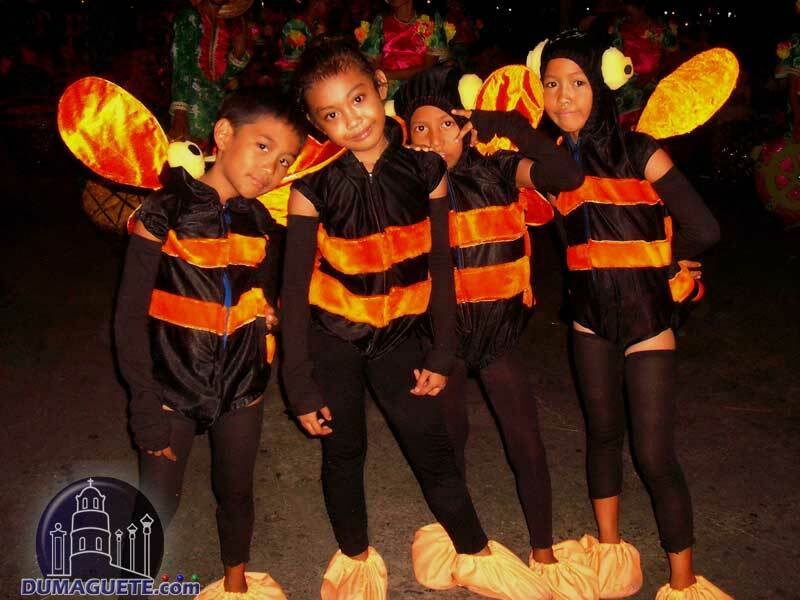 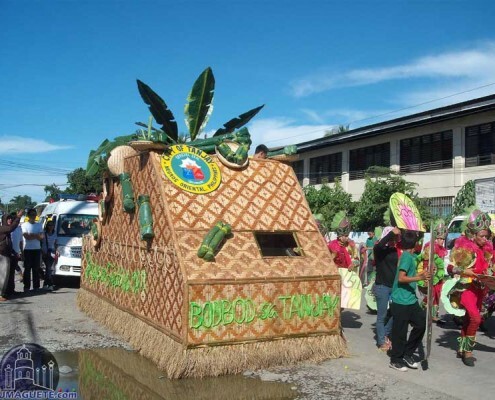 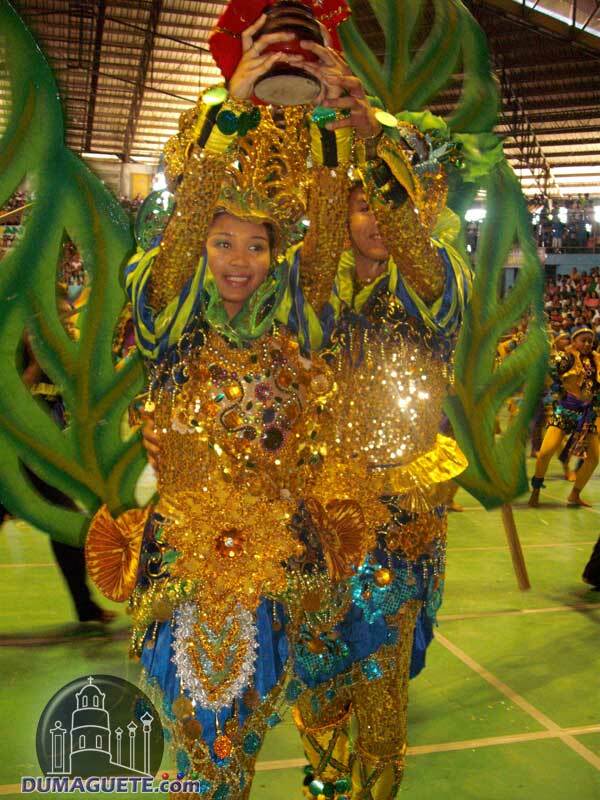 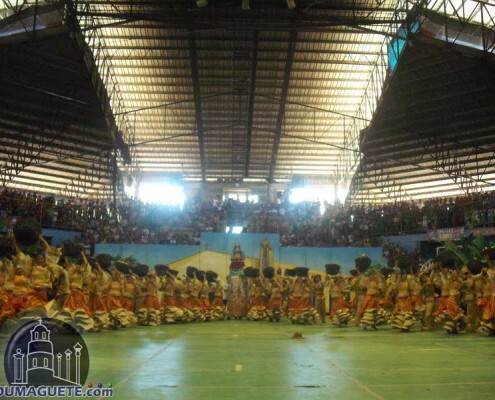 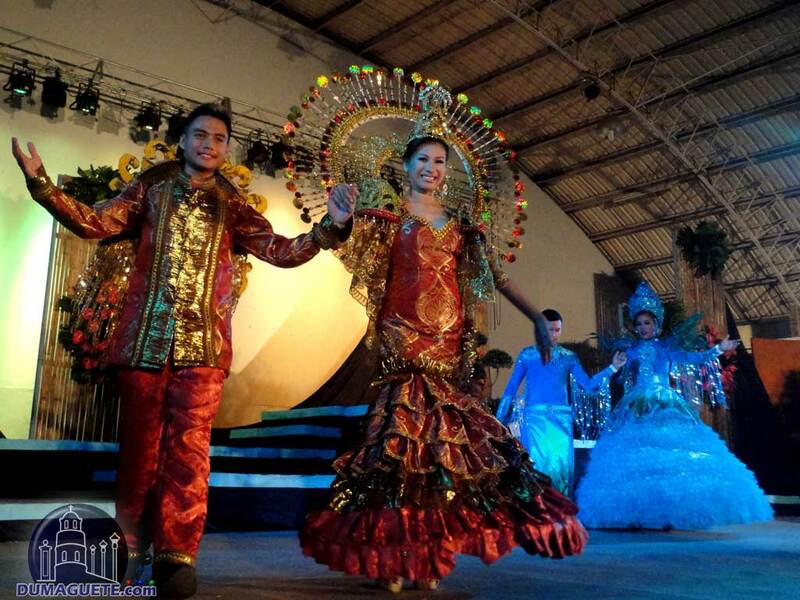 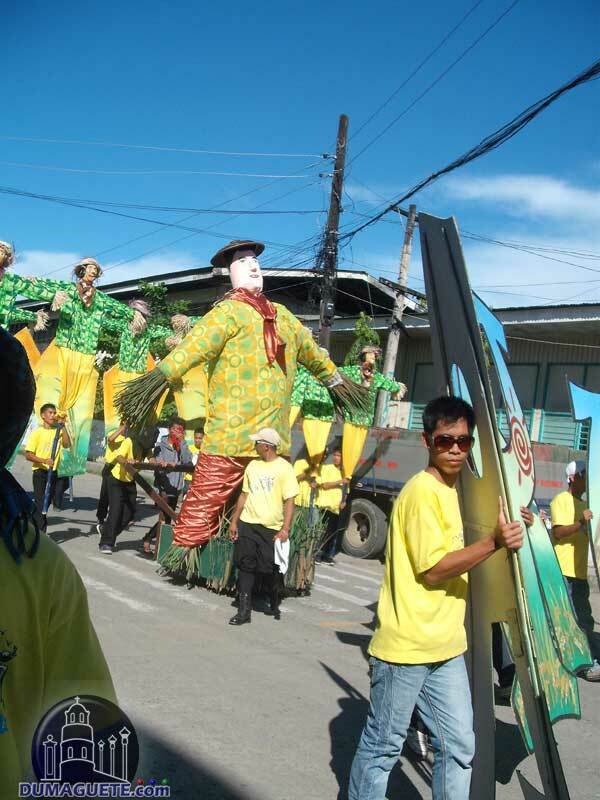 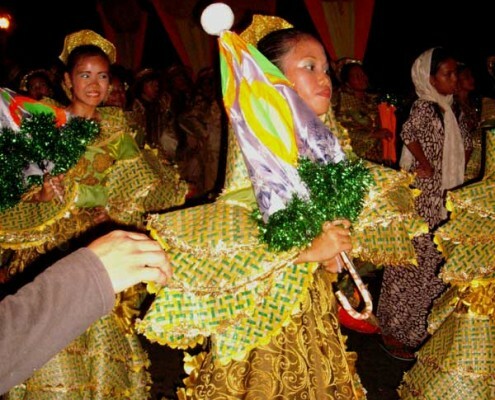 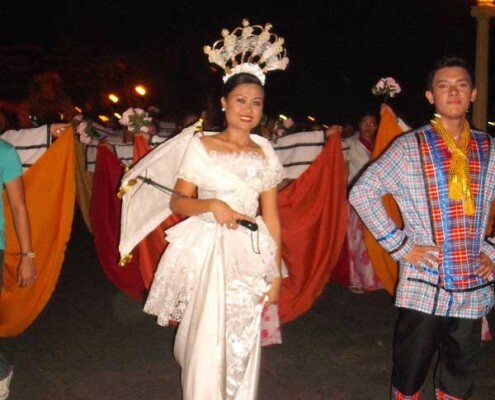 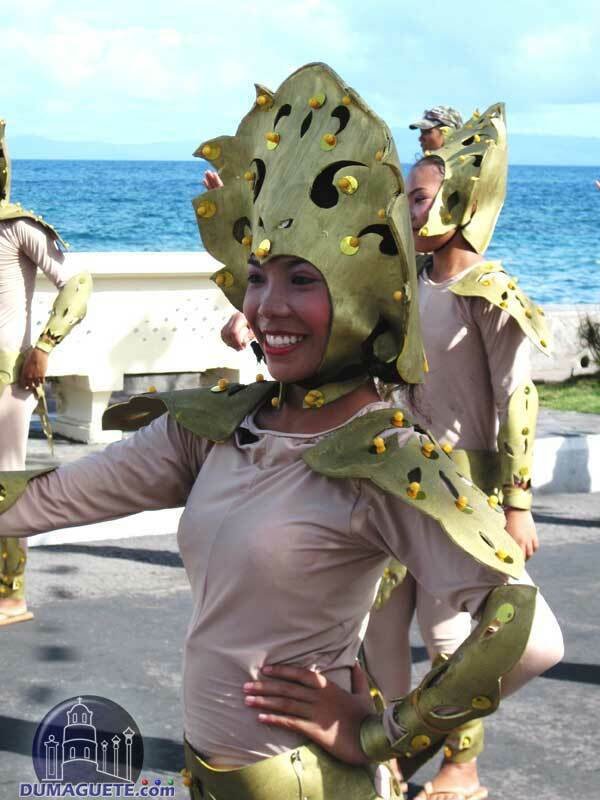 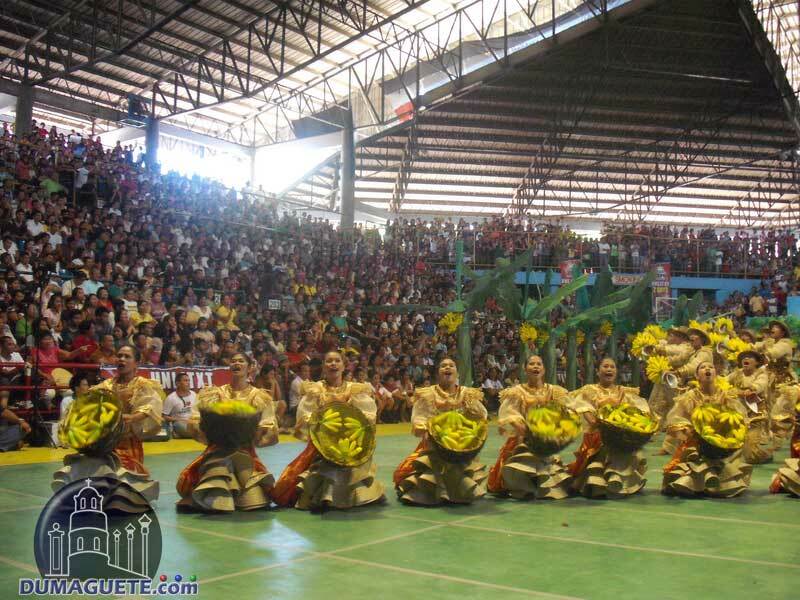 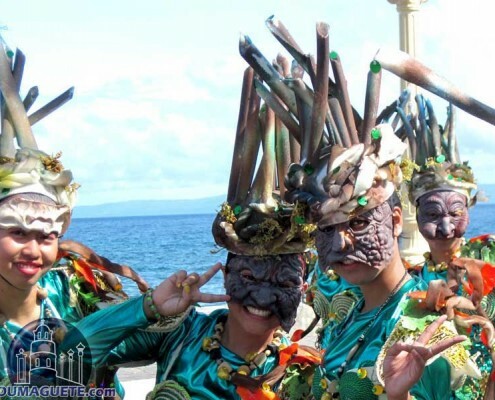 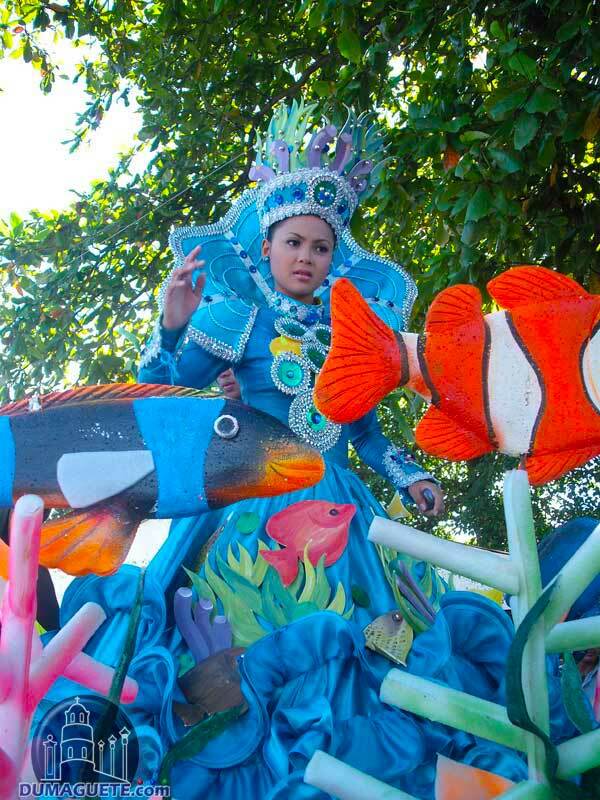 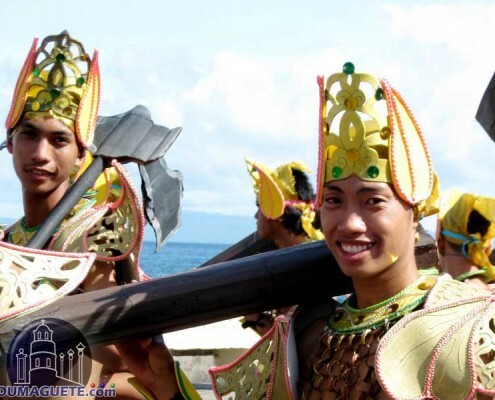 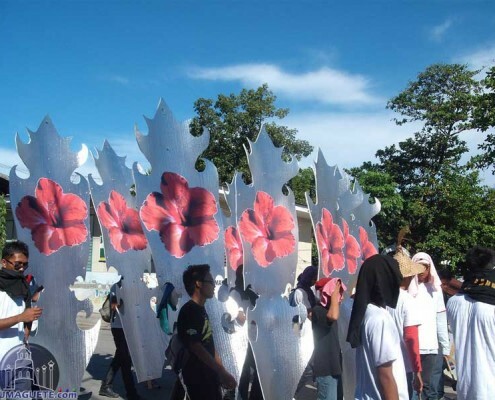 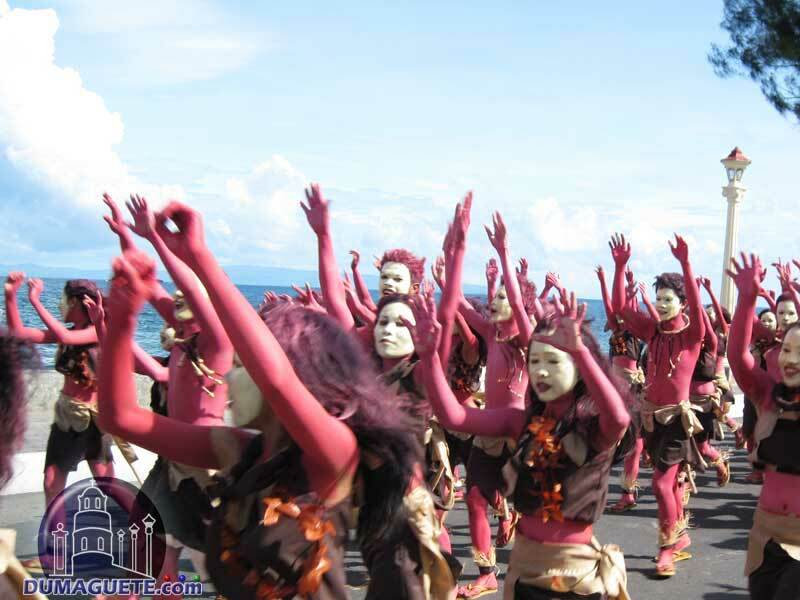 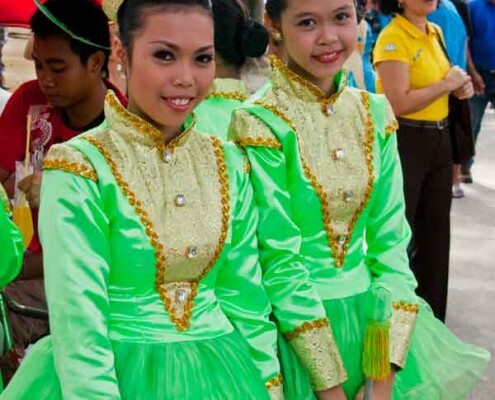 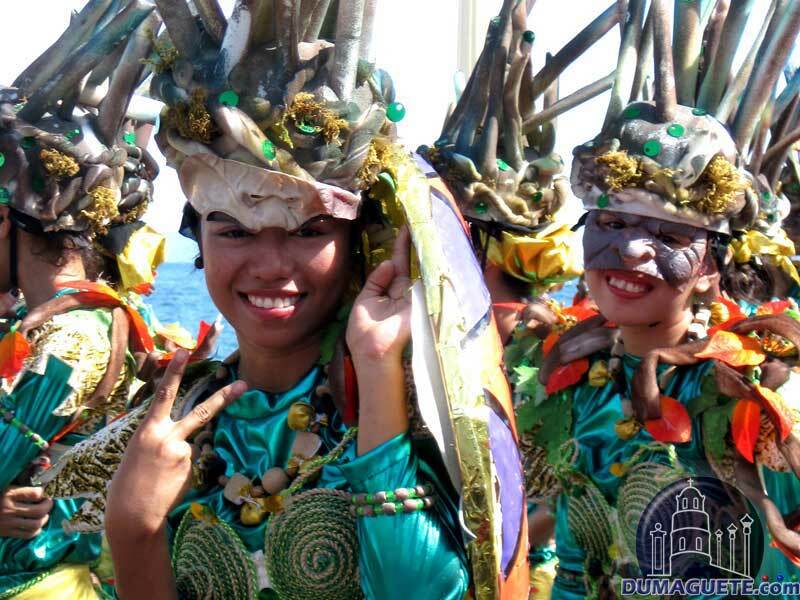 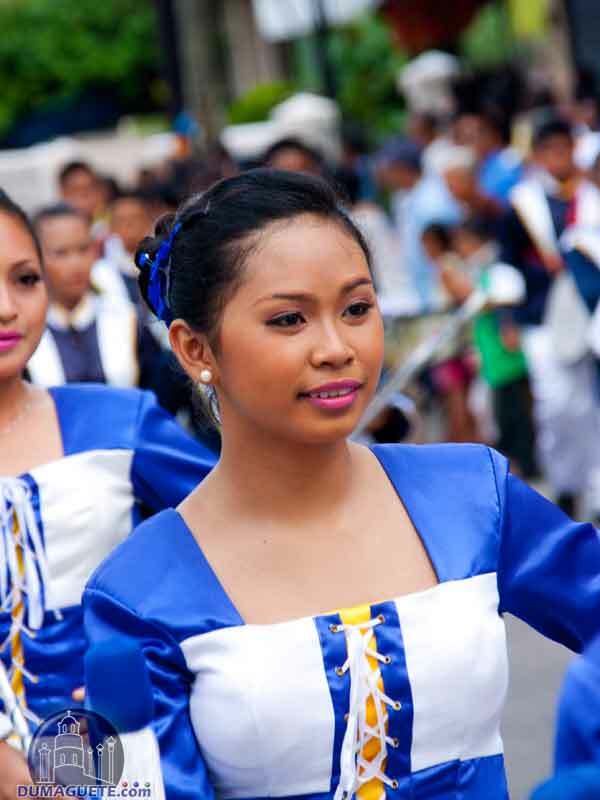 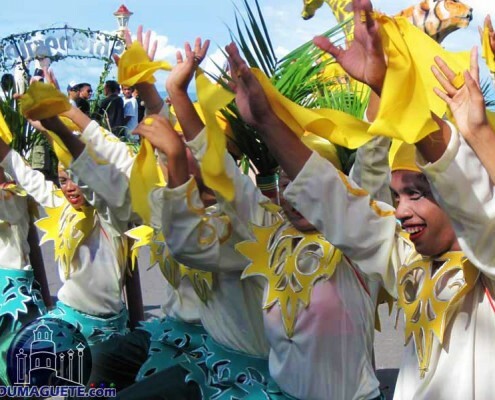 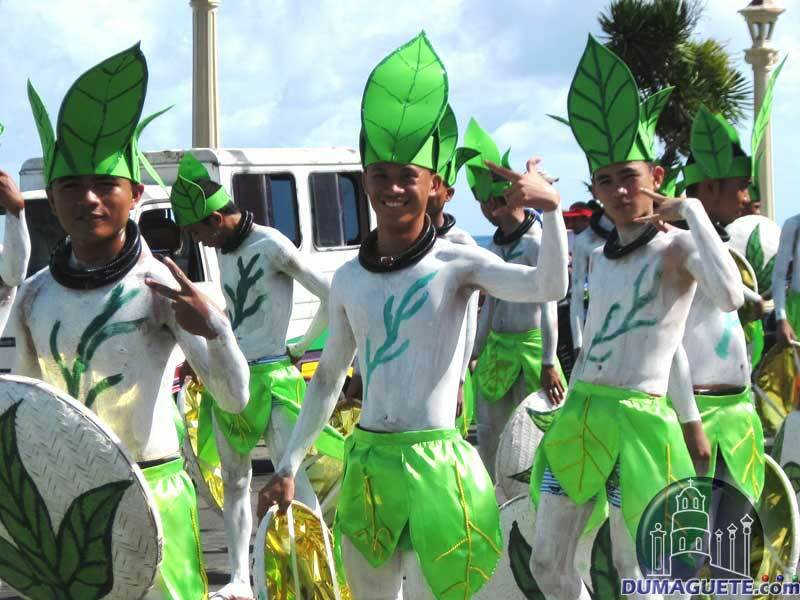 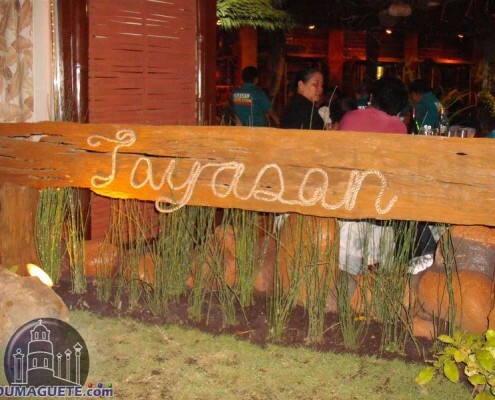 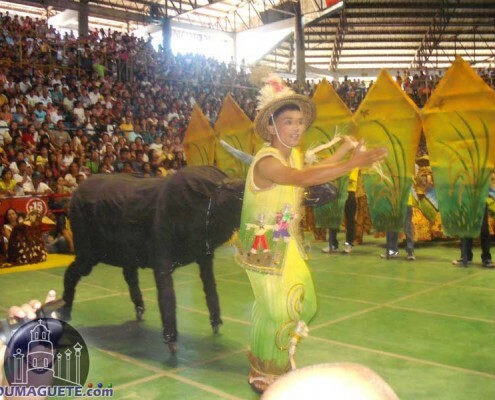 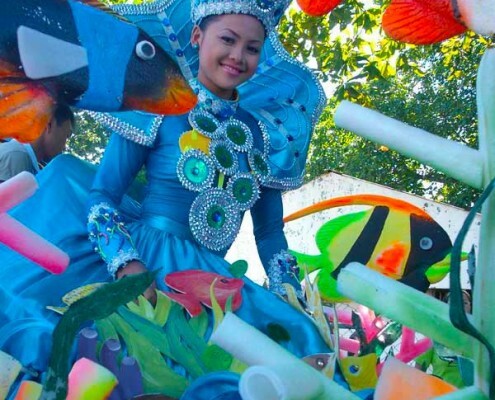 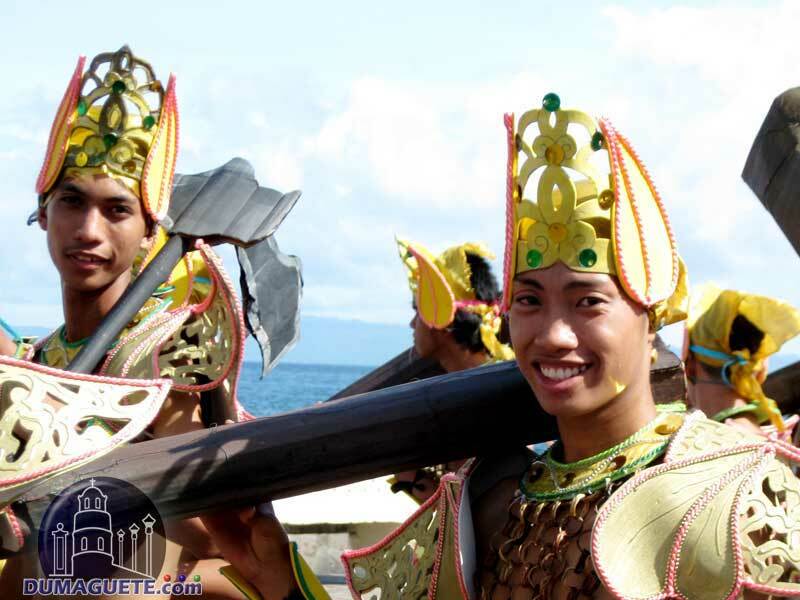 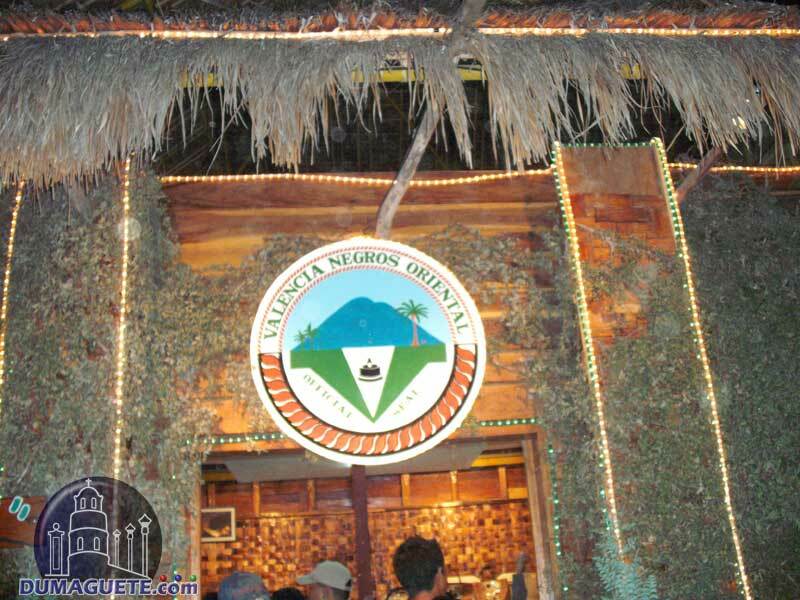 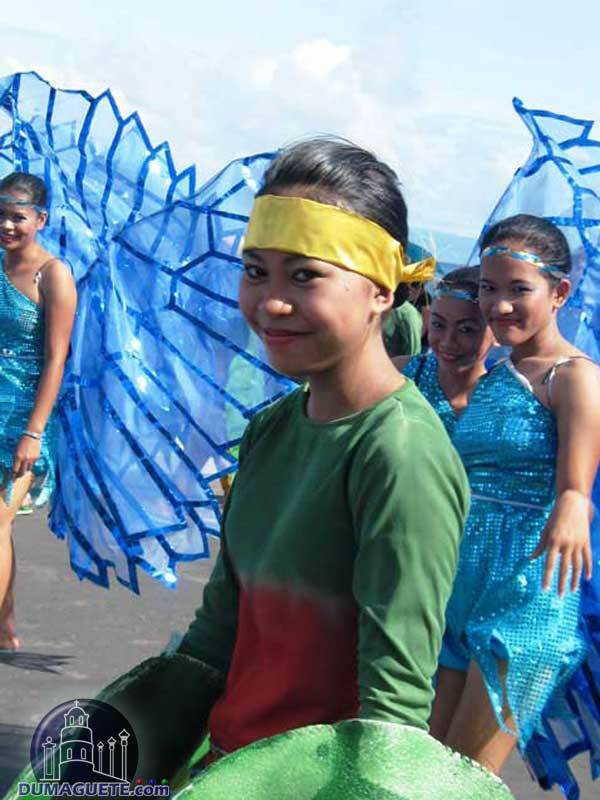 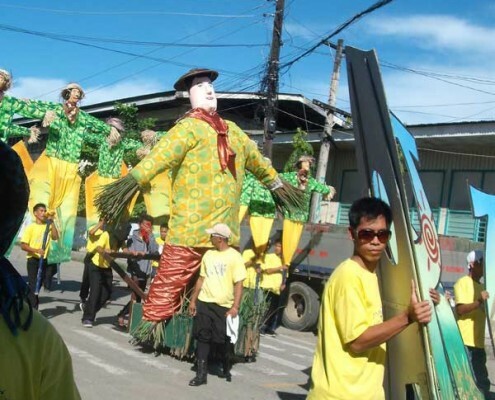 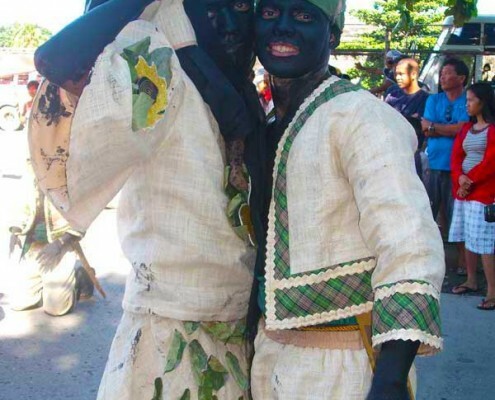 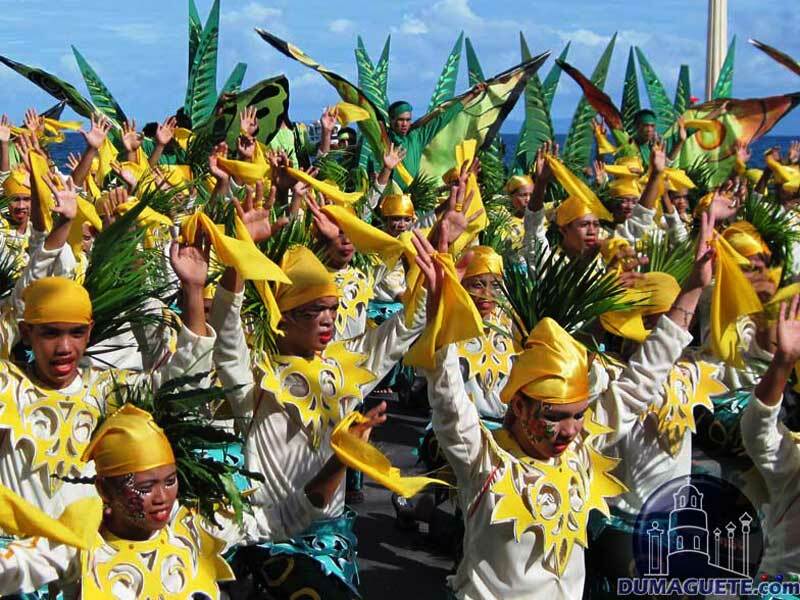 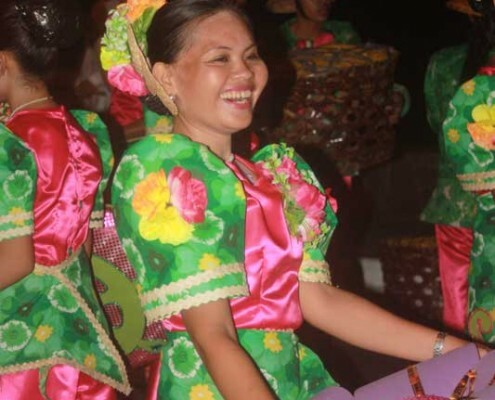 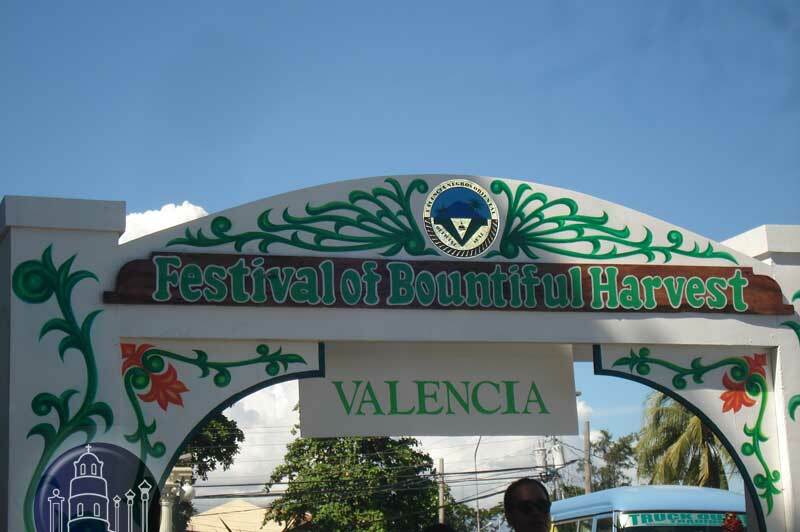 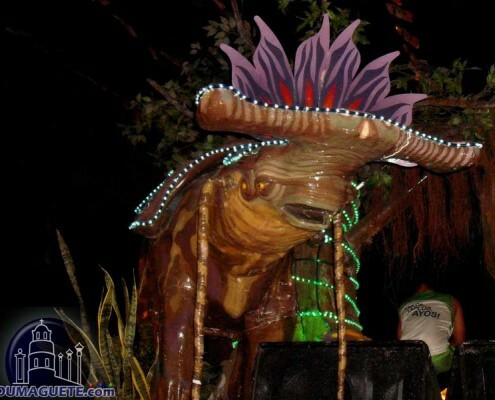 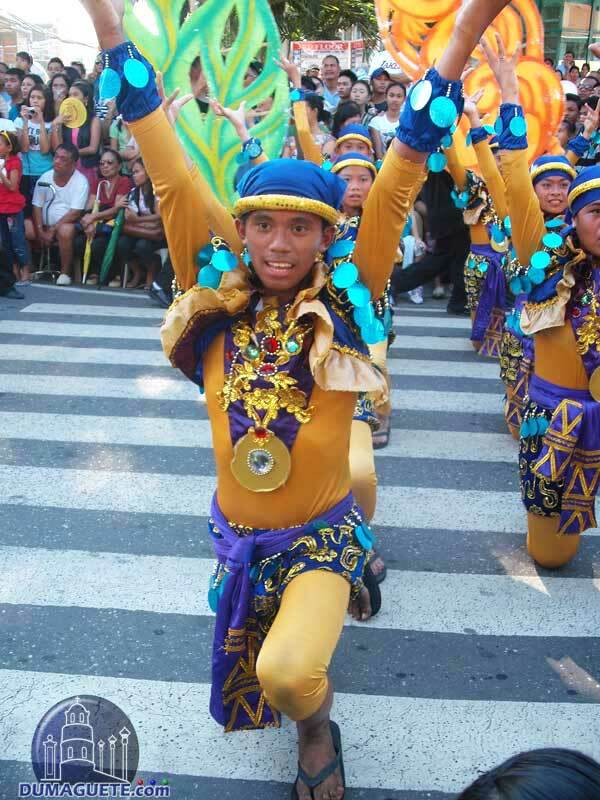 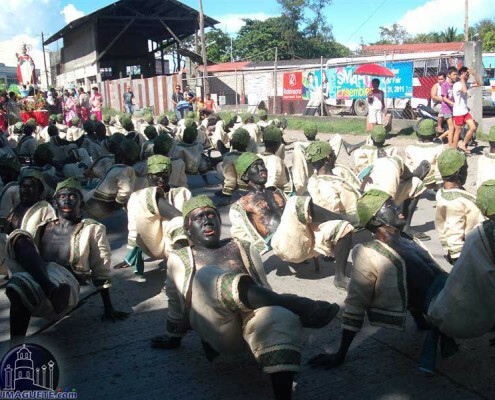 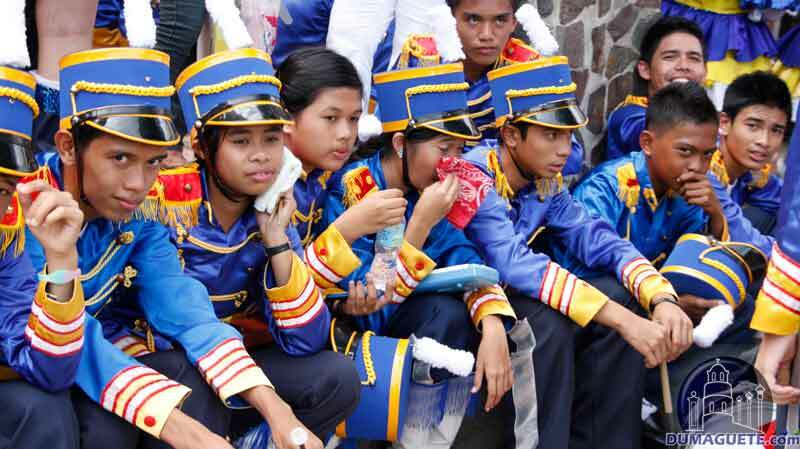 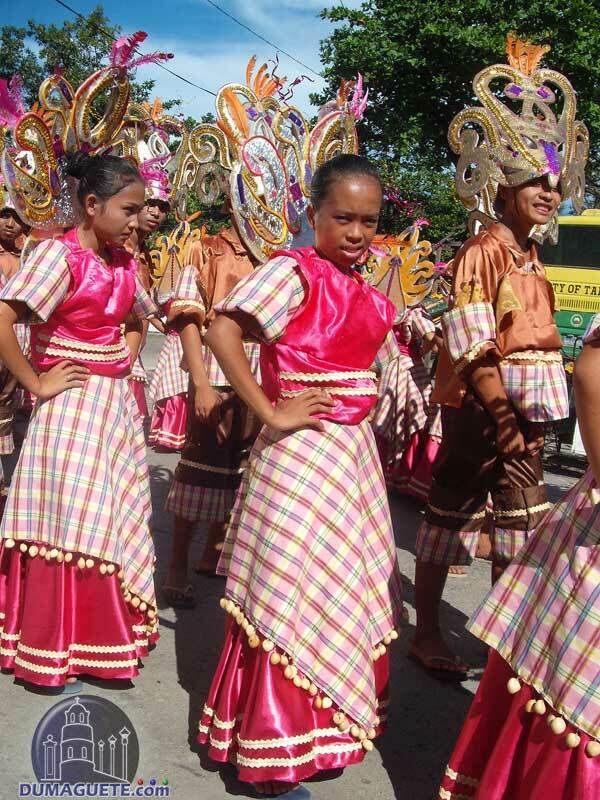 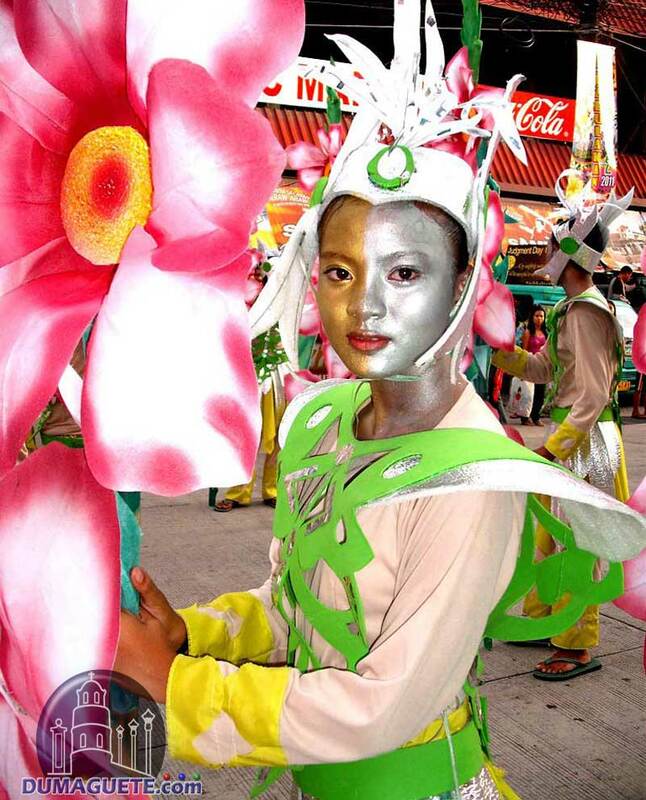 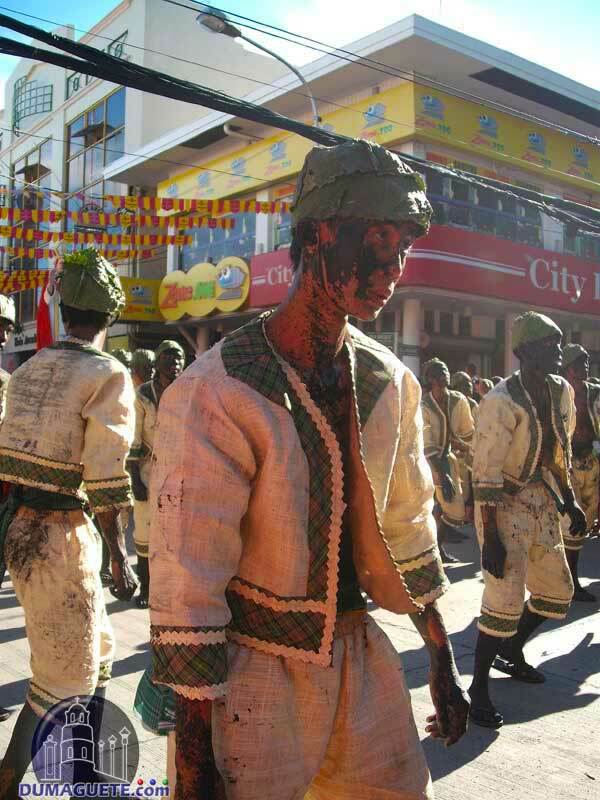 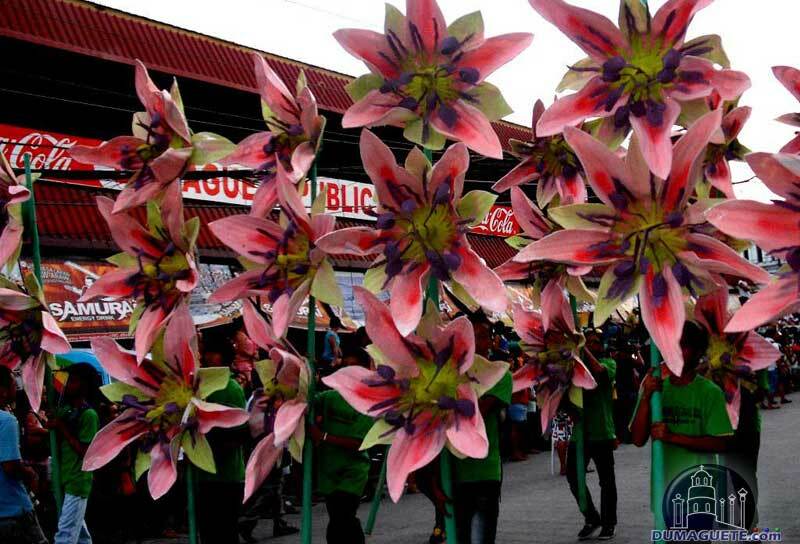 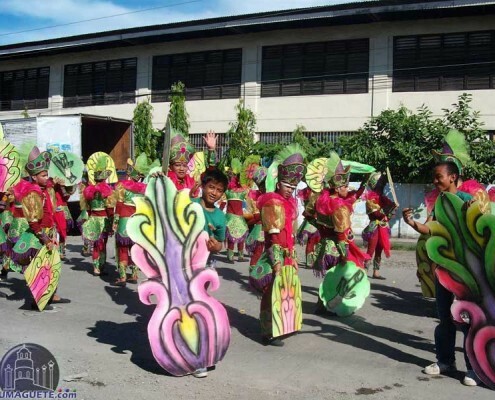 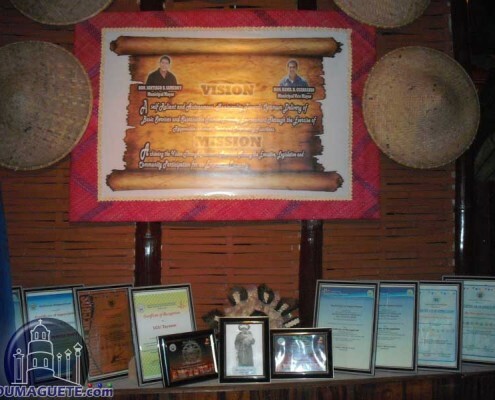 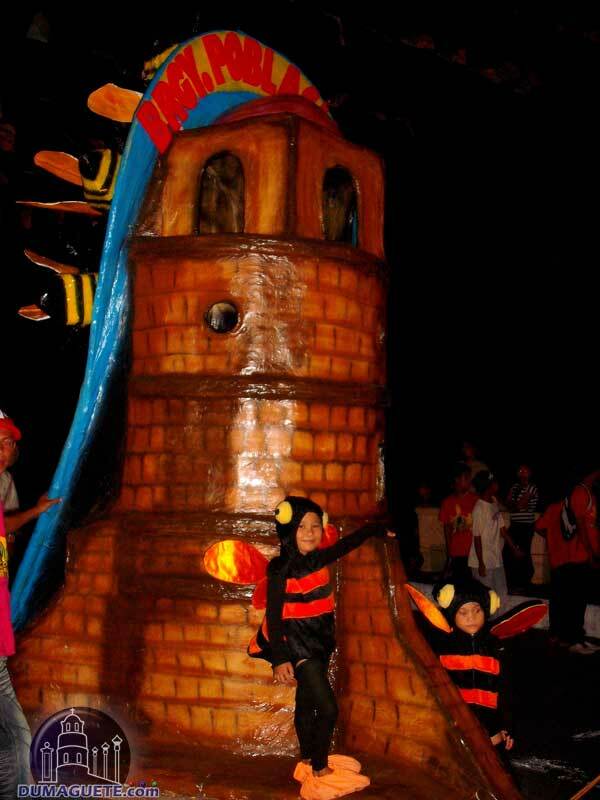 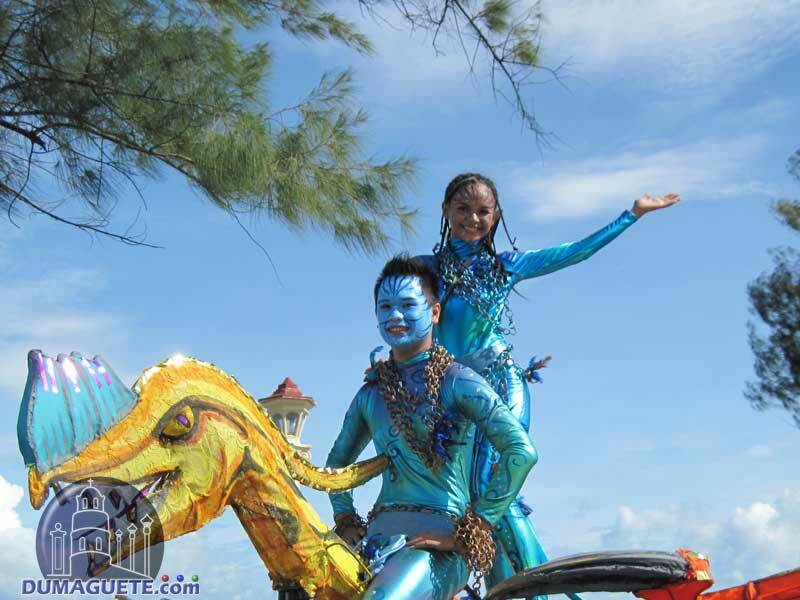 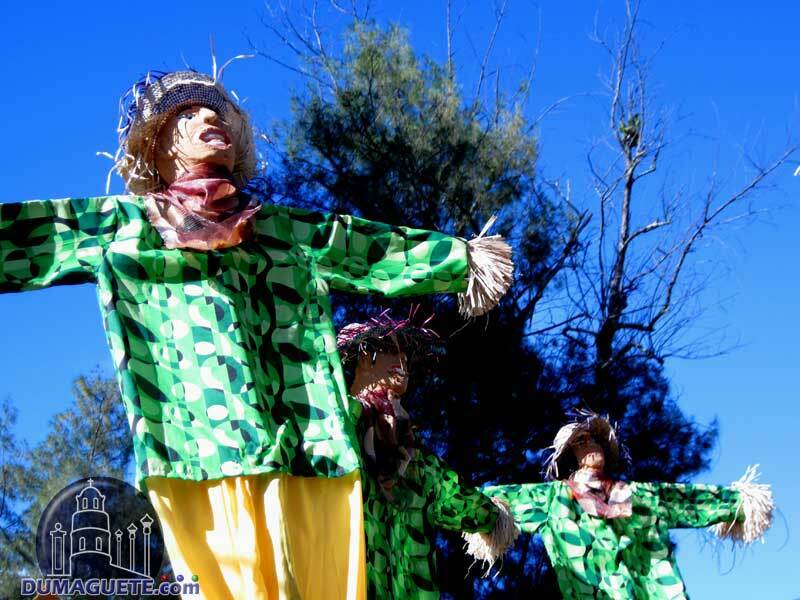 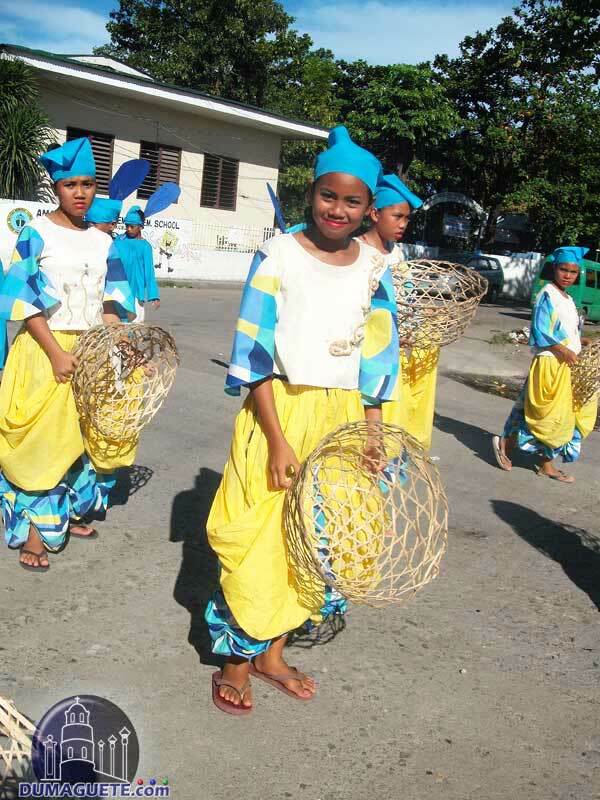 We hope you enjoyed the pictures of the Negros Oriental State University Hugyawan Festival. 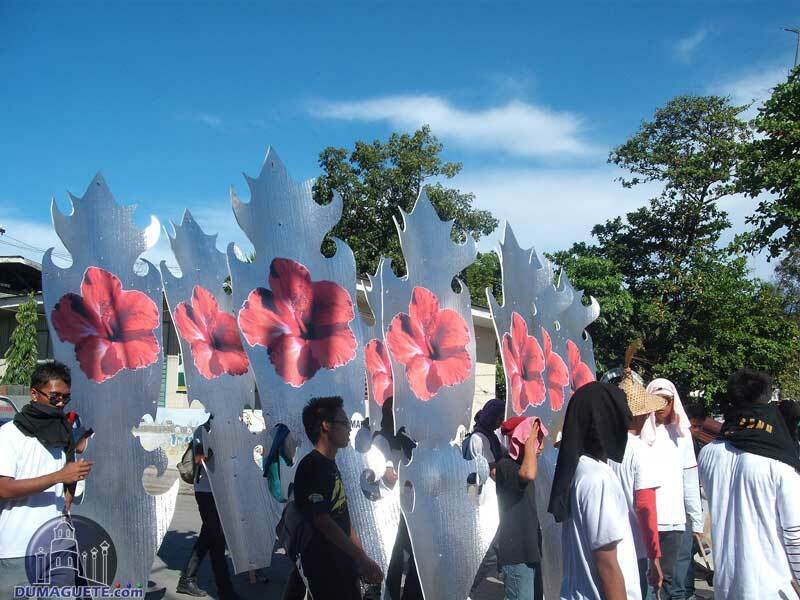 Better mark your calendar for next year, so you can watch the NORSU Founders Day Parade yourself.